Jan Steen: "Soo voer gesongen, soo na gepepen"
Frans van Mieris: "Vrouw verzegelt een brief bij kaarslicht"
Green Iguana, big Blue Poison Dart Frog and small Giant Tortoise, with Ilya Filimontsev for Ray Villifane Studios. 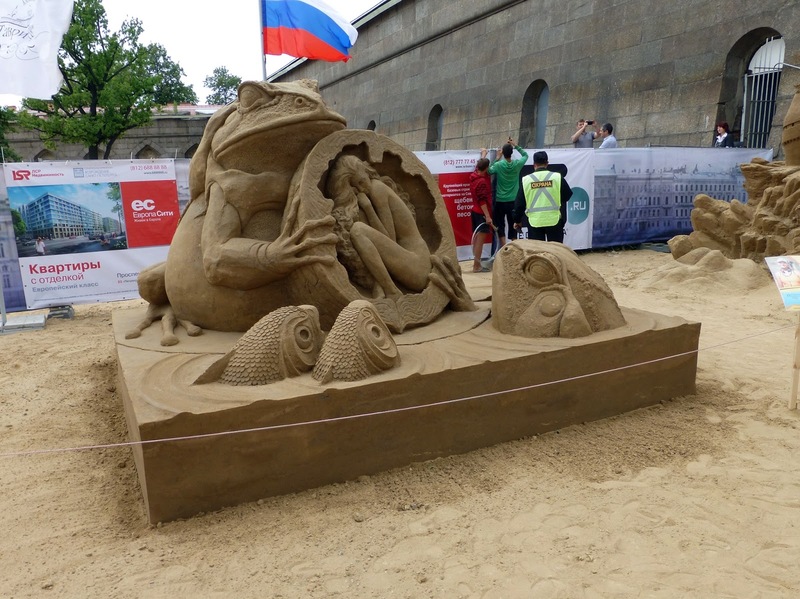 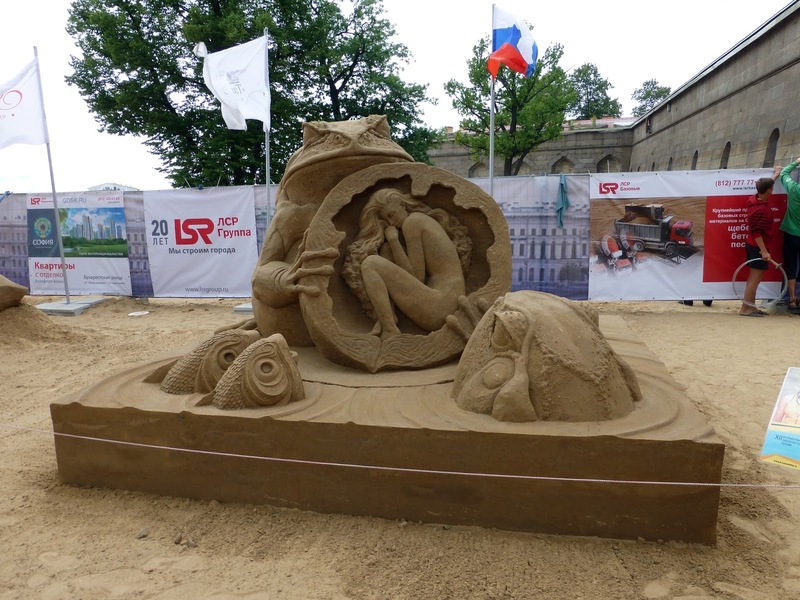 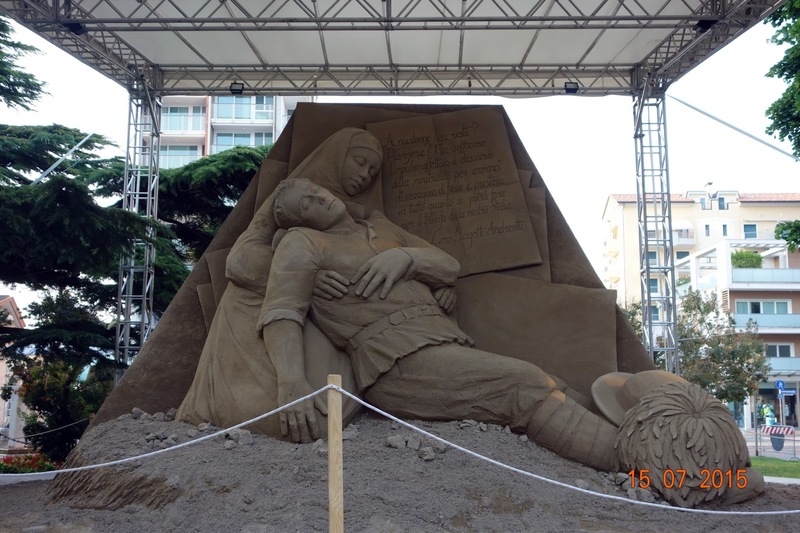 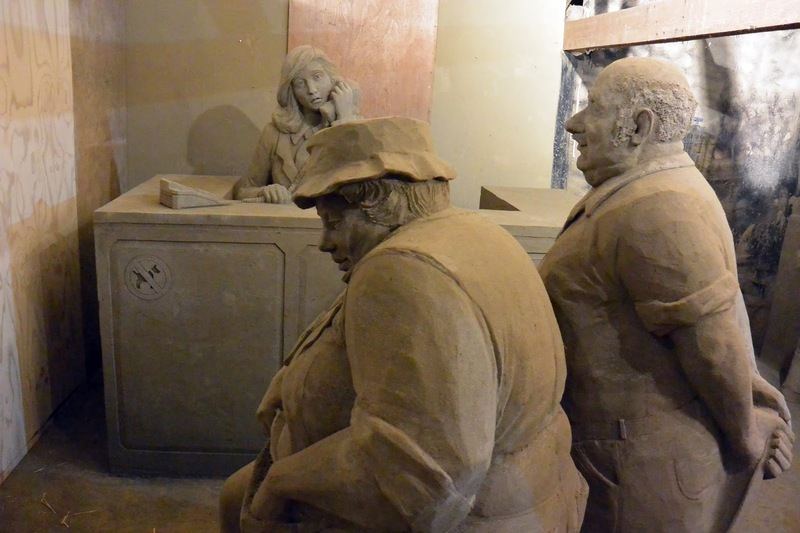 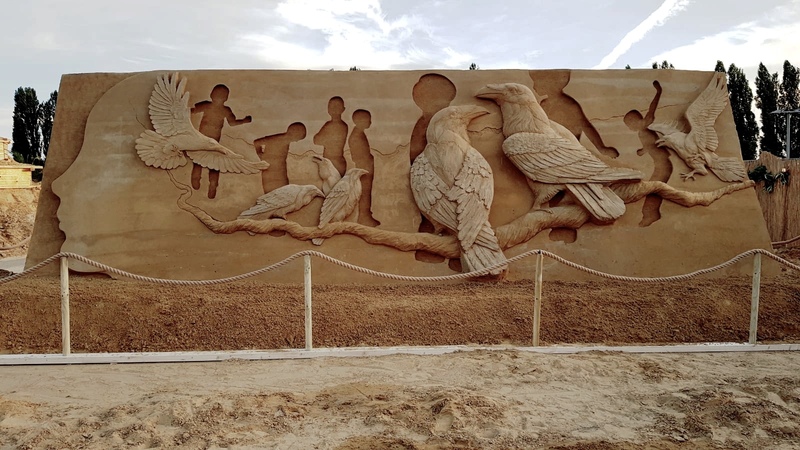 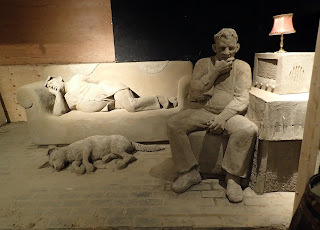 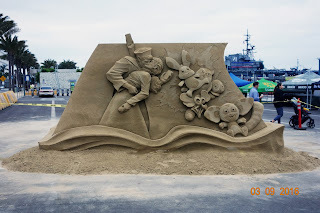 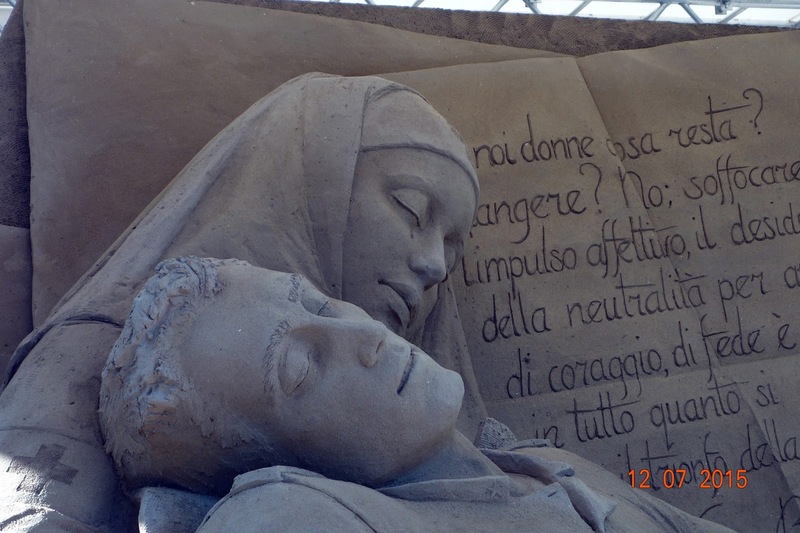 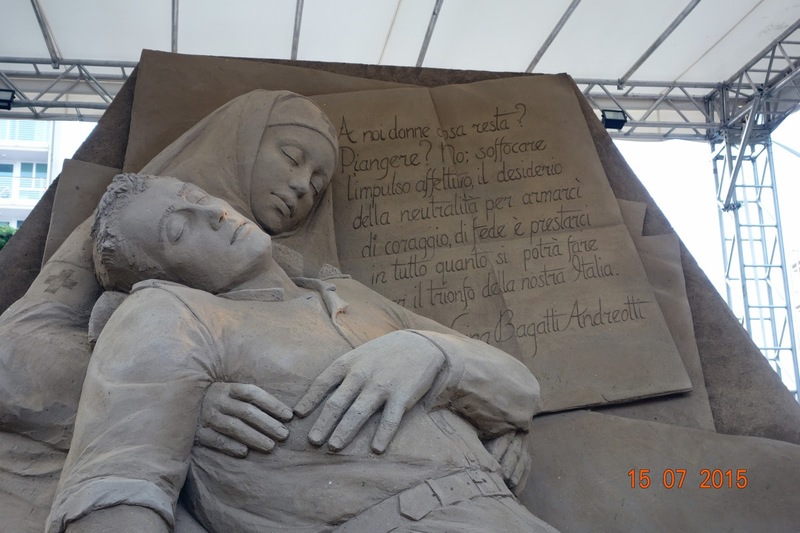 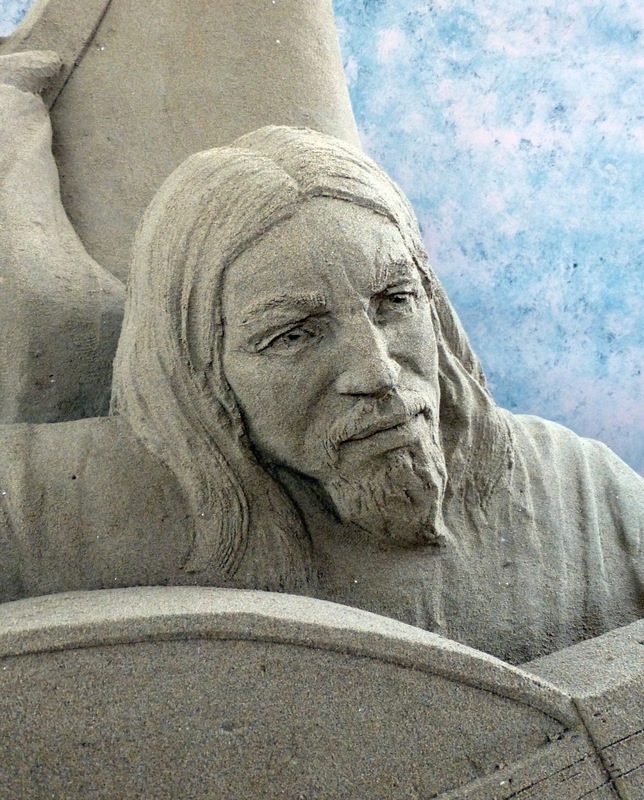 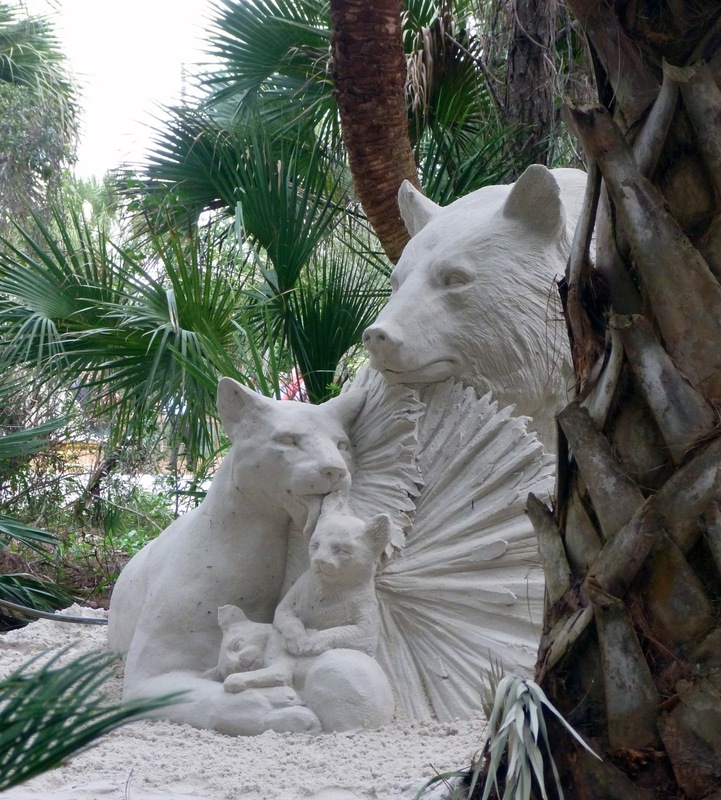 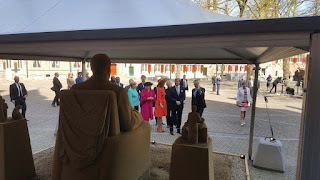 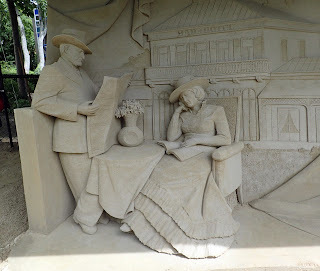 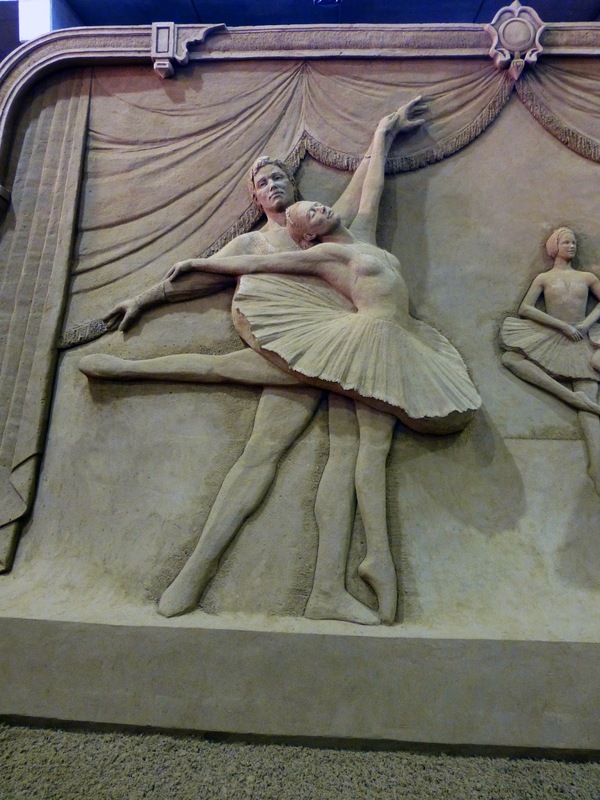 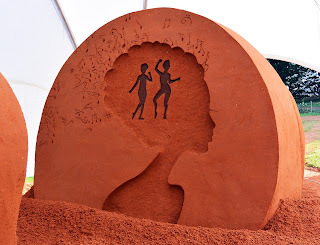 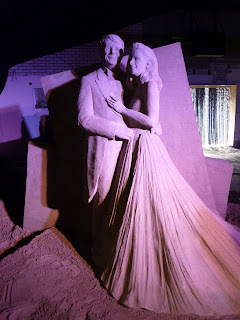 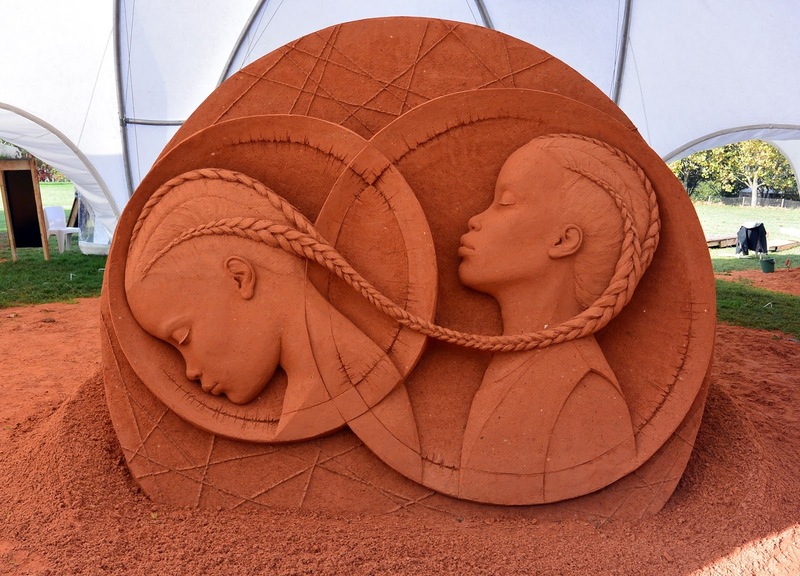 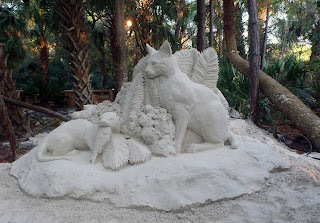 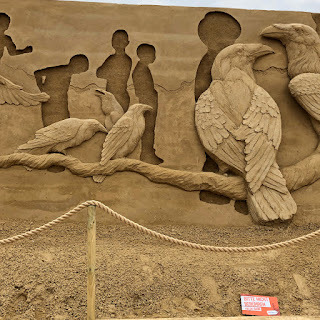 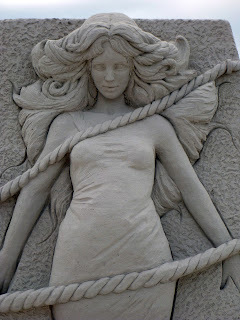 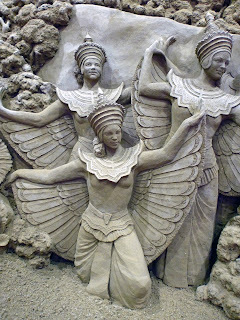 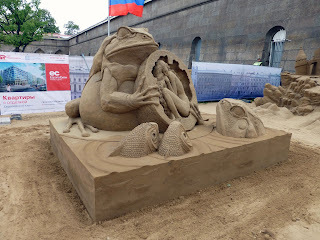 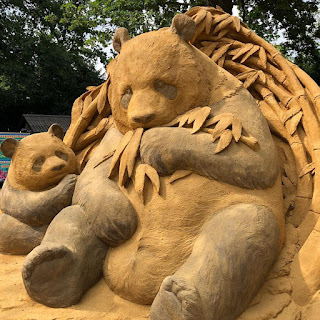 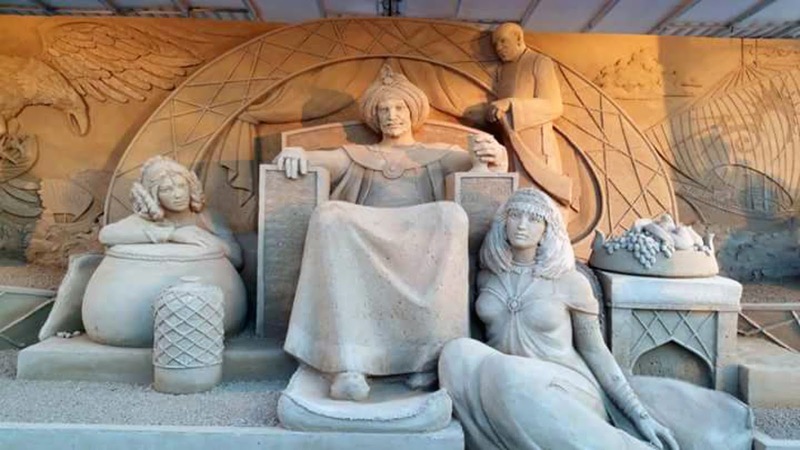 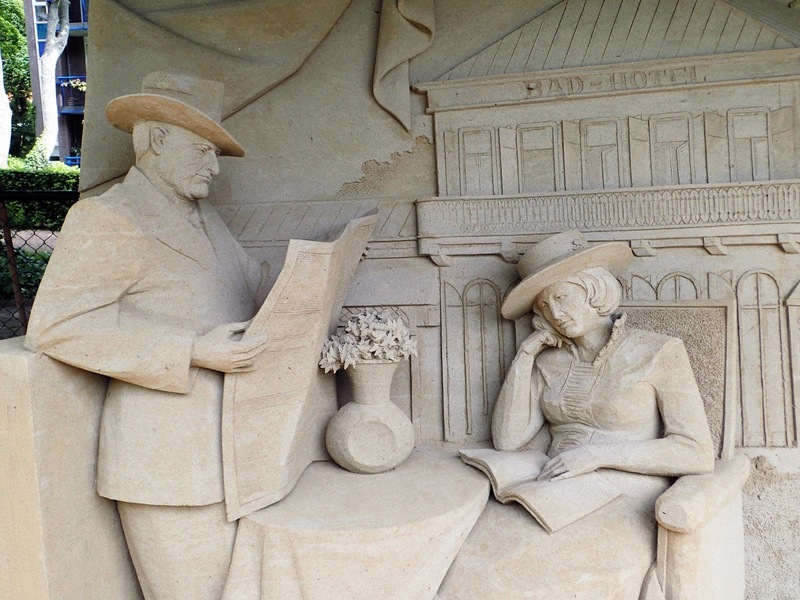 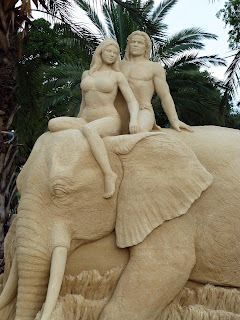 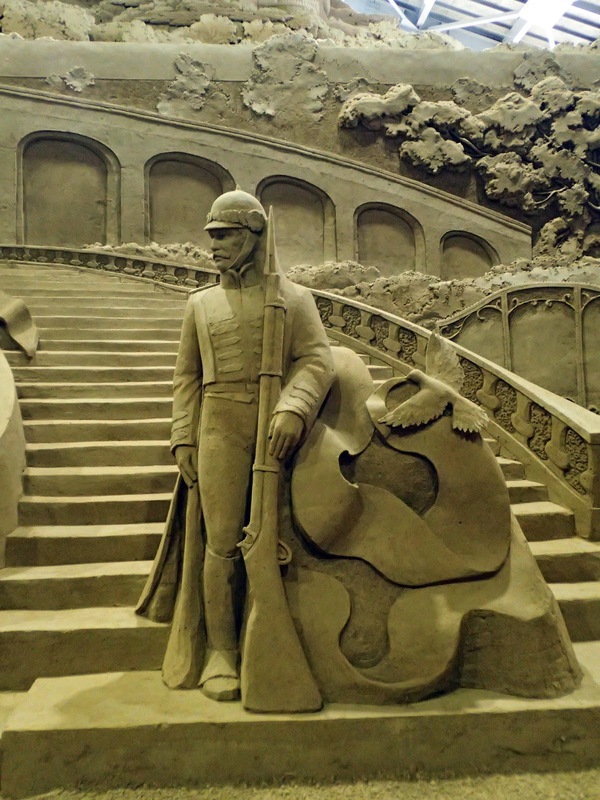 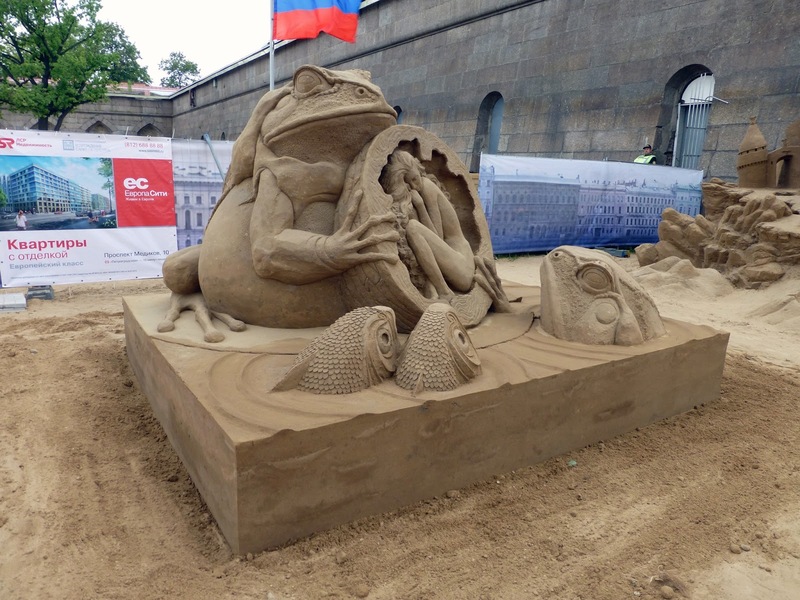 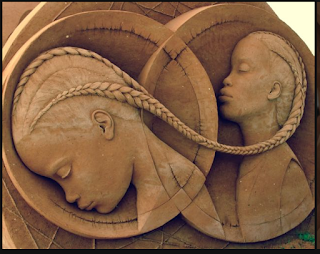 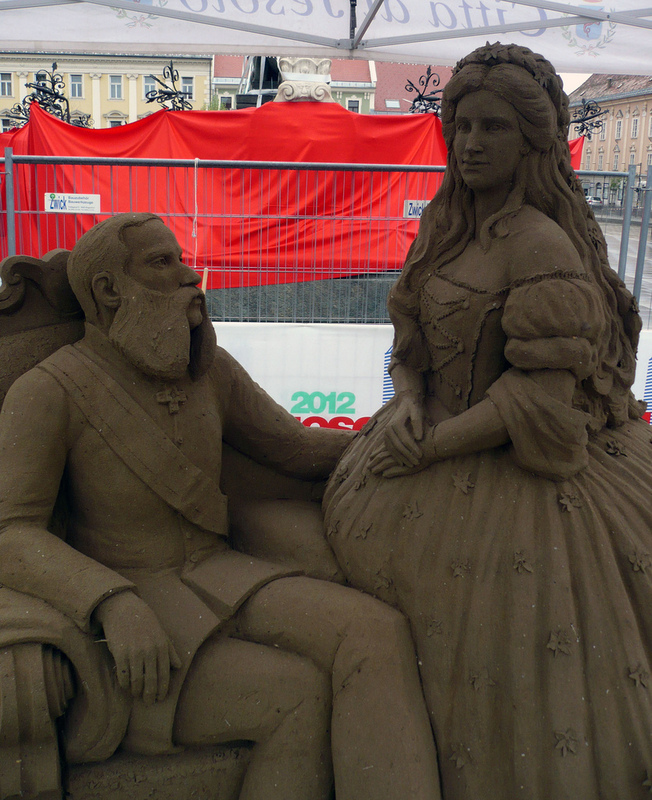 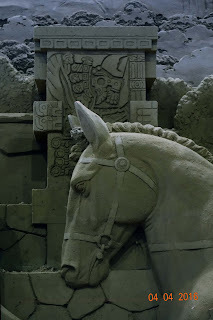 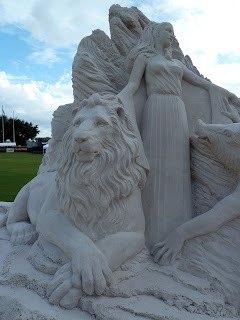 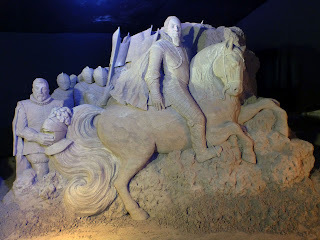 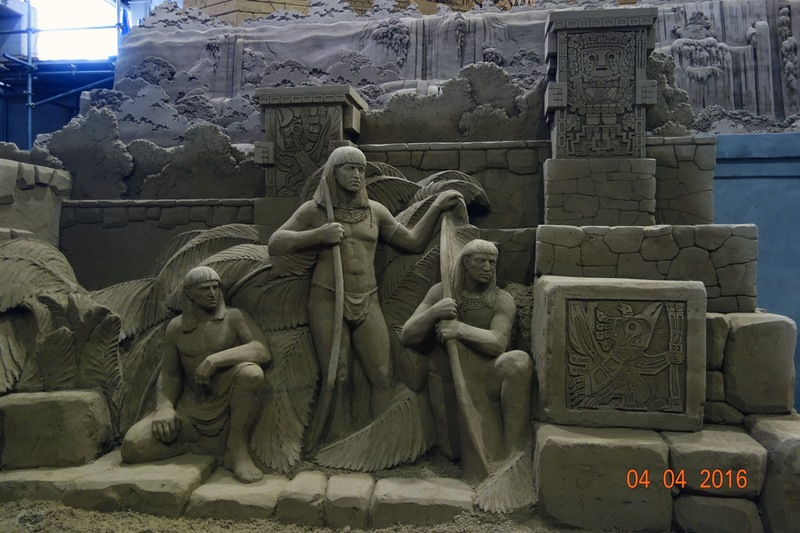 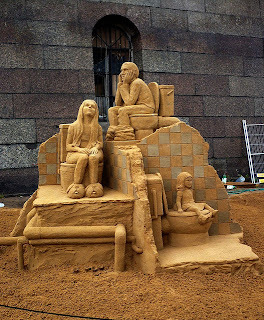 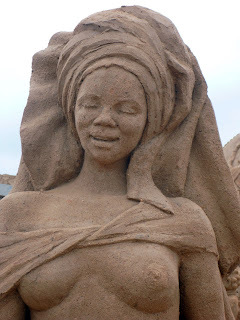 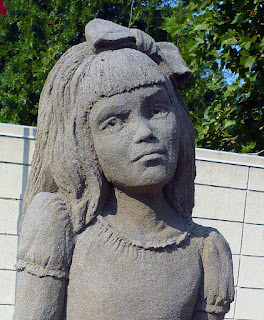 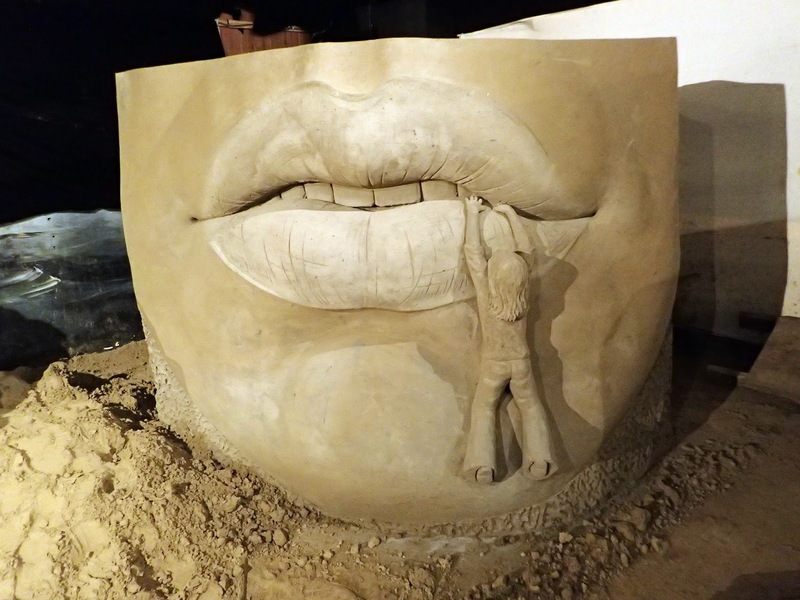 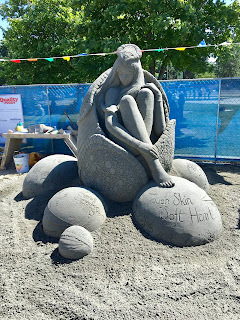 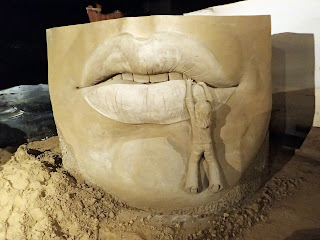 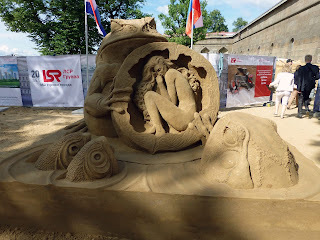 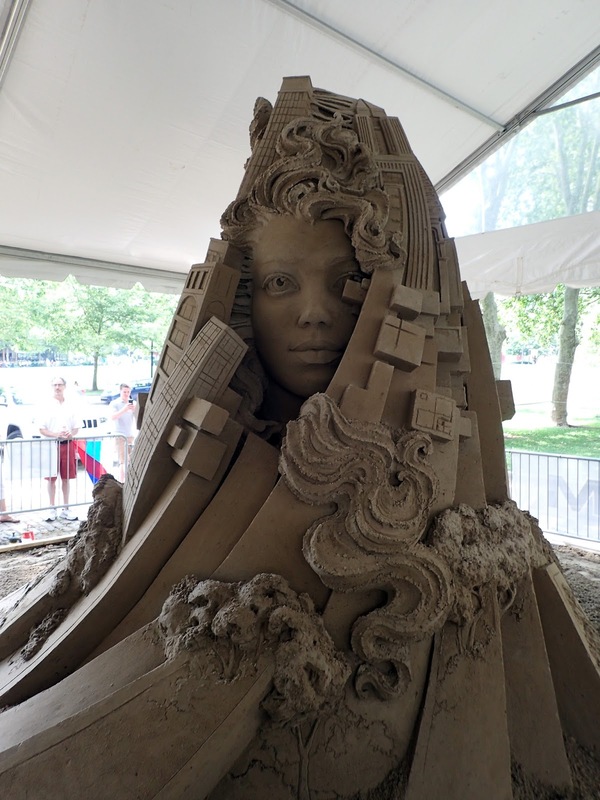 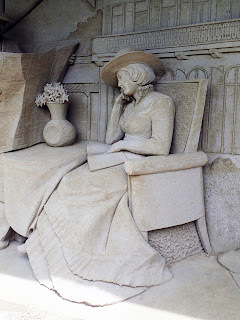 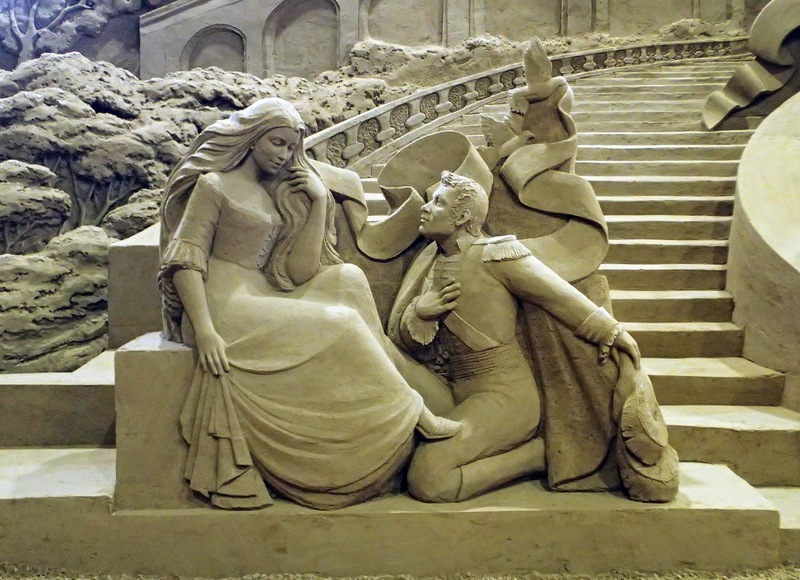 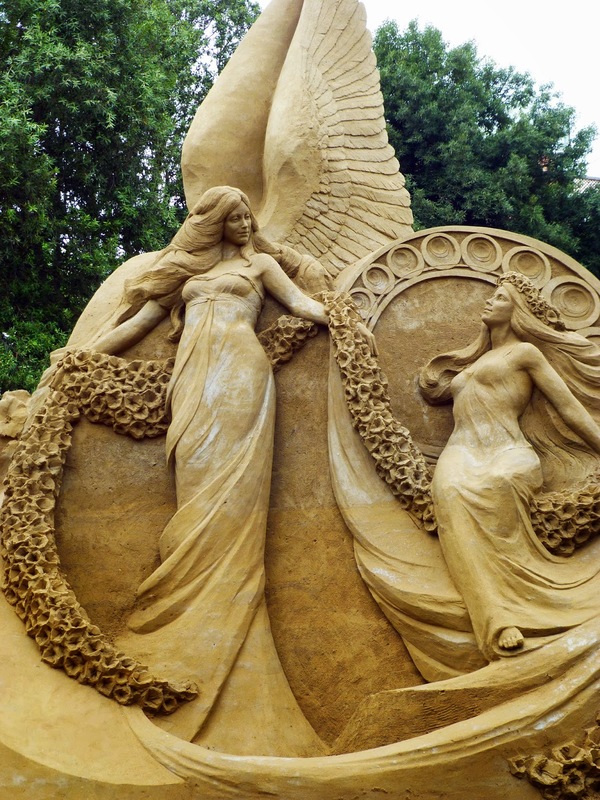 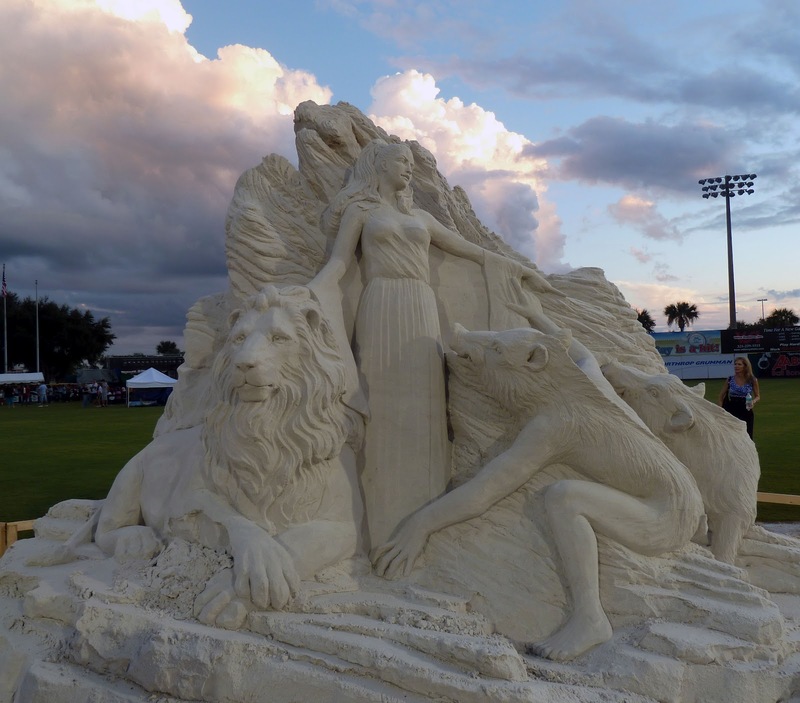 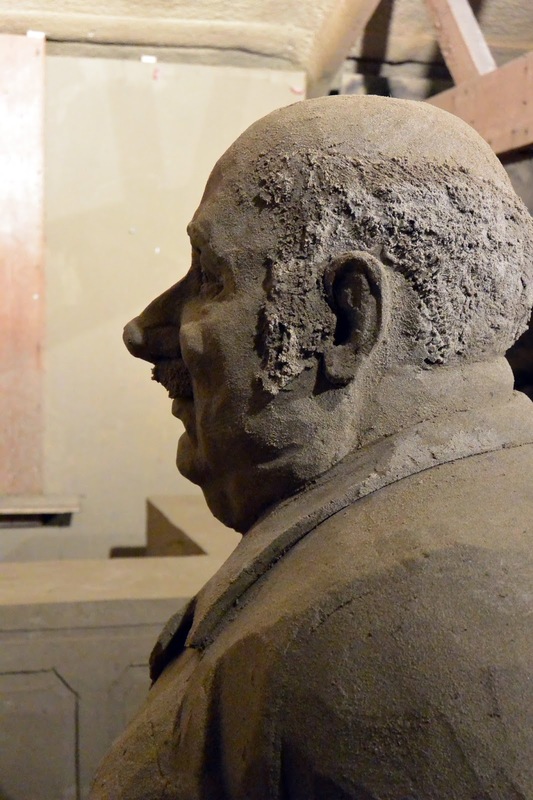 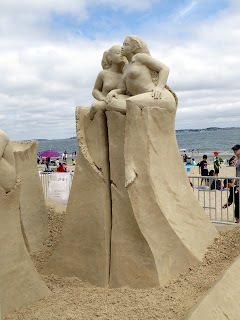 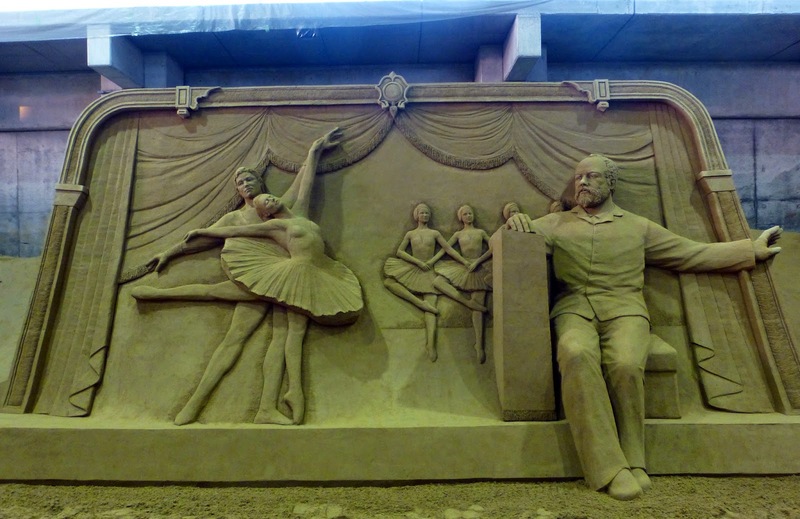 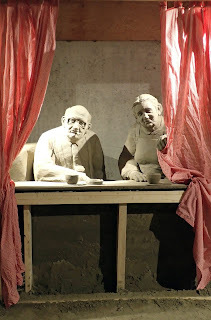 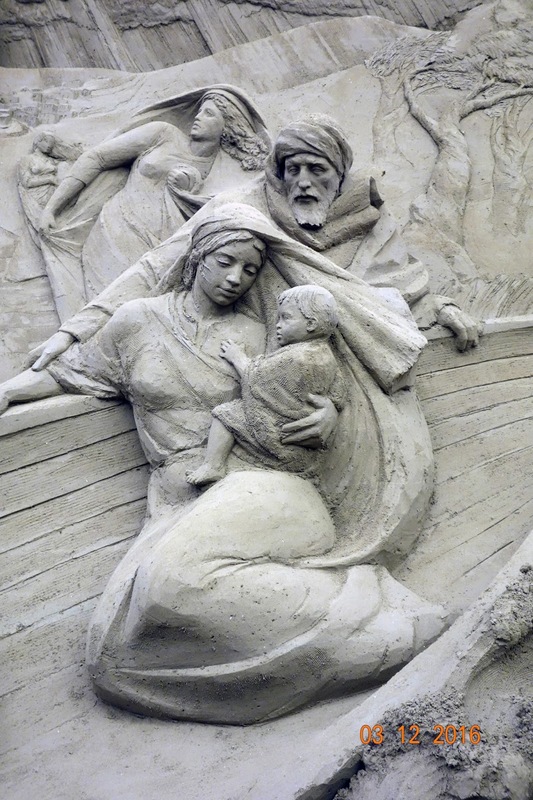 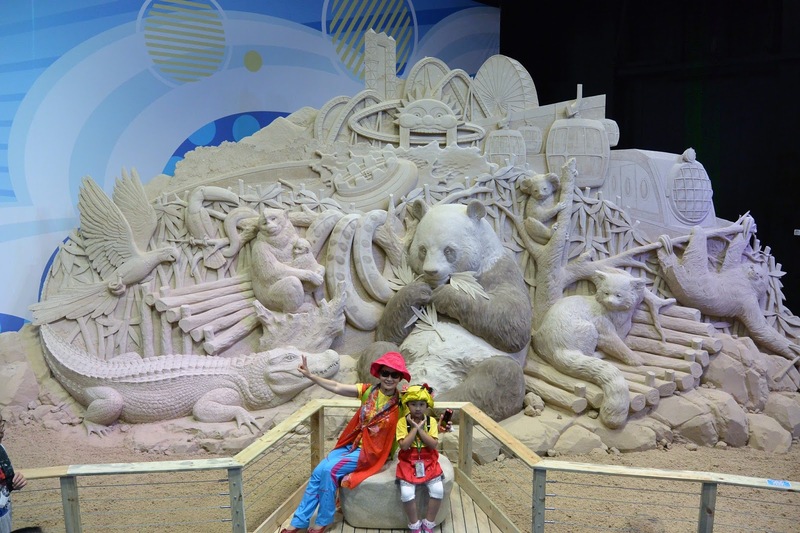 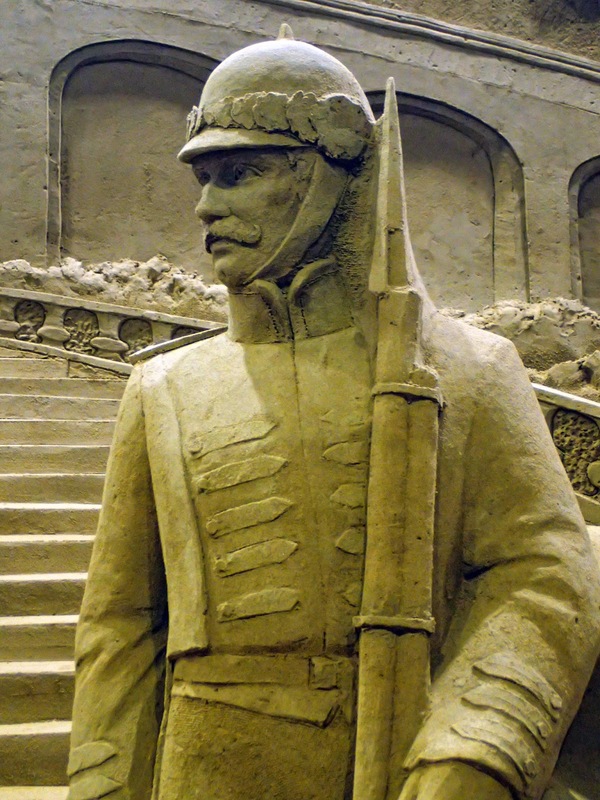 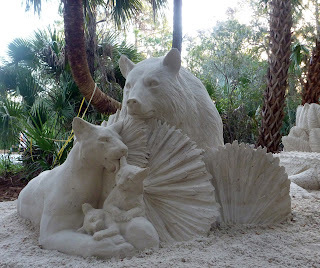 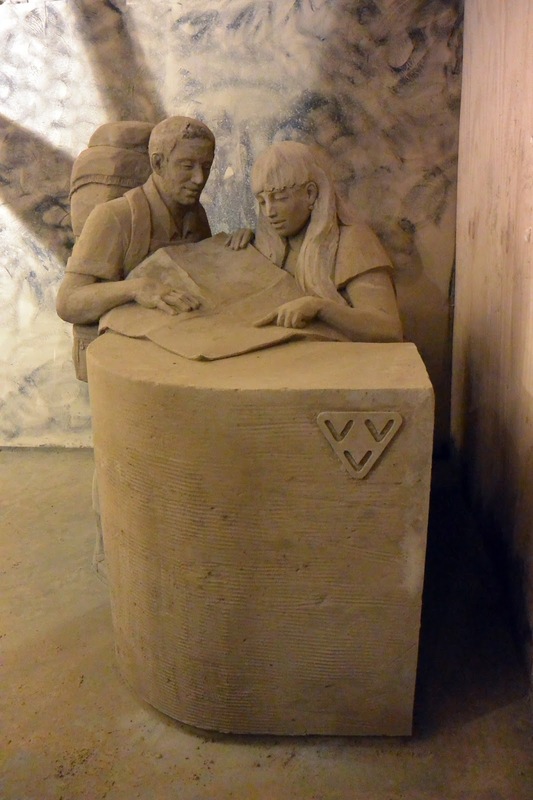 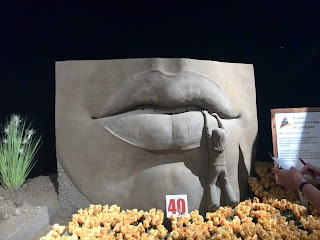 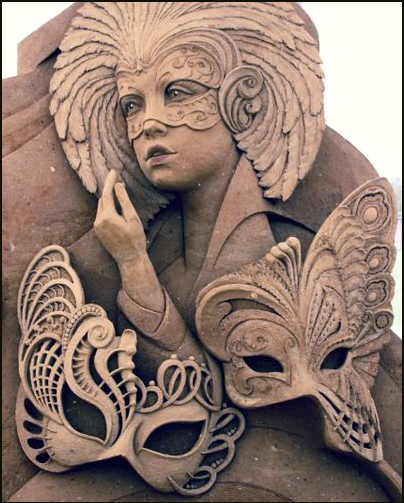 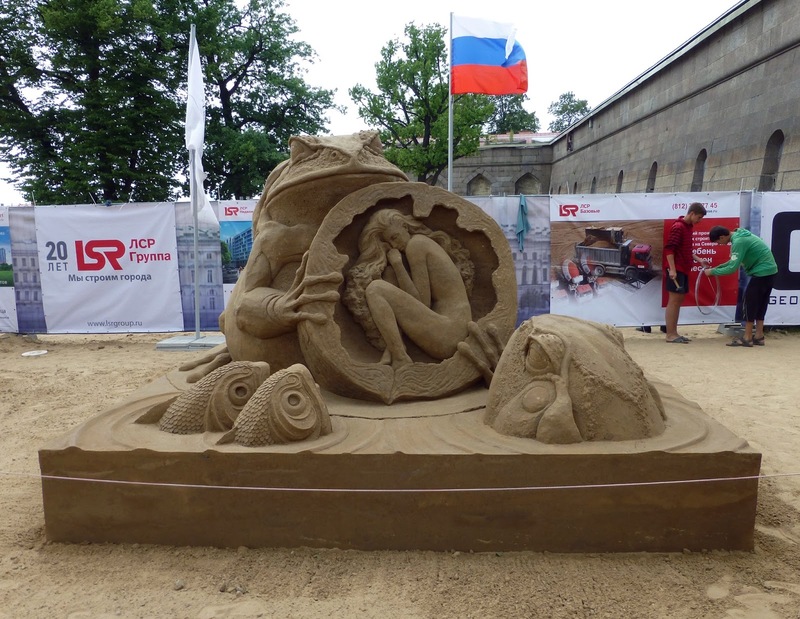 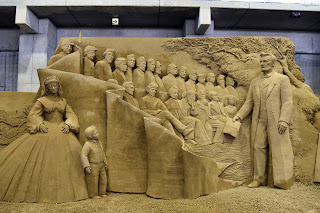 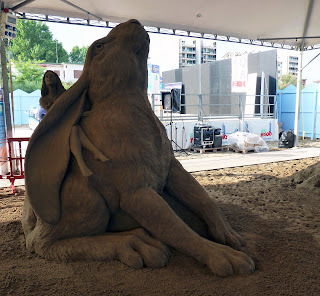 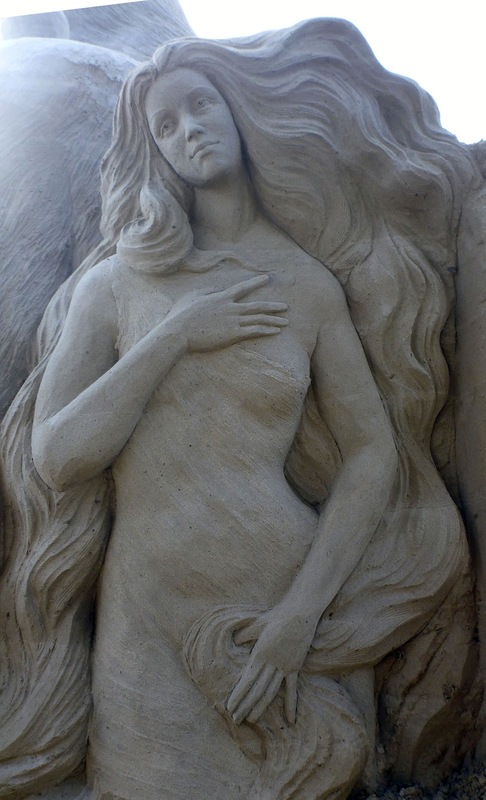 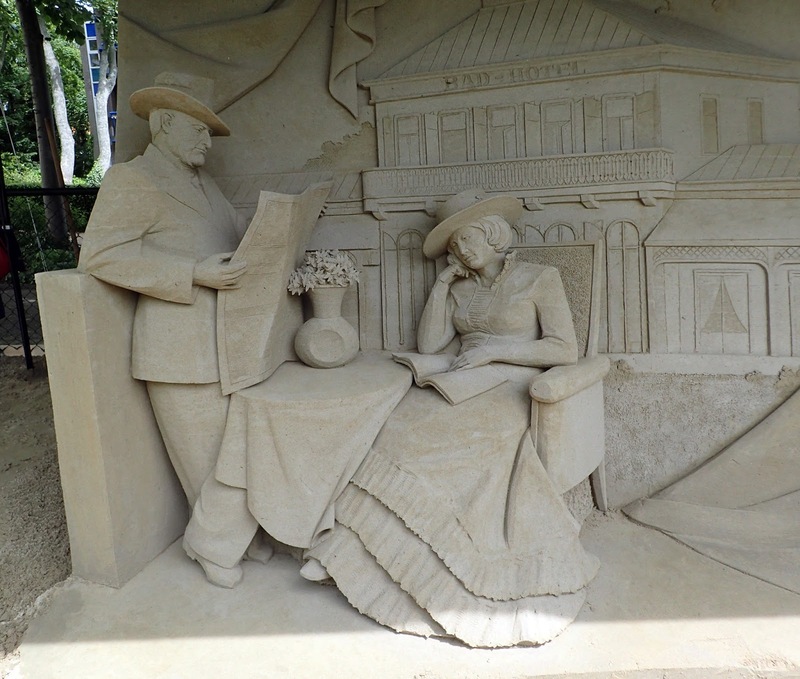 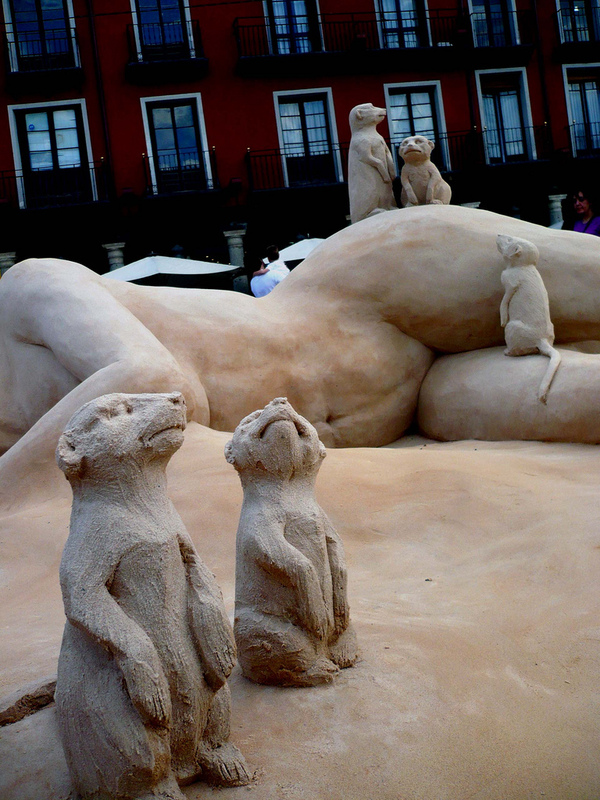 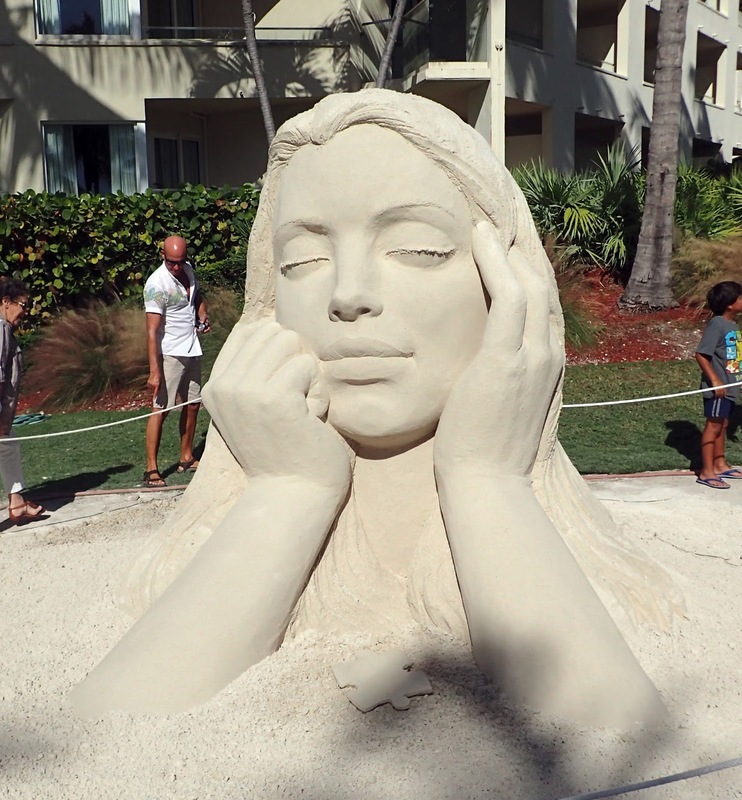 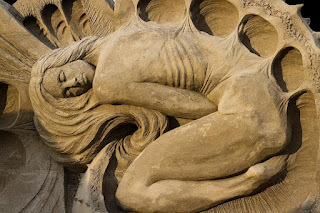 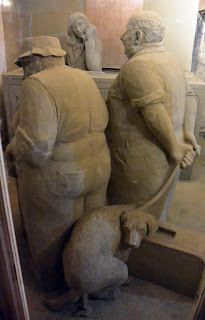 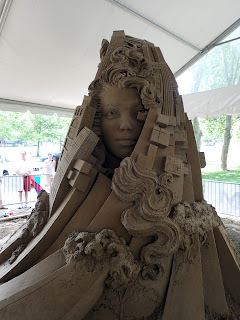 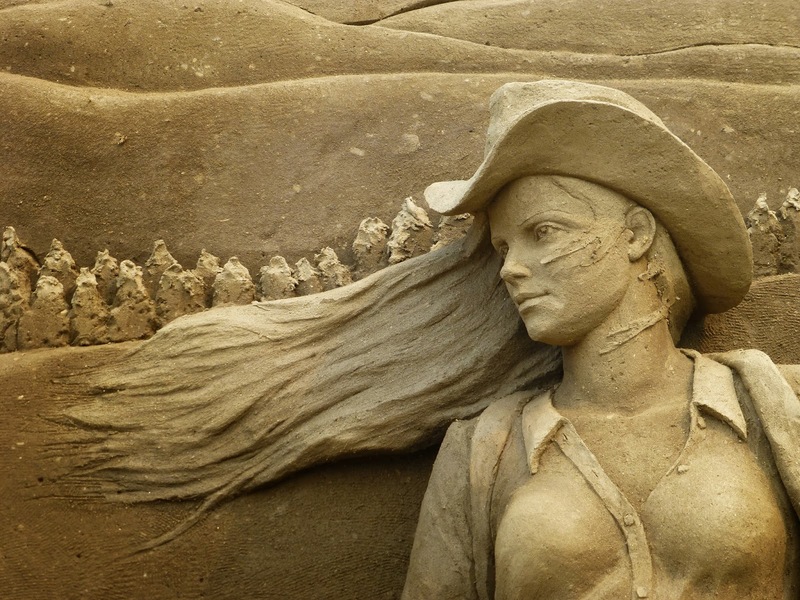 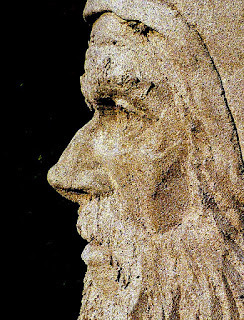 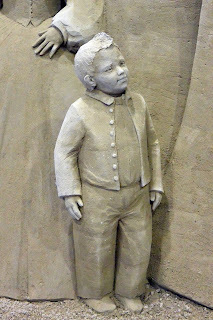 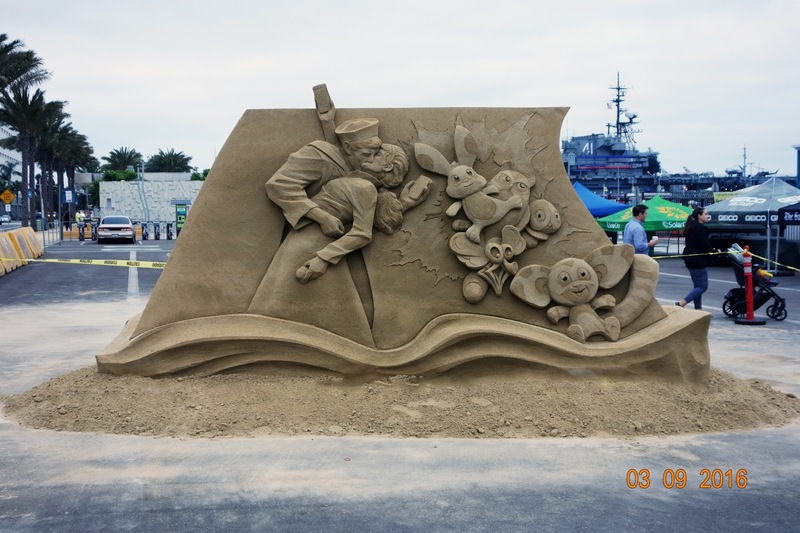 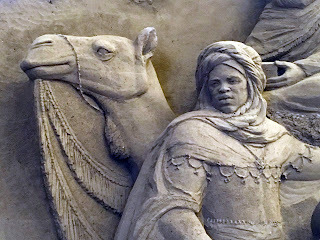 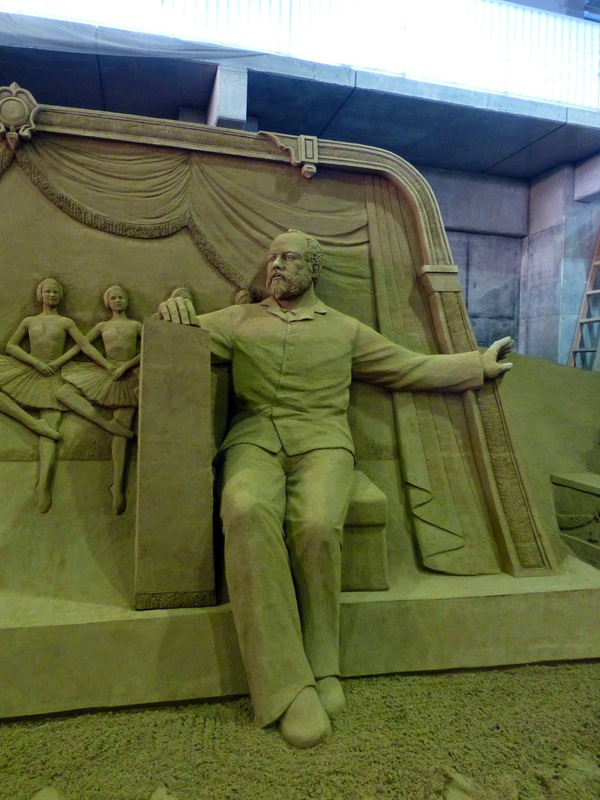 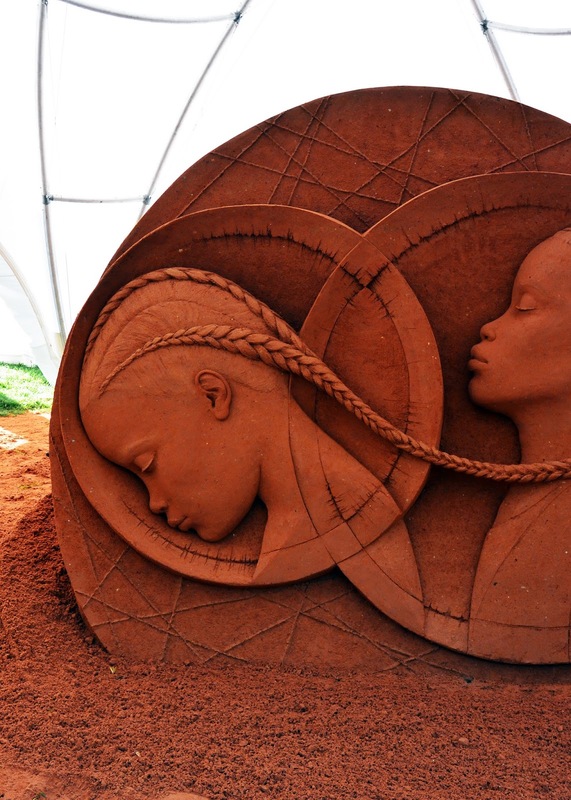 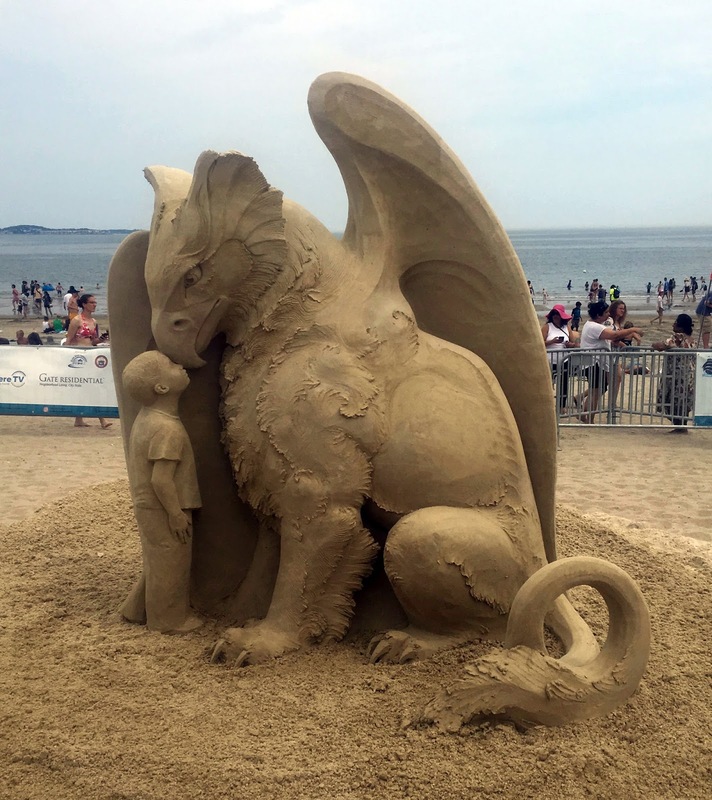 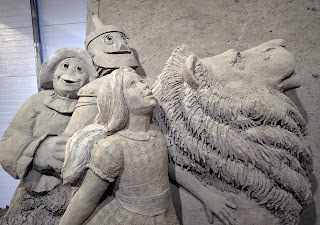 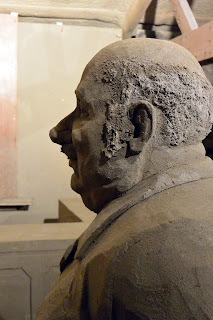 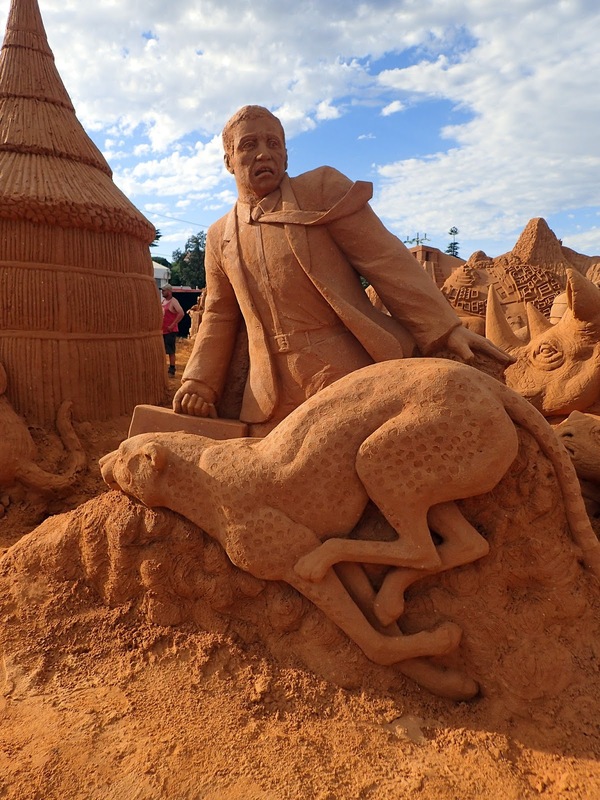 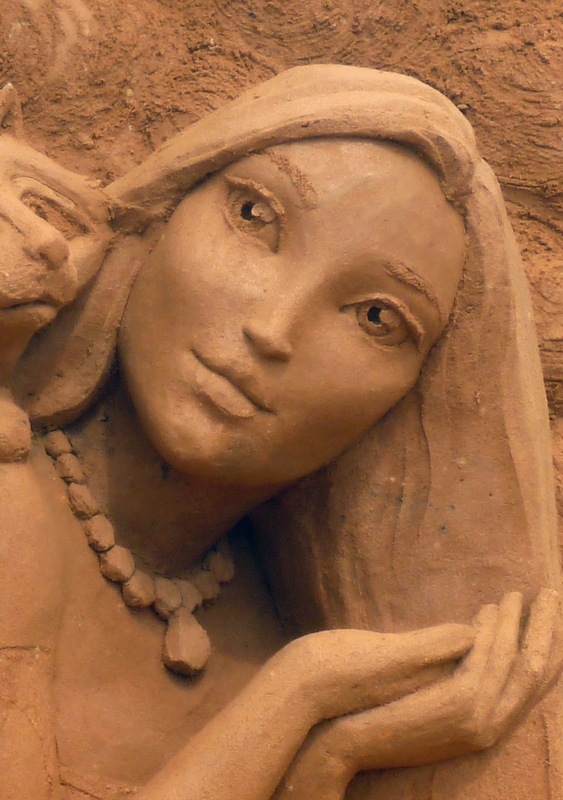 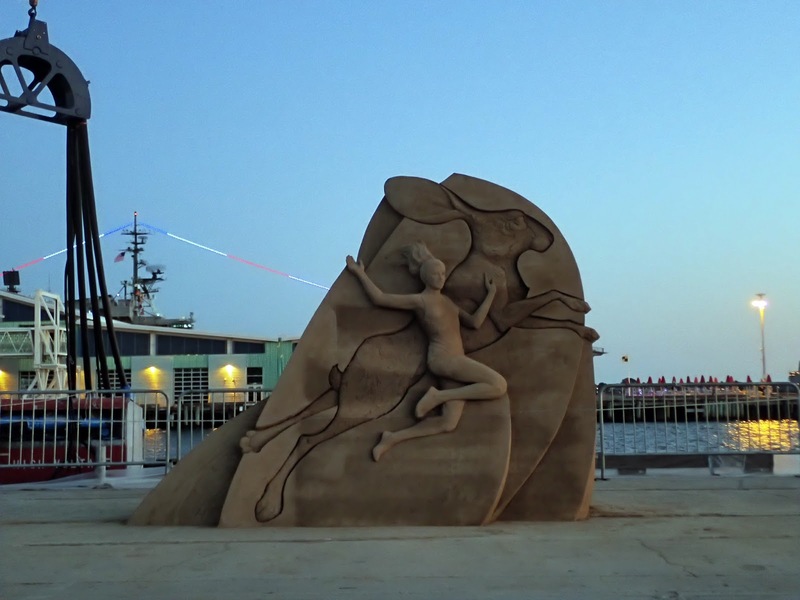 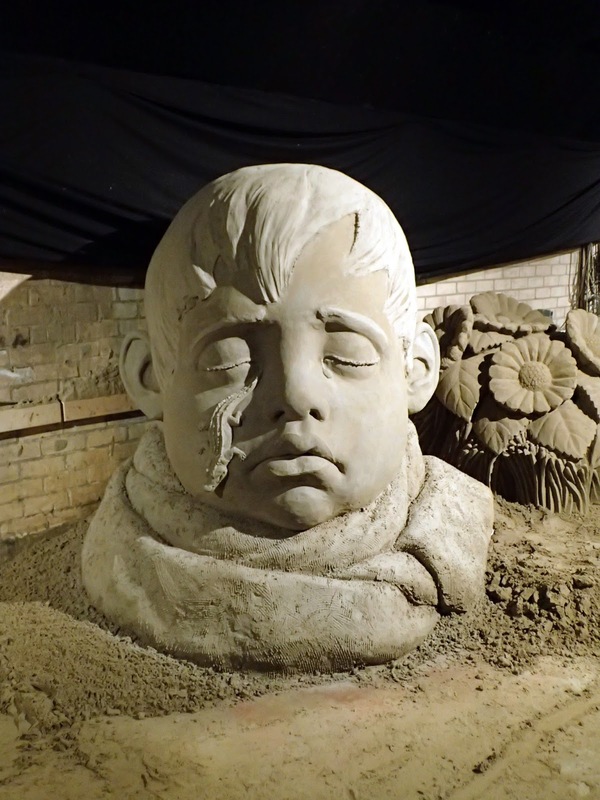 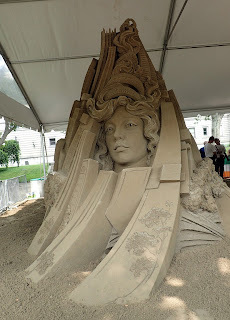 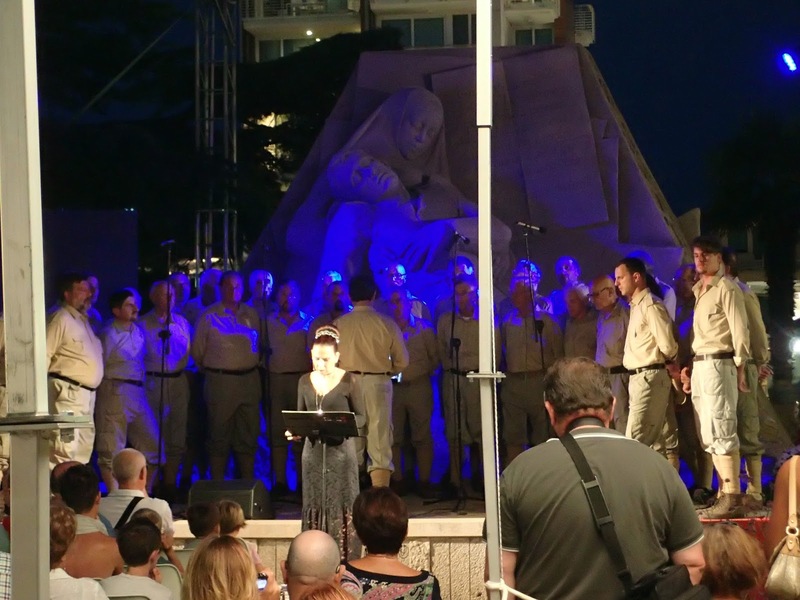 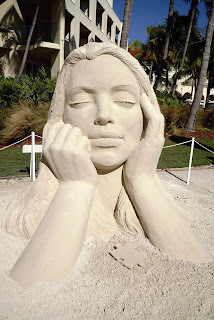 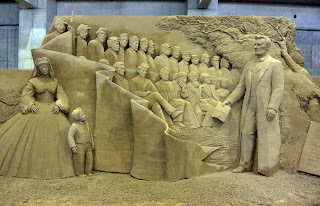 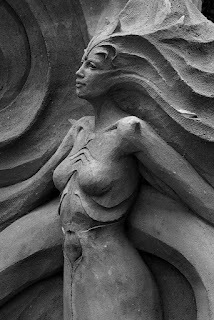 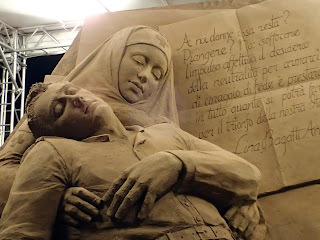 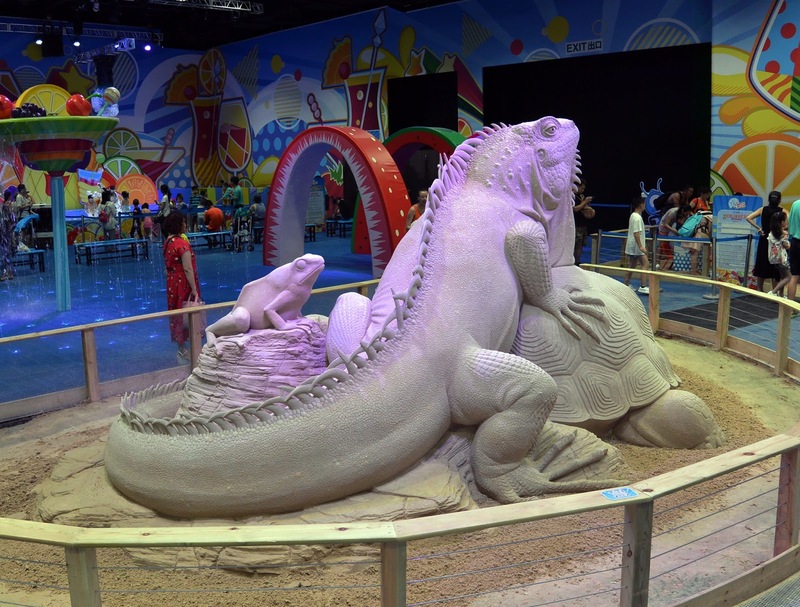 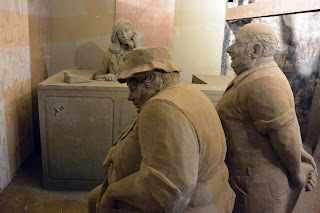 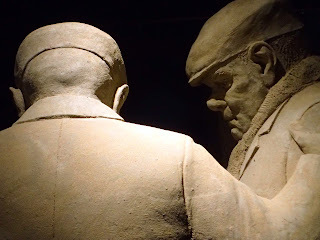 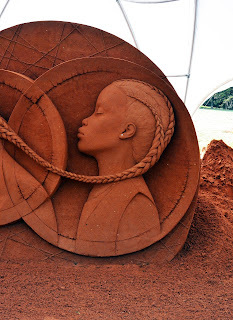 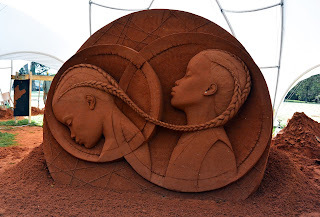 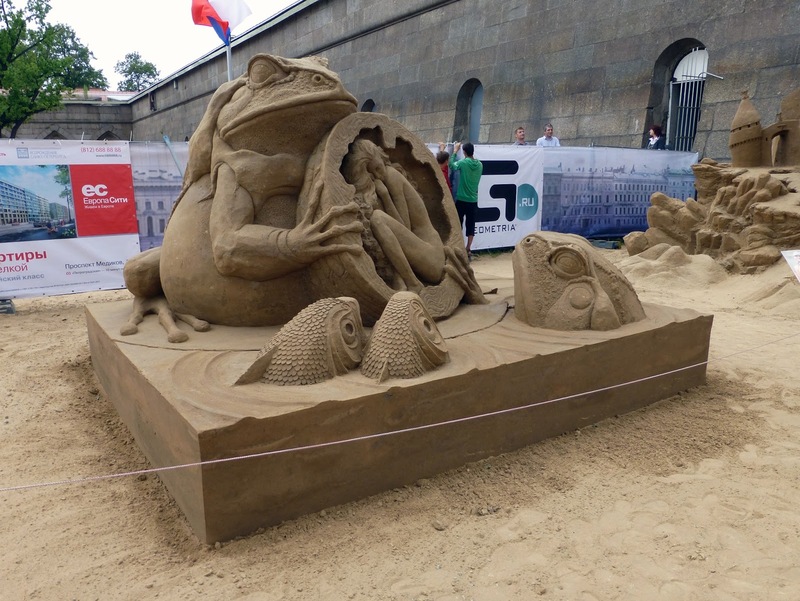 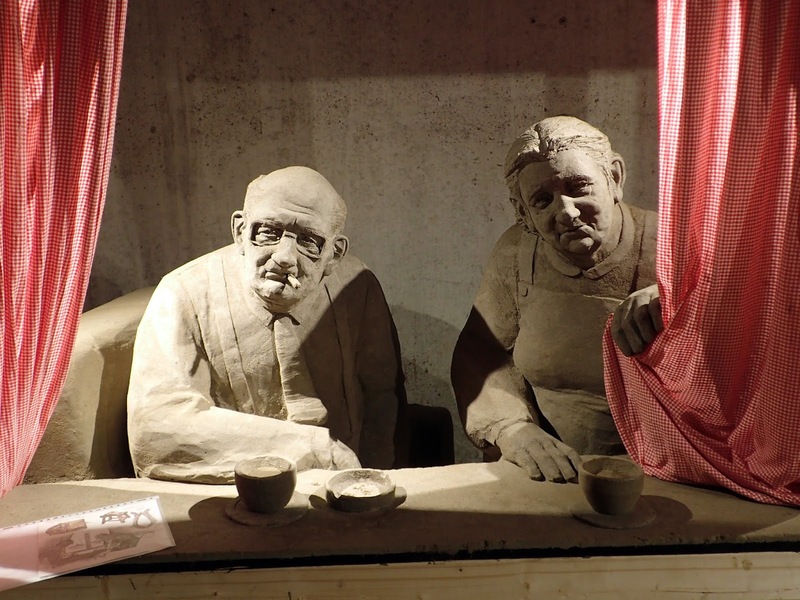 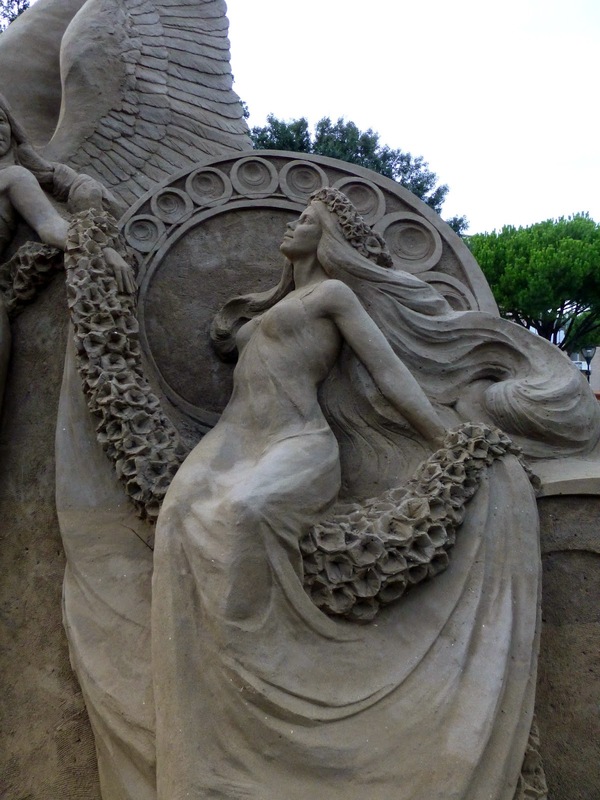 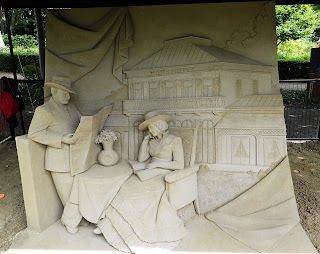 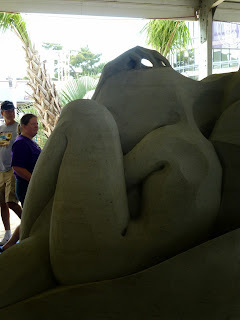 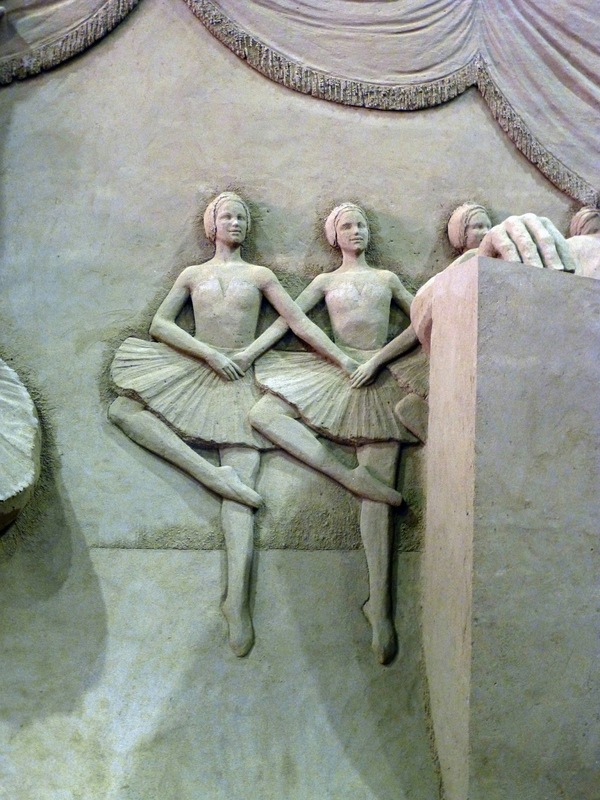 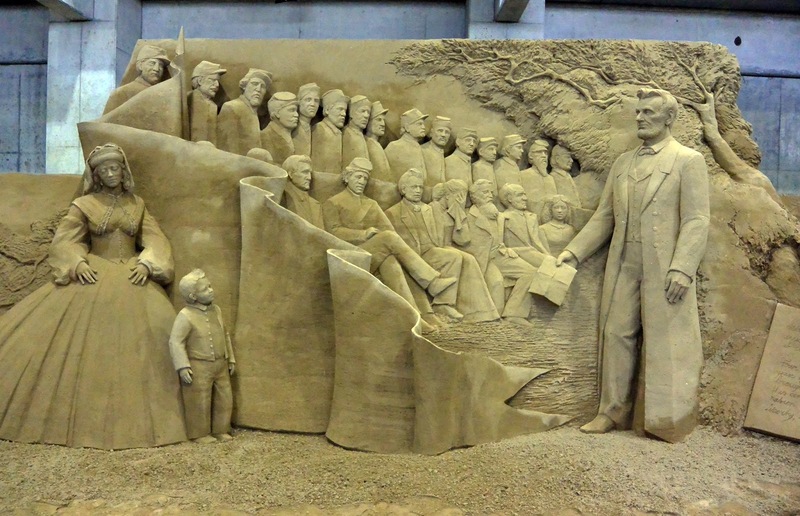 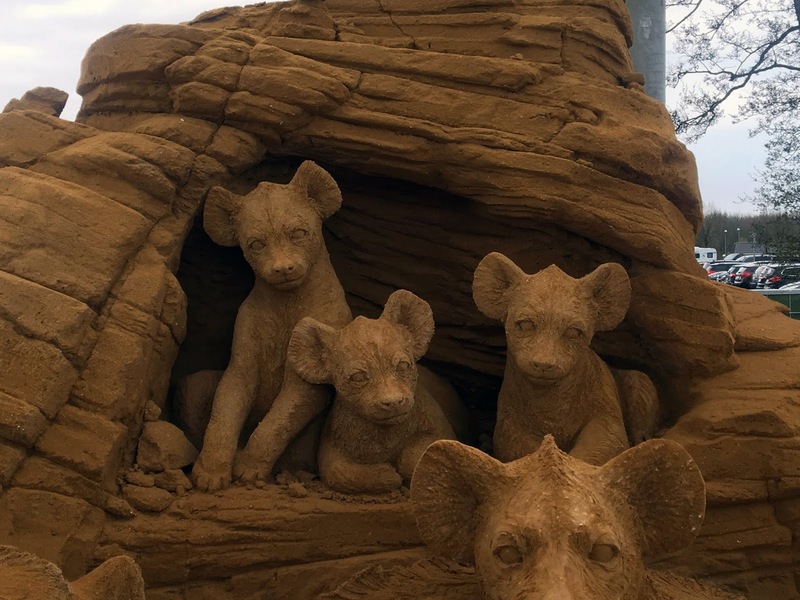 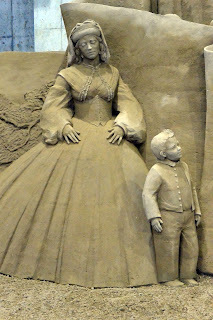 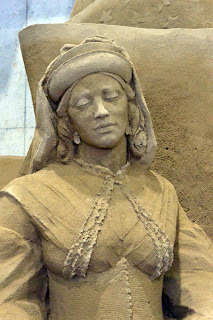 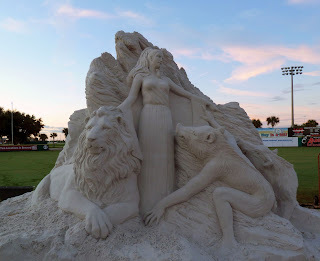 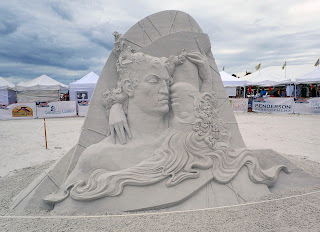 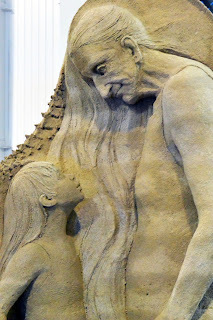 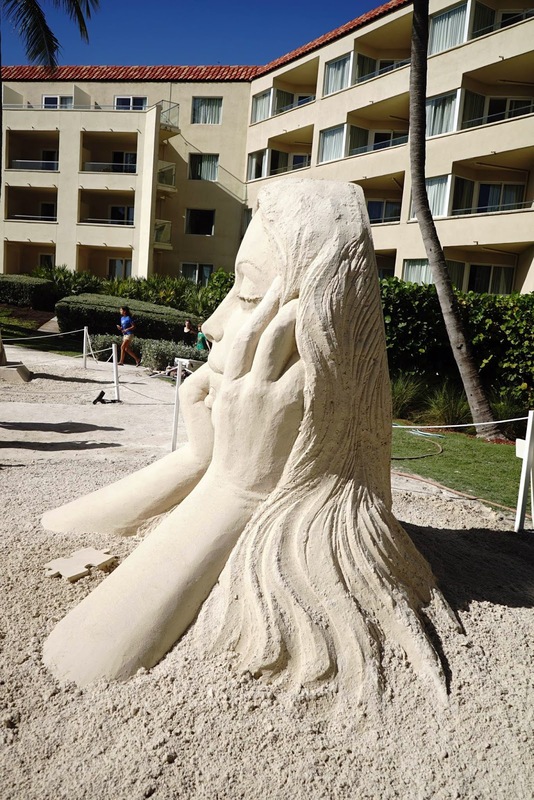 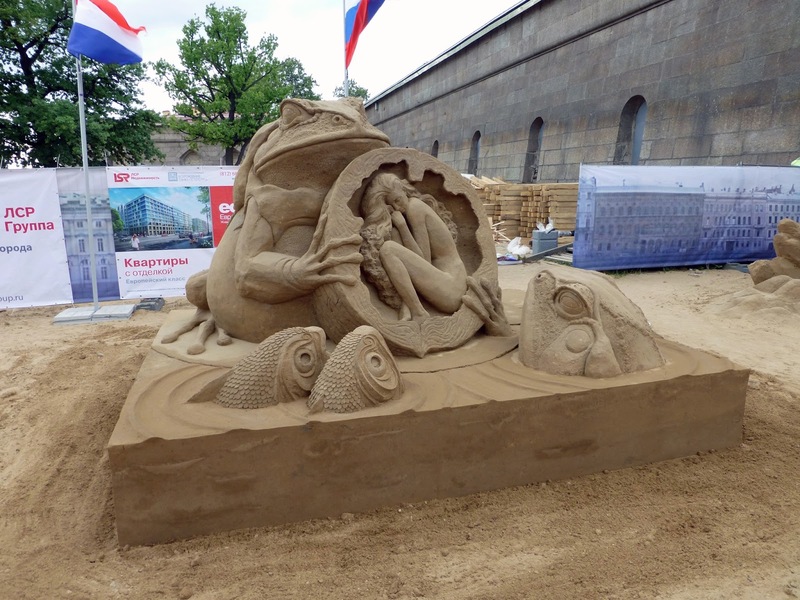 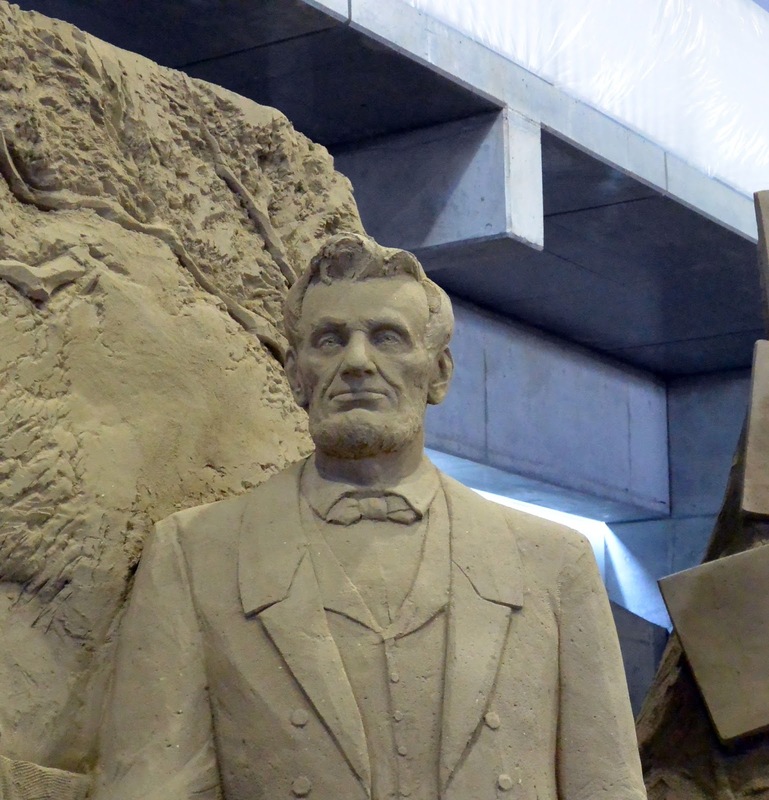 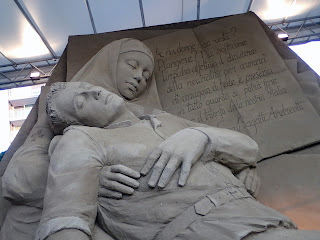 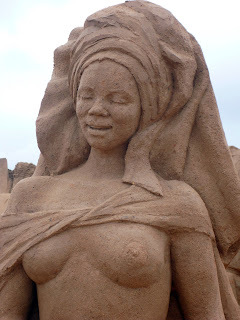 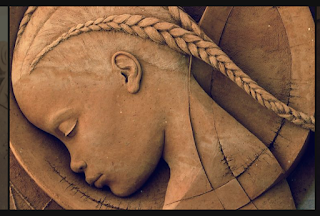 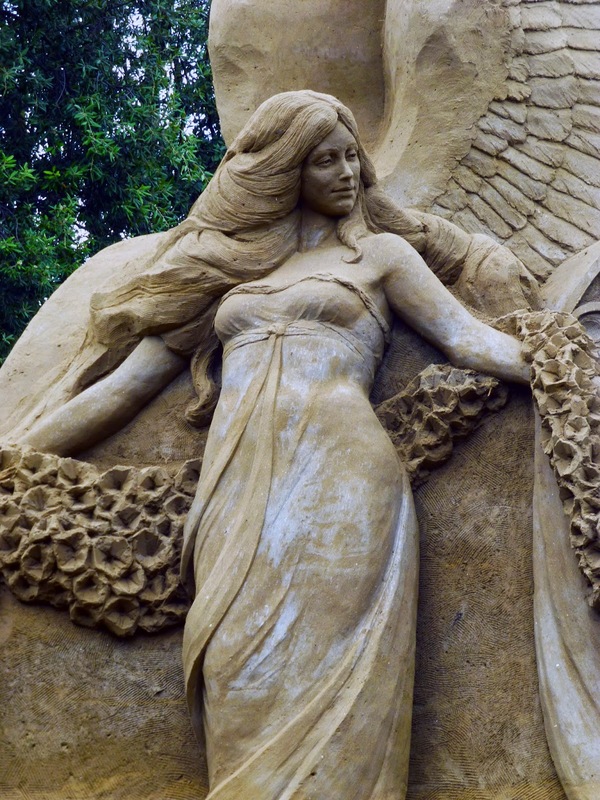 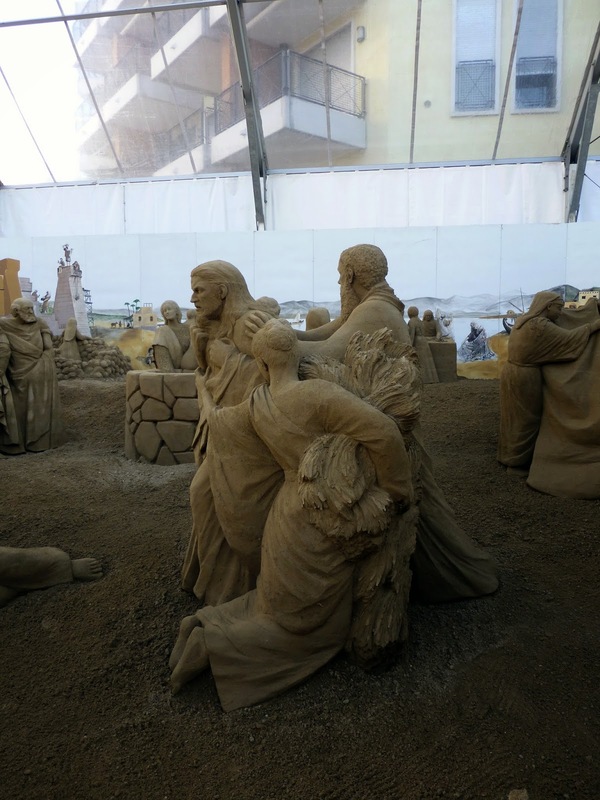 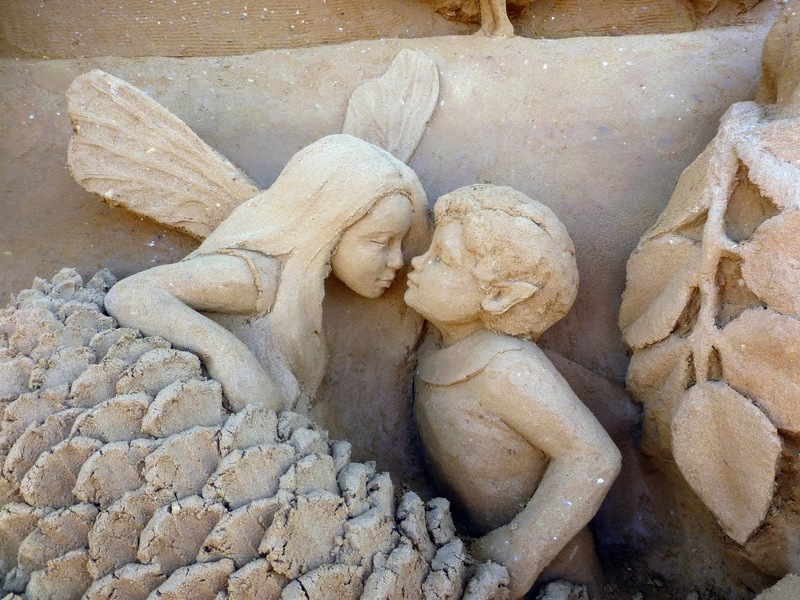 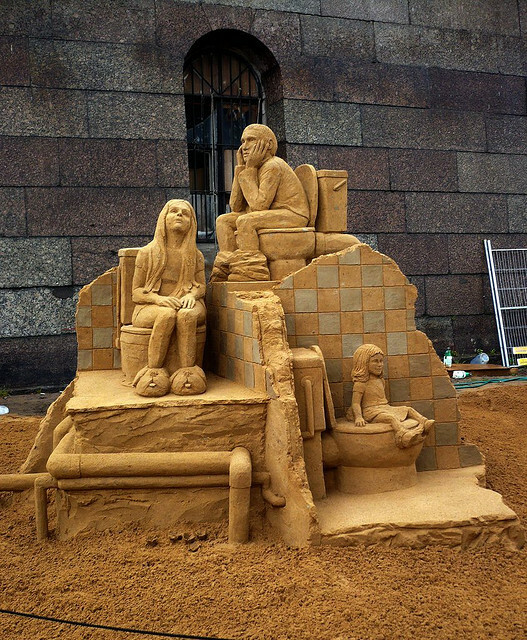 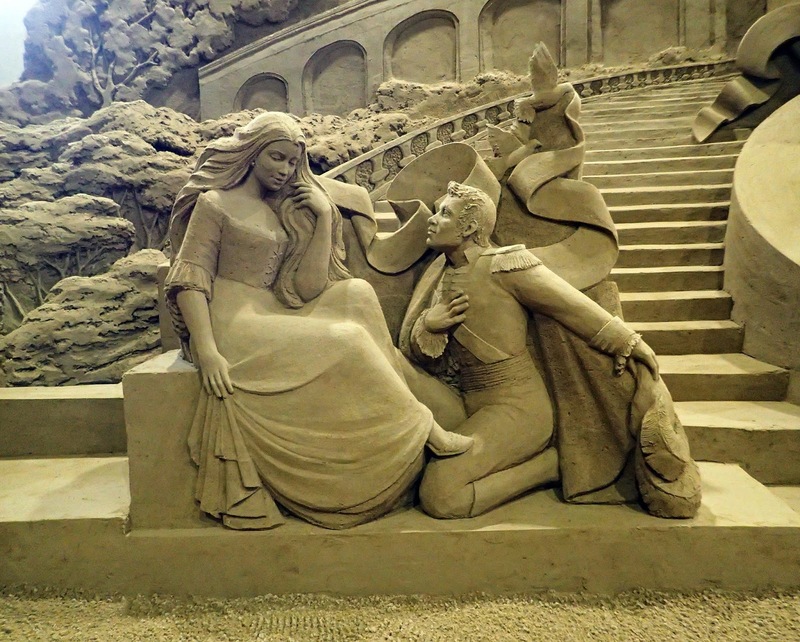 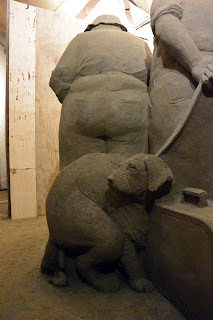 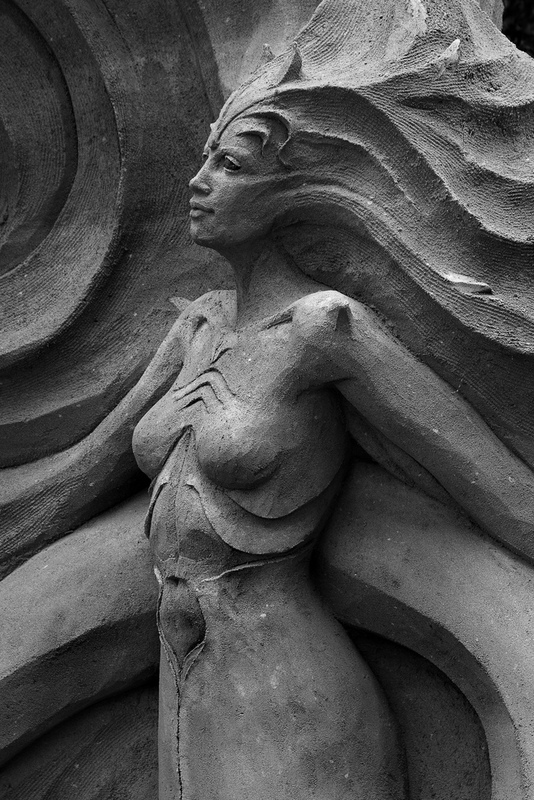 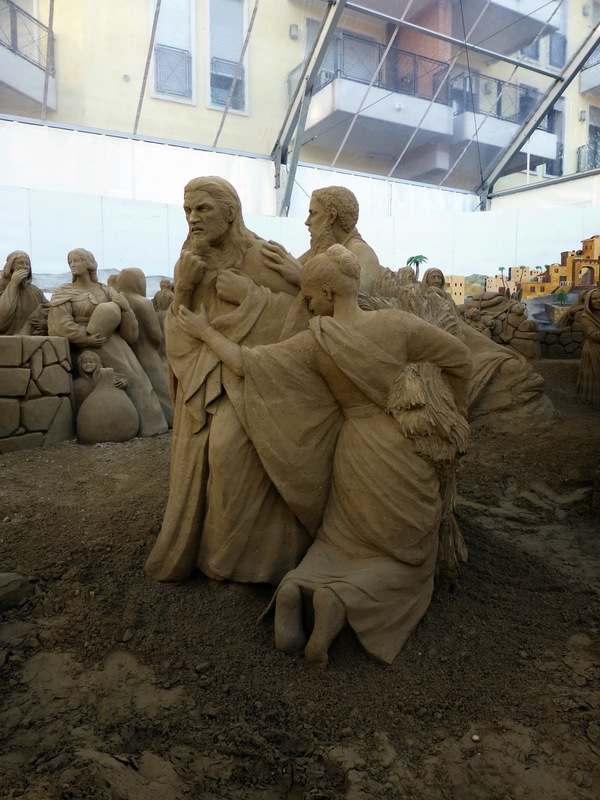 at the Sand Sculpture by Ilya Filimontsev and Susanne Ruseler. 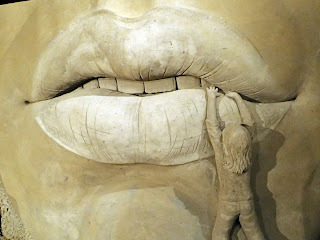 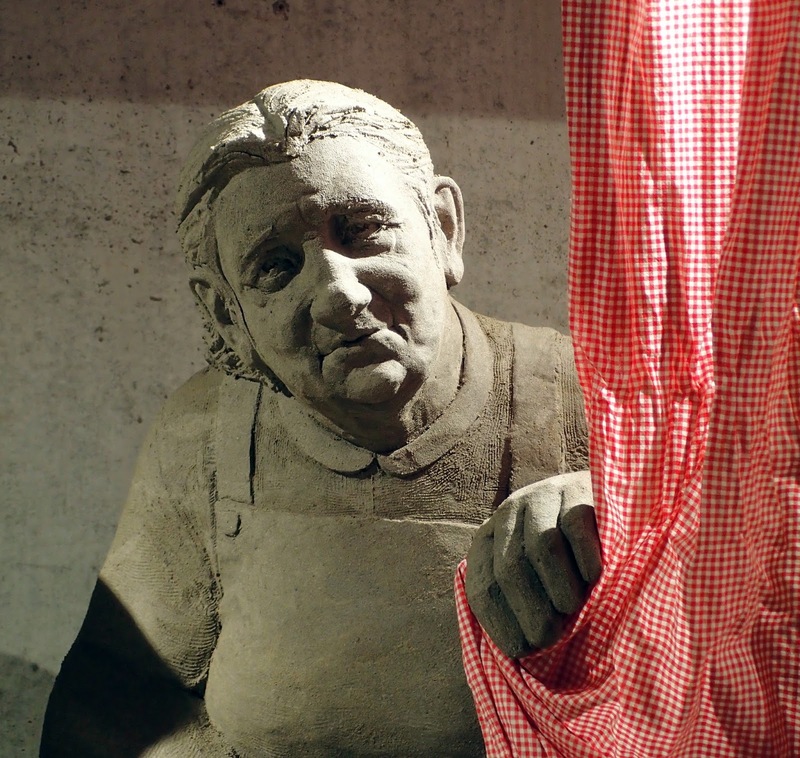 My name is Susanne Ruseler, I was born in Rotterdam. 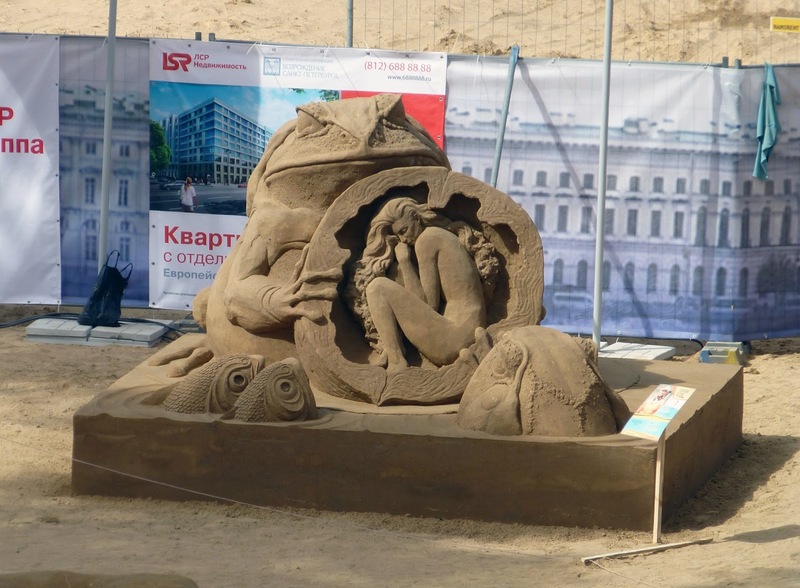 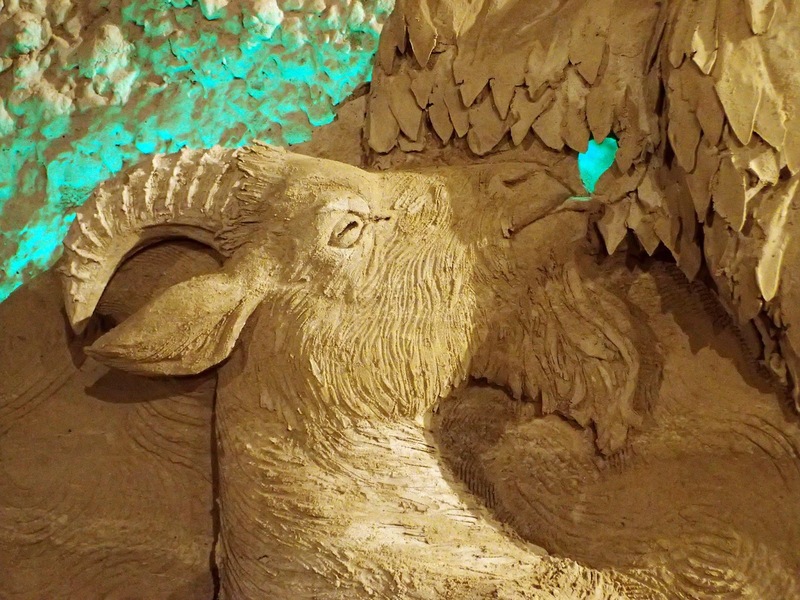 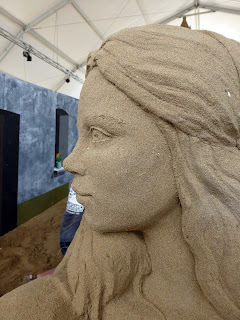 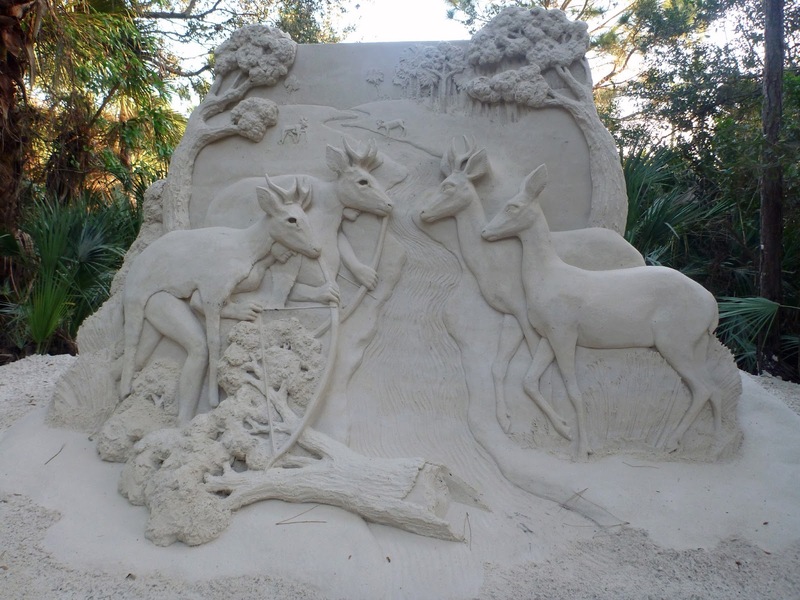 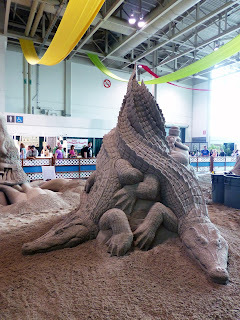 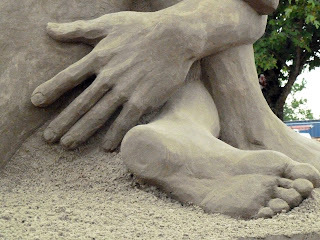 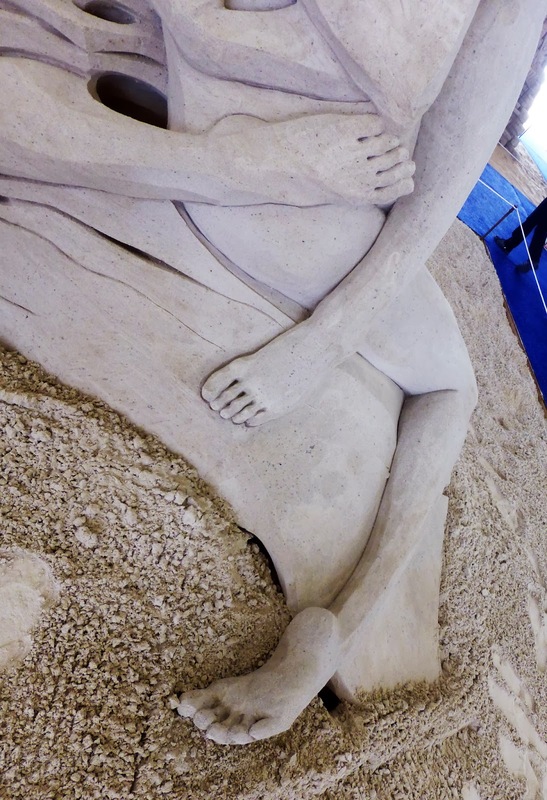 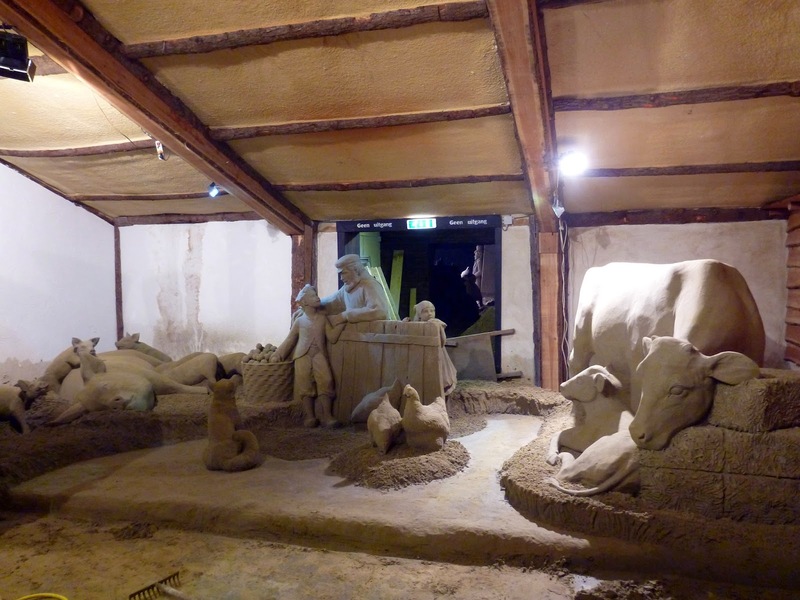 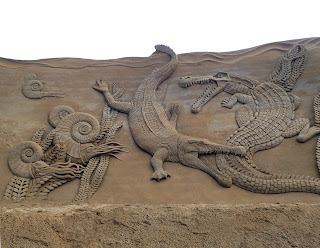 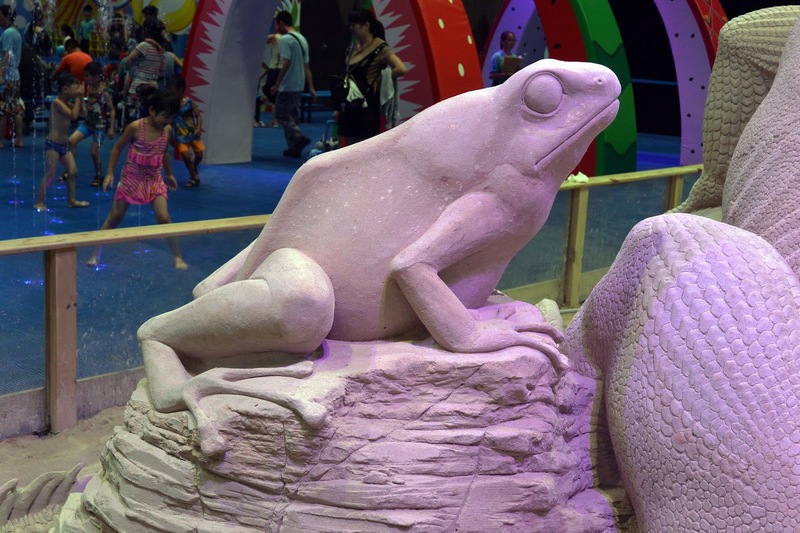 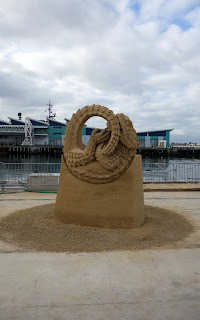 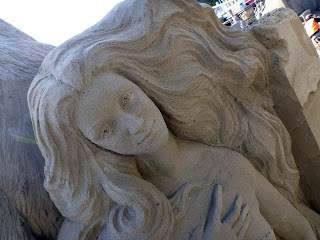 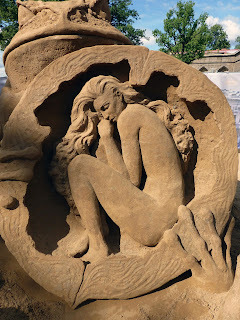 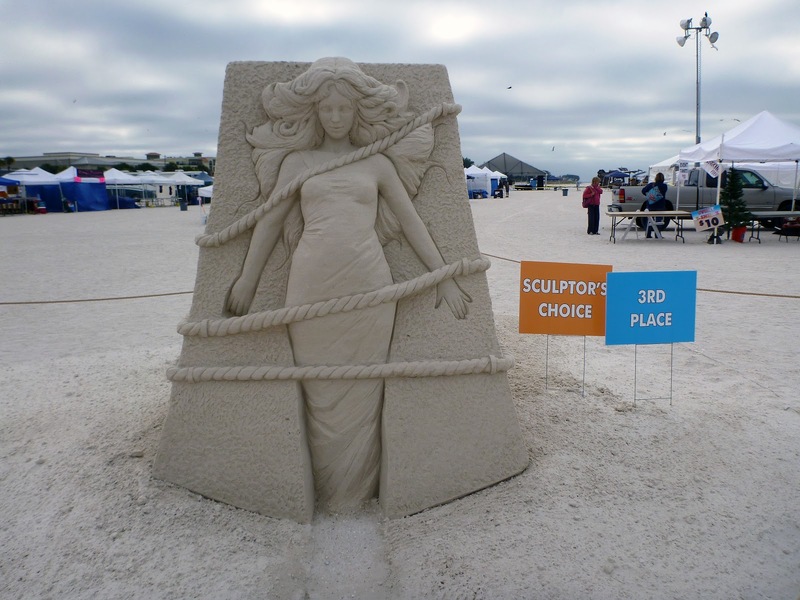 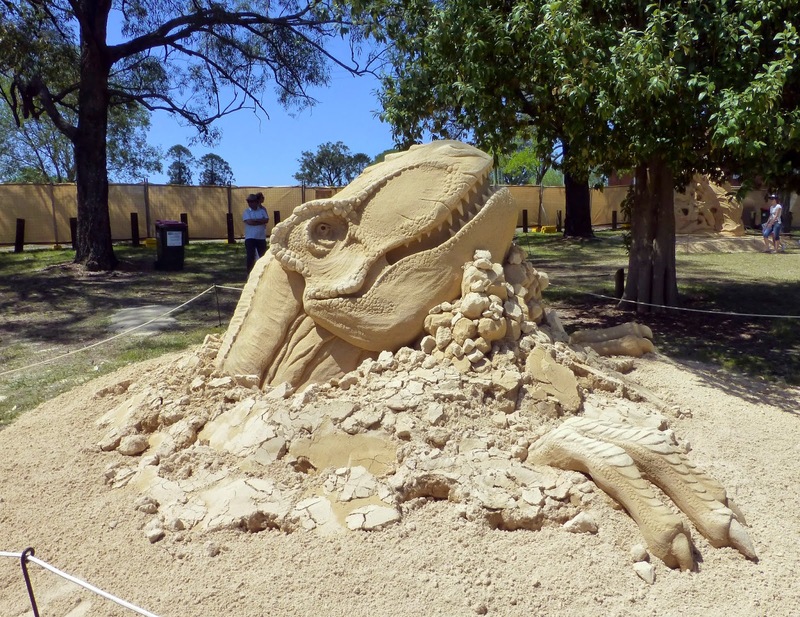 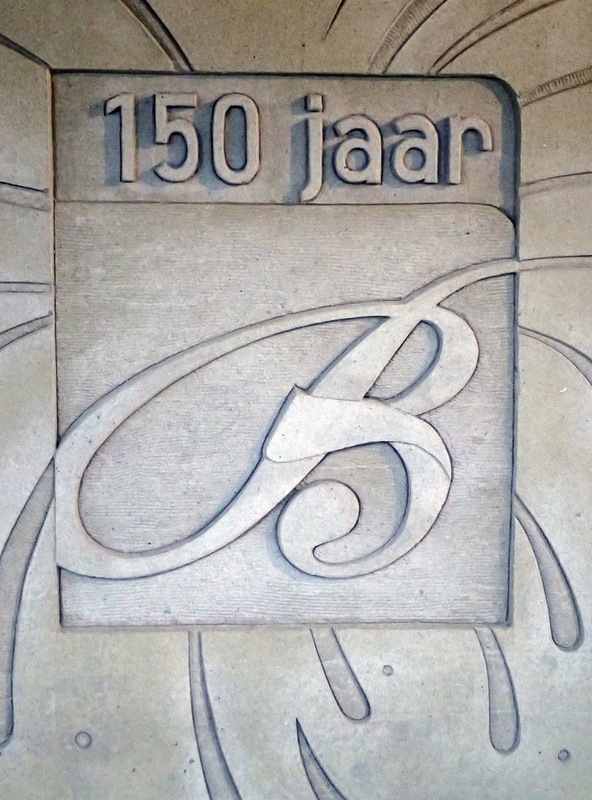 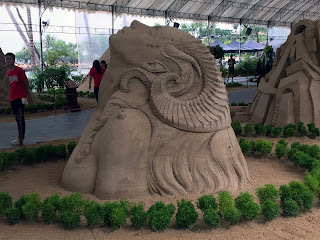 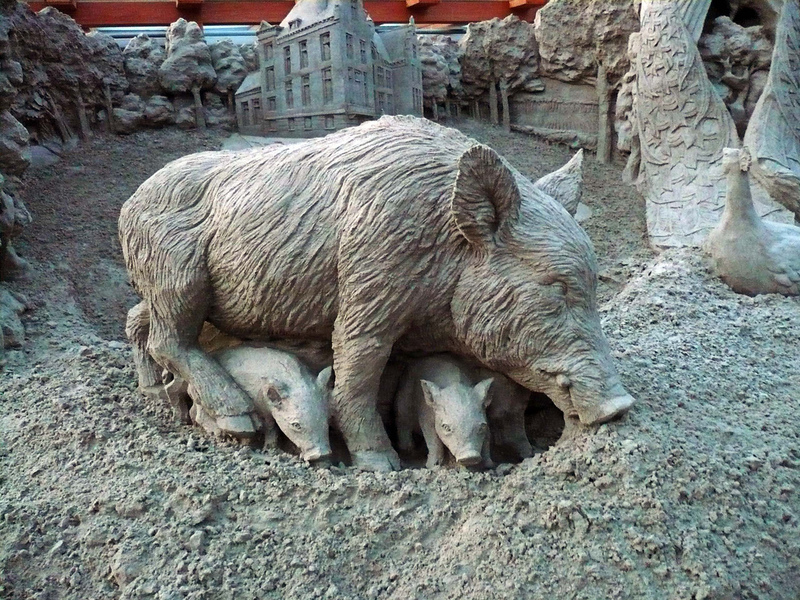 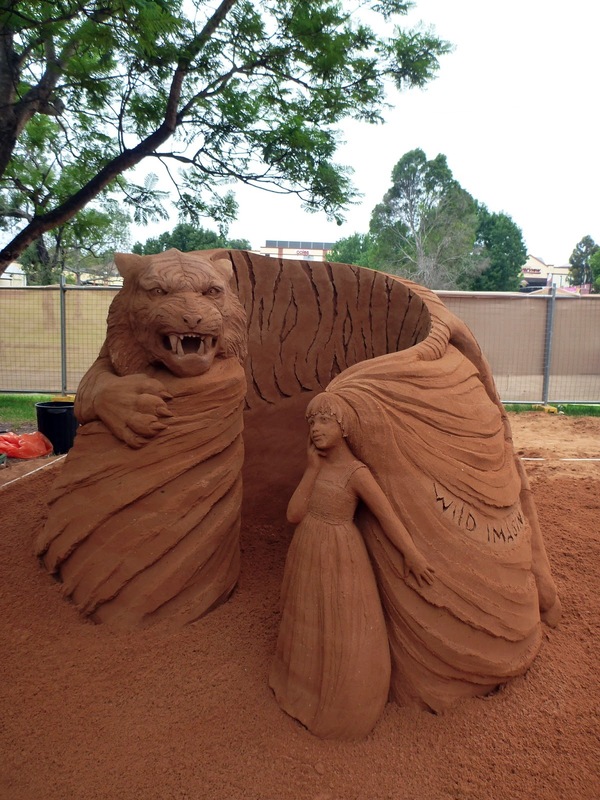 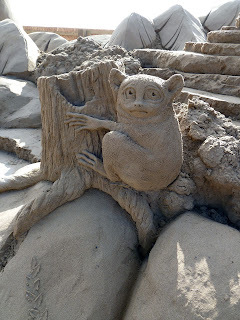 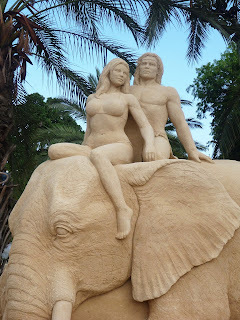 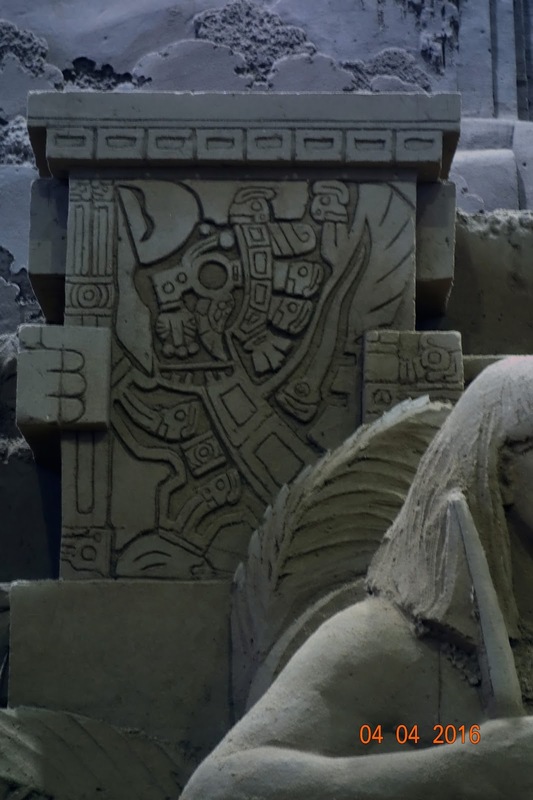 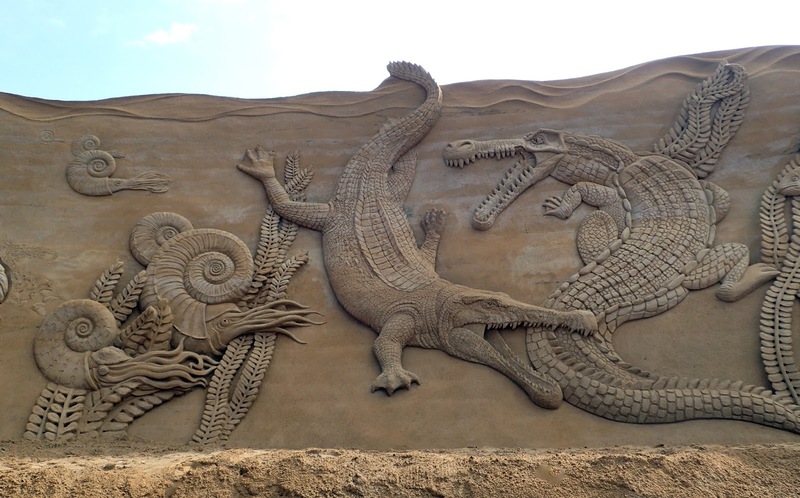 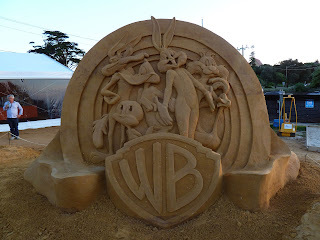 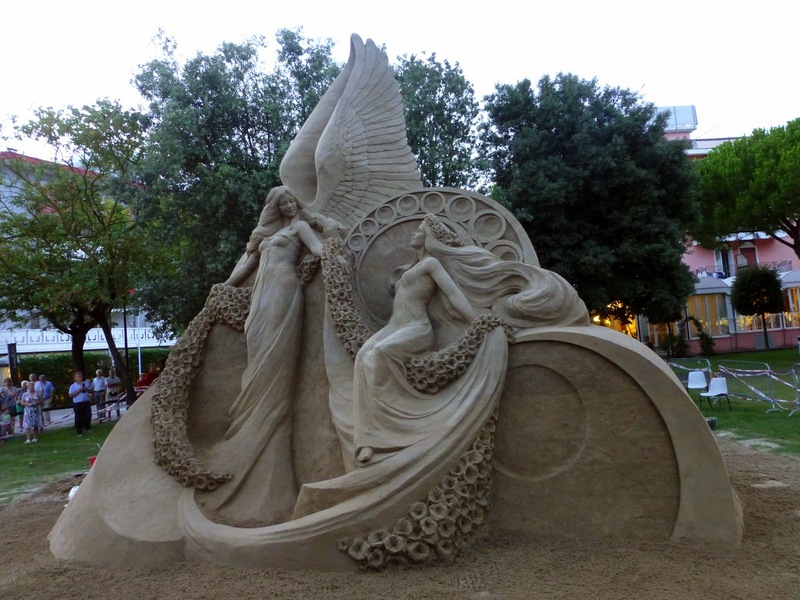 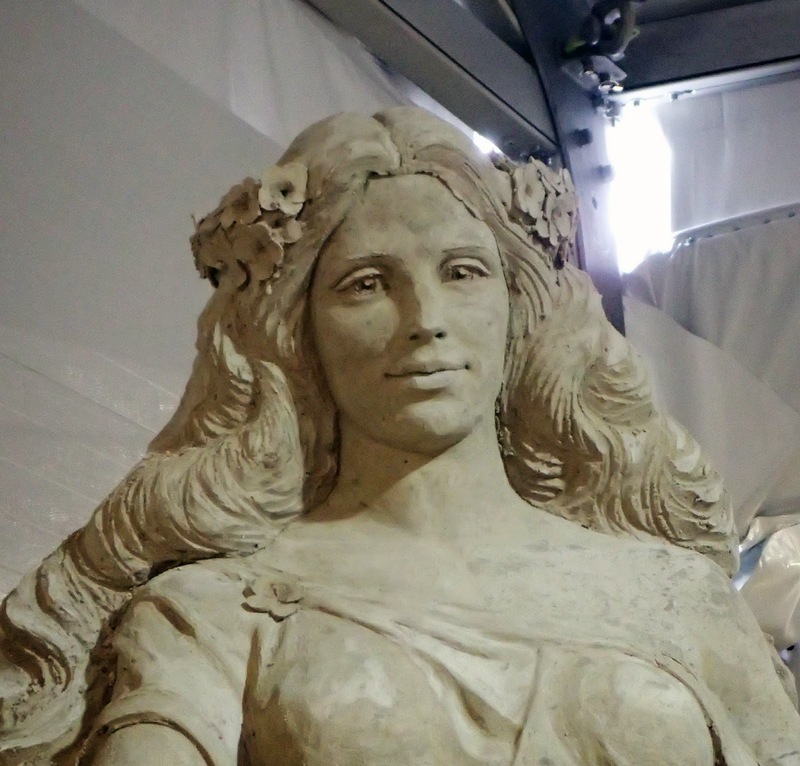 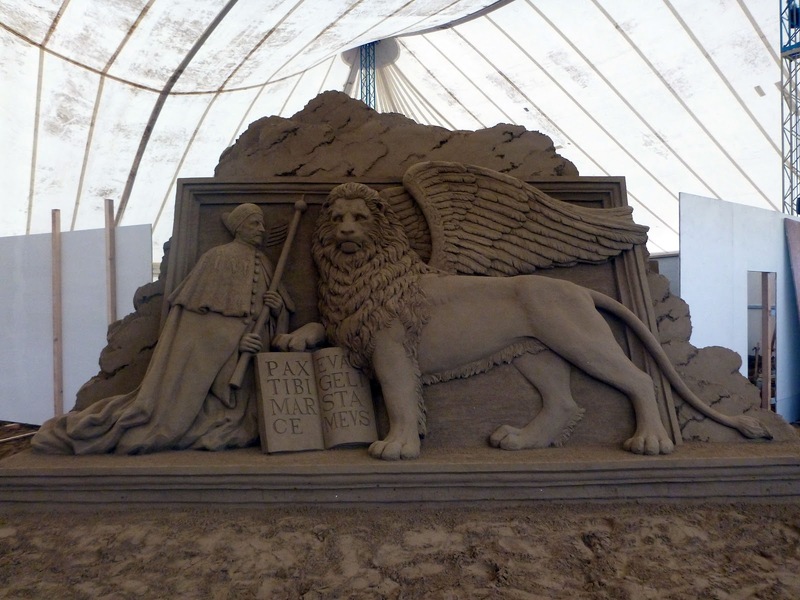 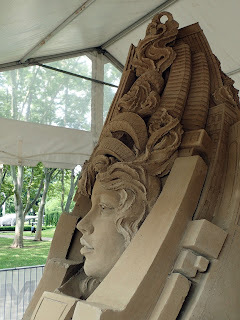 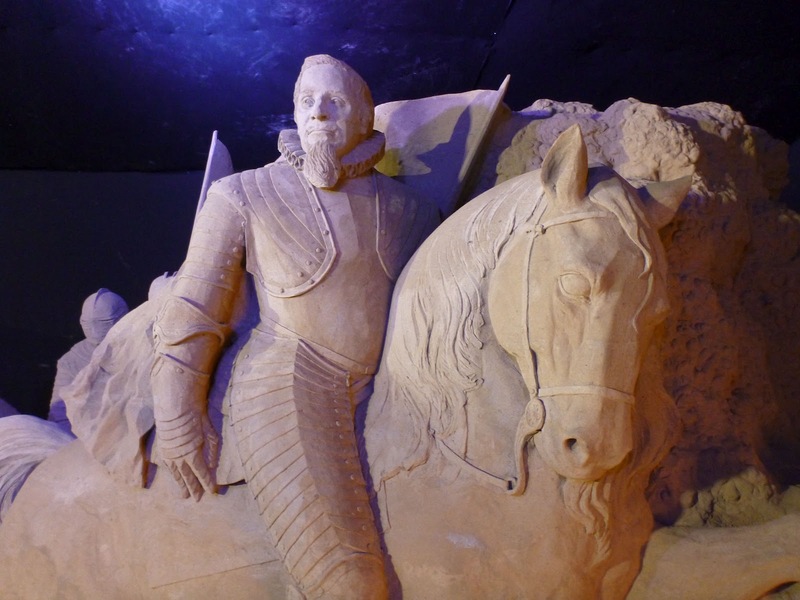 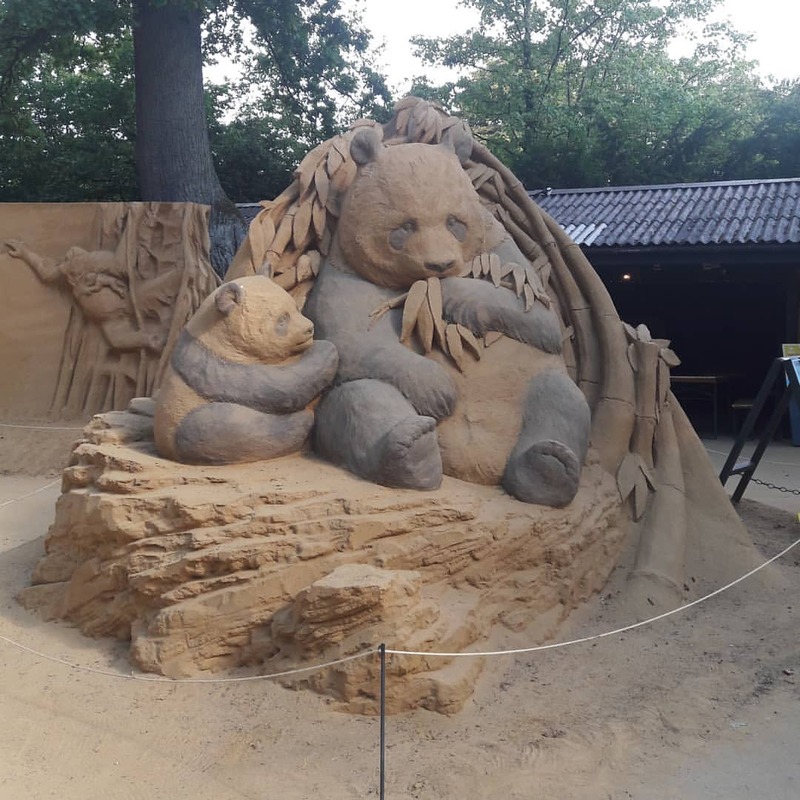 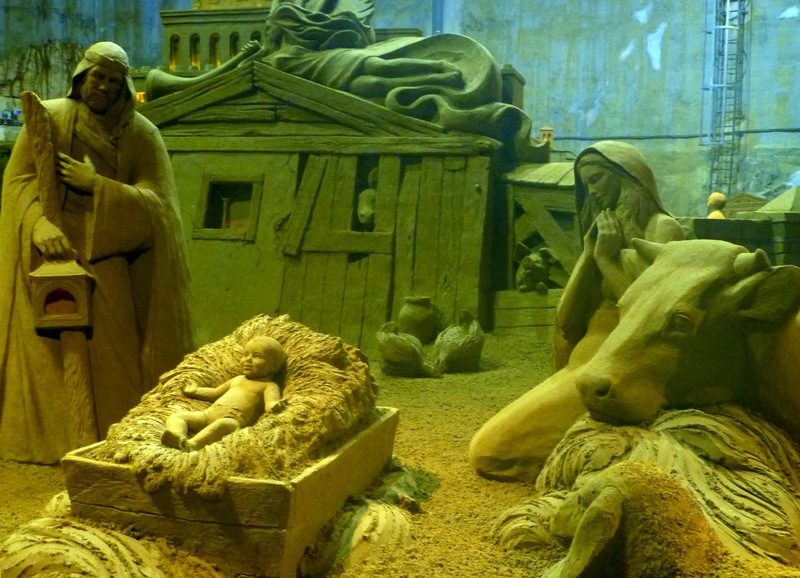 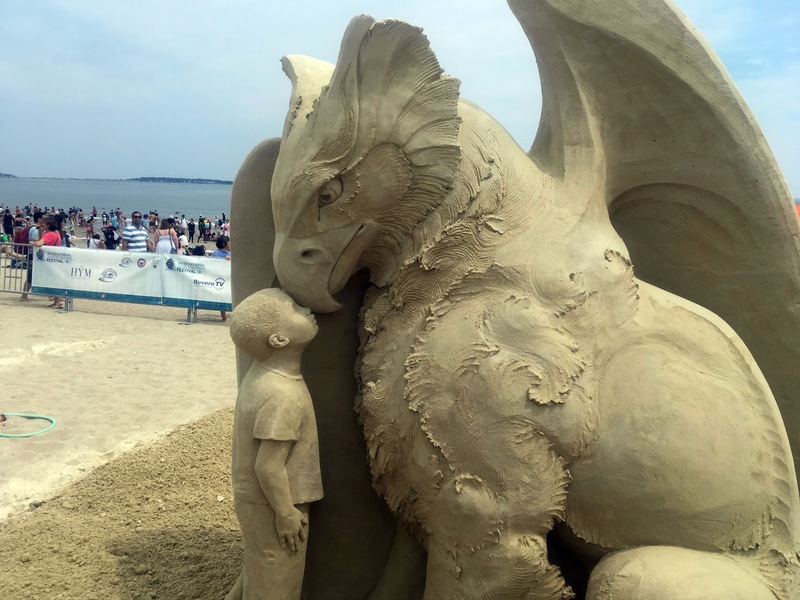 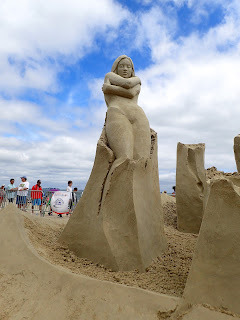 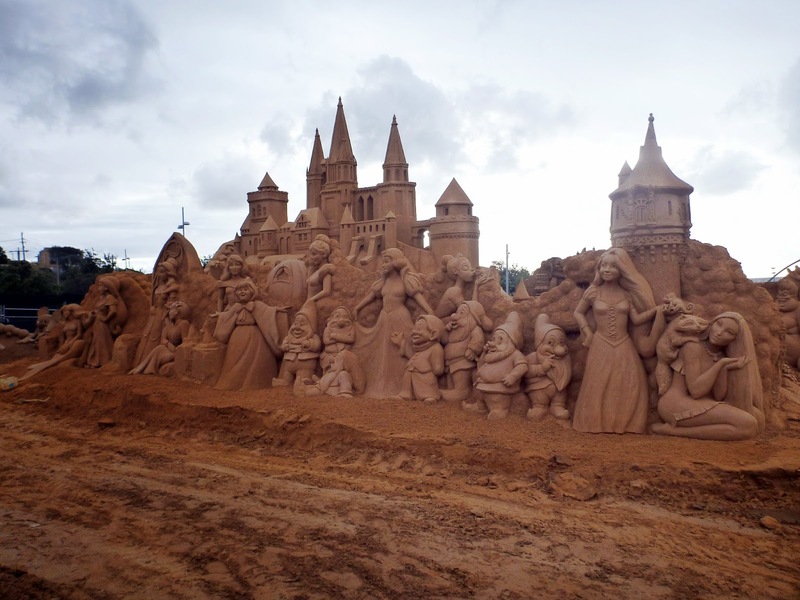 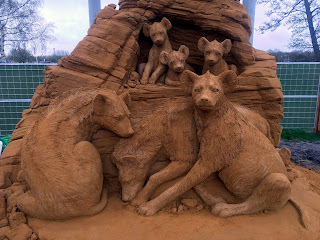 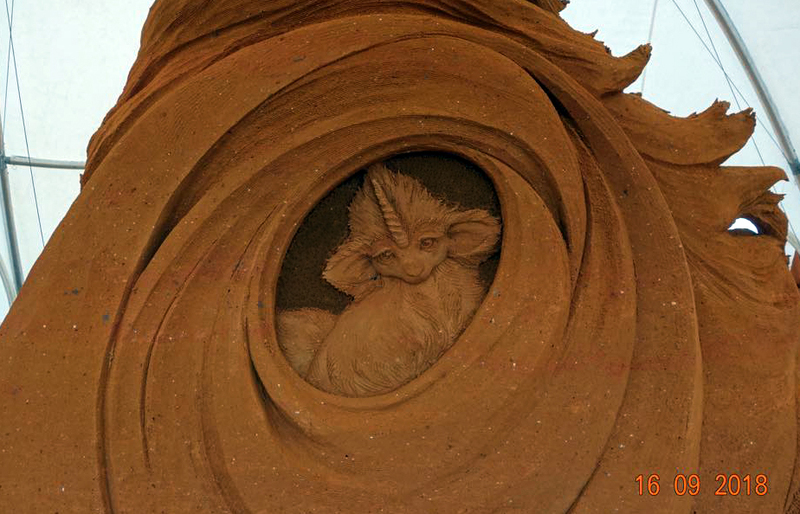 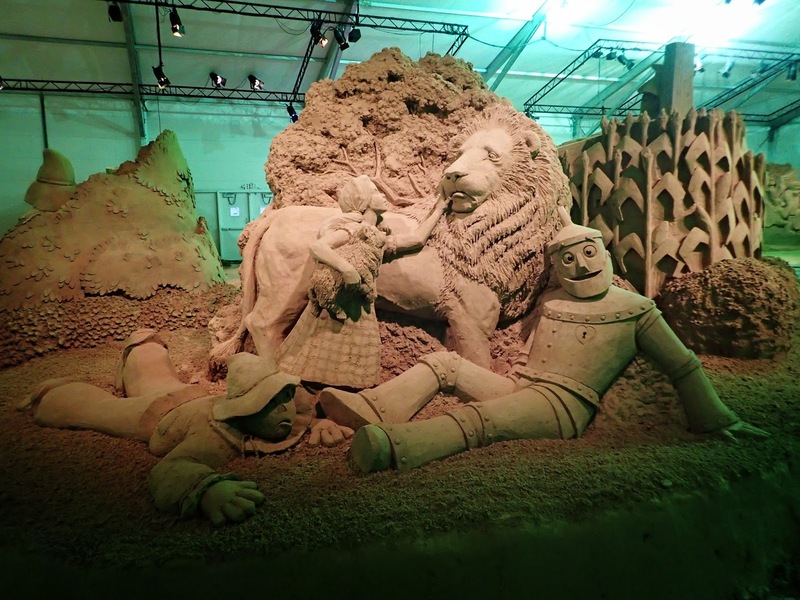 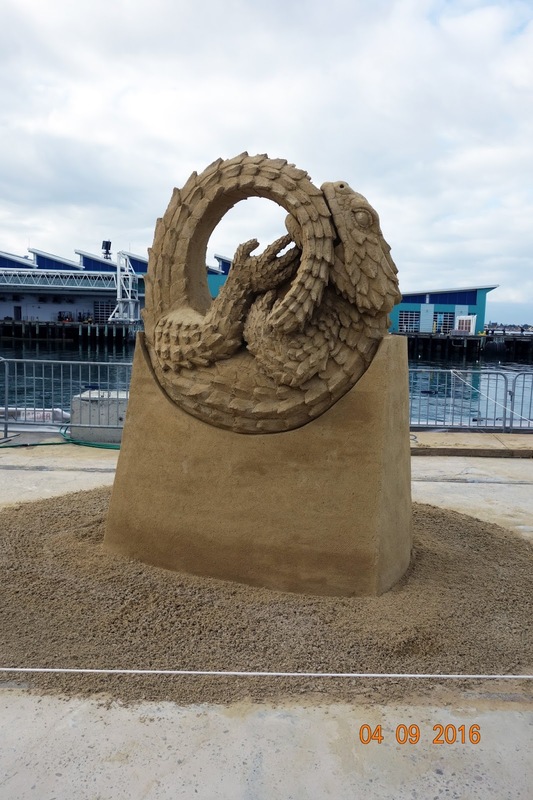 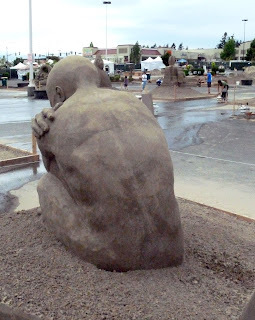 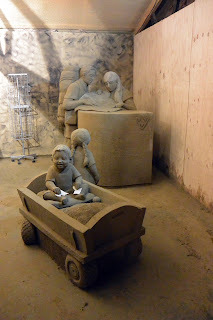 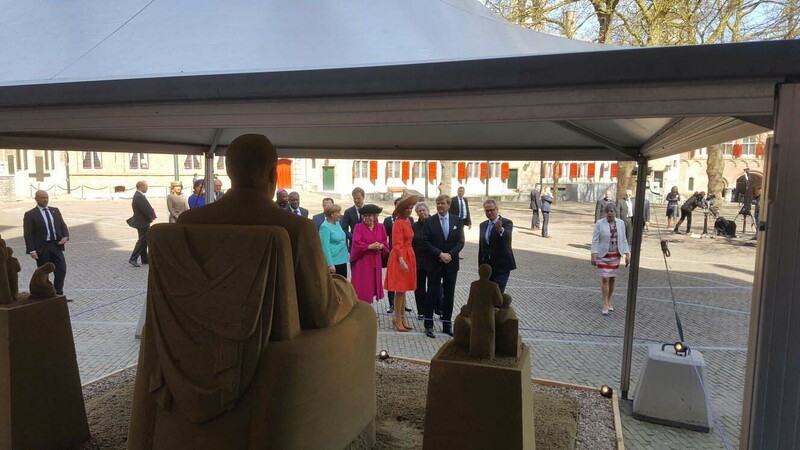 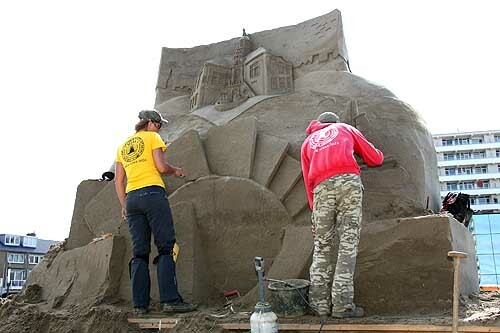 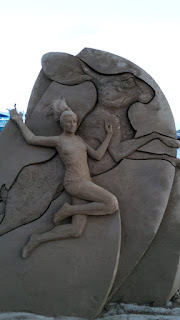 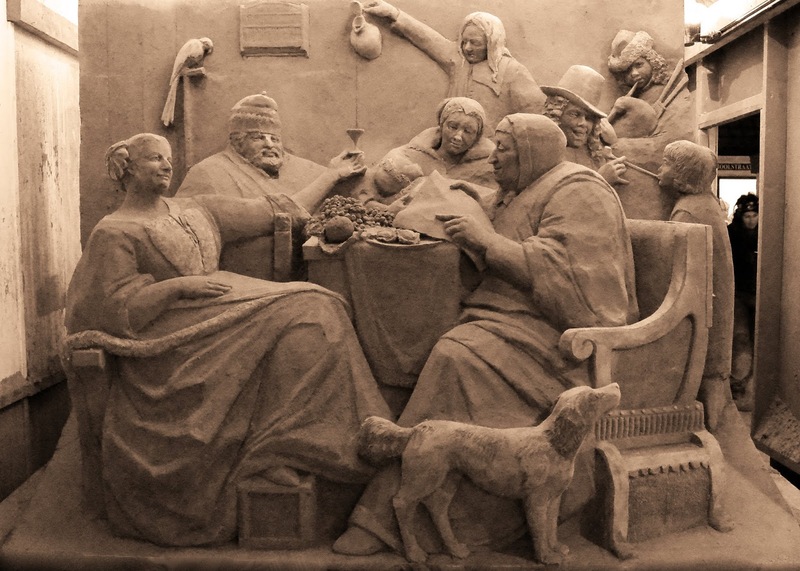 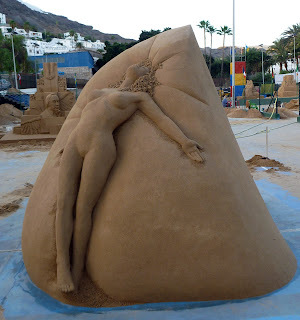 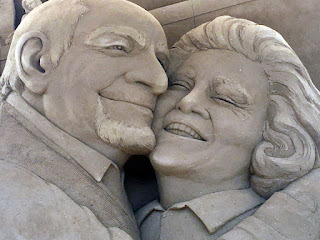 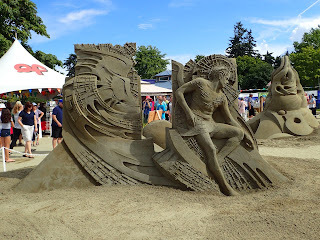 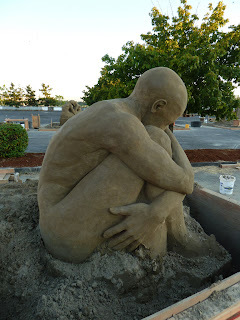 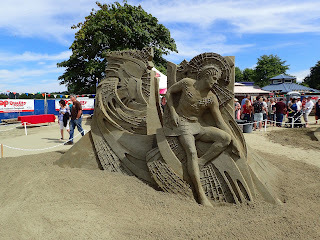 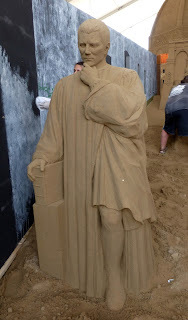 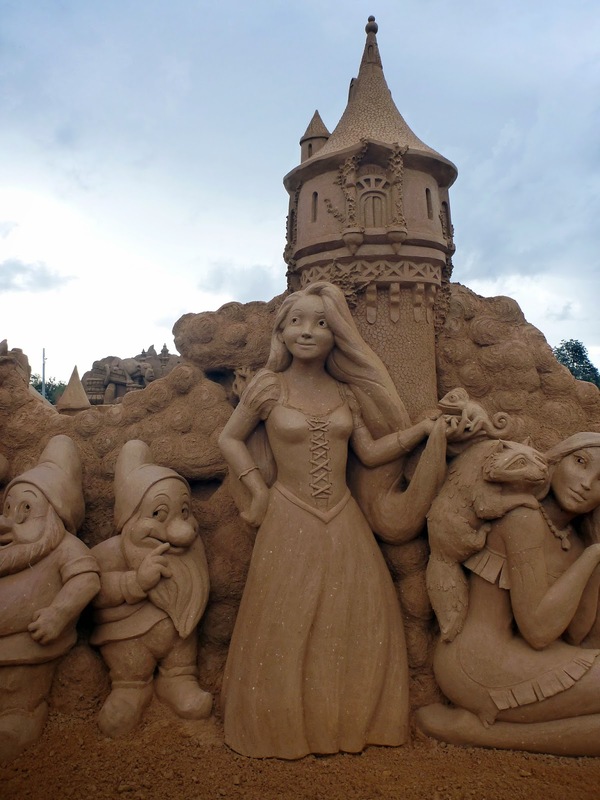 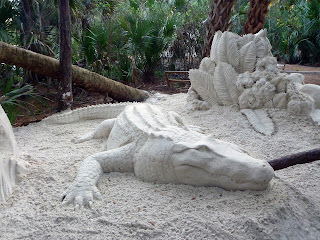 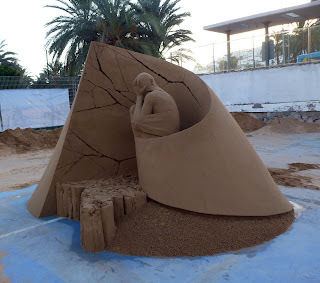 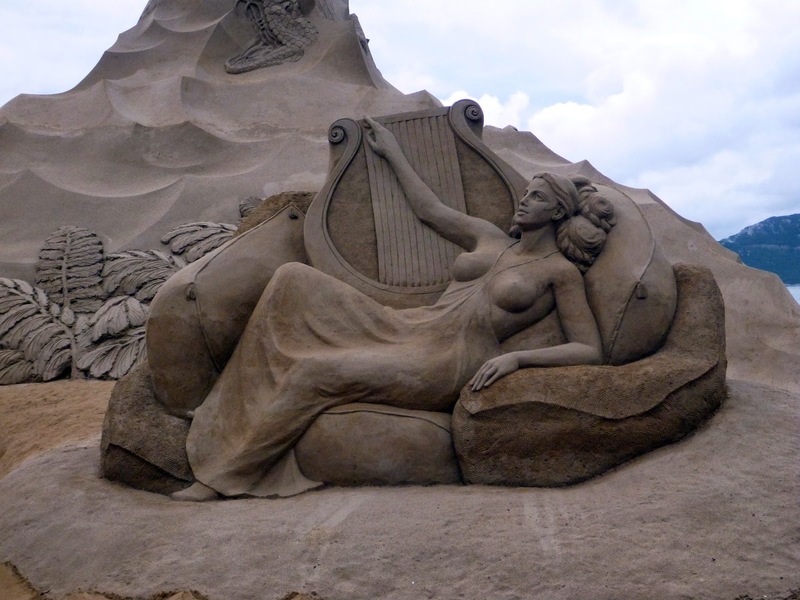 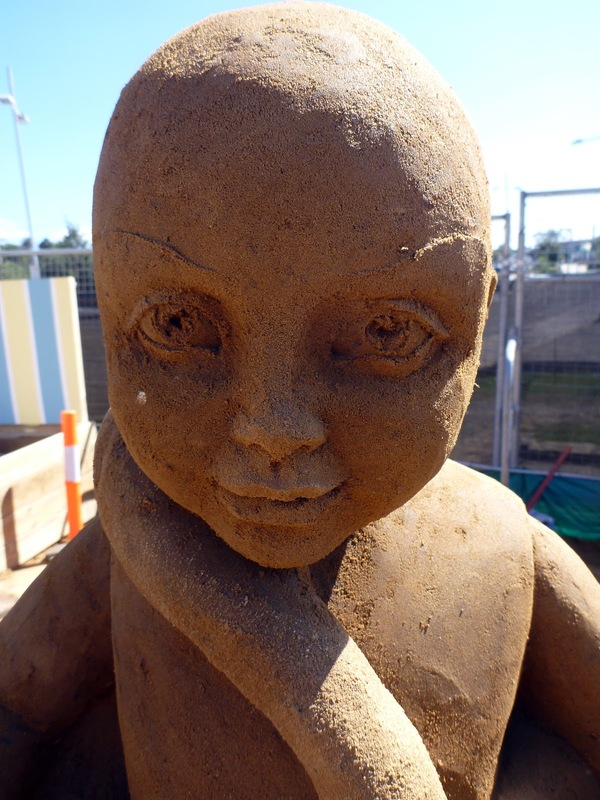 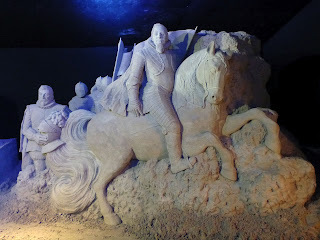 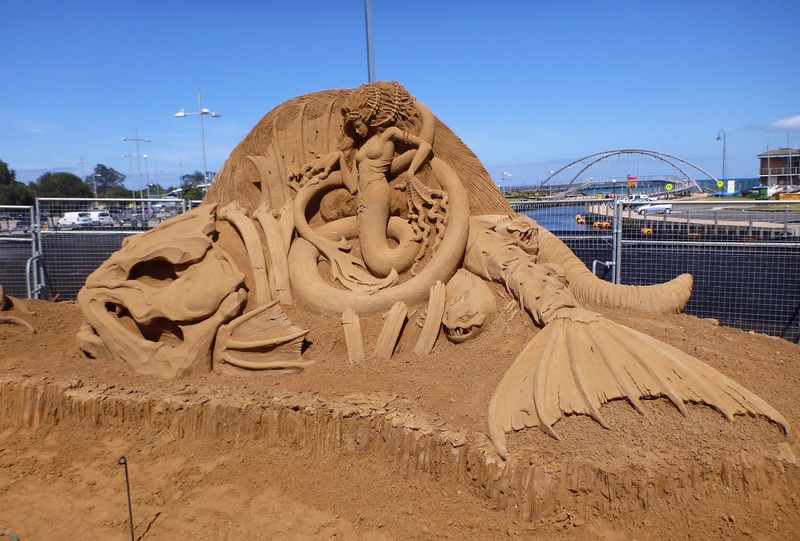 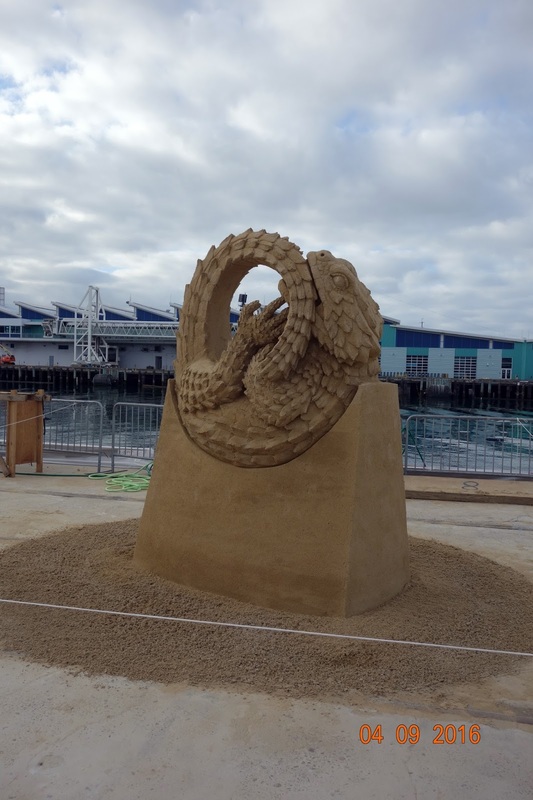 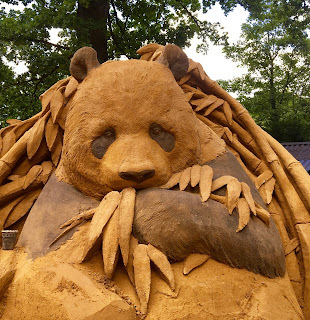 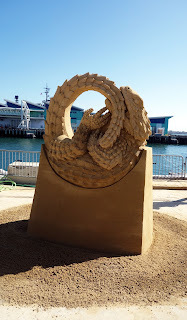 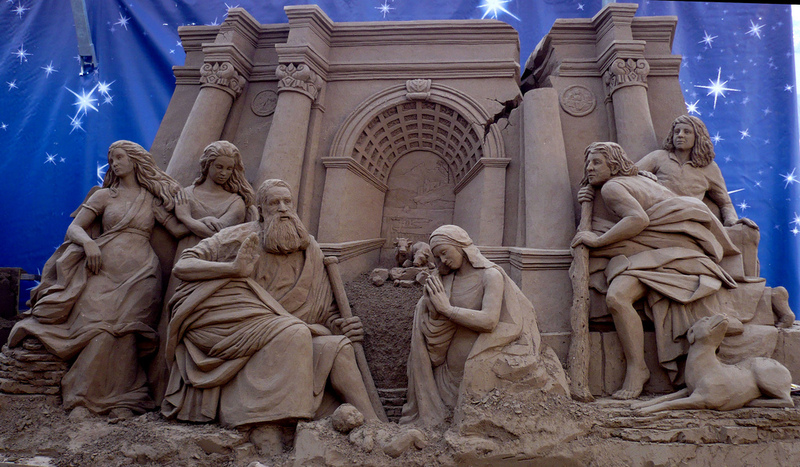 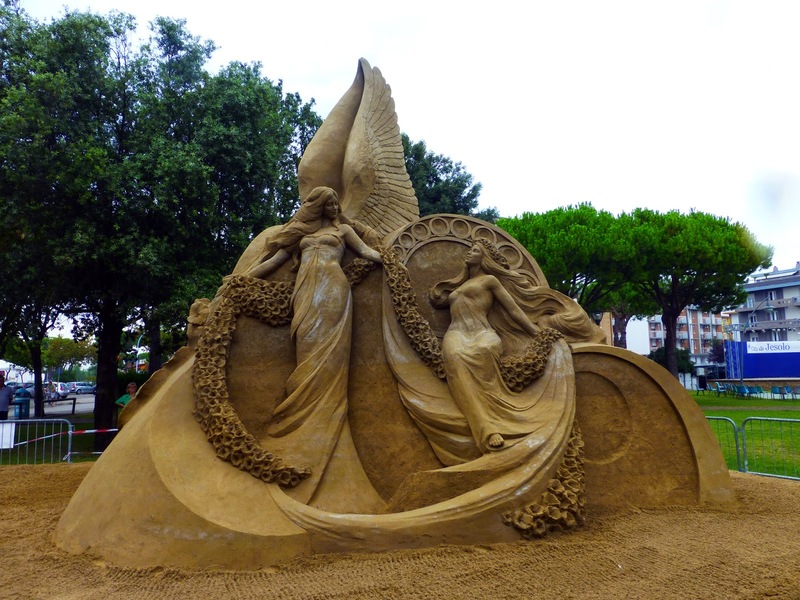 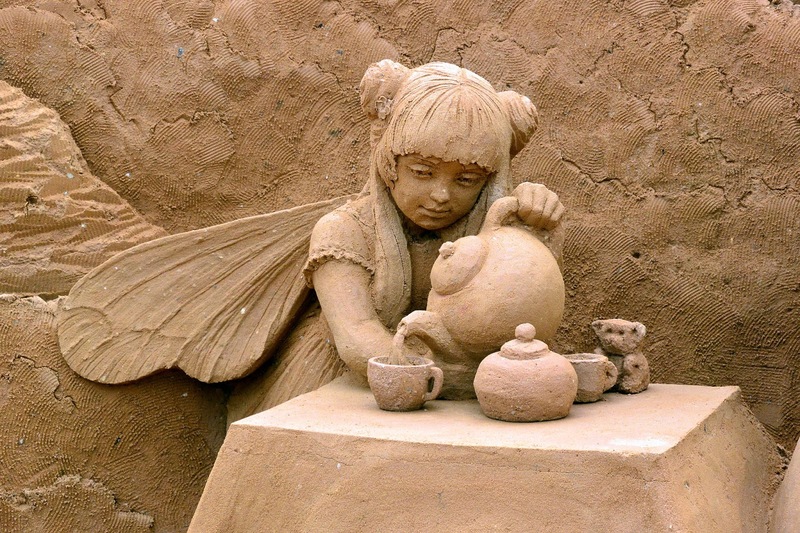 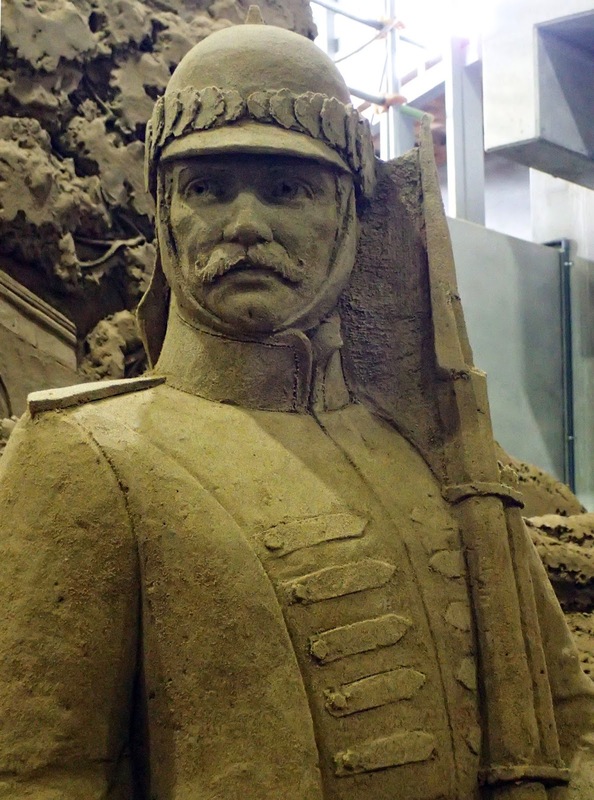 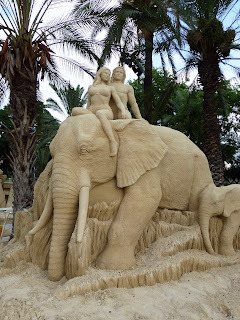 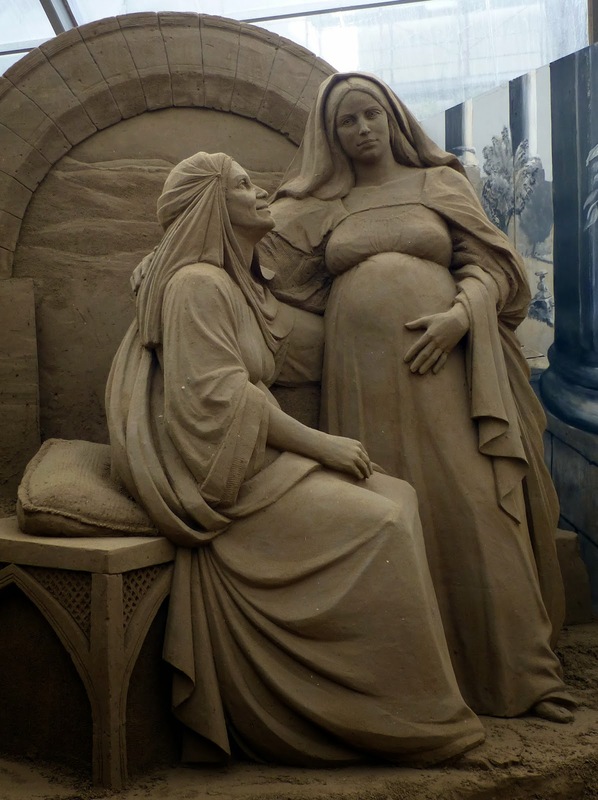 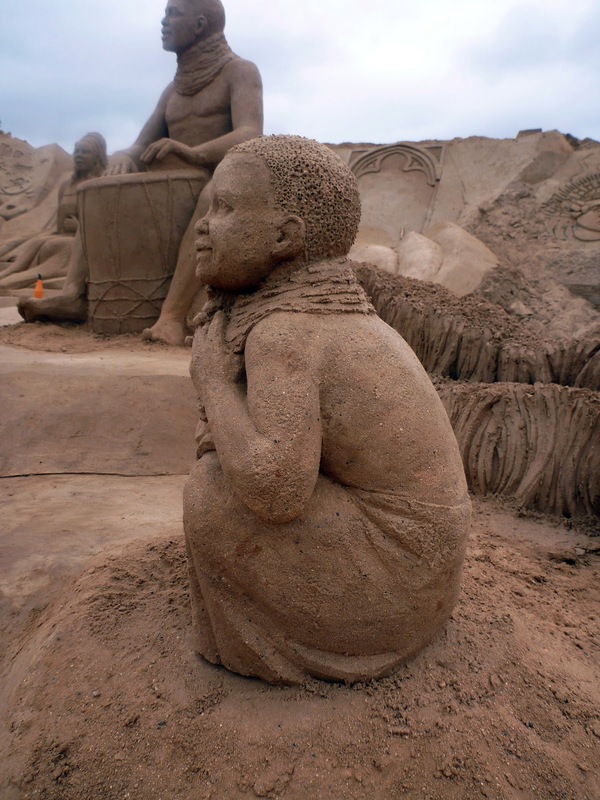 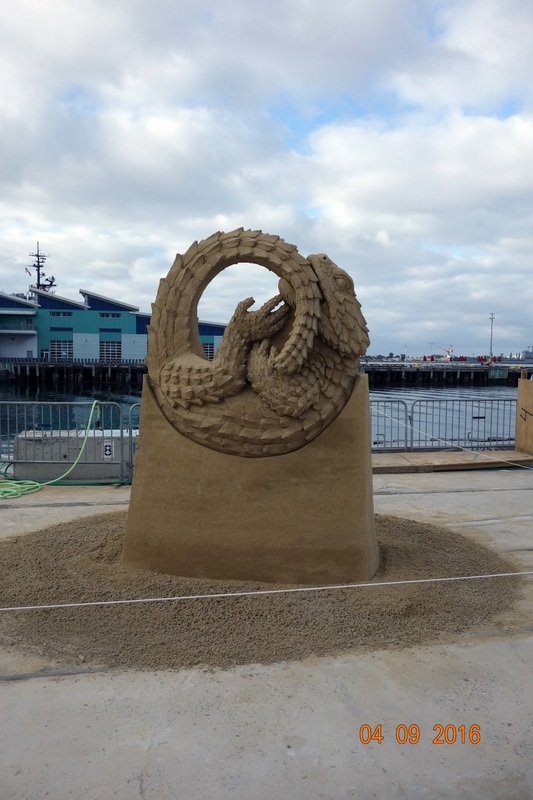 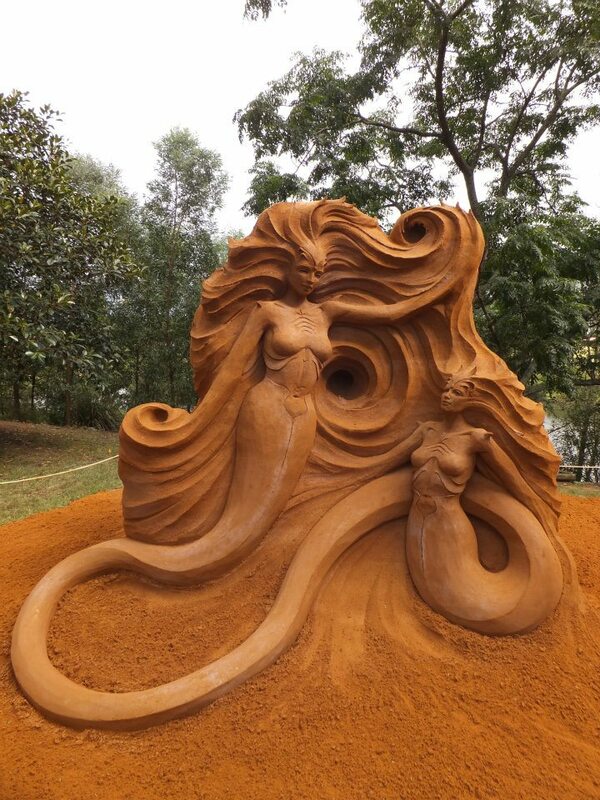 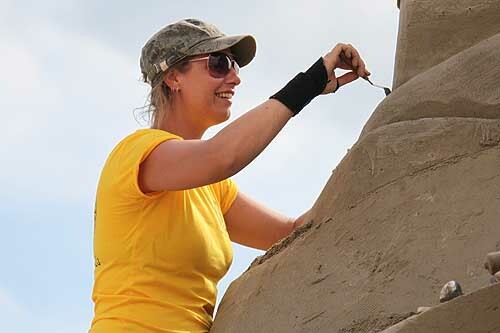 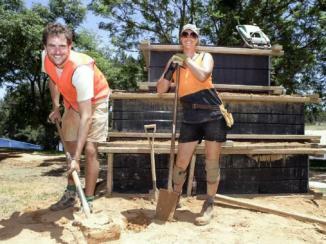 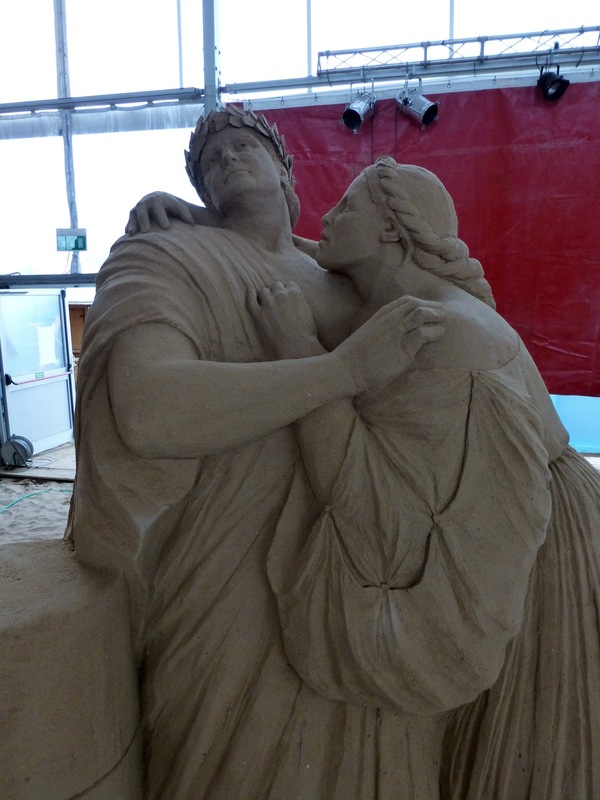 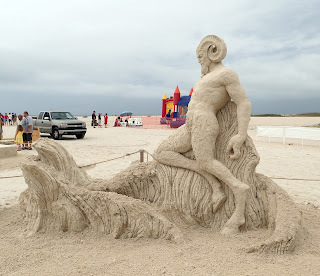 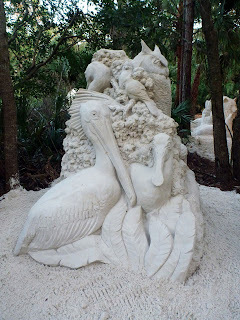 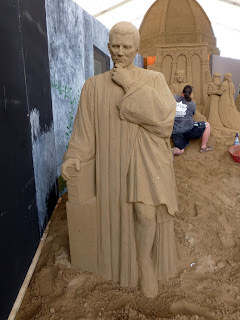 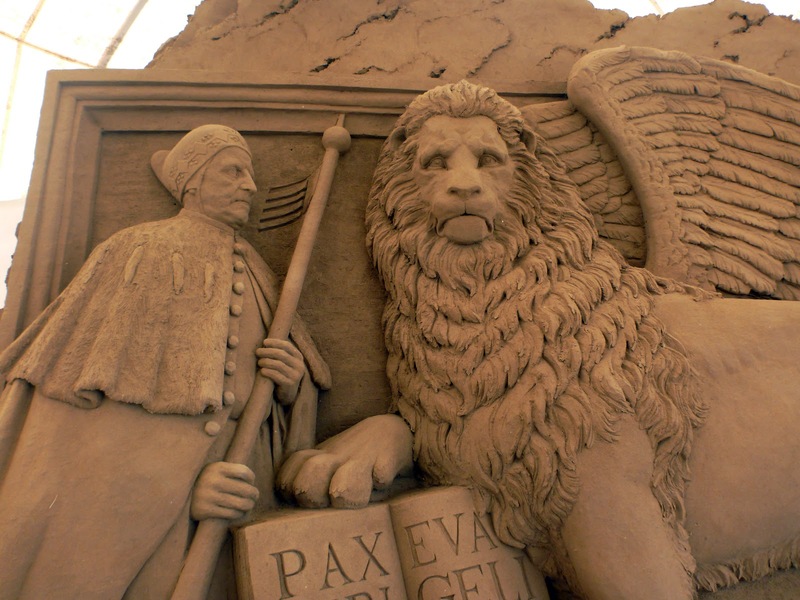 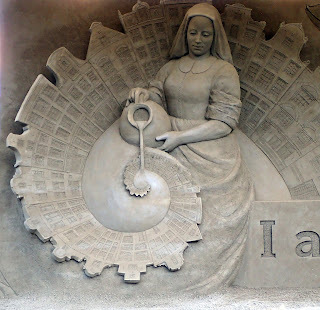 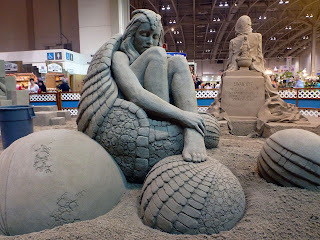 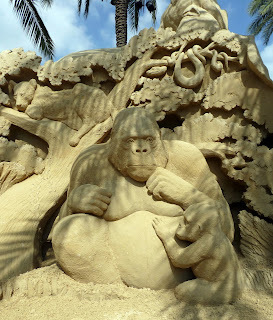 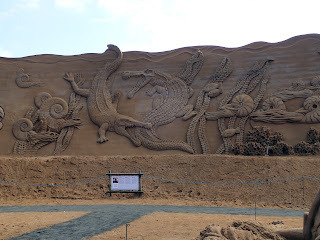 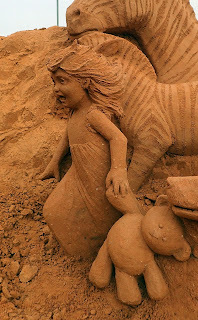 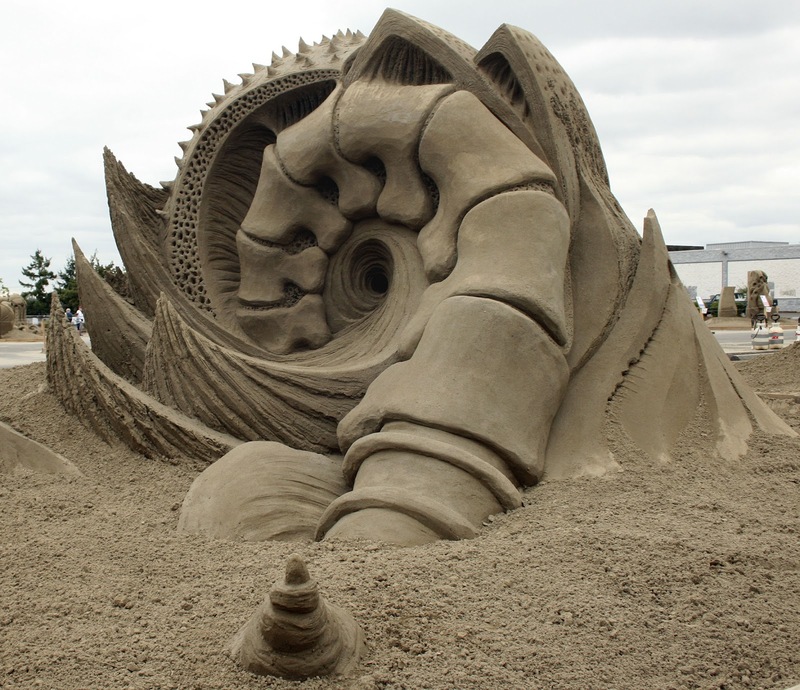 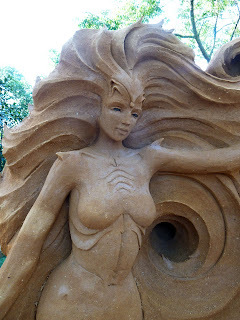 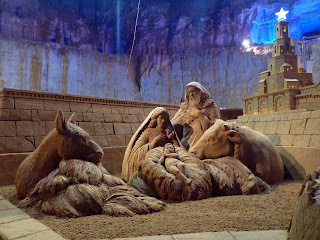 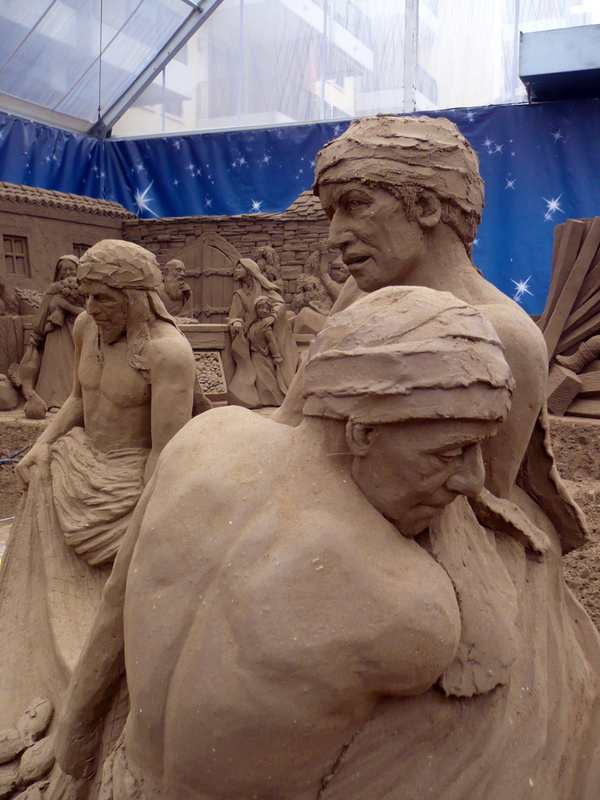 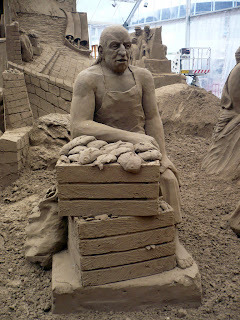 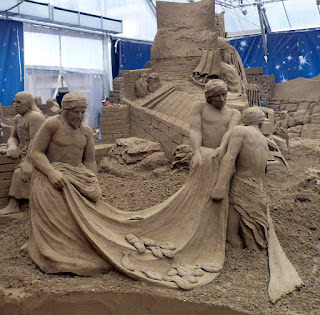 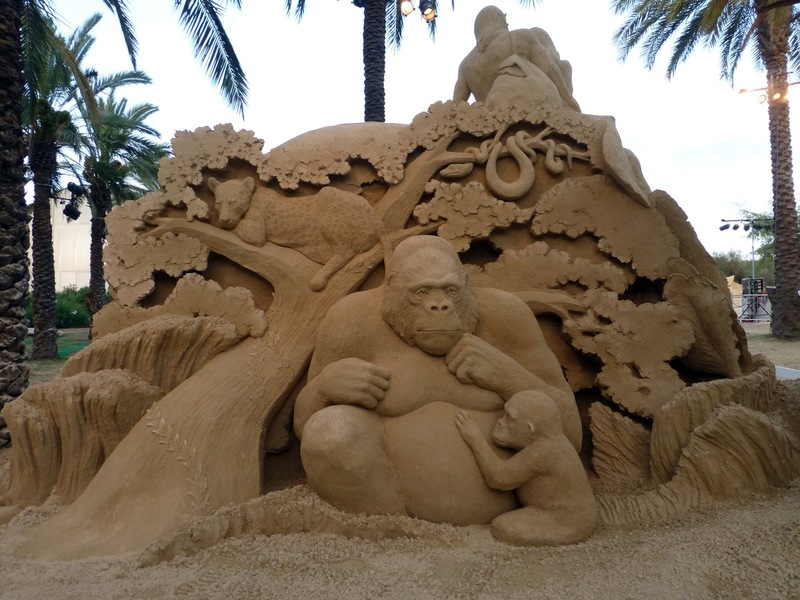 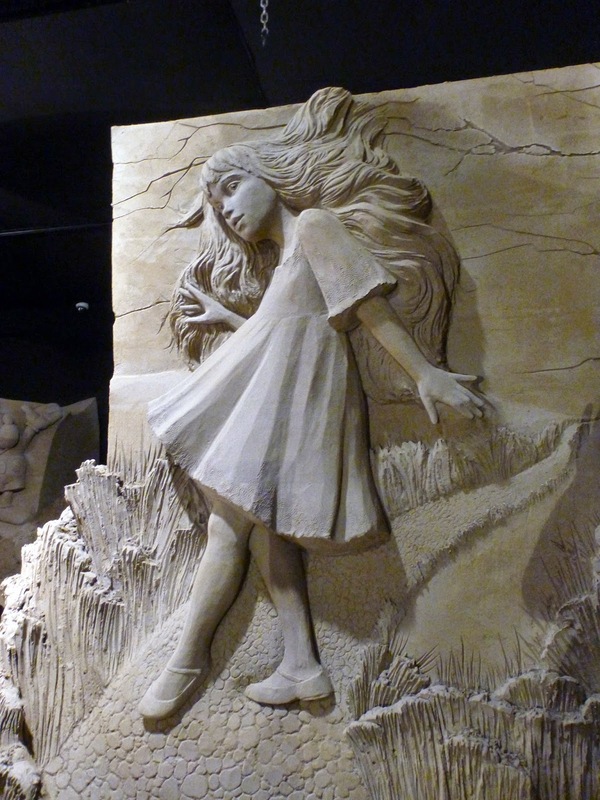 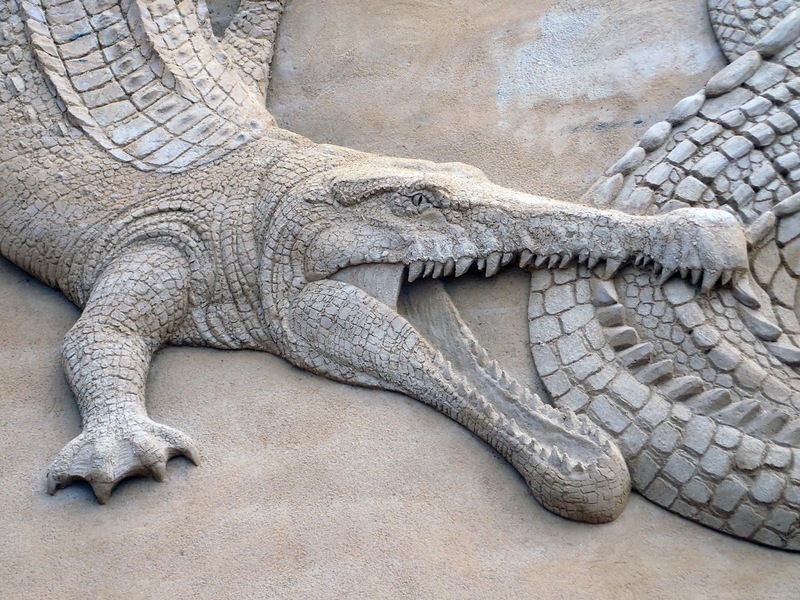 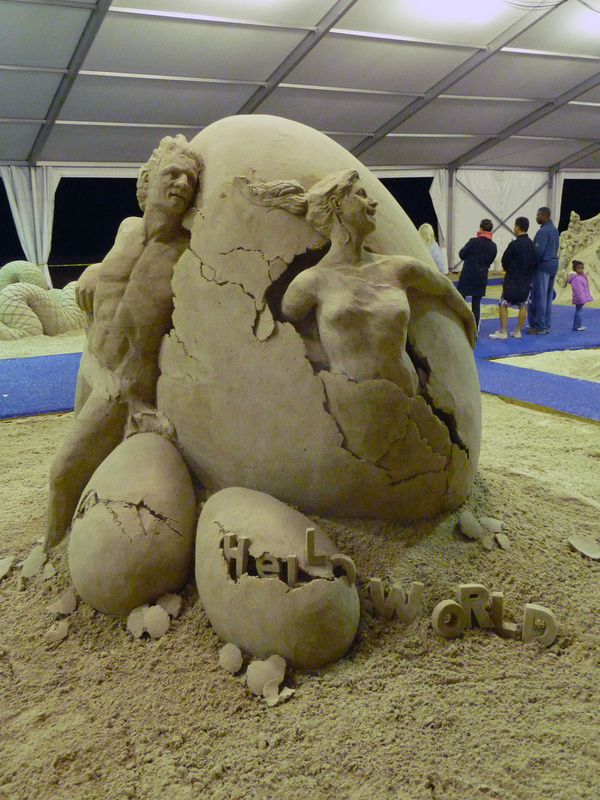 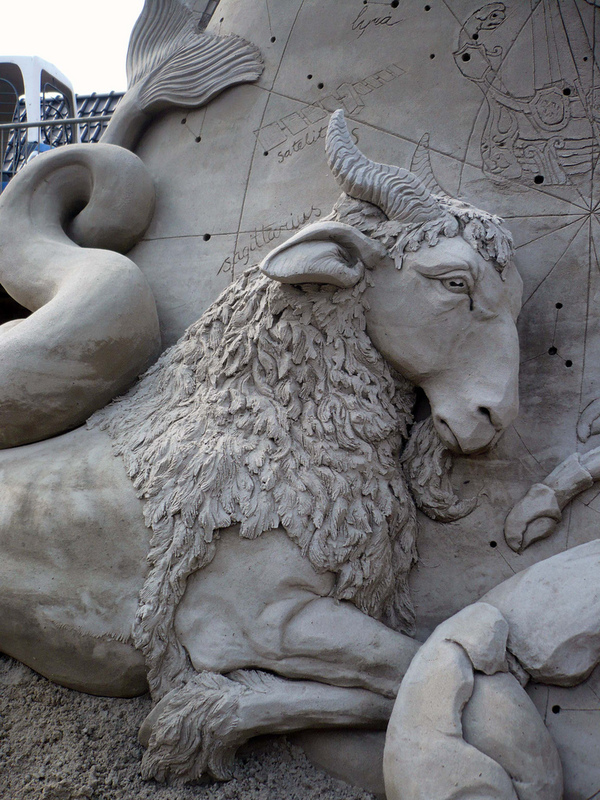 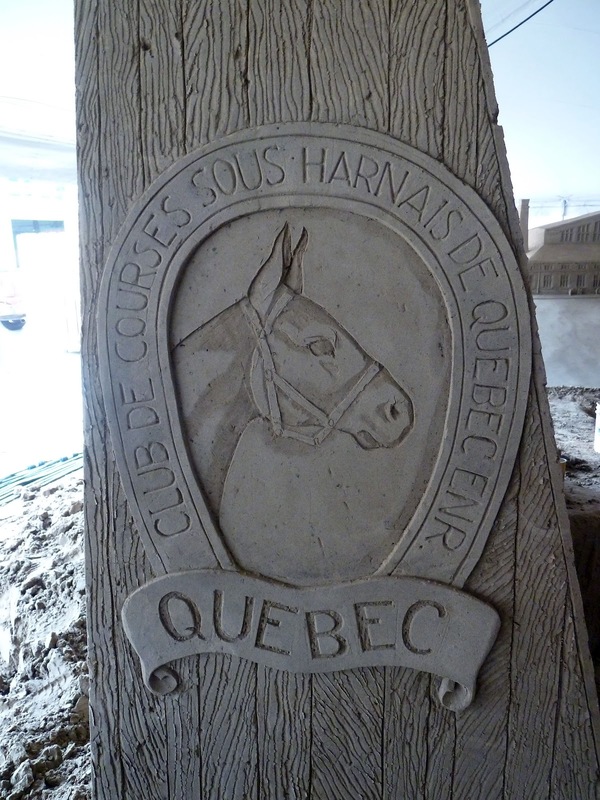 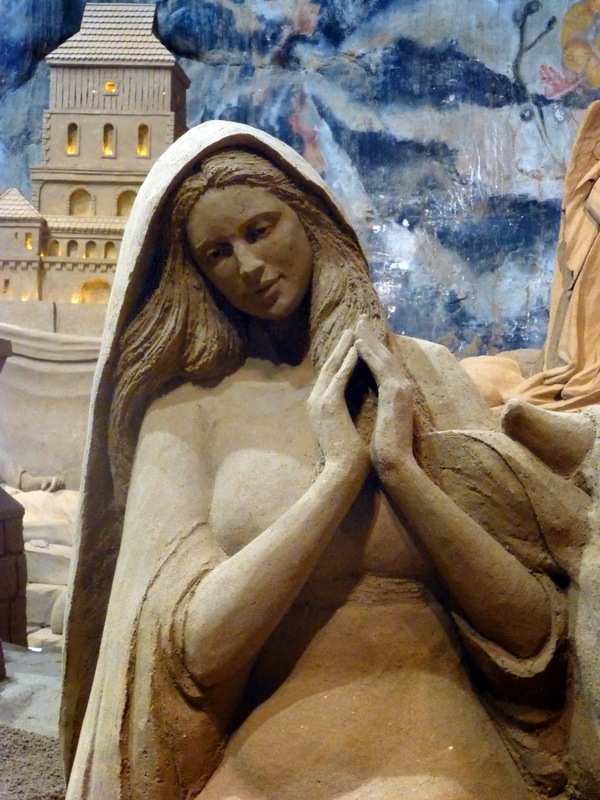 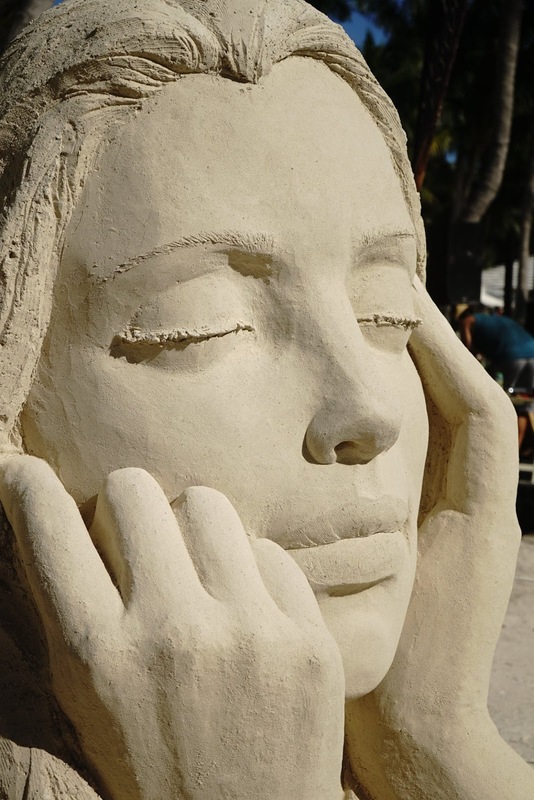 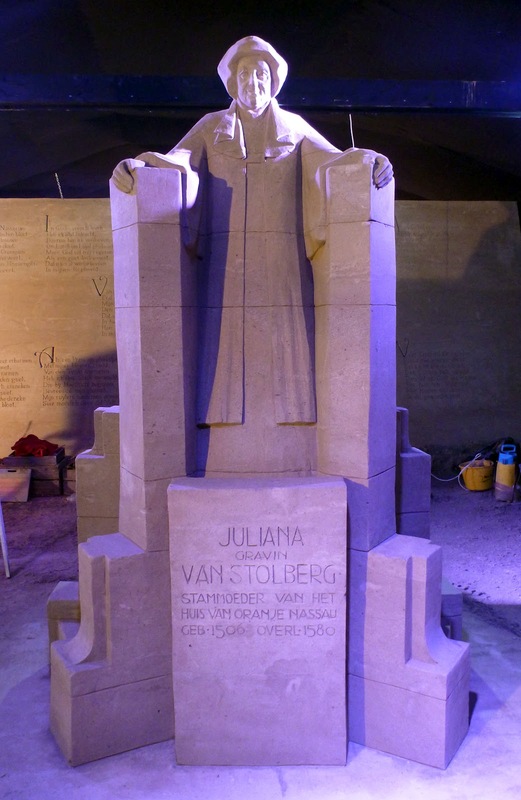 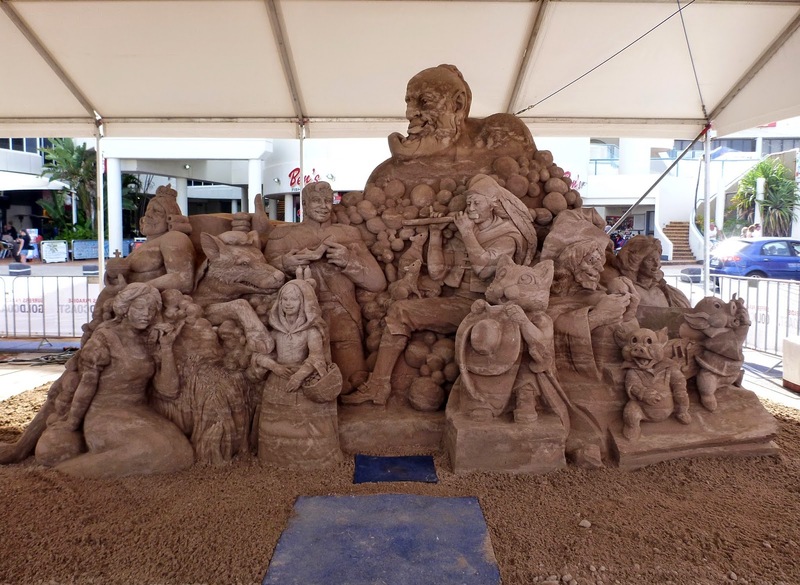 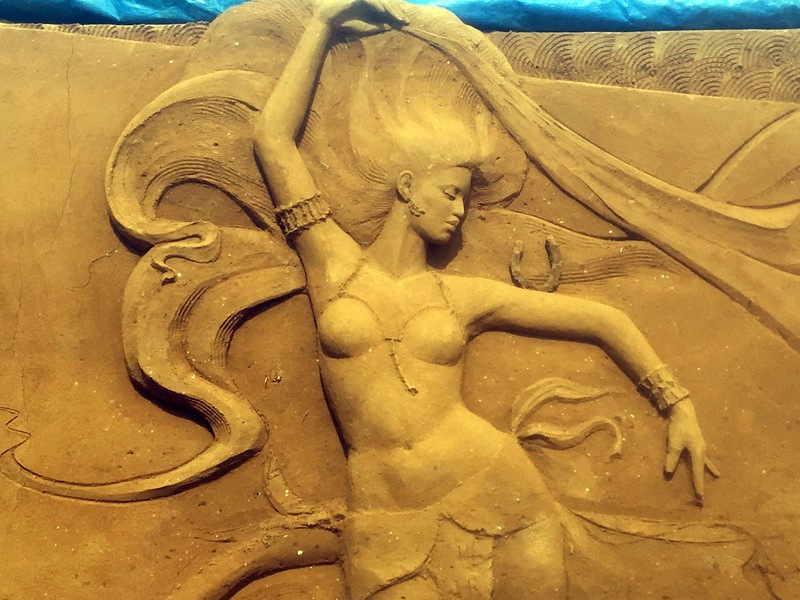 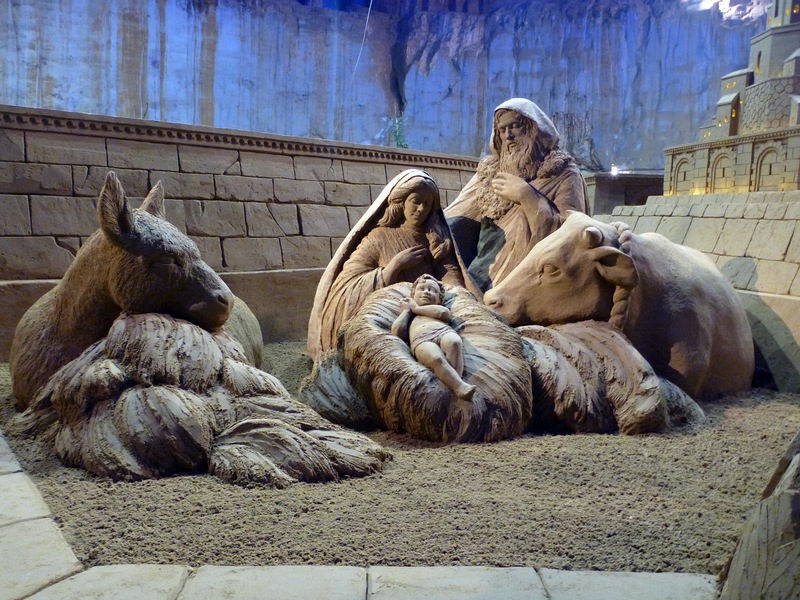 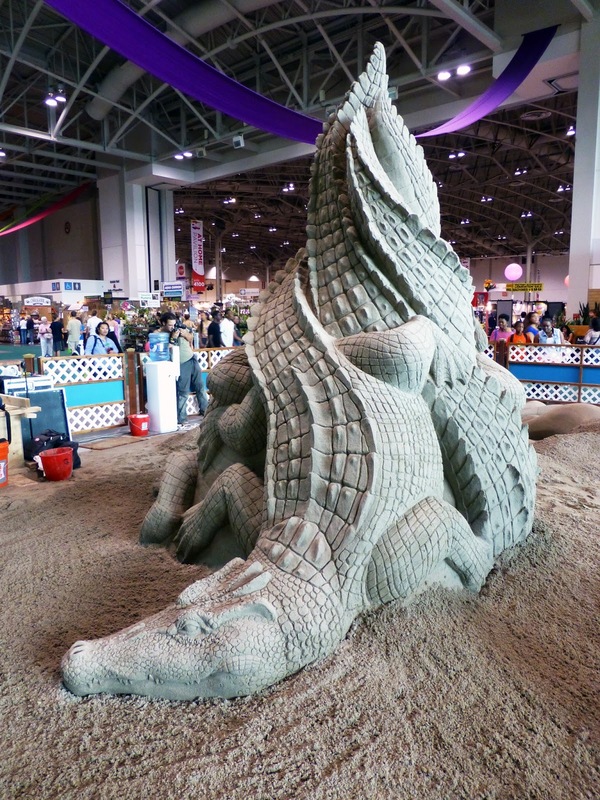 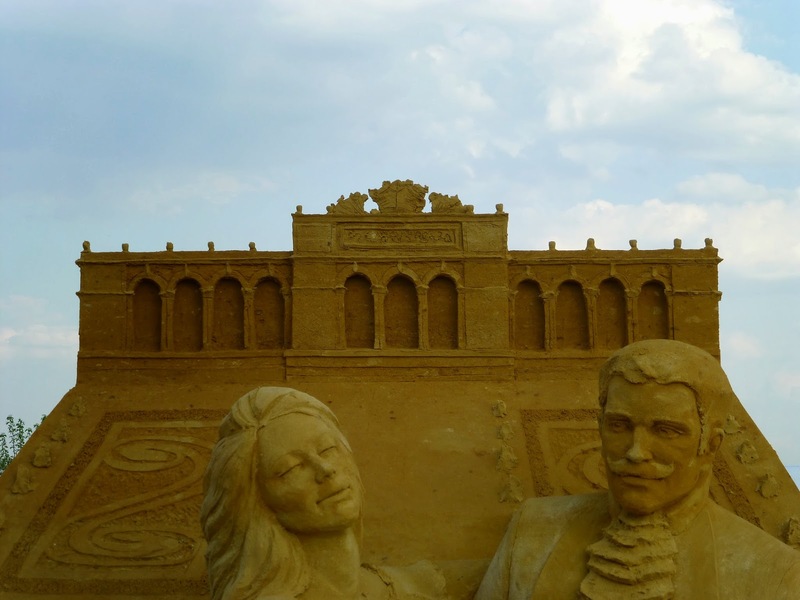 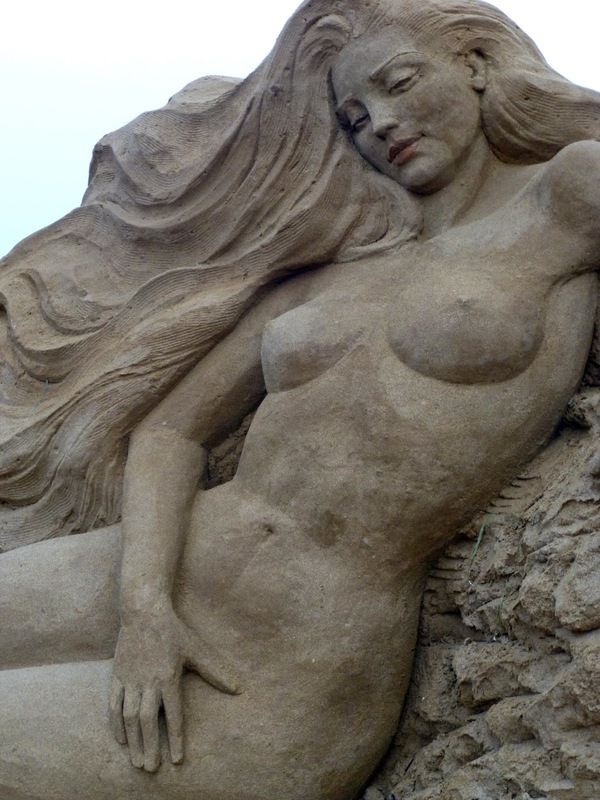 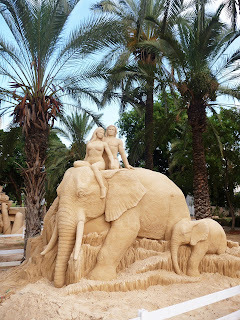 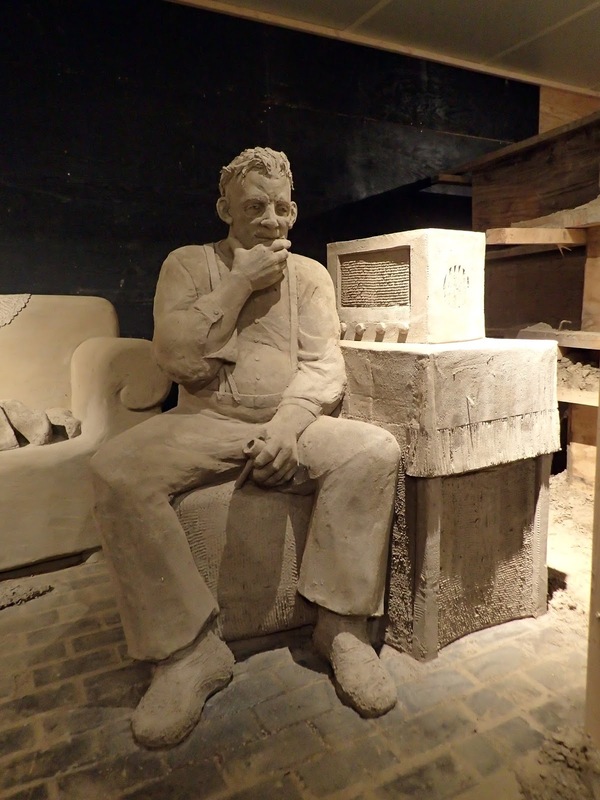 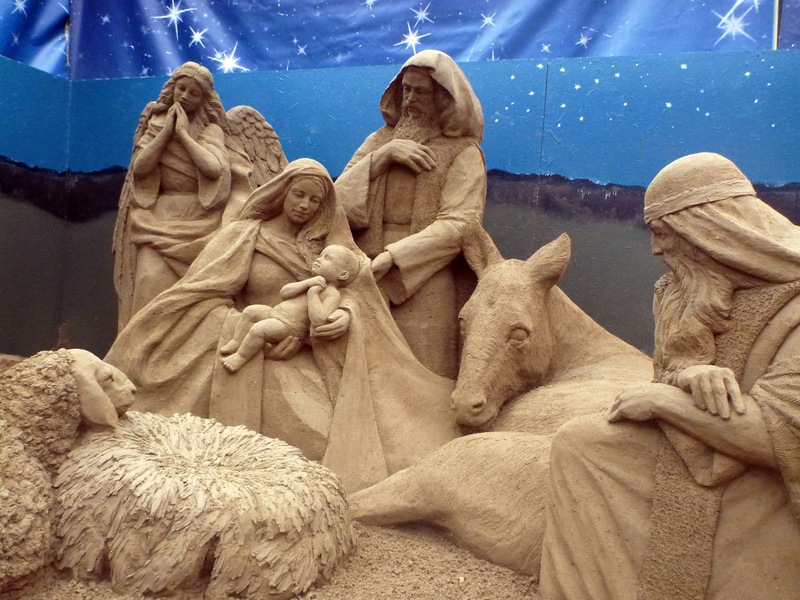 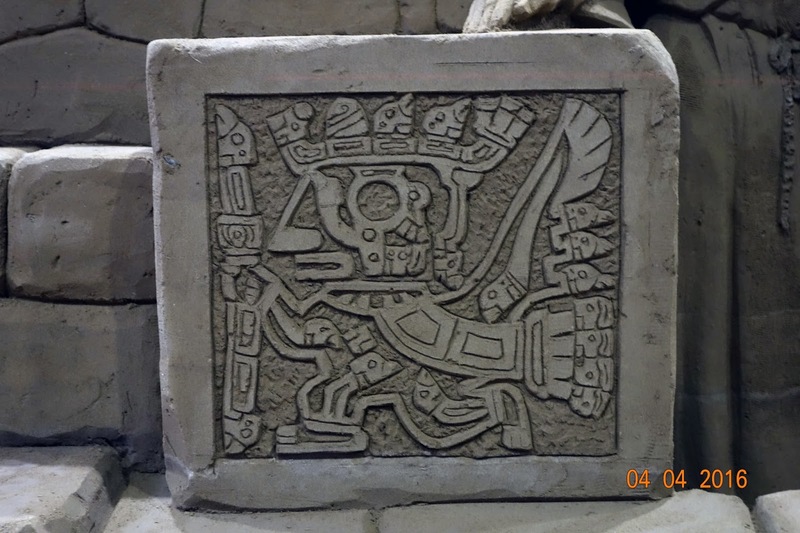 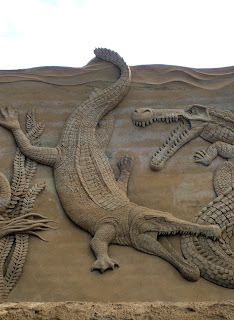 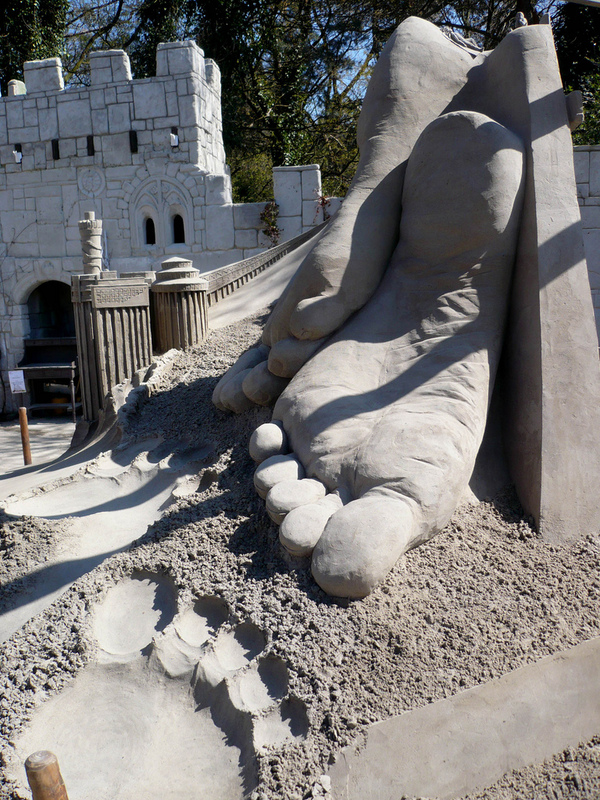 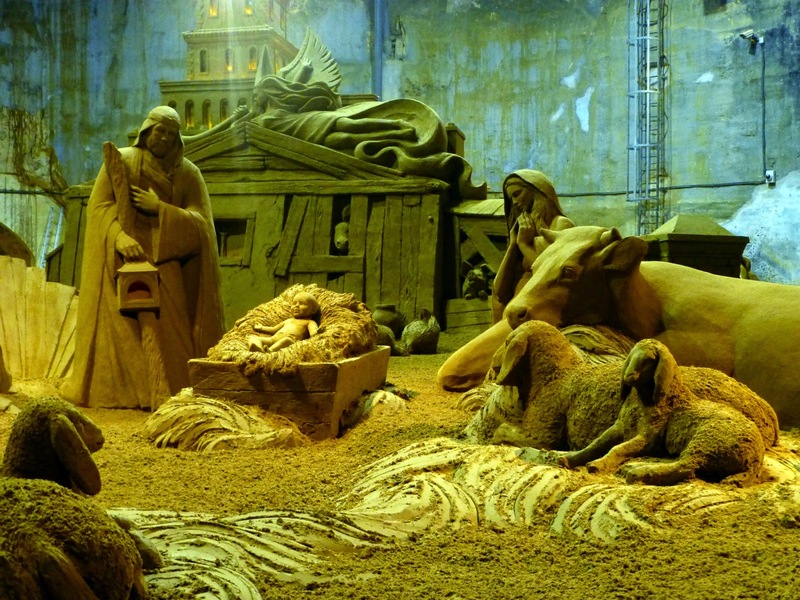 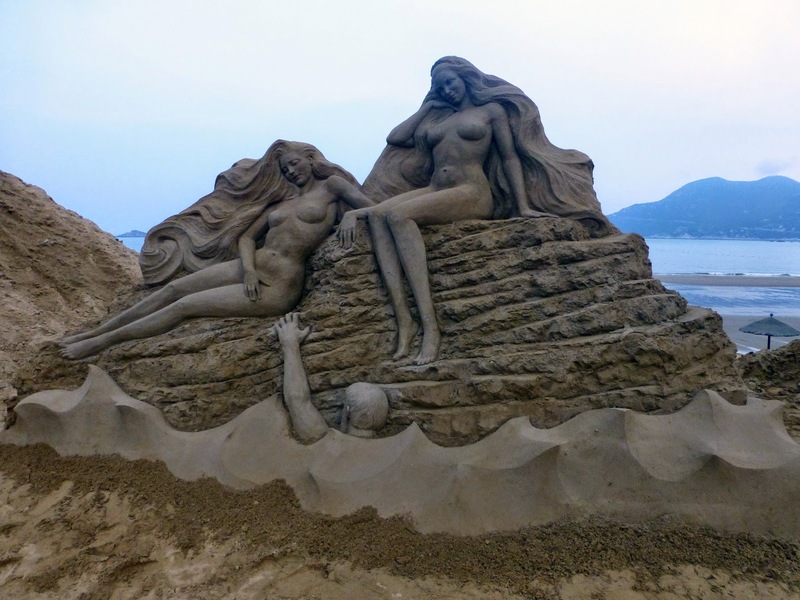 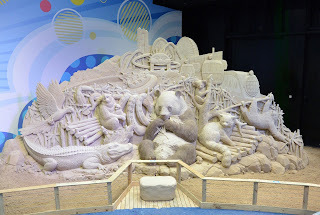 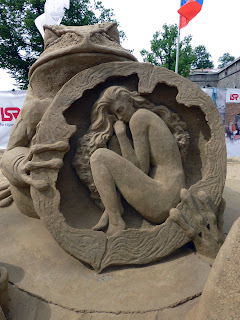 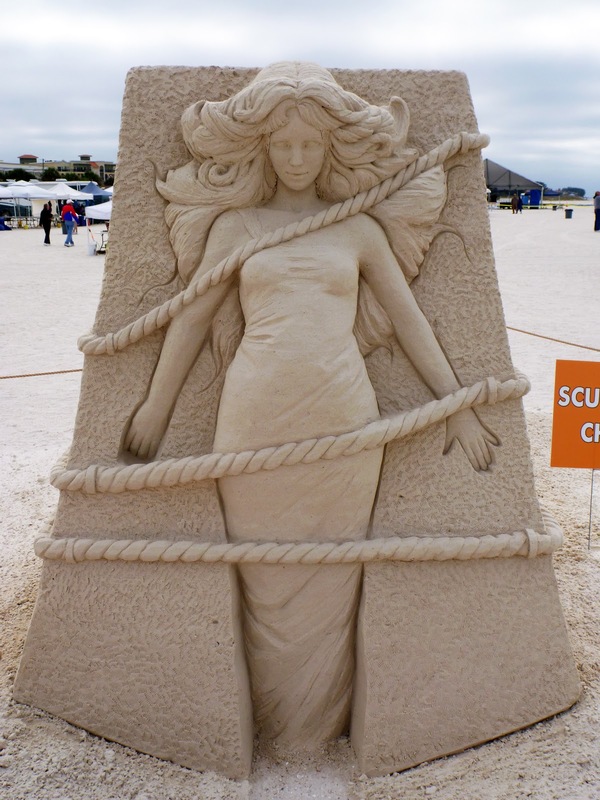 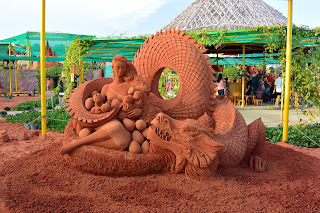 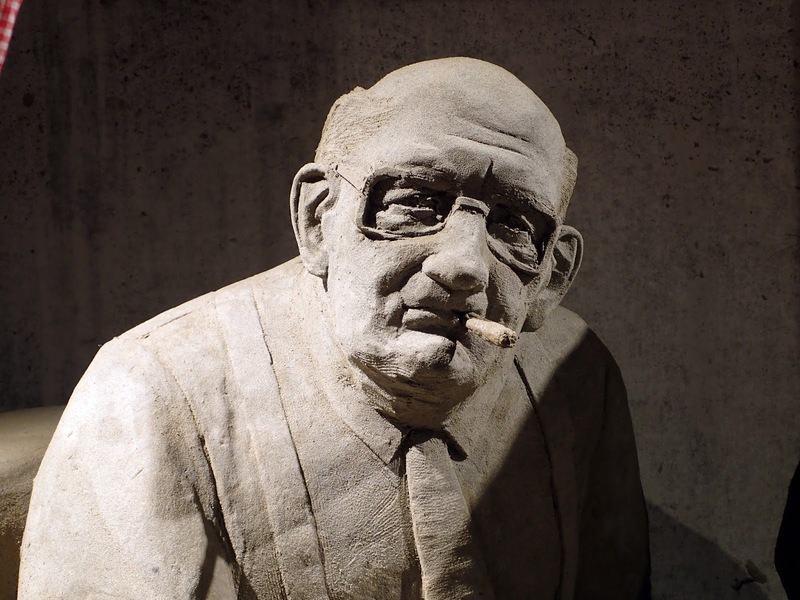 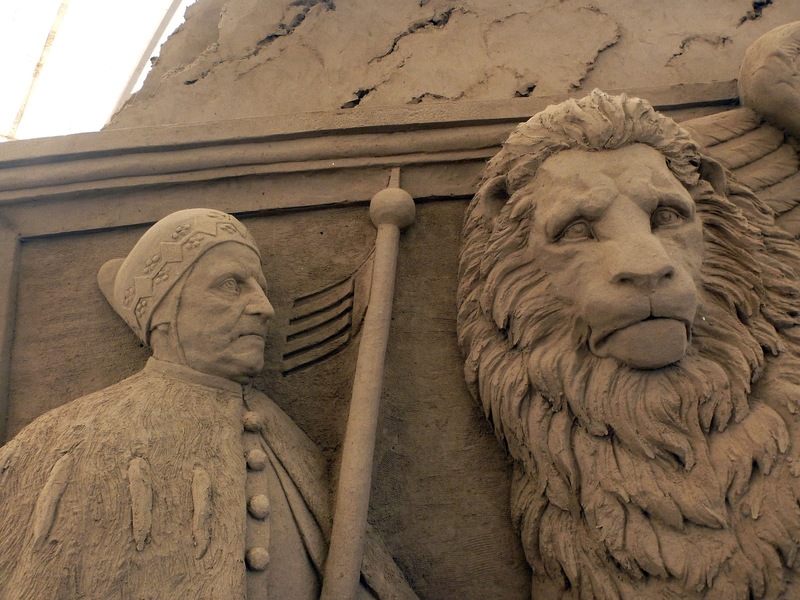 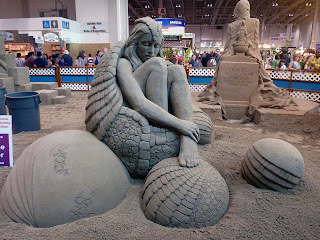 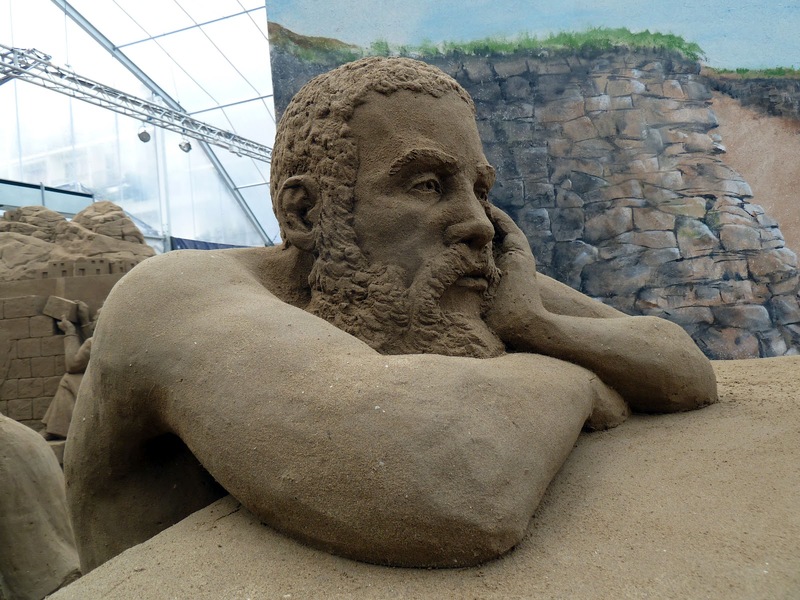 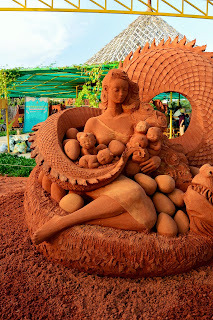 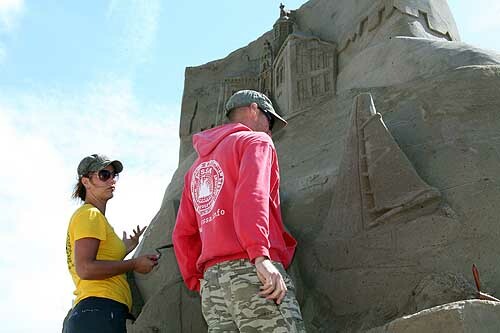 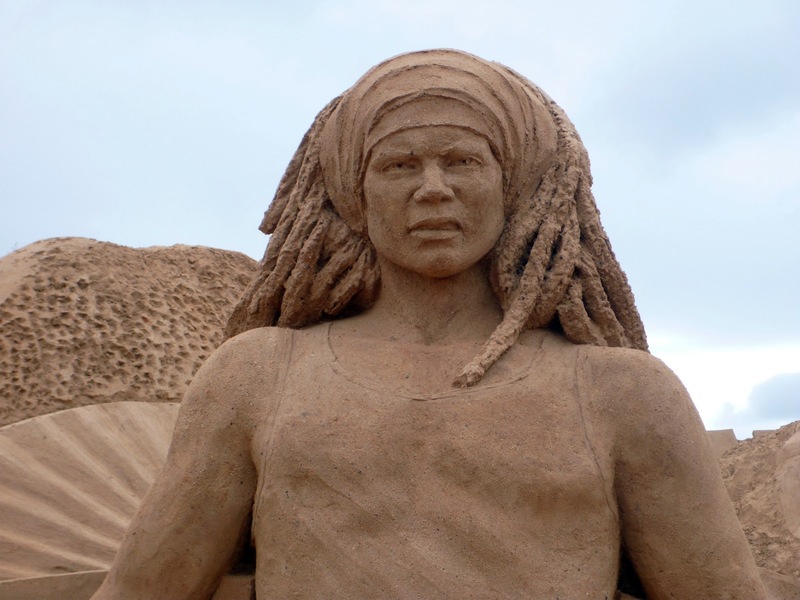 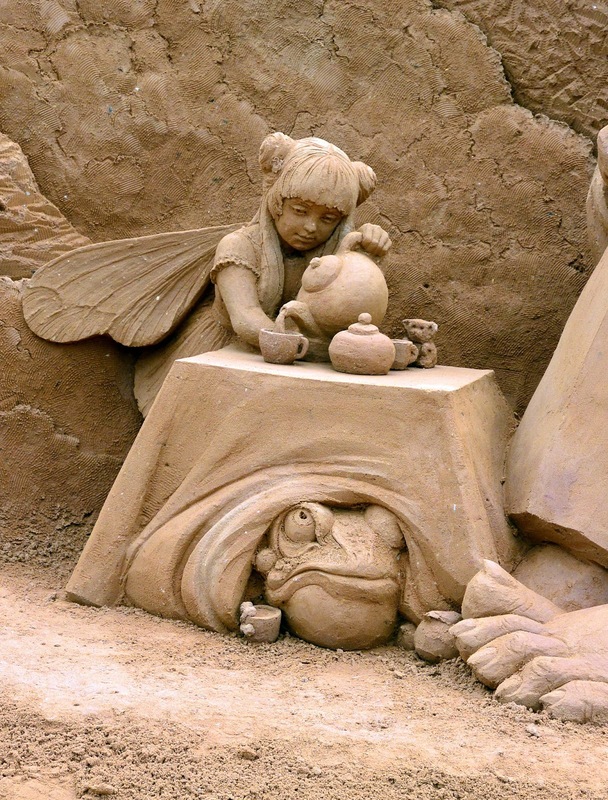 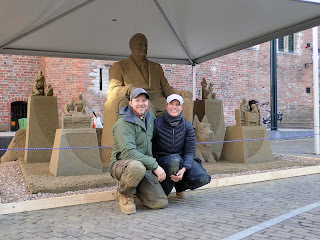 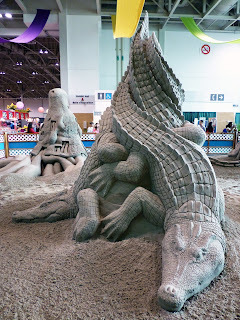 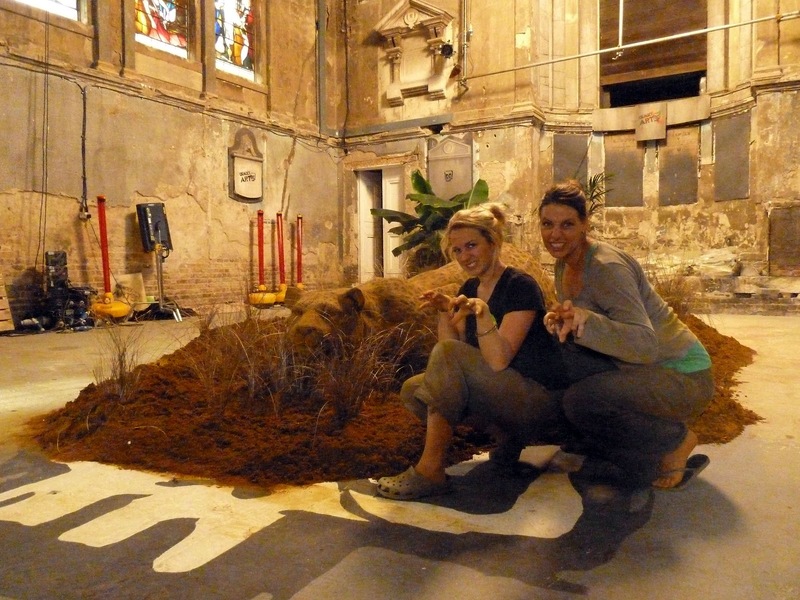 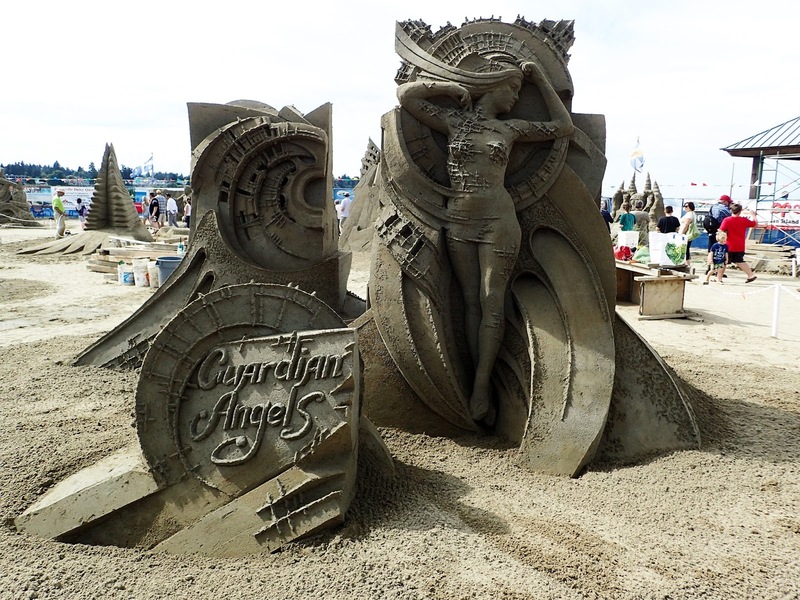 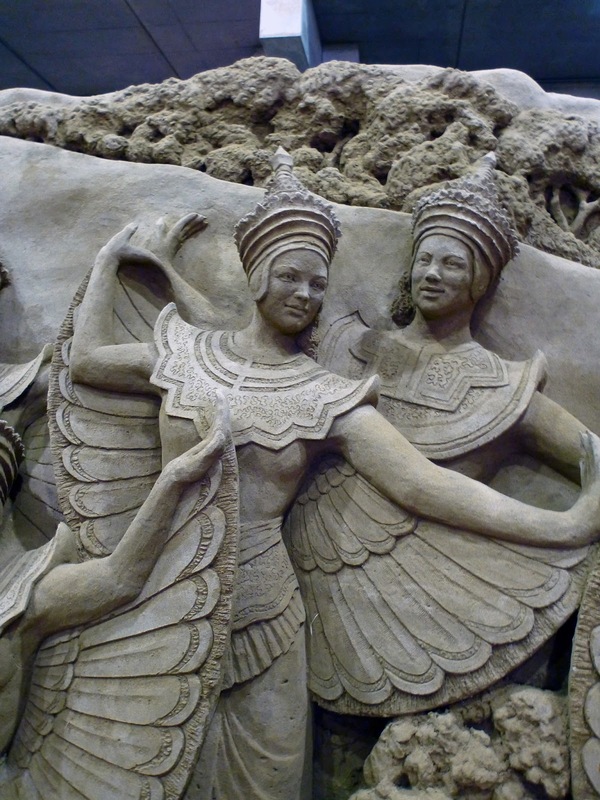 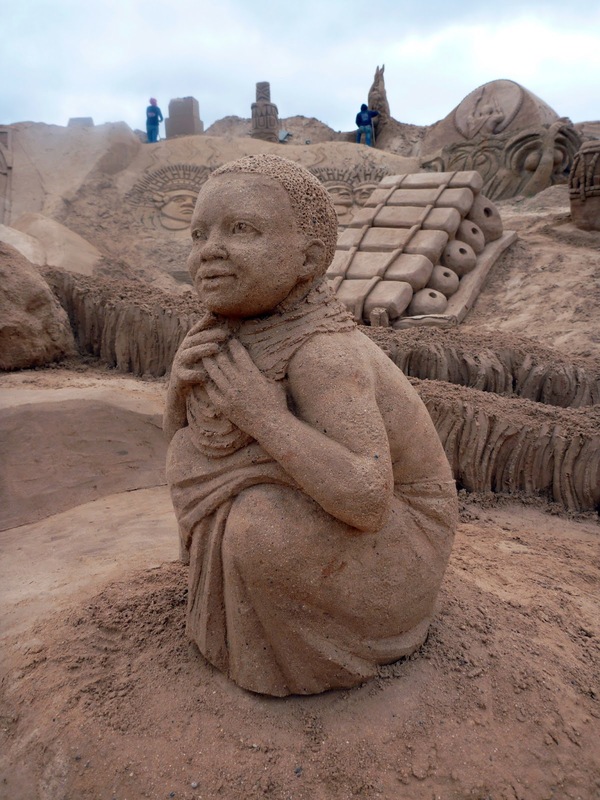 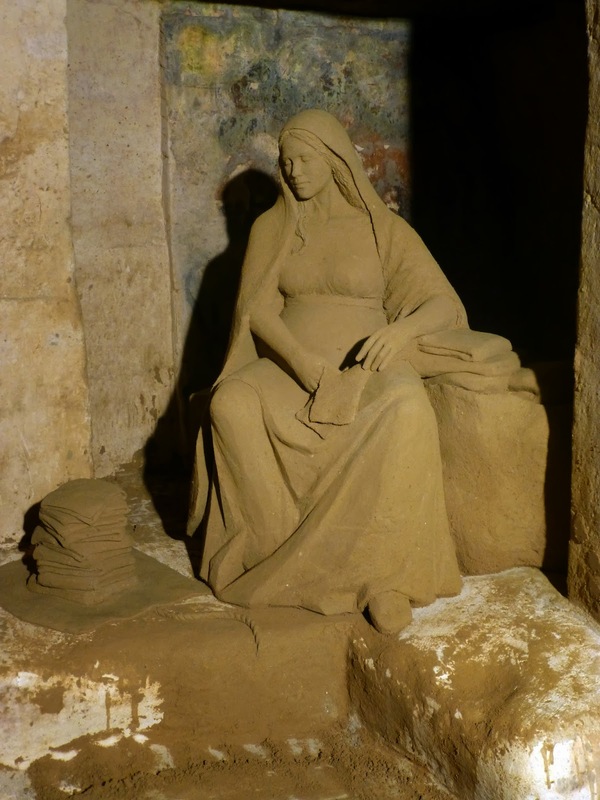 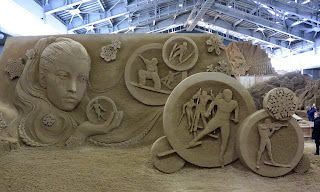 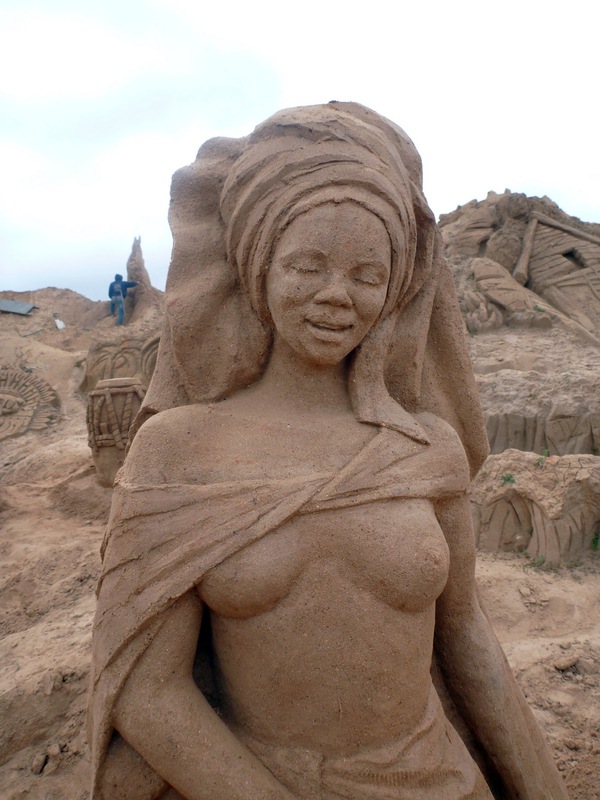 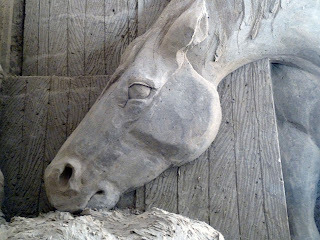 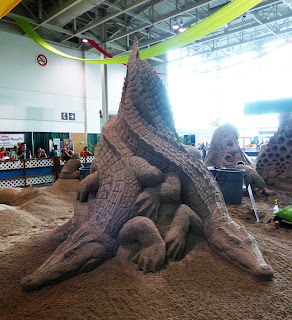 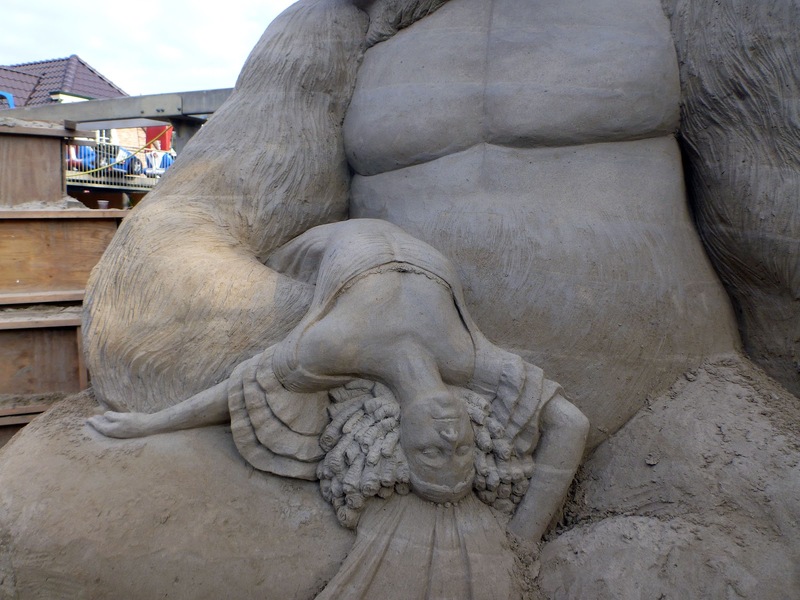 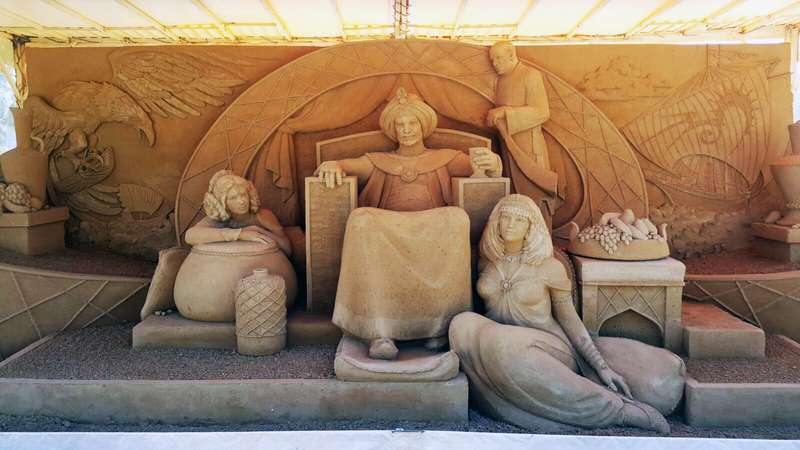 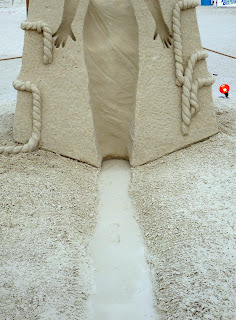 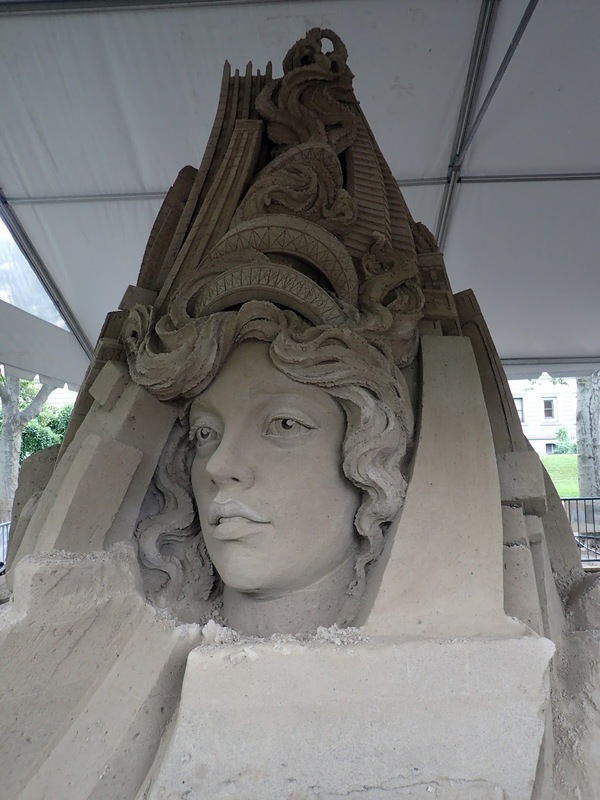 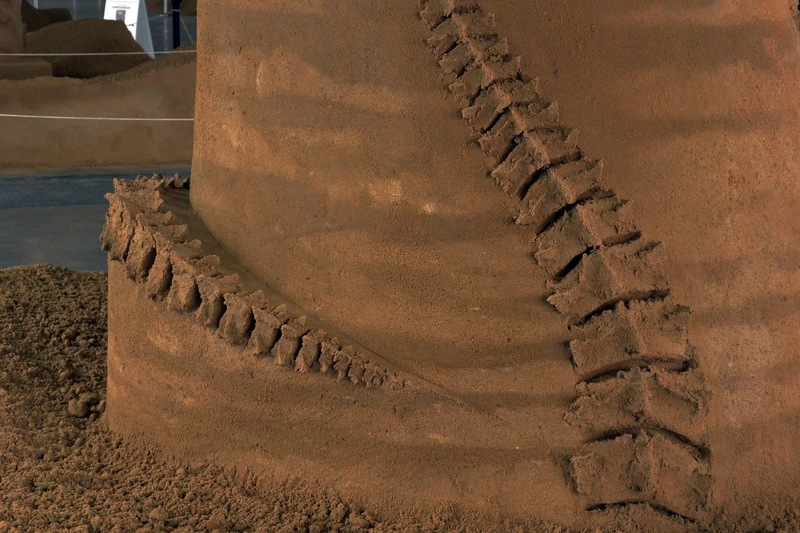 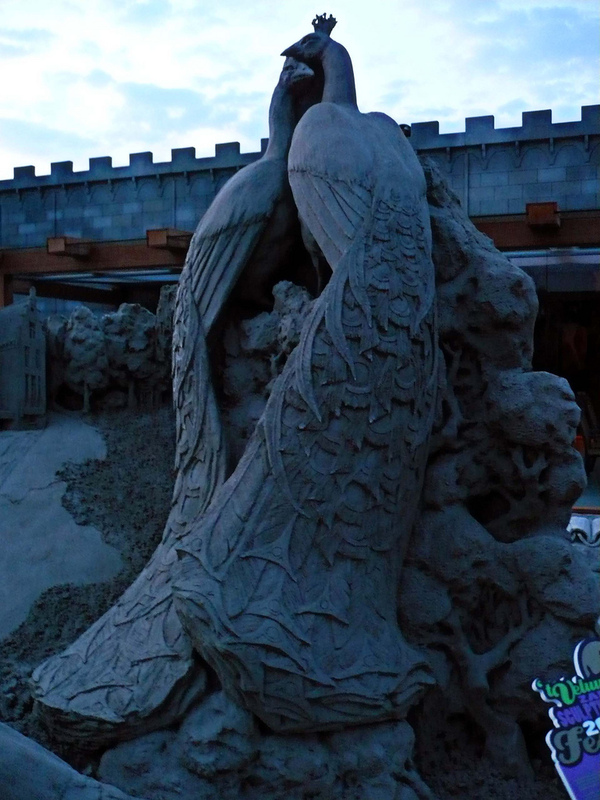 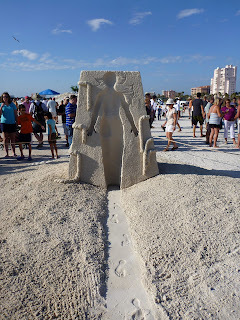 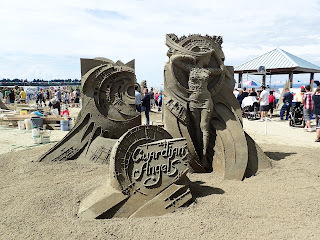 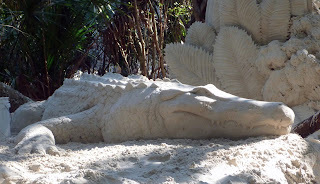 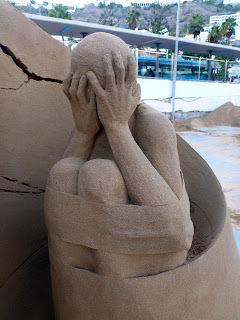 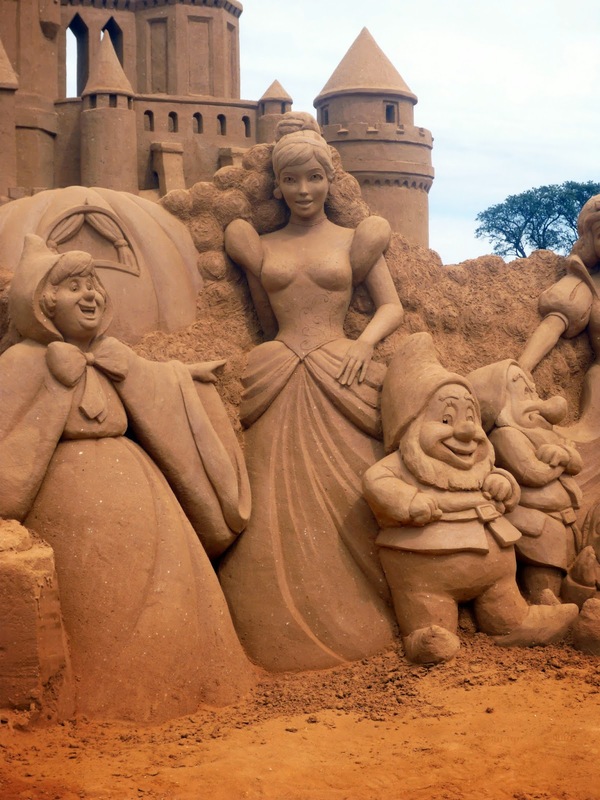 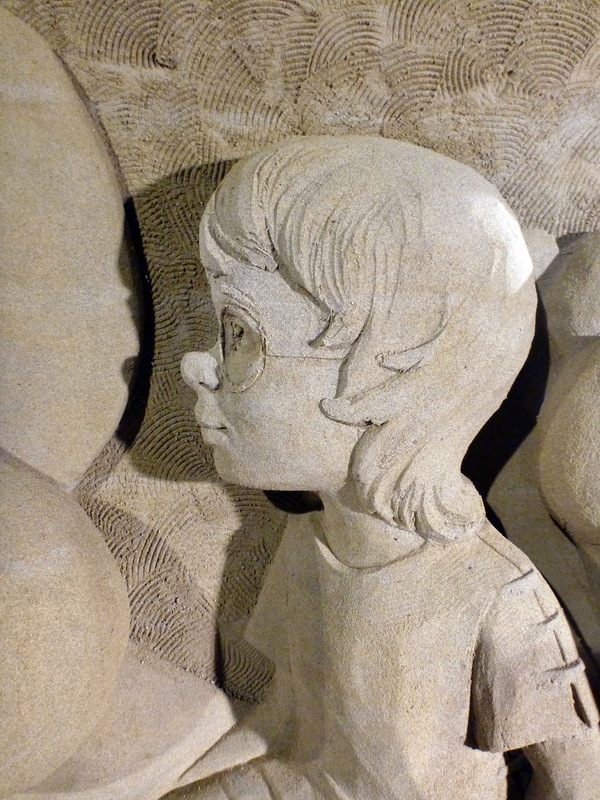 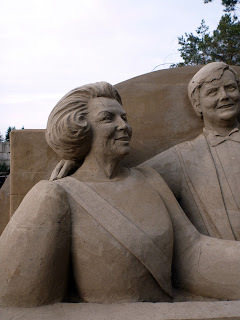 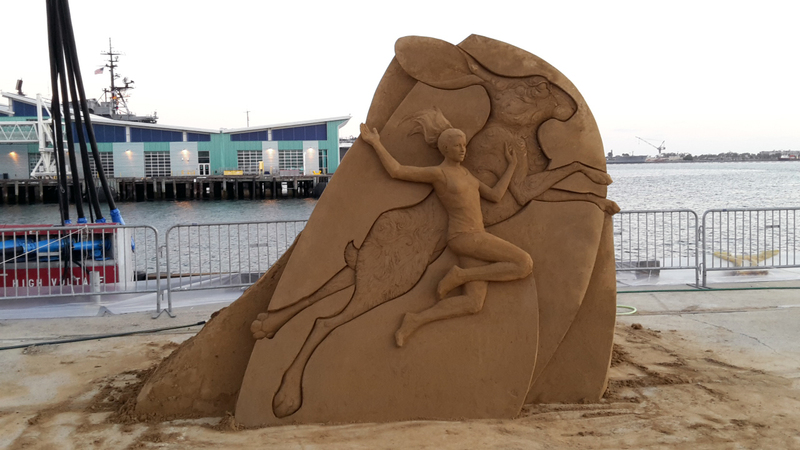 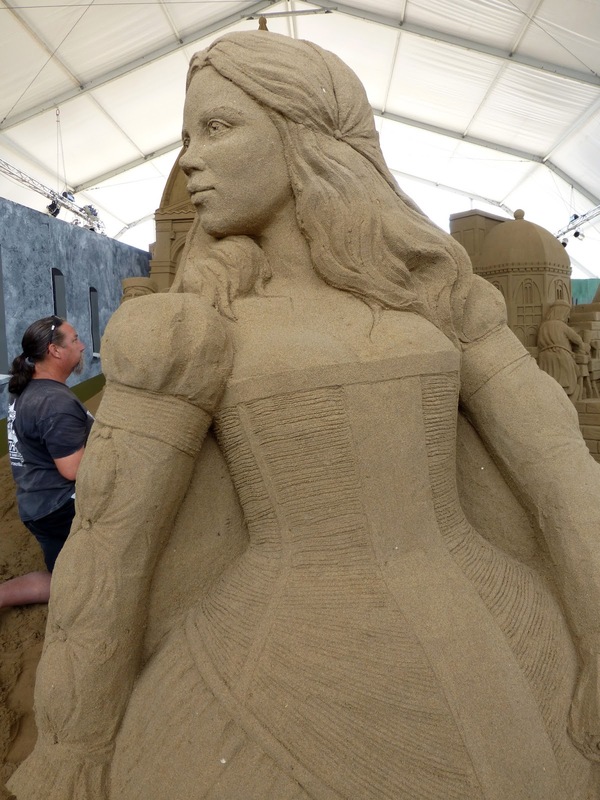 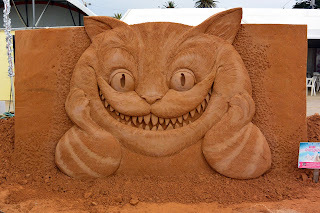 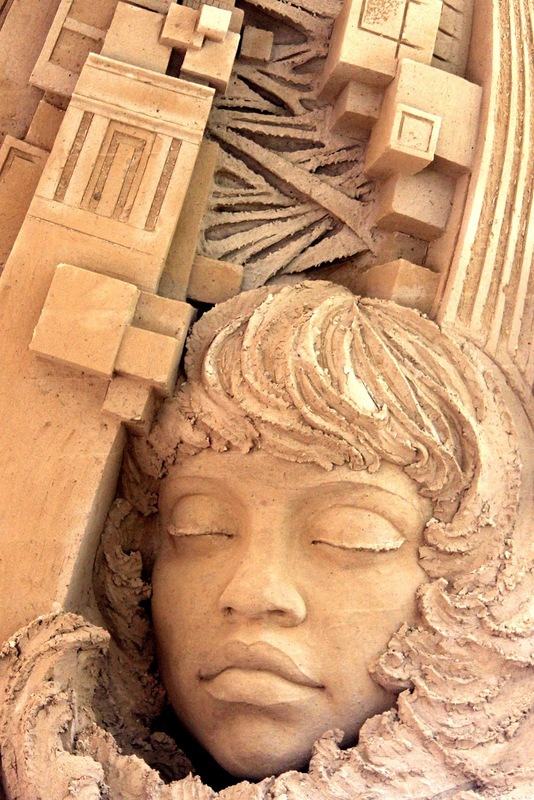 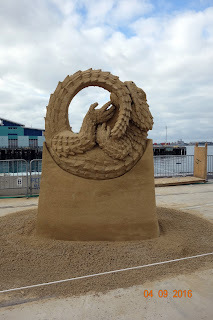 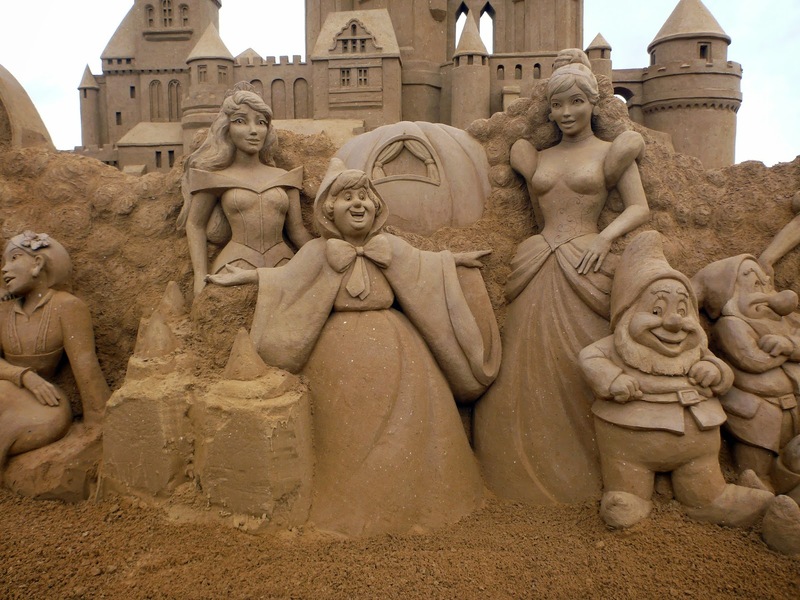 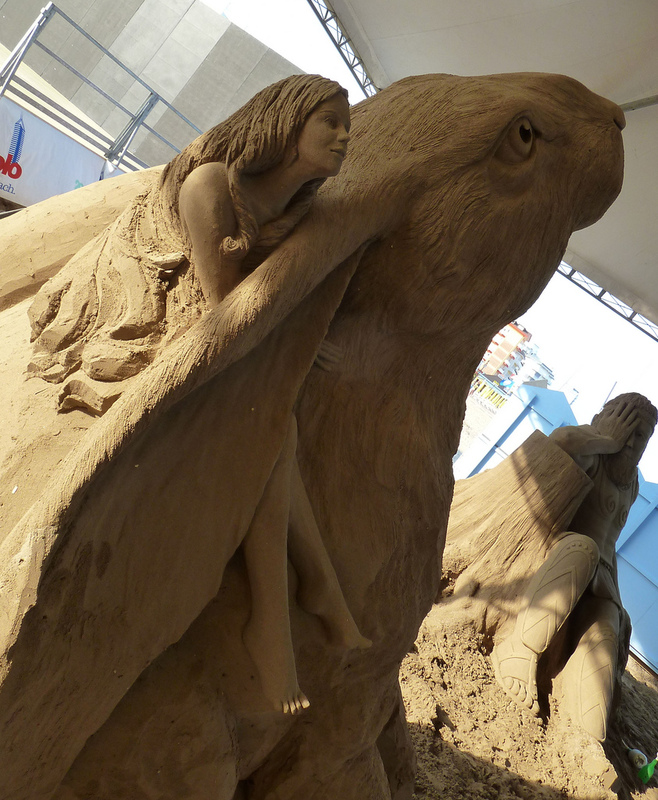 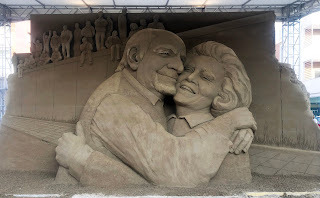 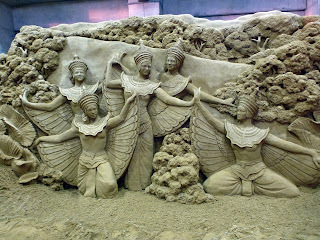 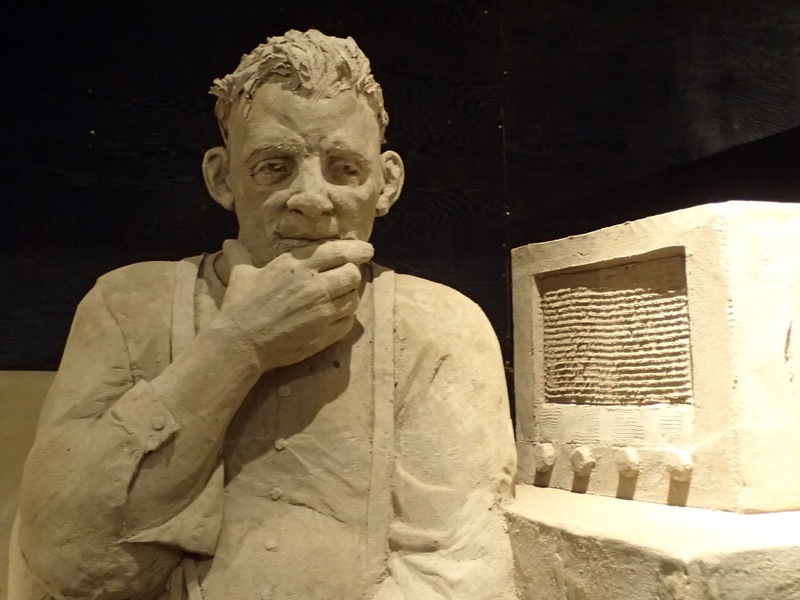 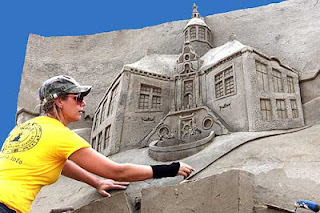 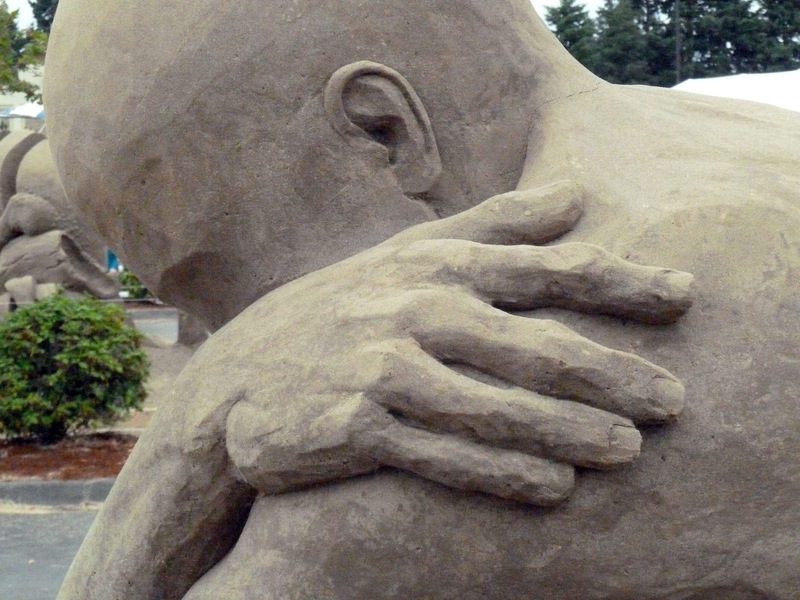 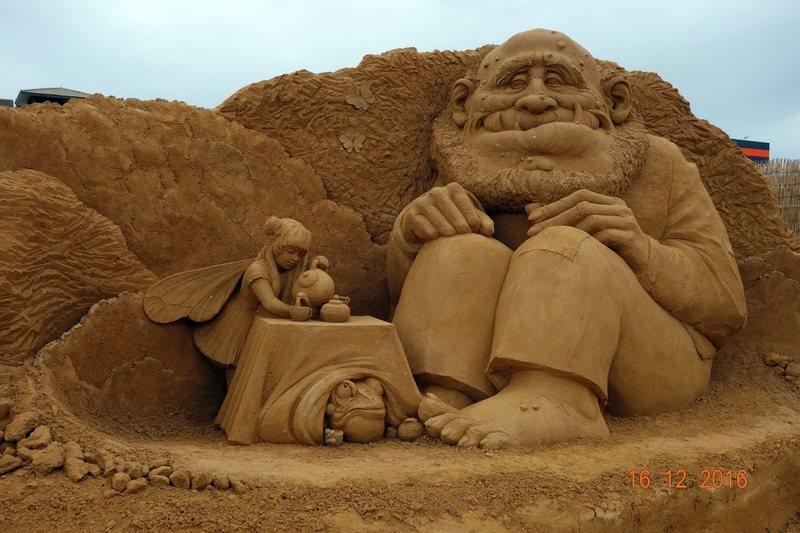 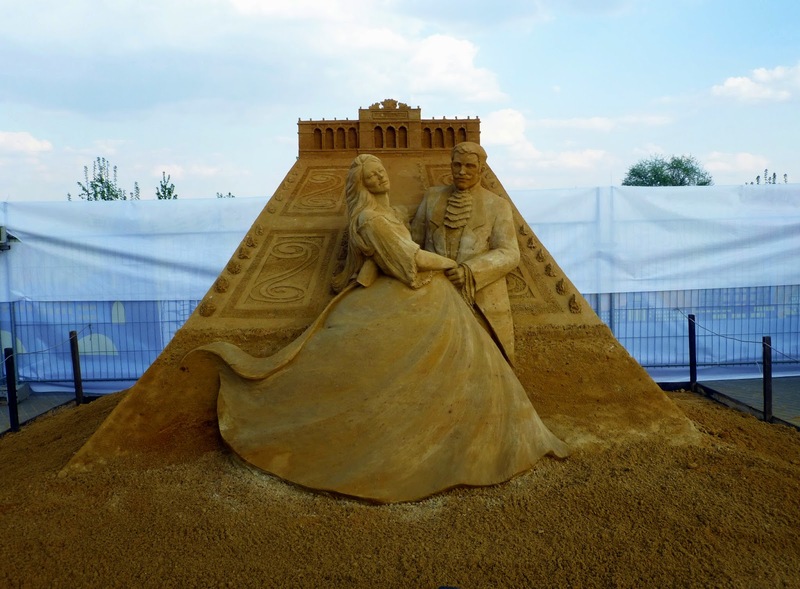 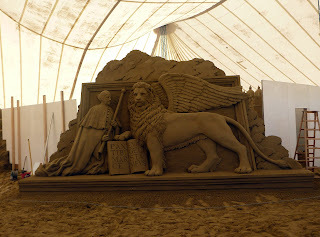 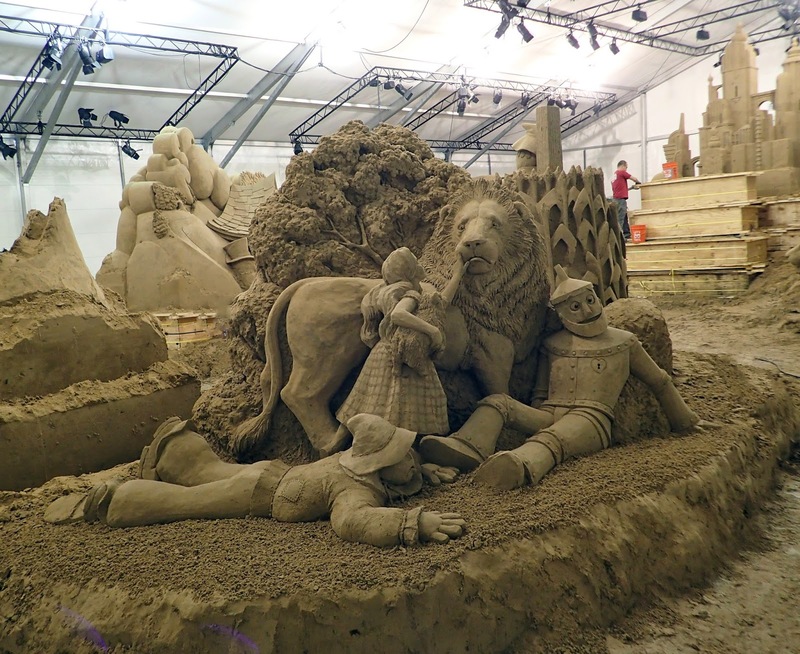 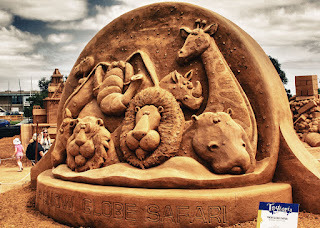 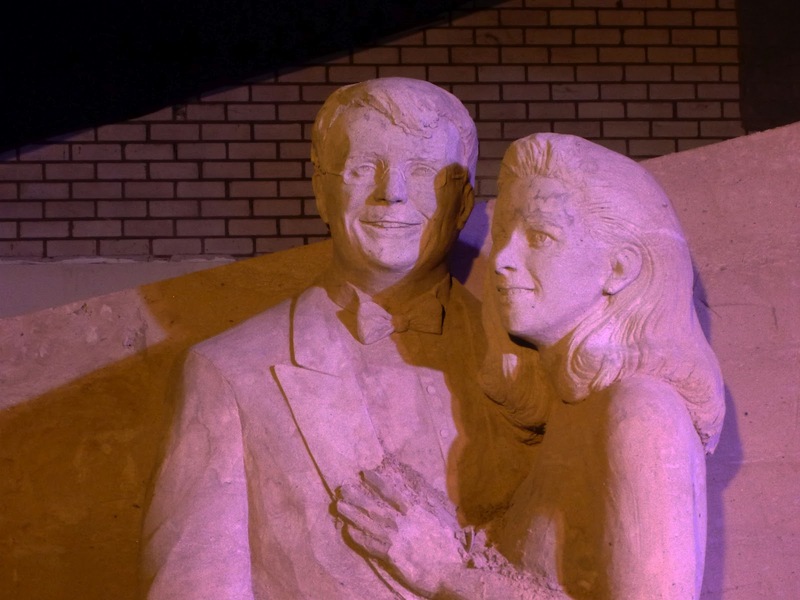 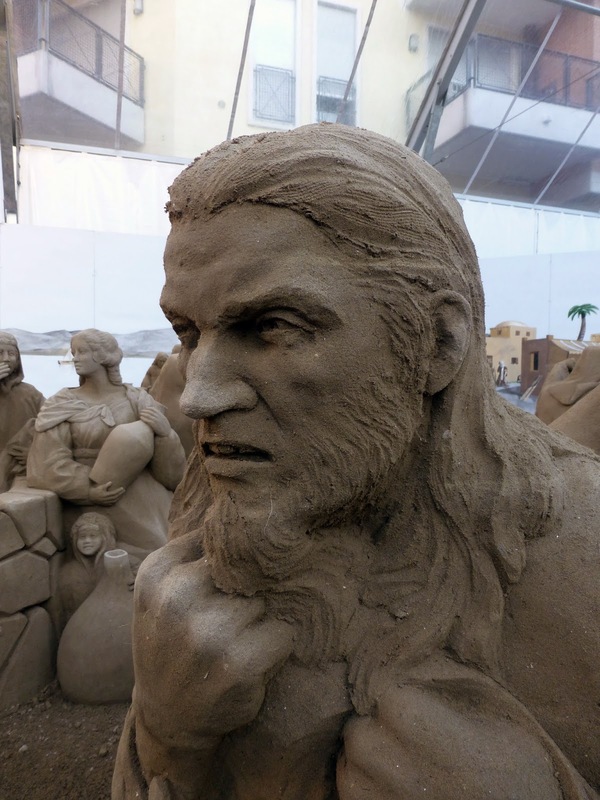 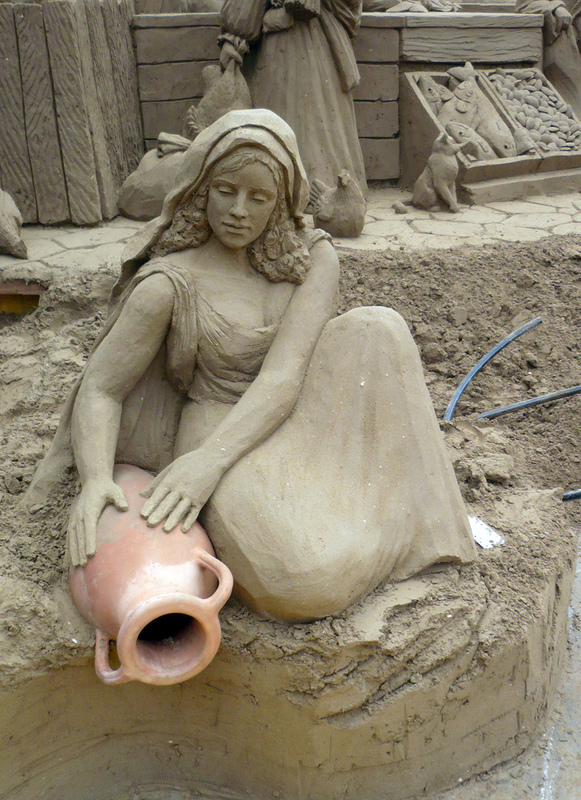 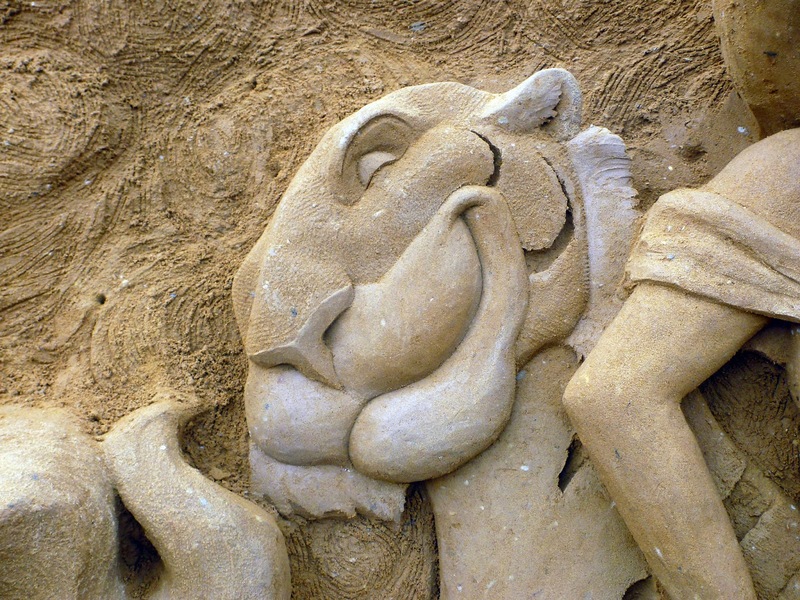 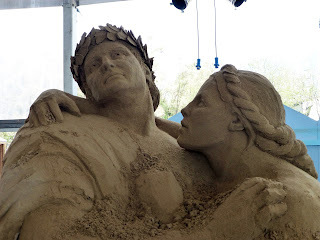 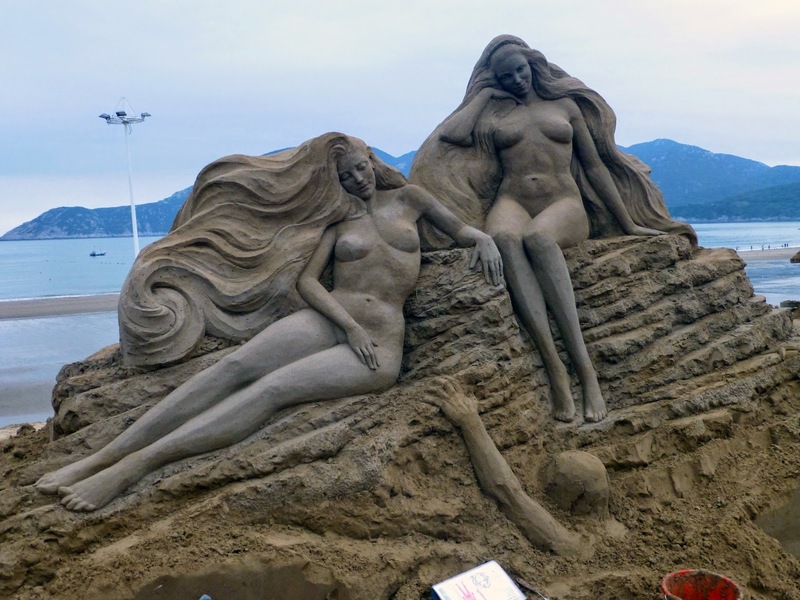 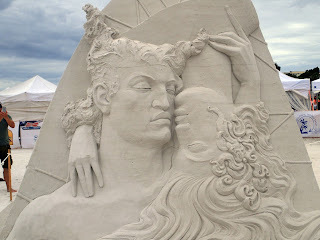 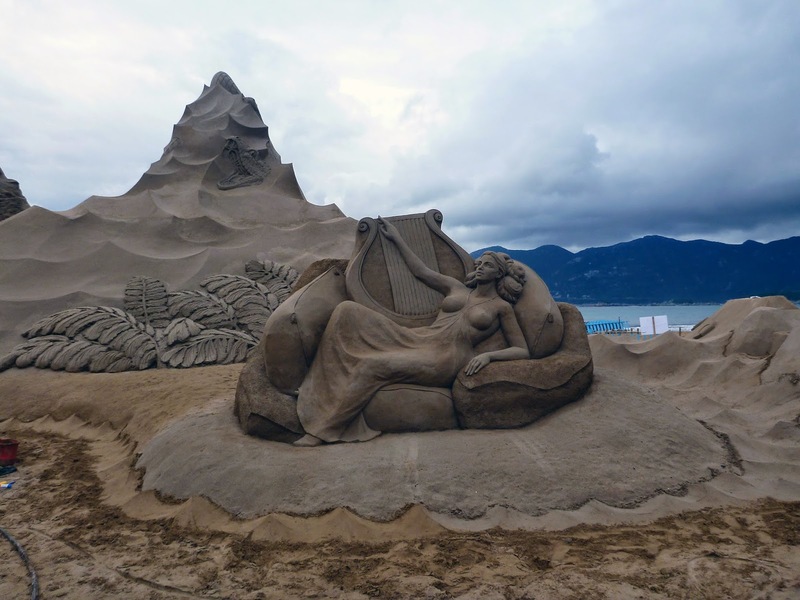 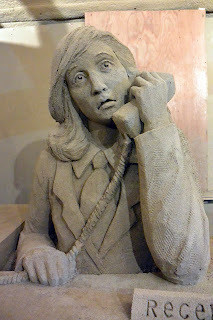 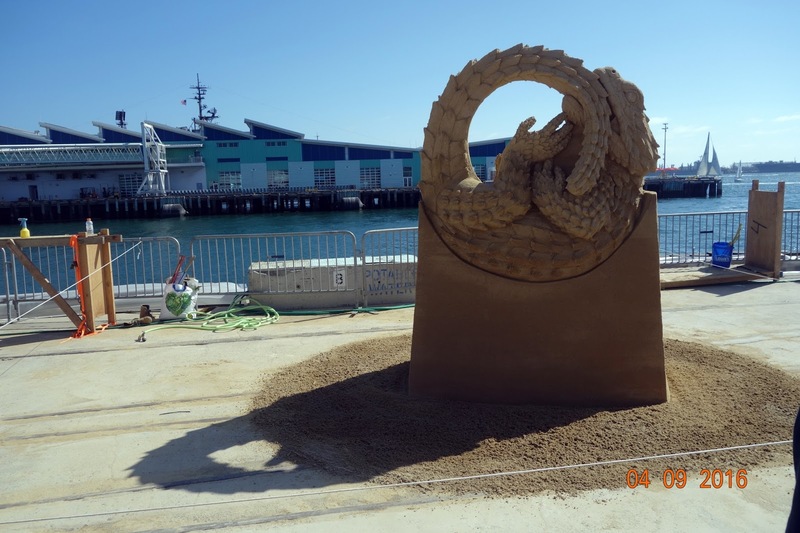 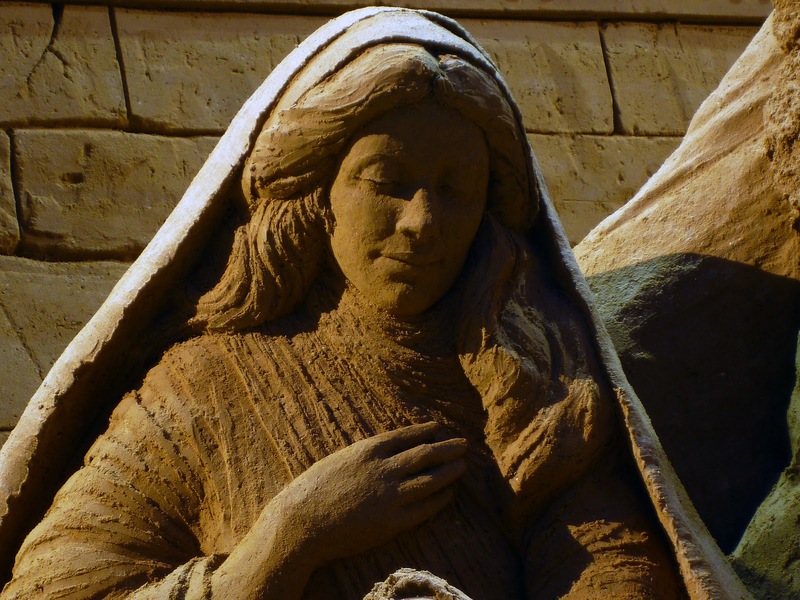 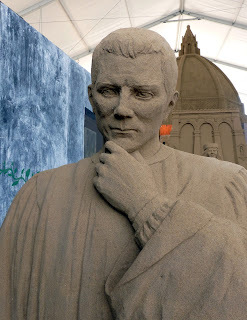 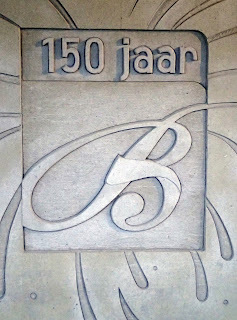 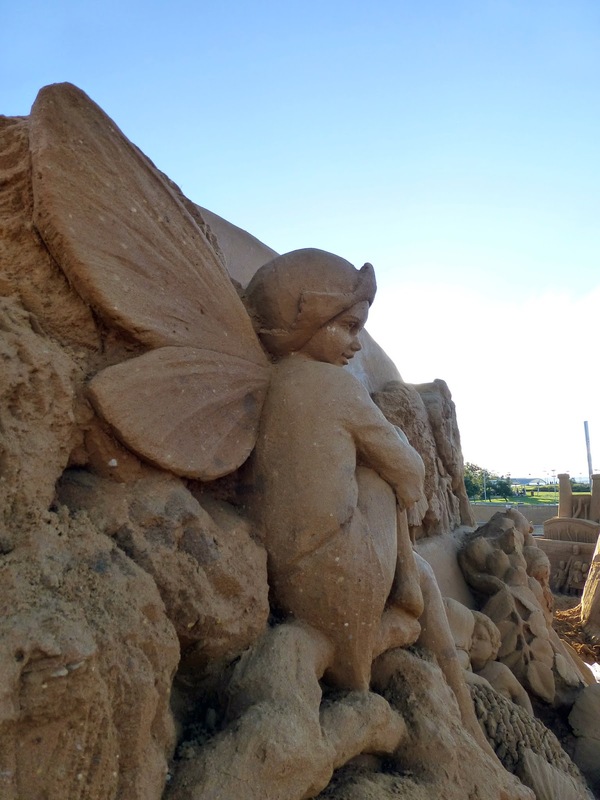 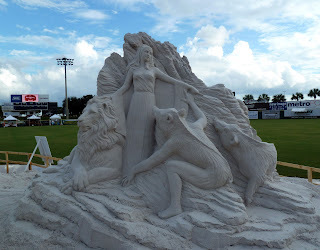 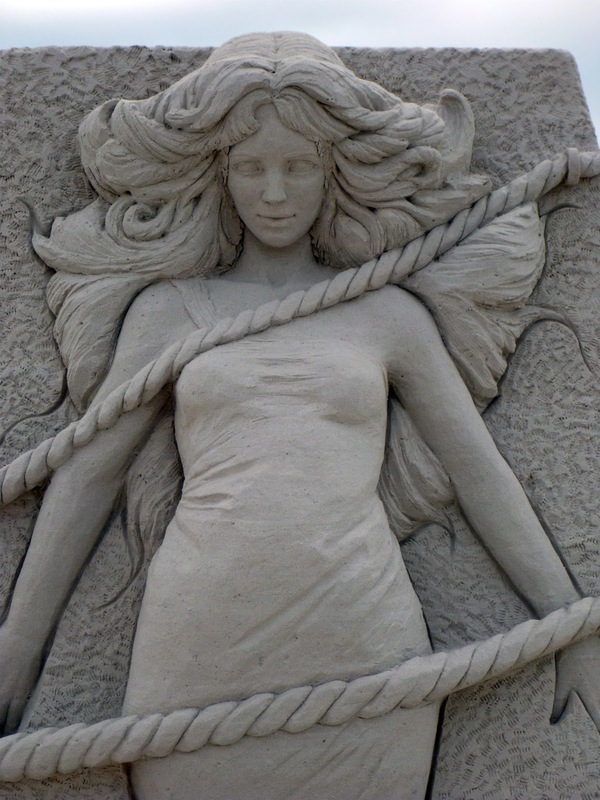 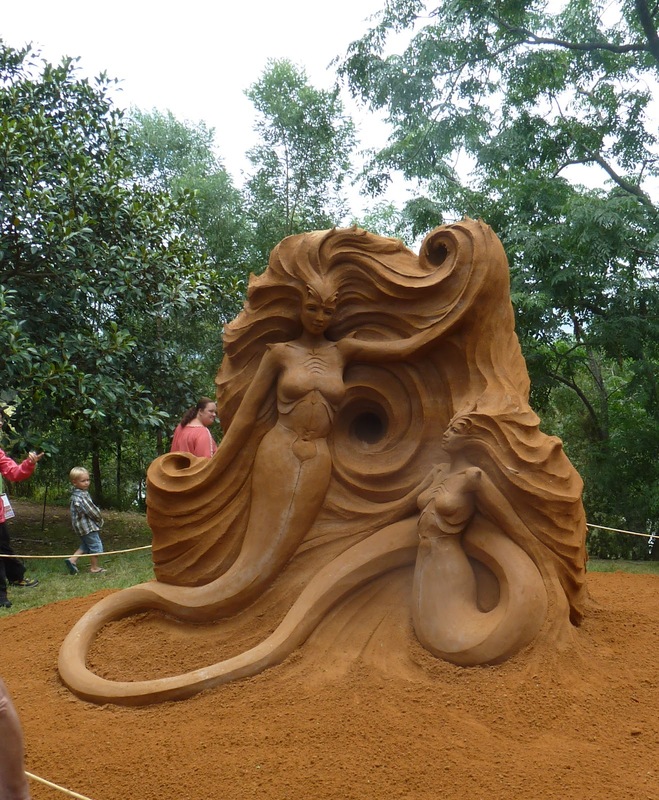 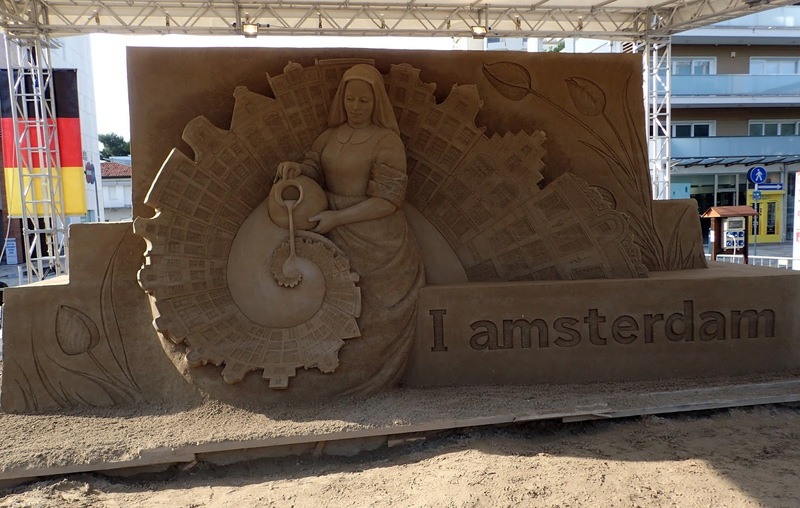 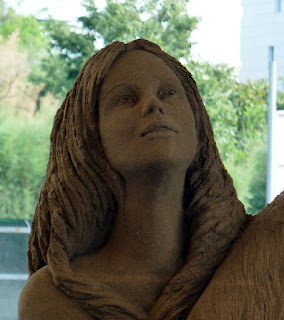 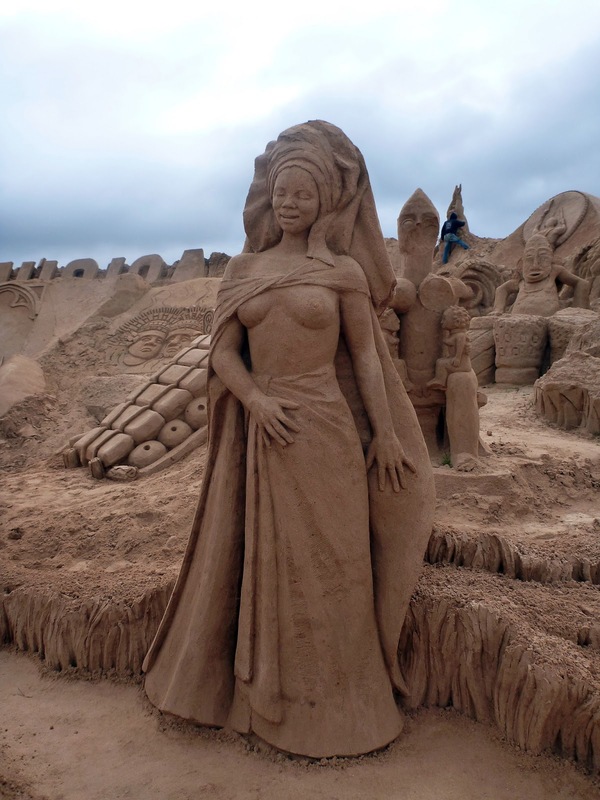 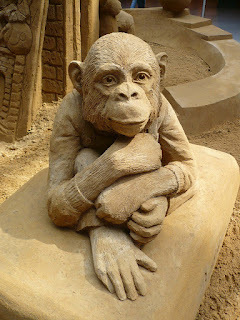 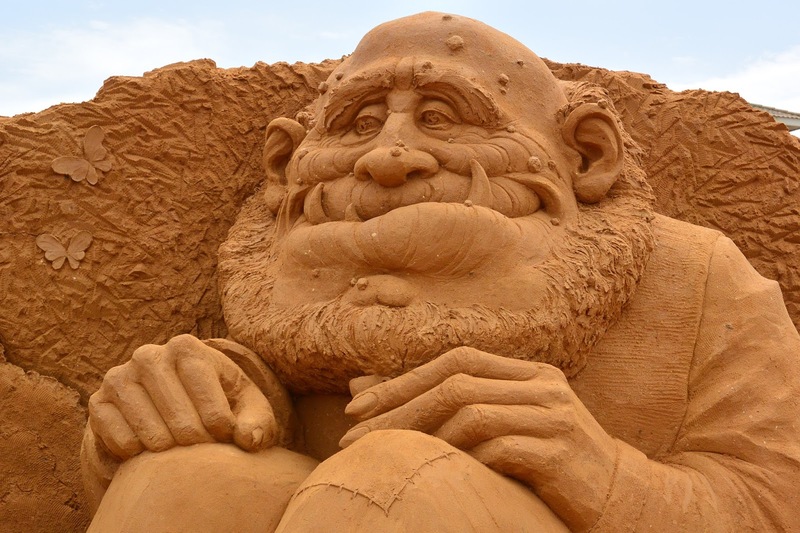 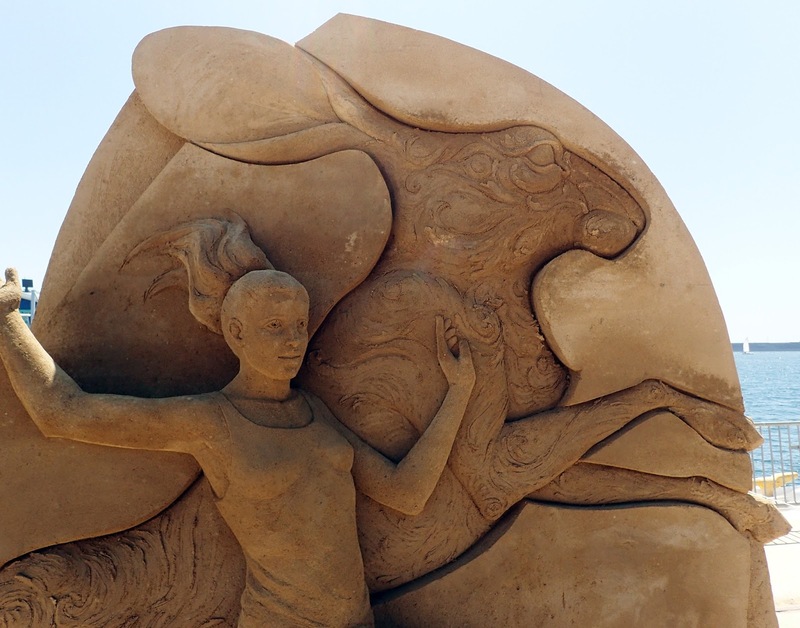 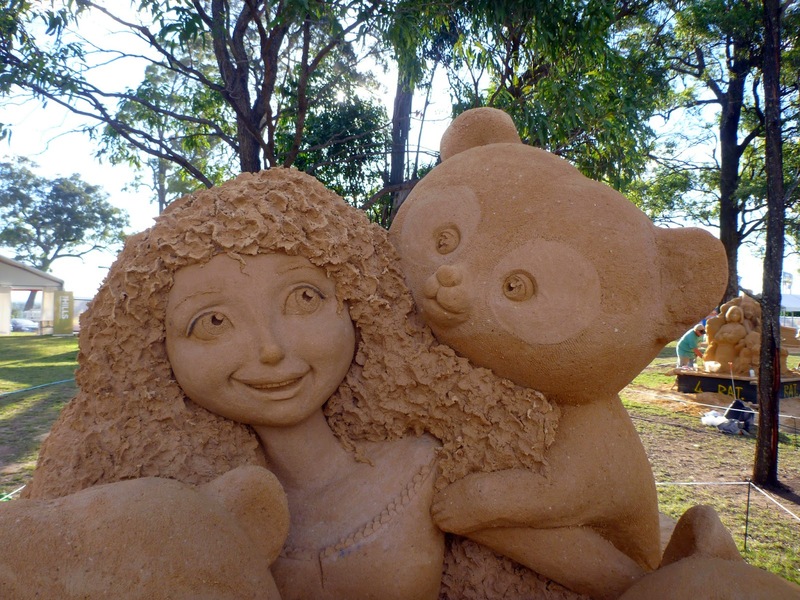 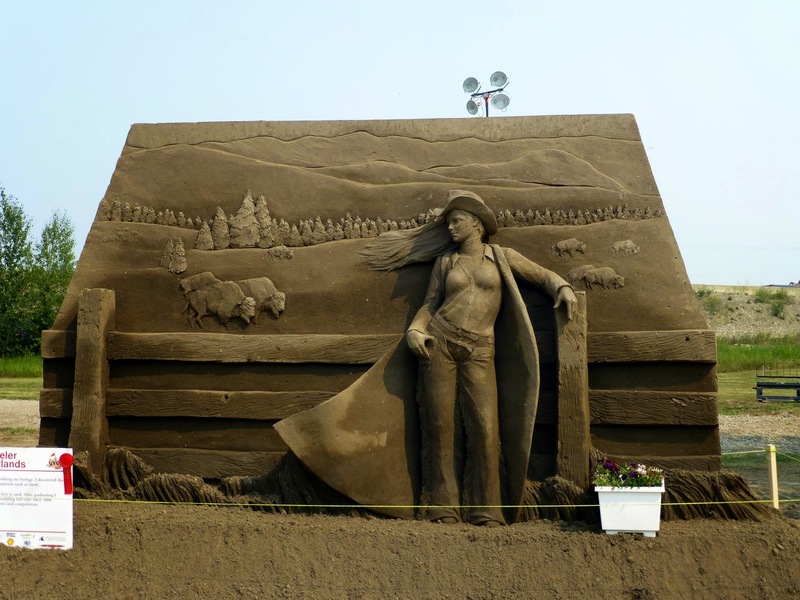 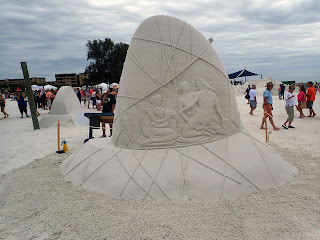 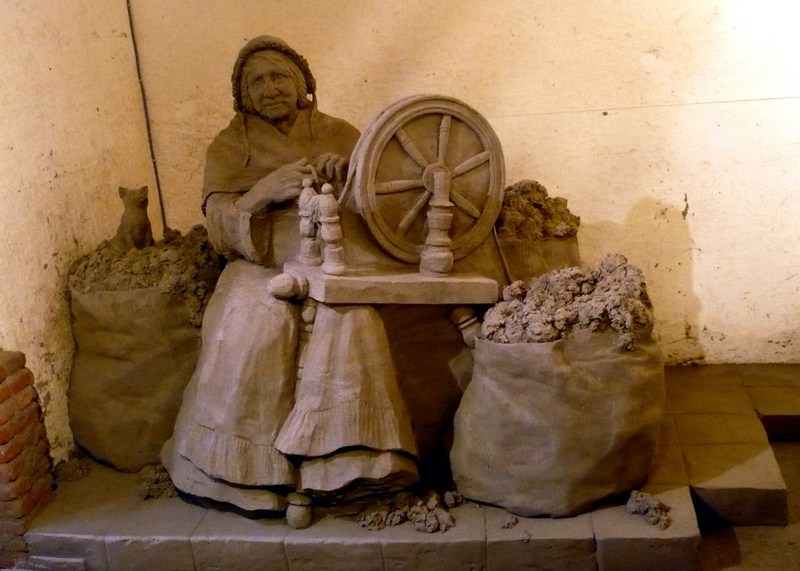 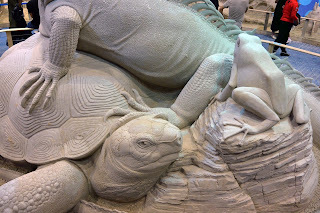 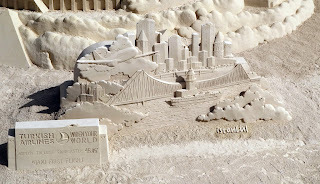 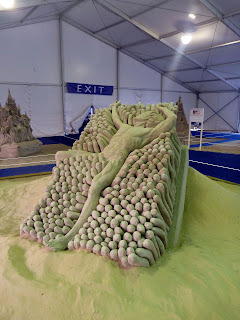 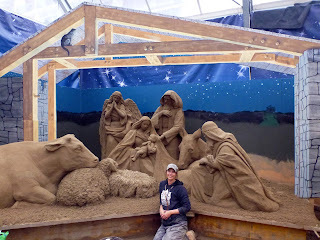 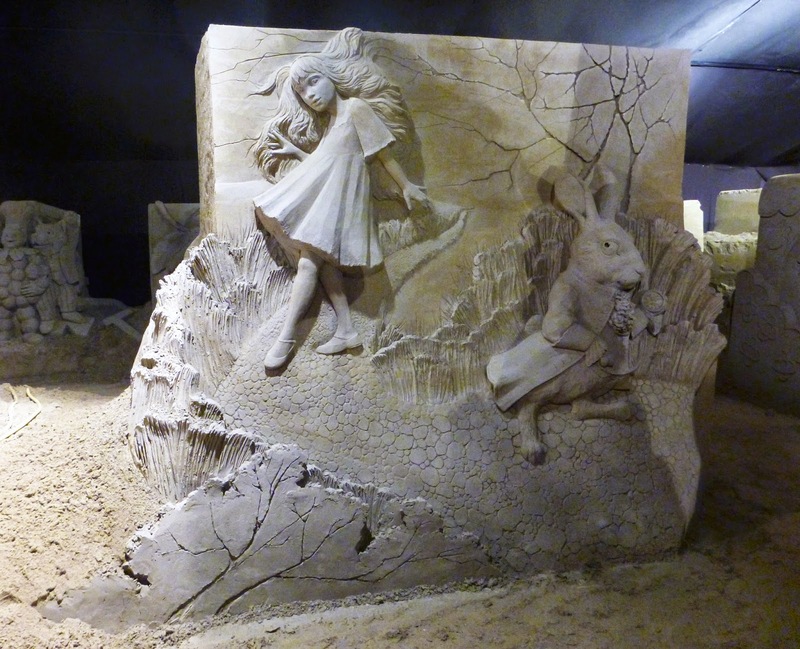 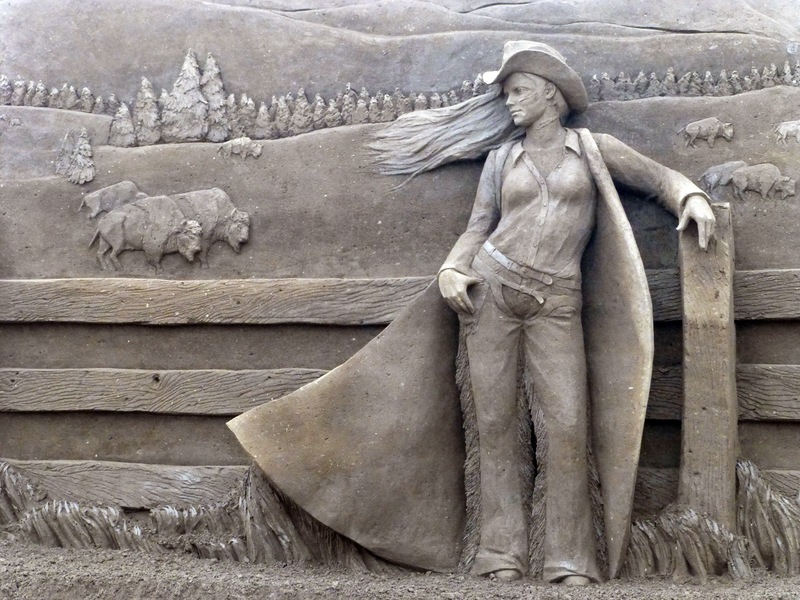 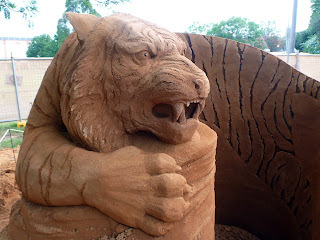 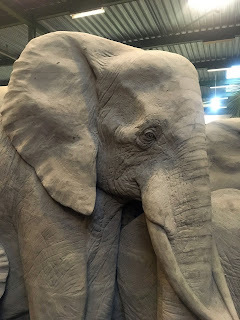 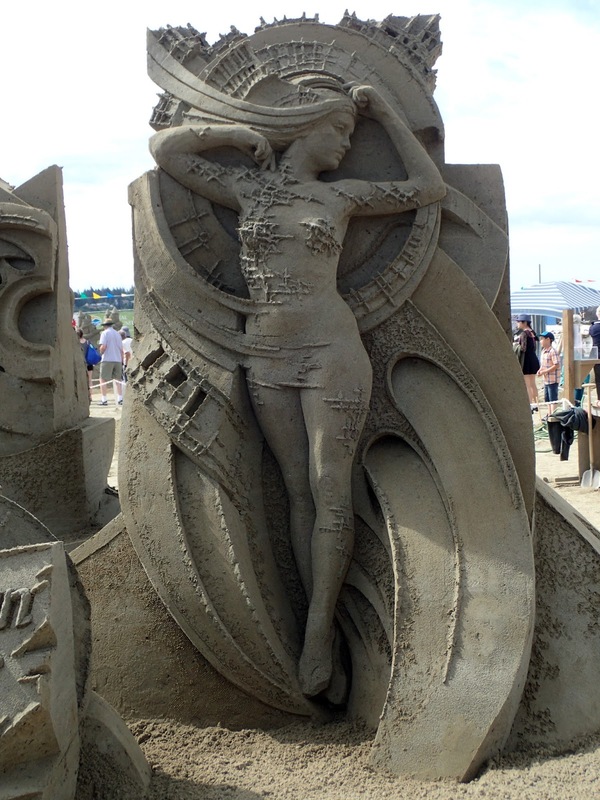 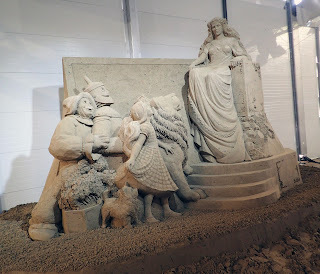 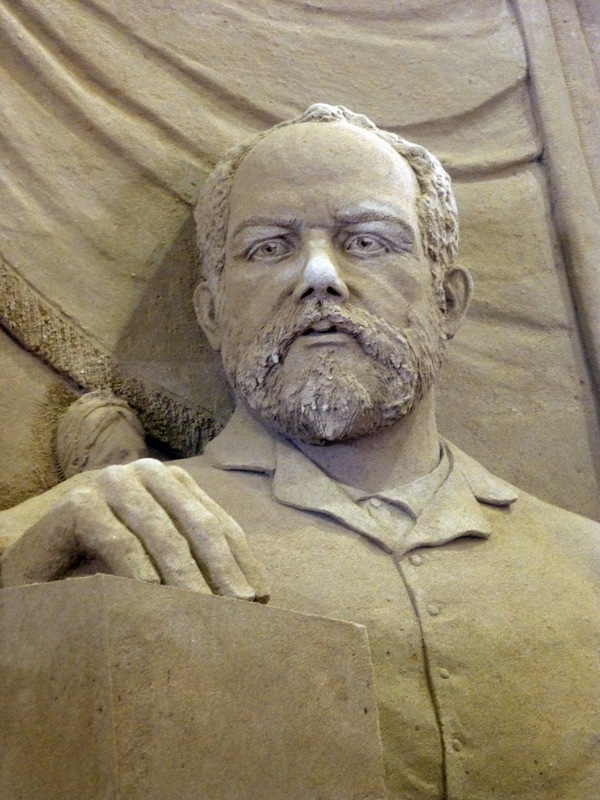 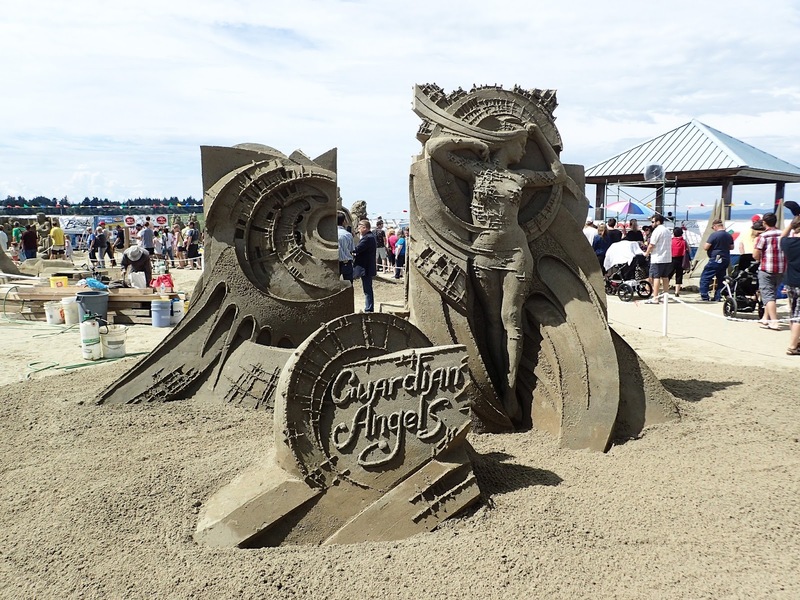 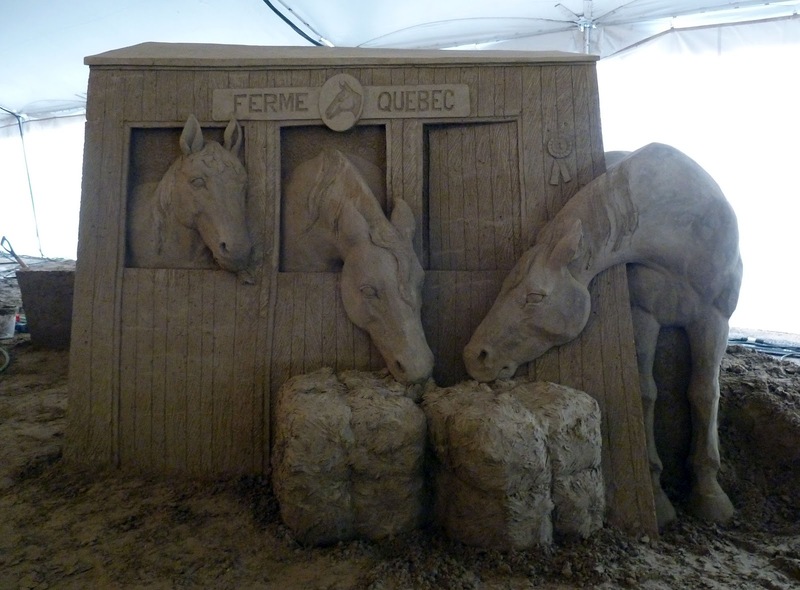 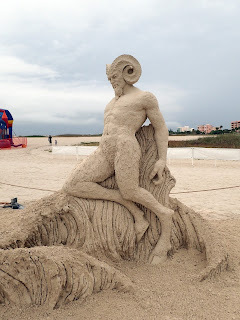 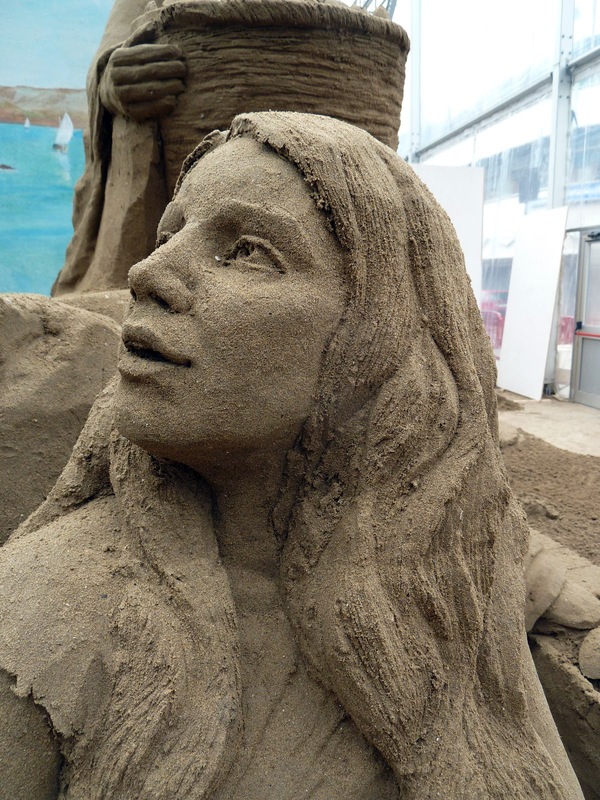 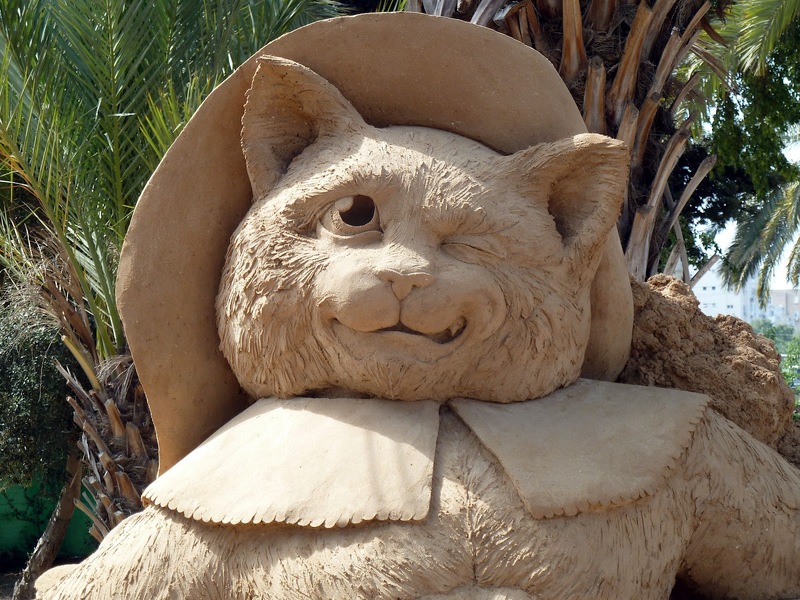 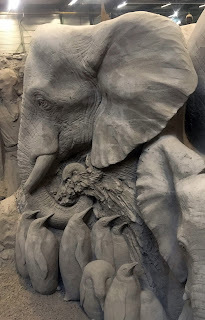 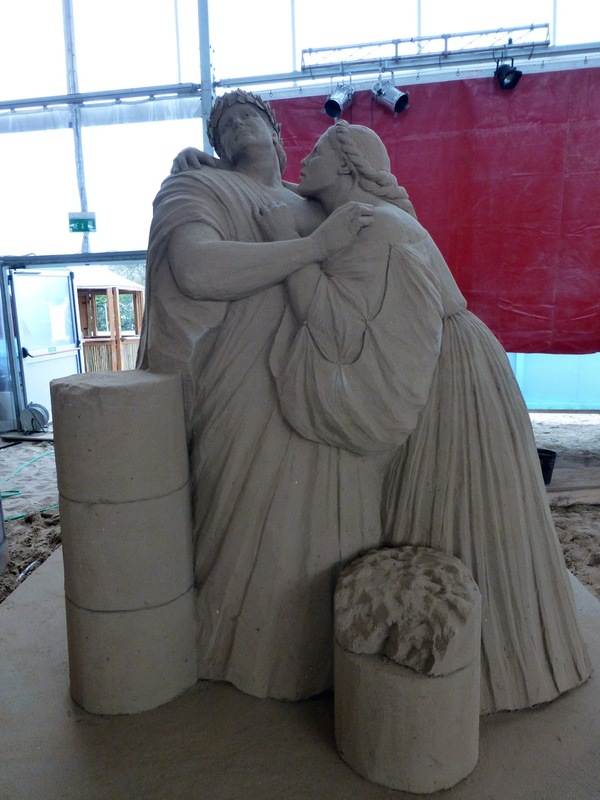 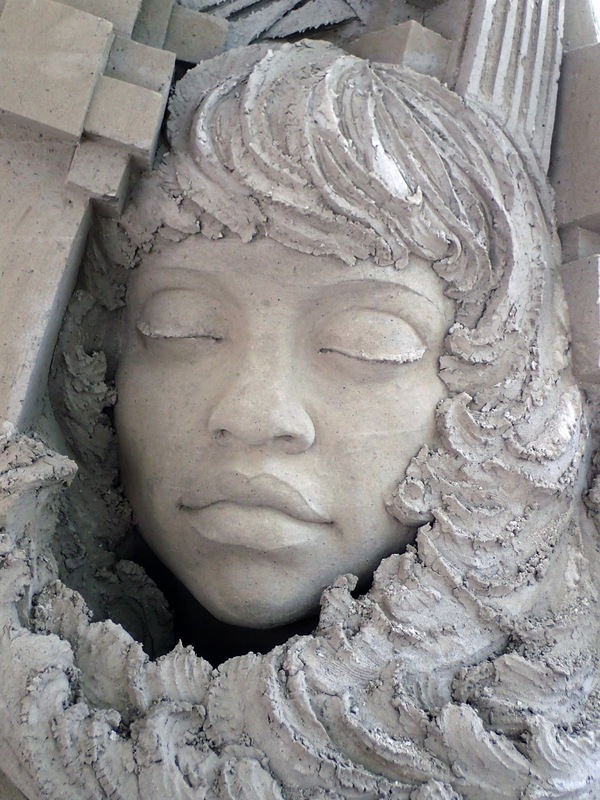 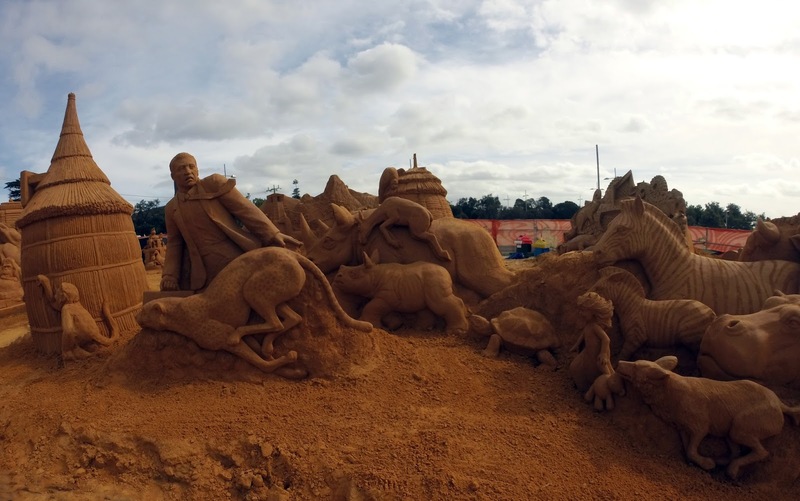 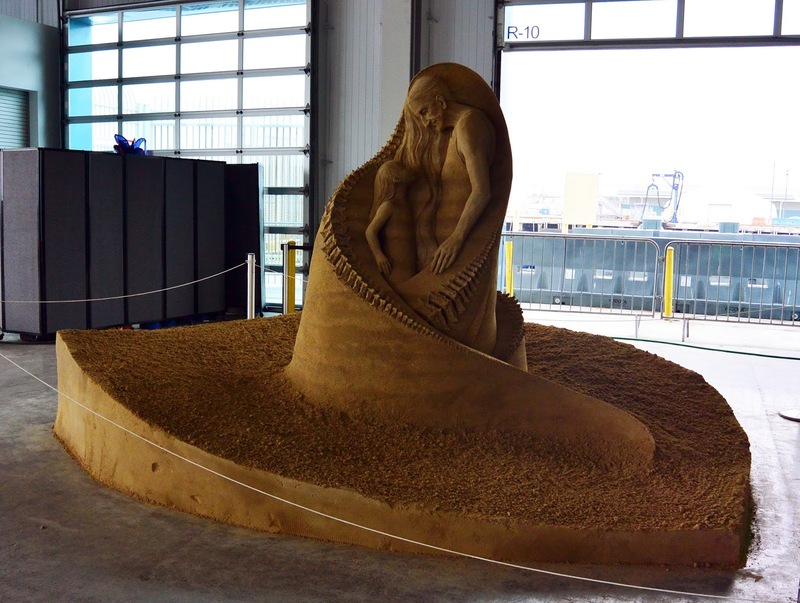 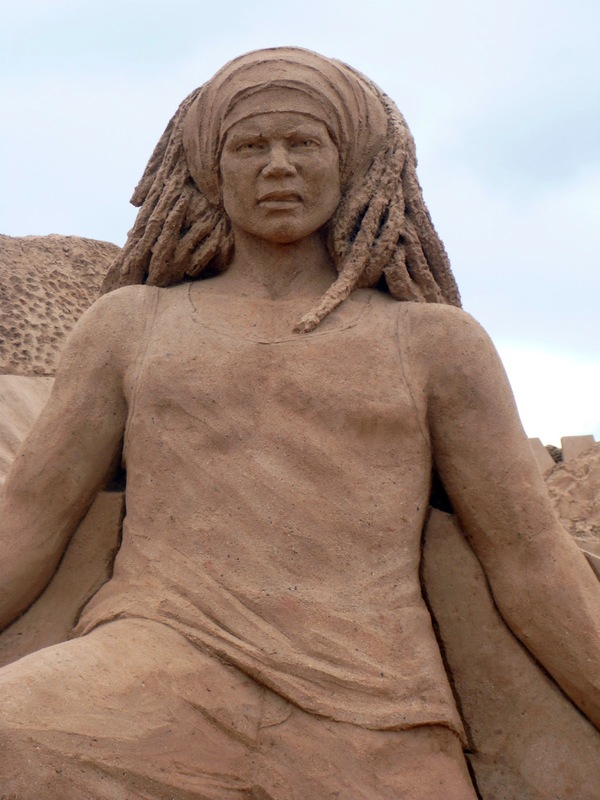 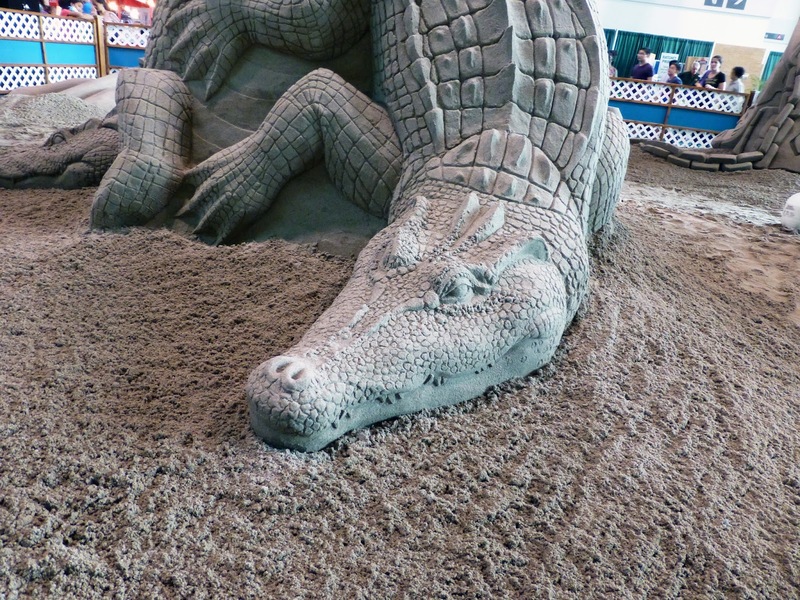 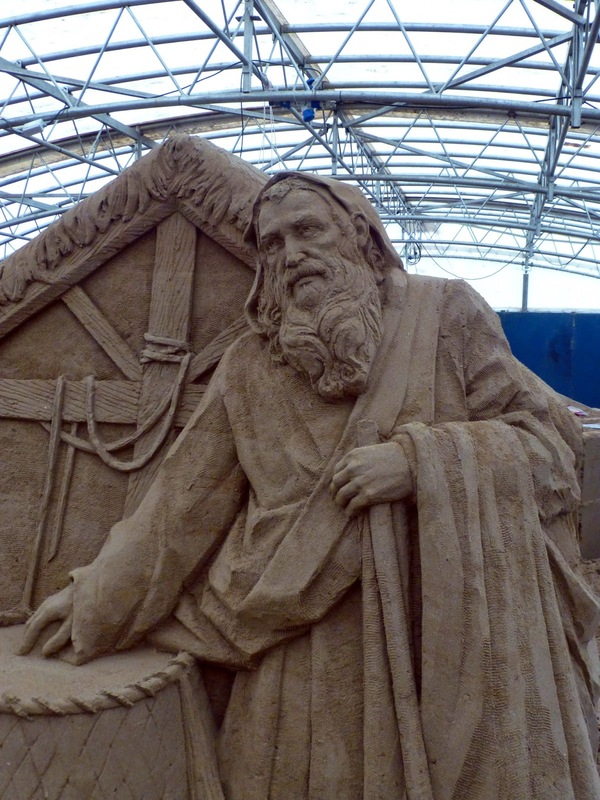 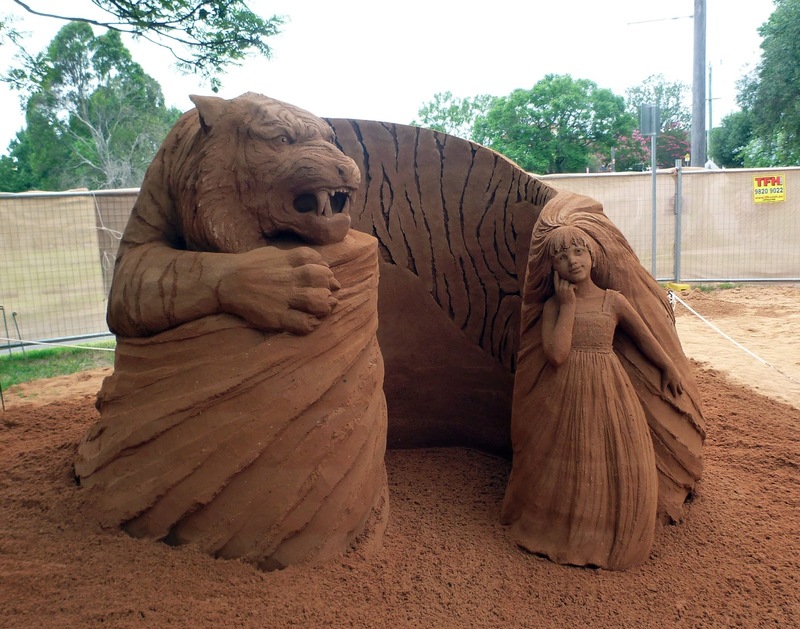 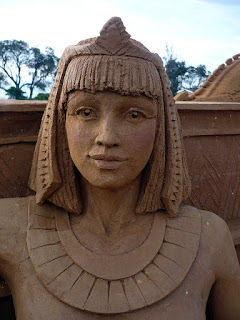 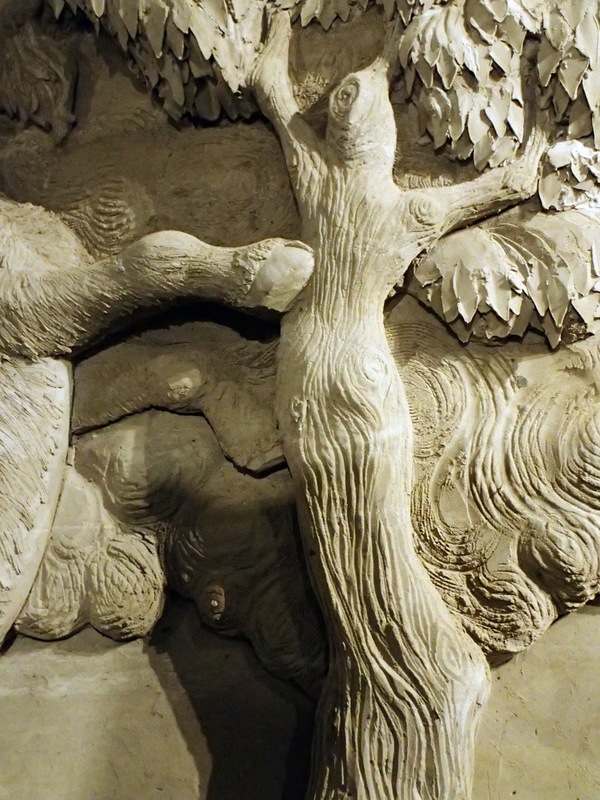 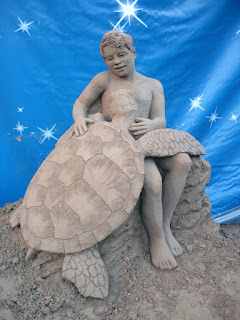 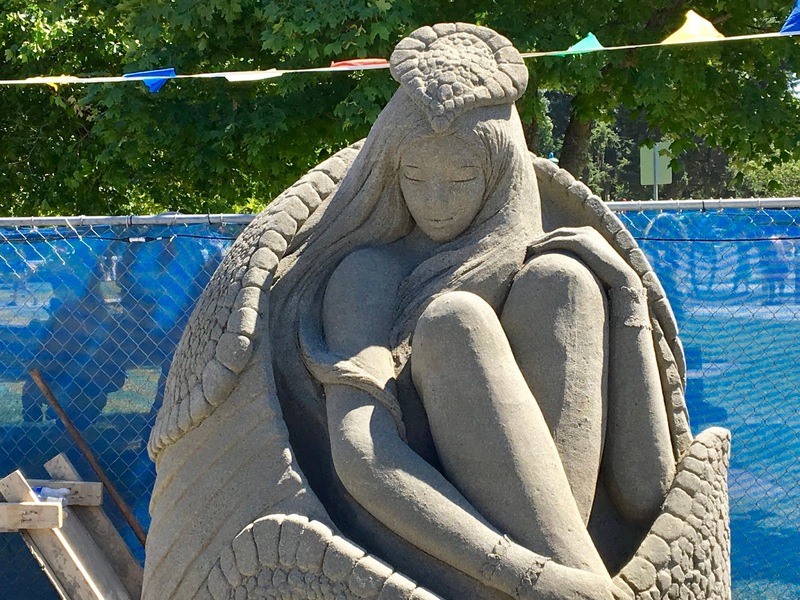 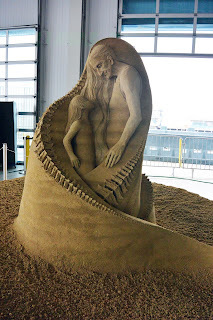 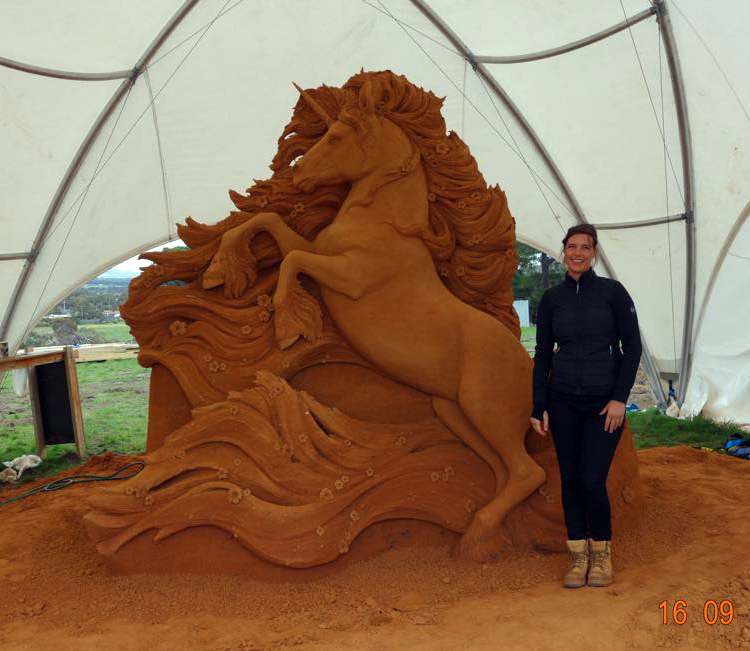 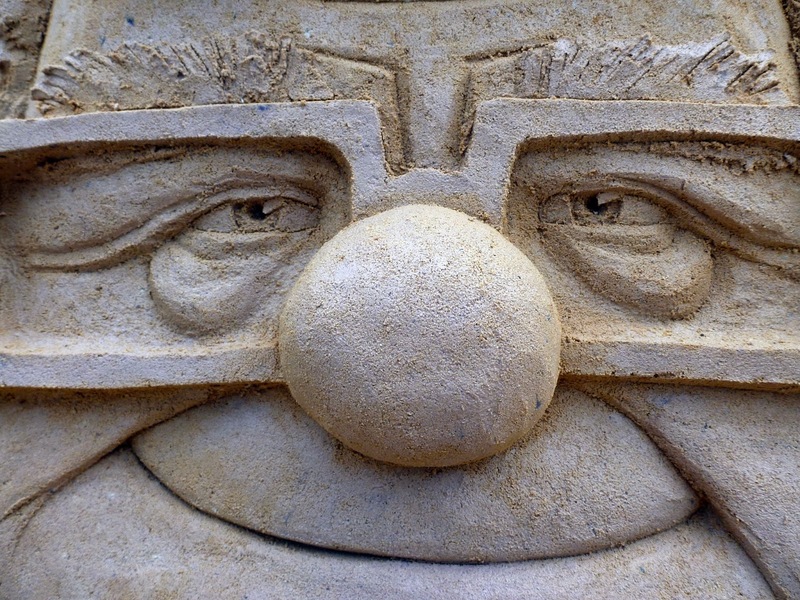 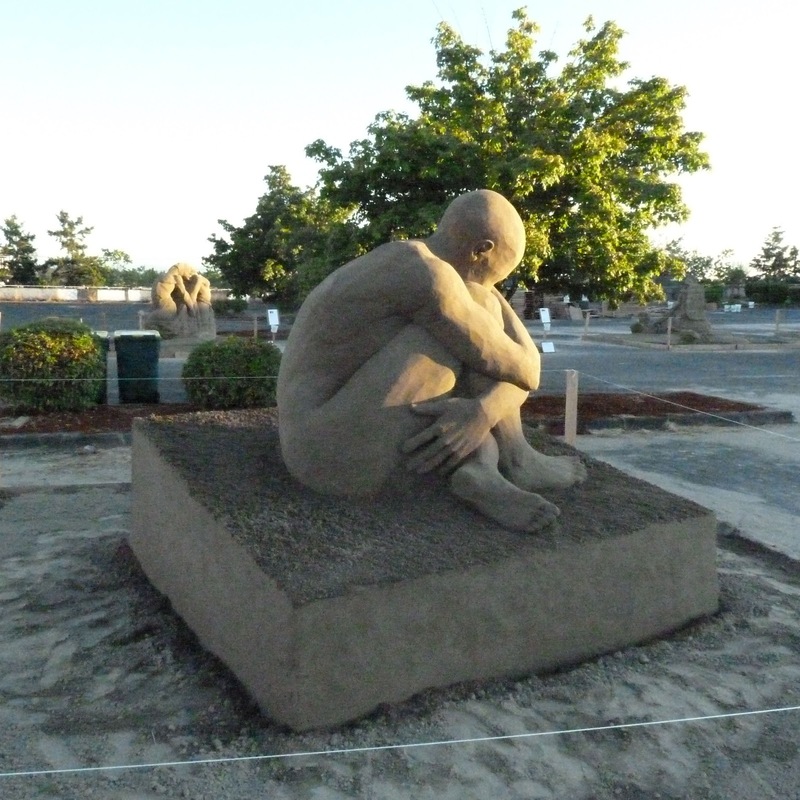 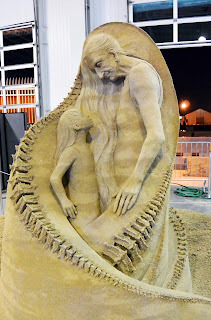 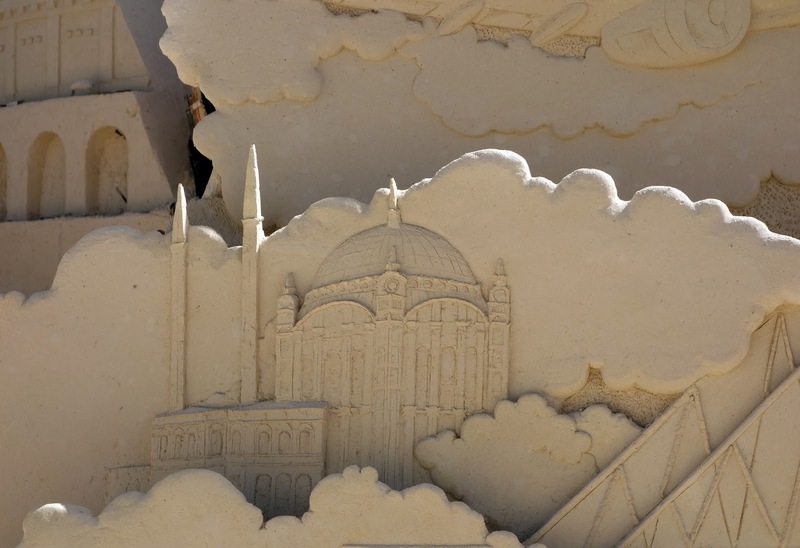 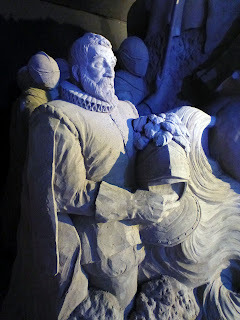 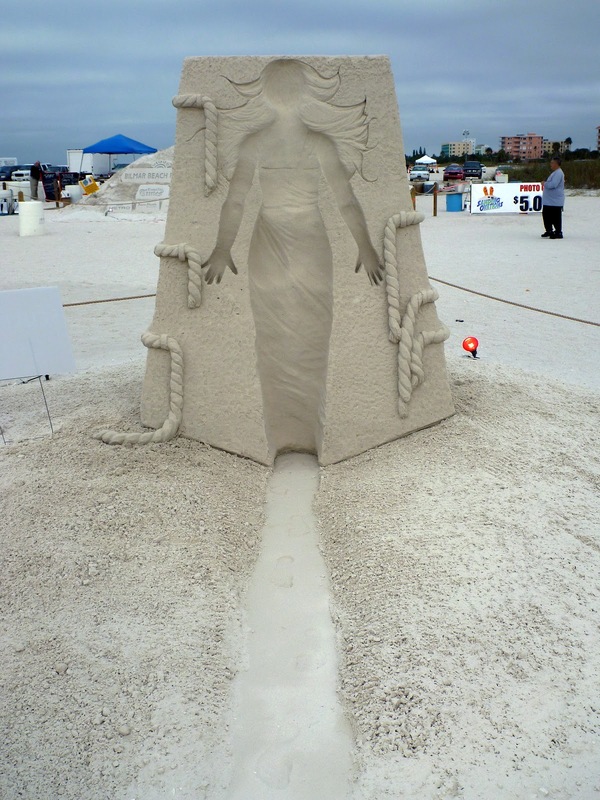 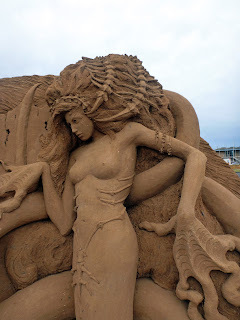 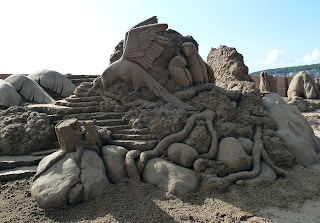 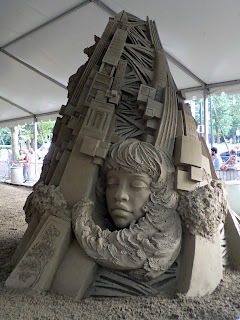 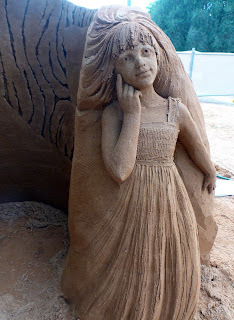 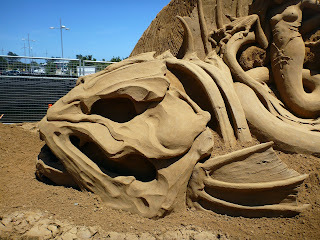 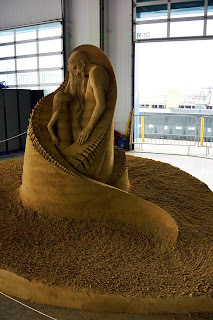 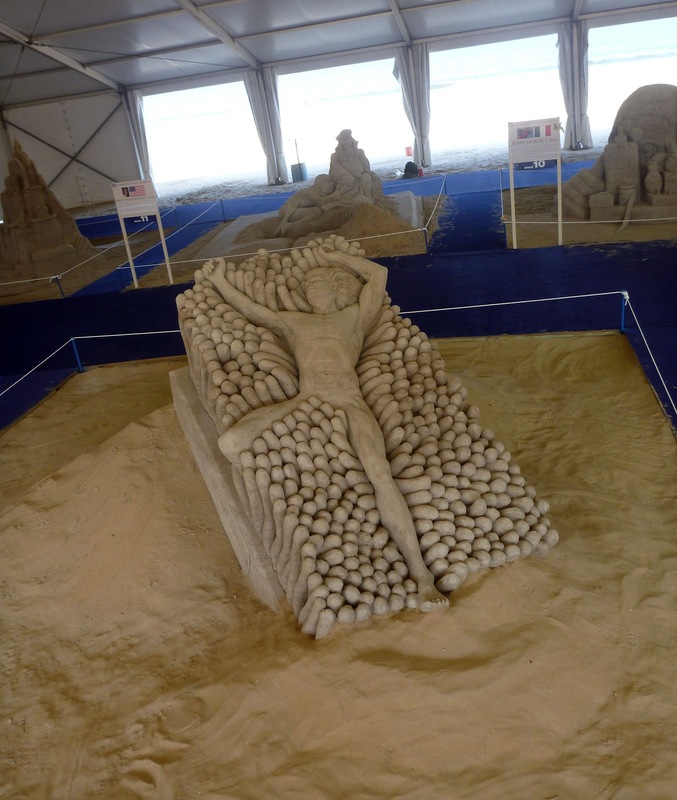 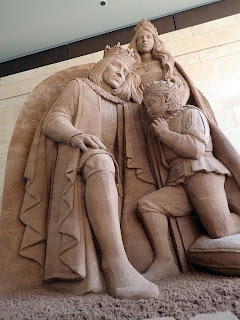 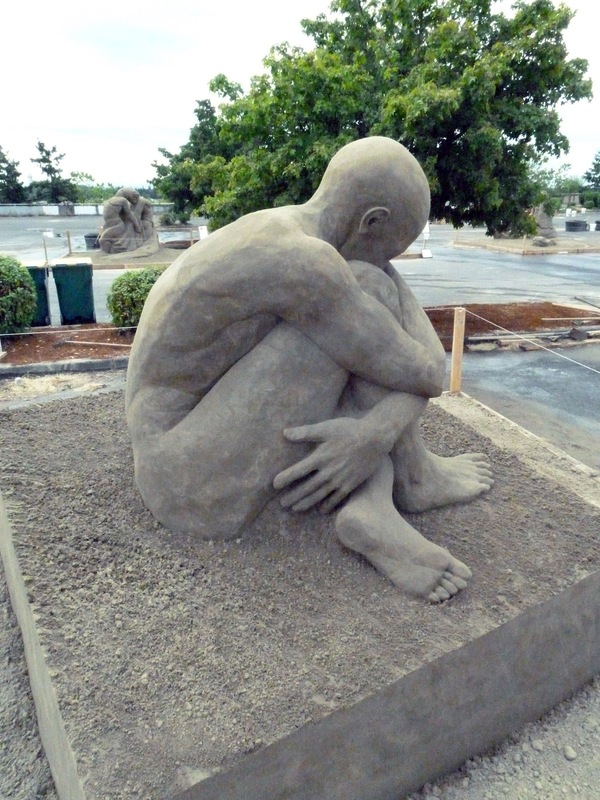 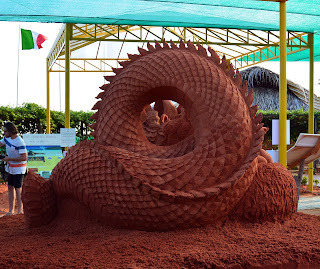 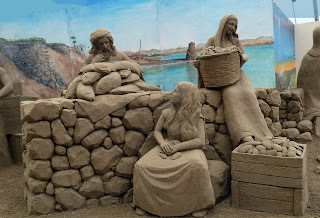 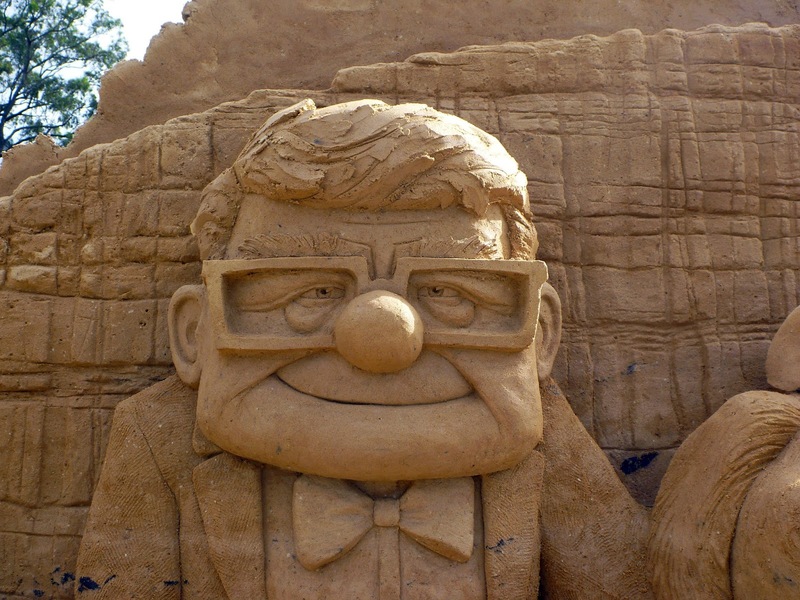 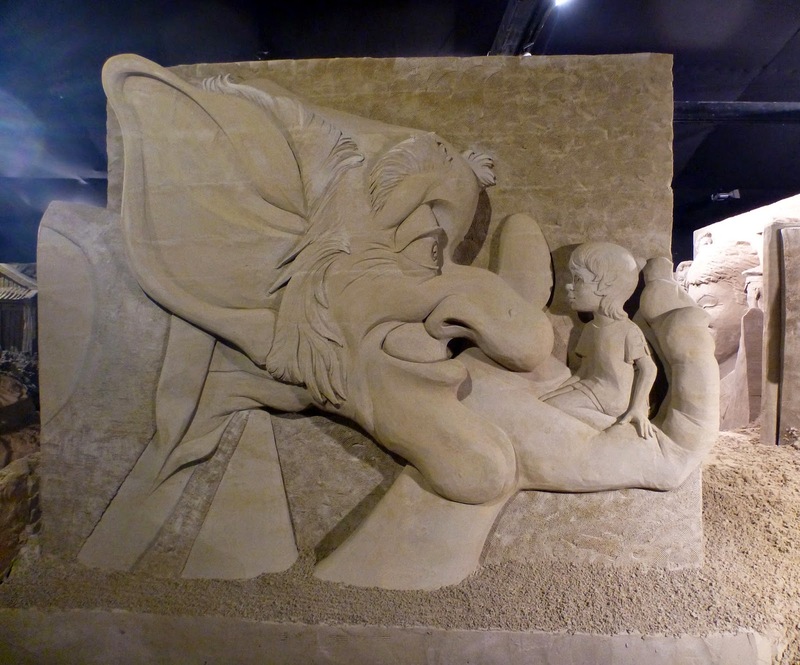 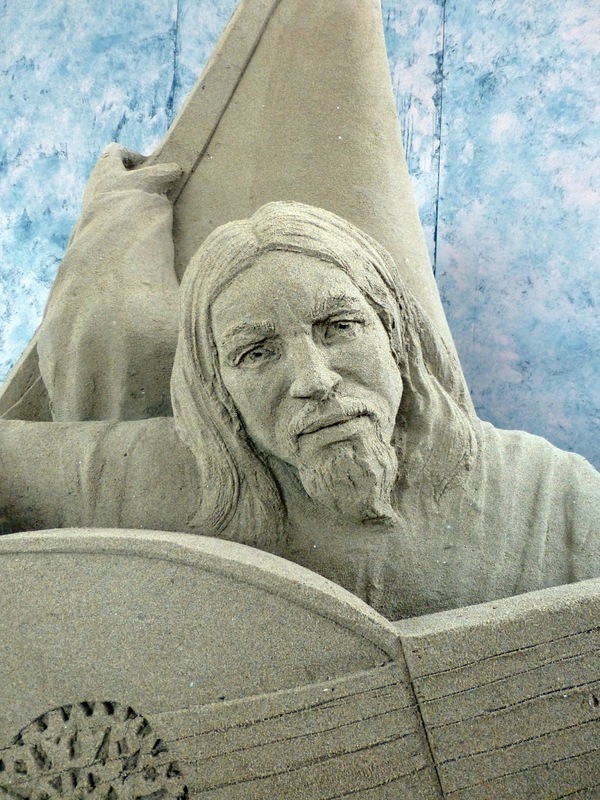 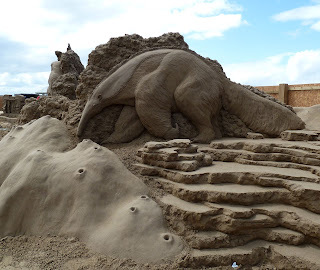 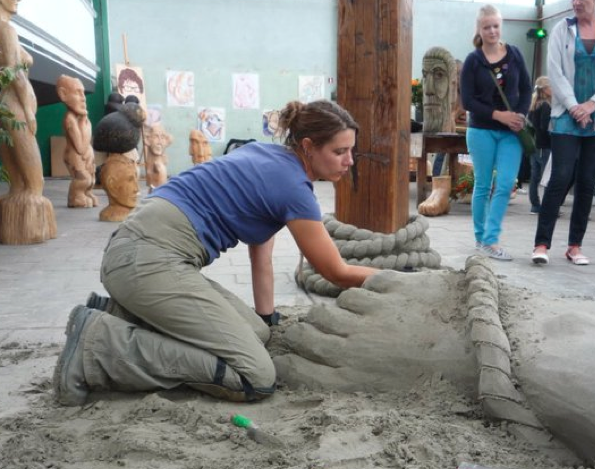 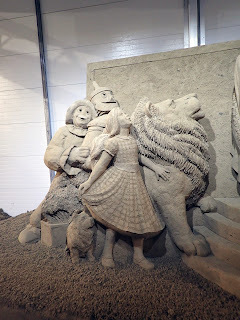 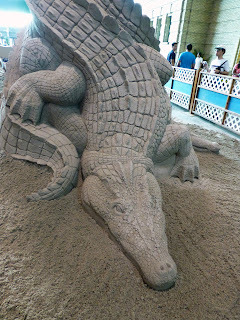 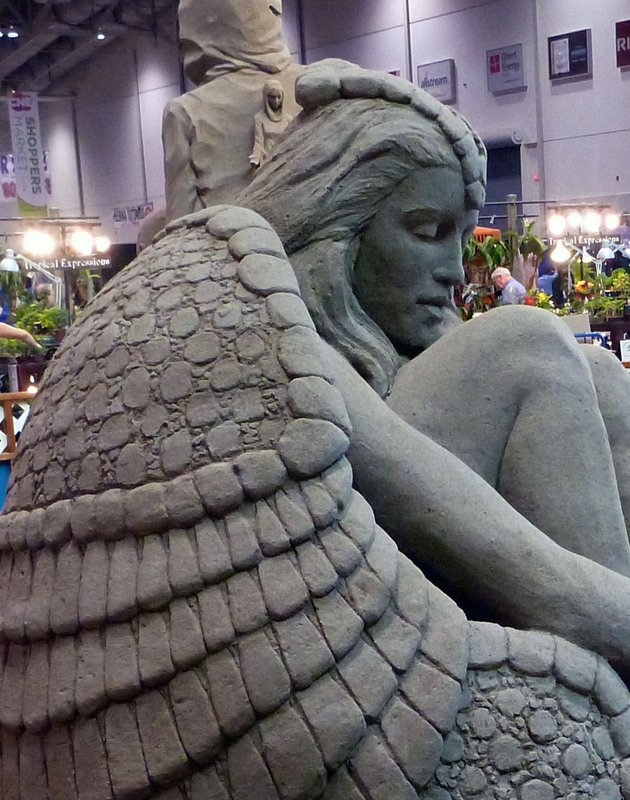 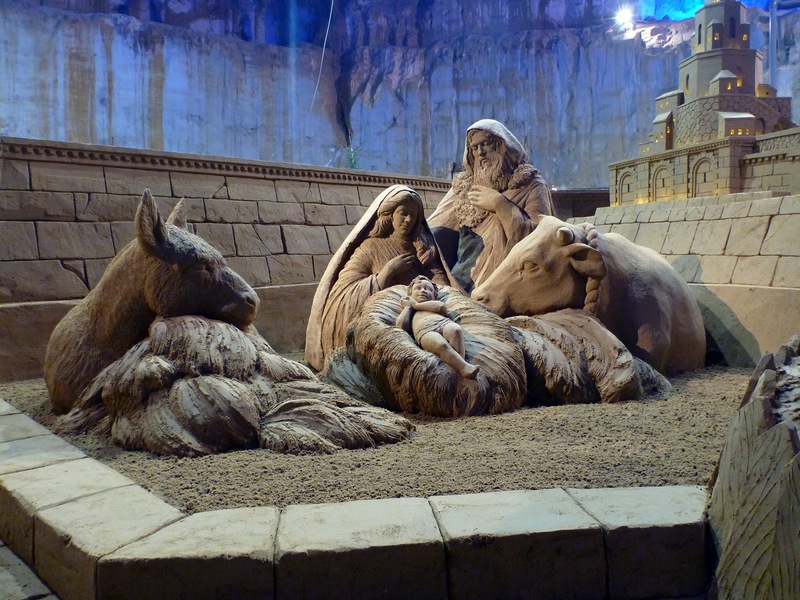 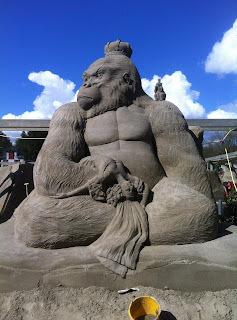 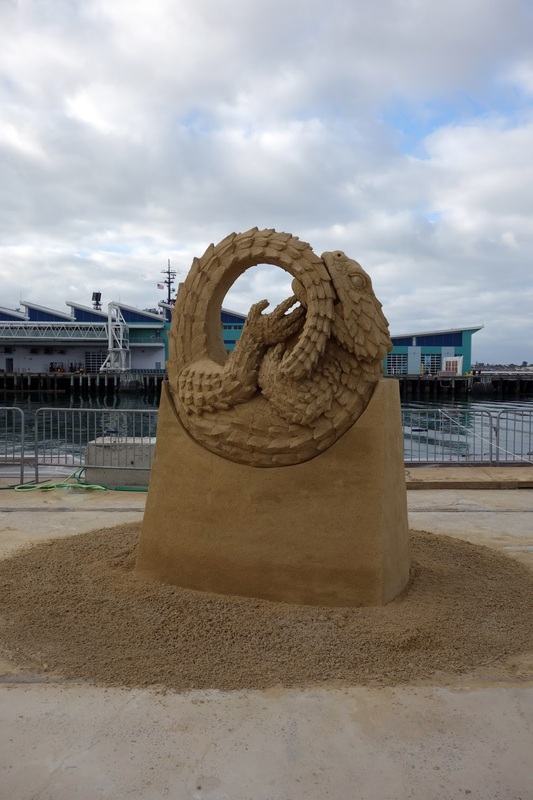 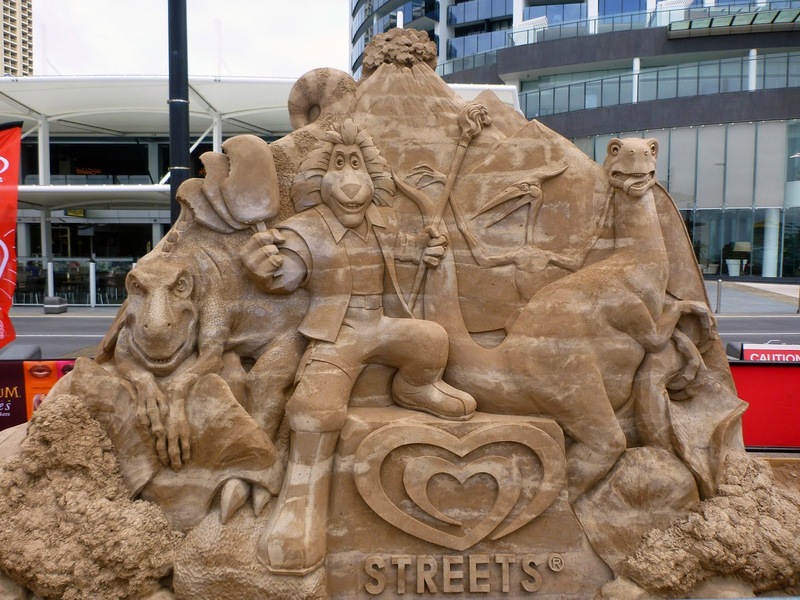 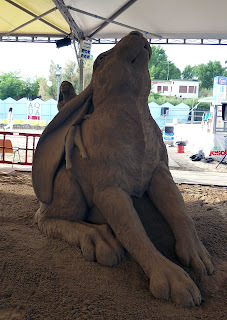 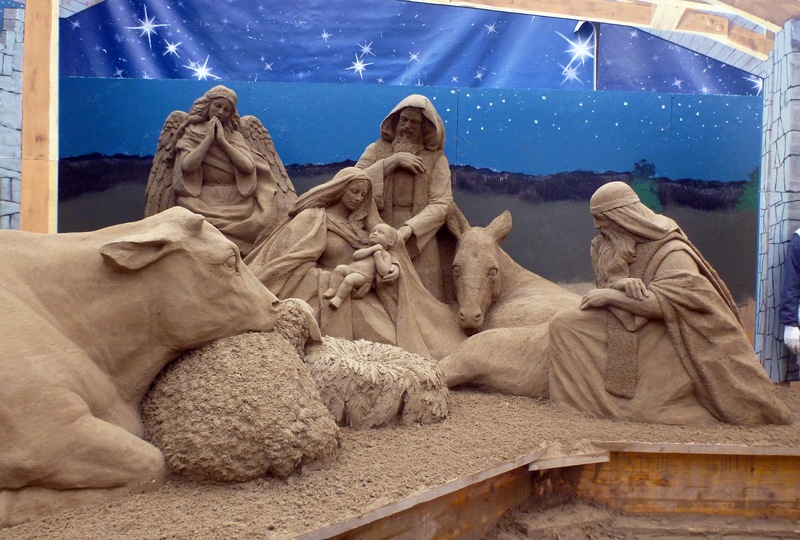 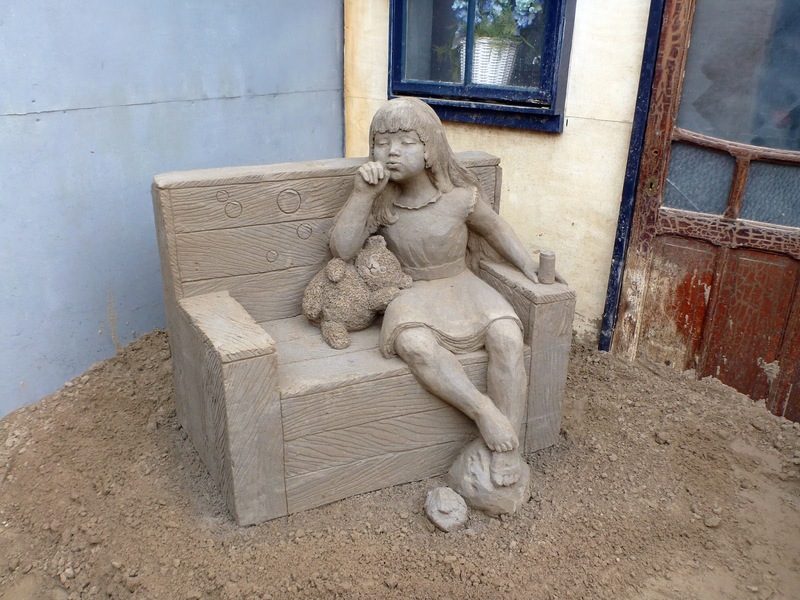 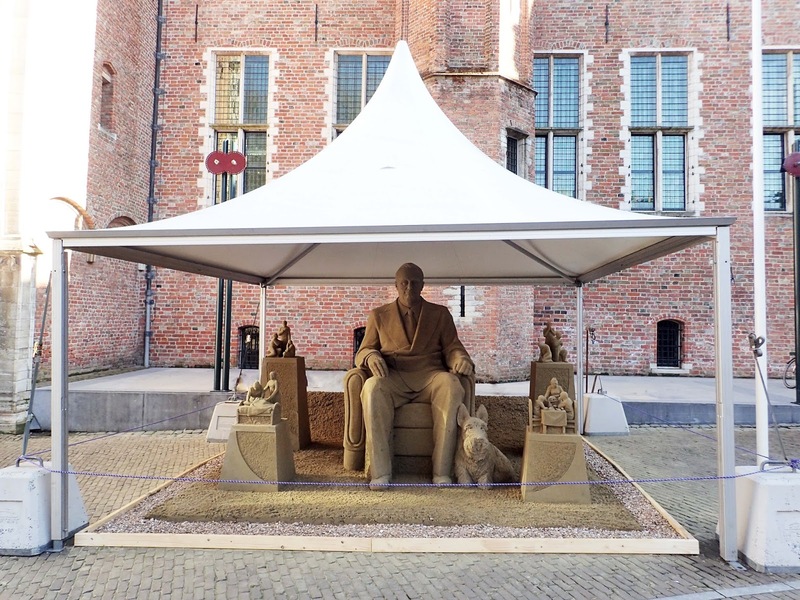 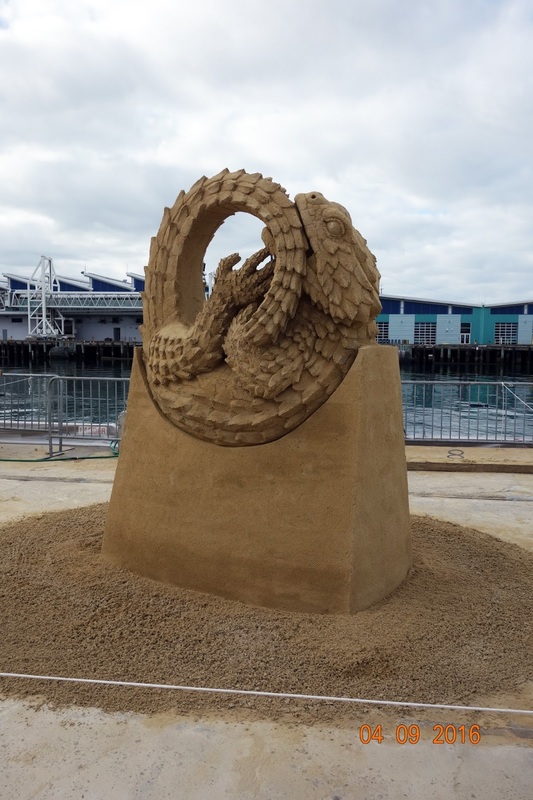 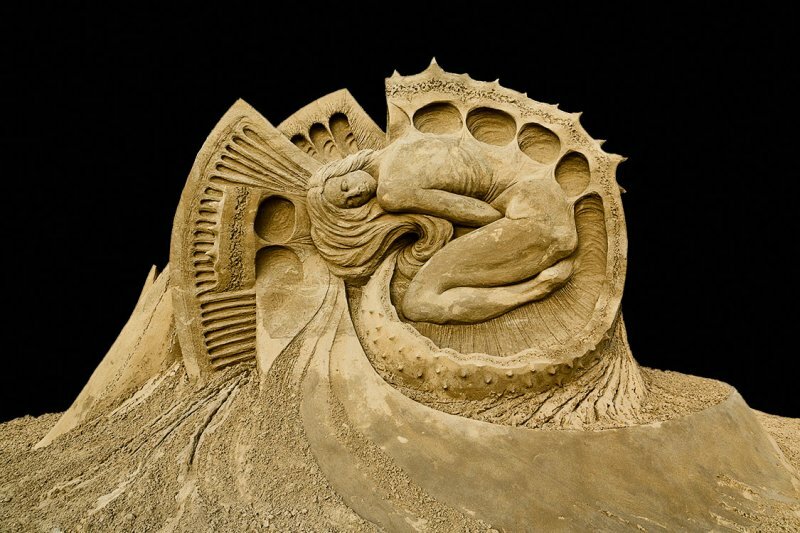 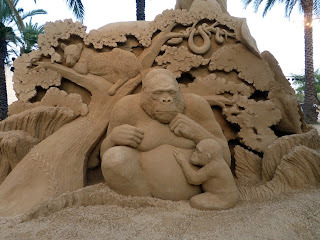 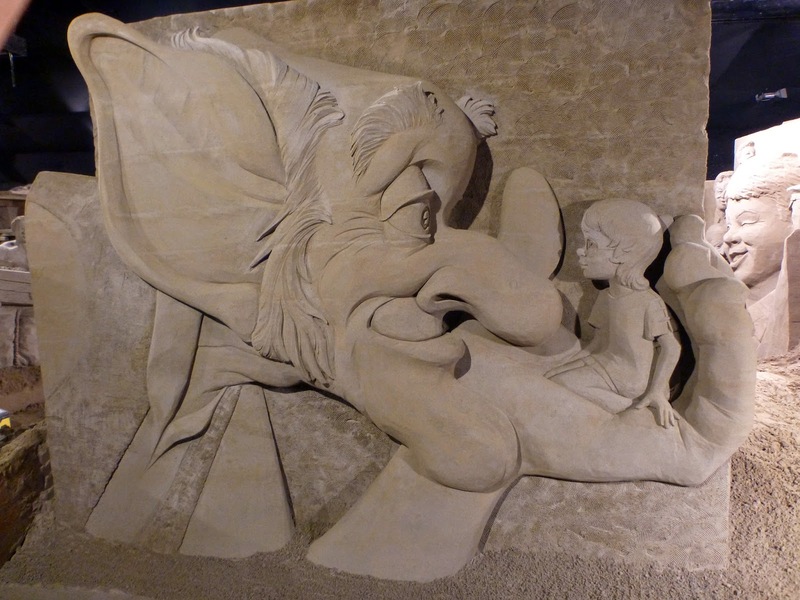 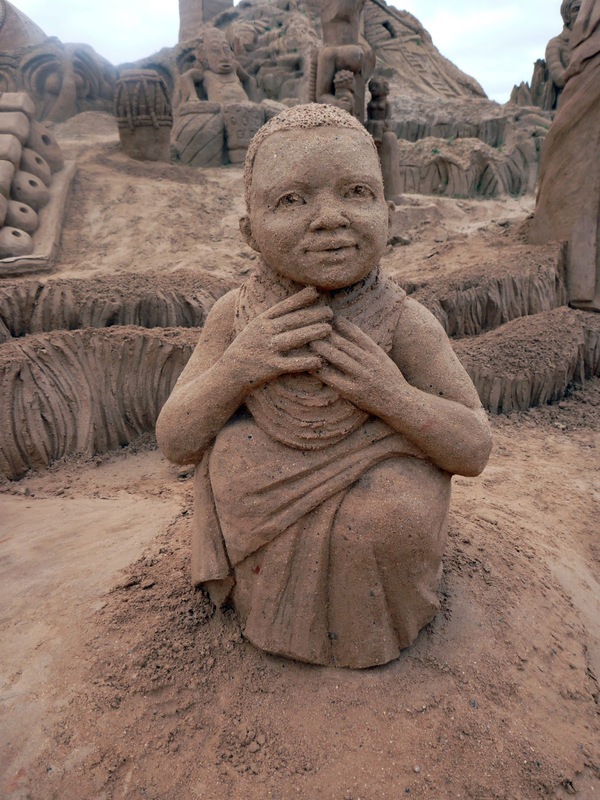 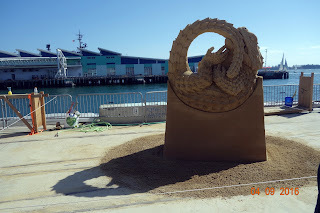 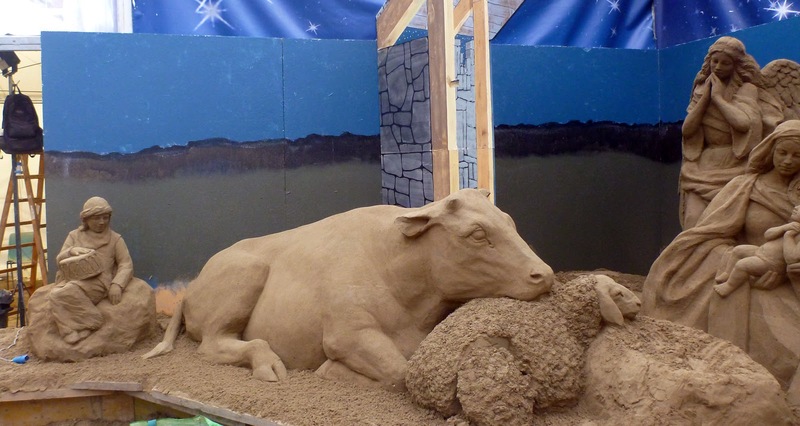 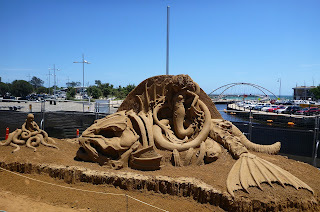 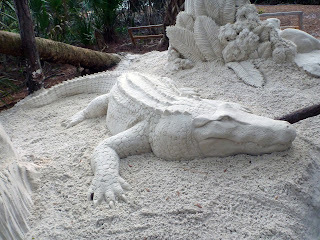 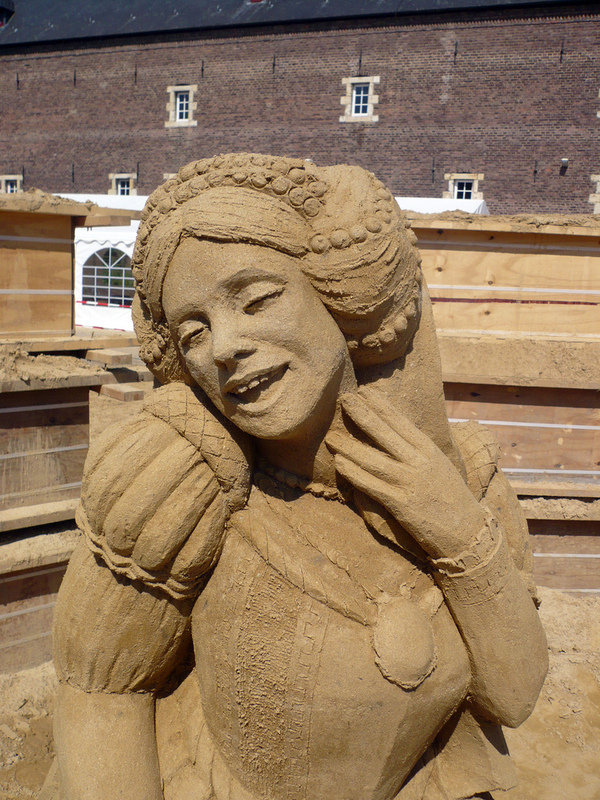 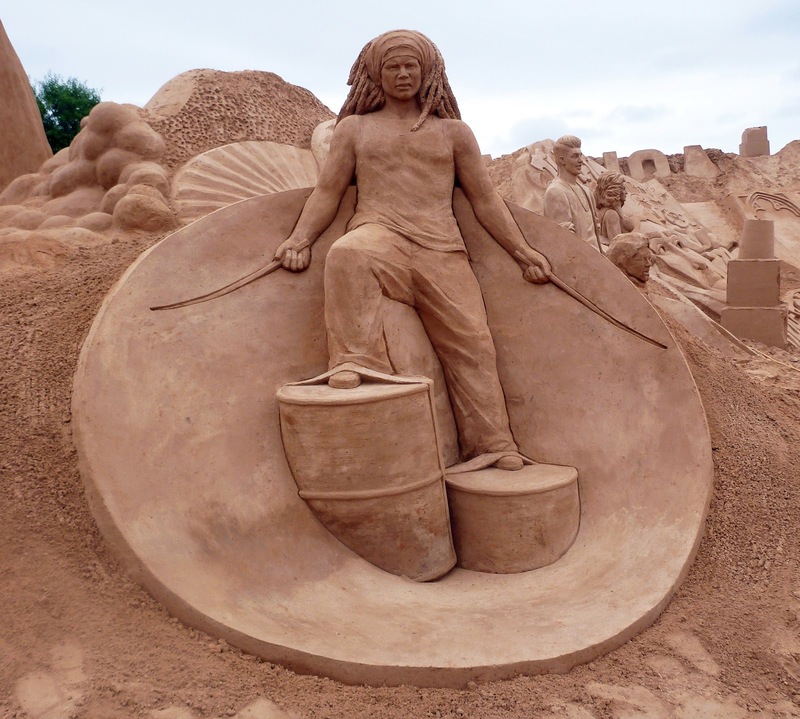 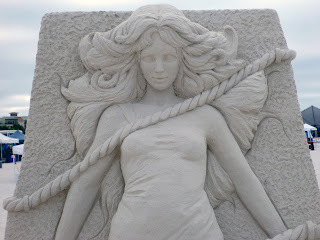 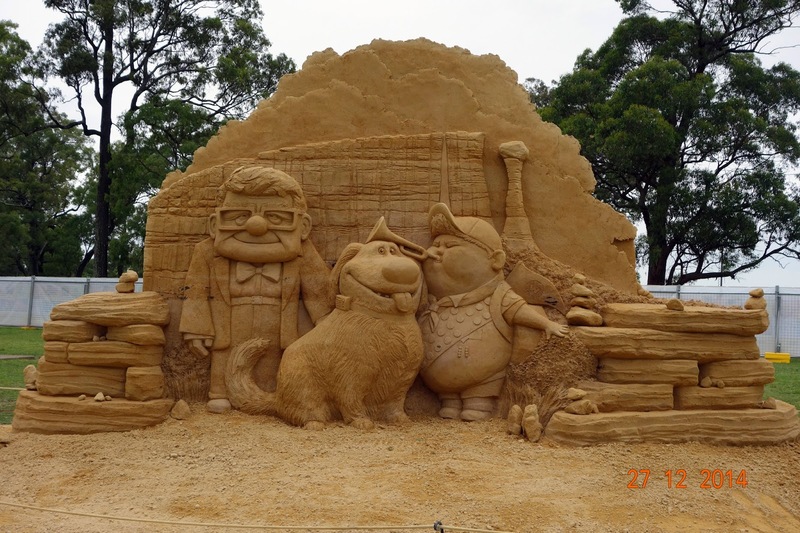 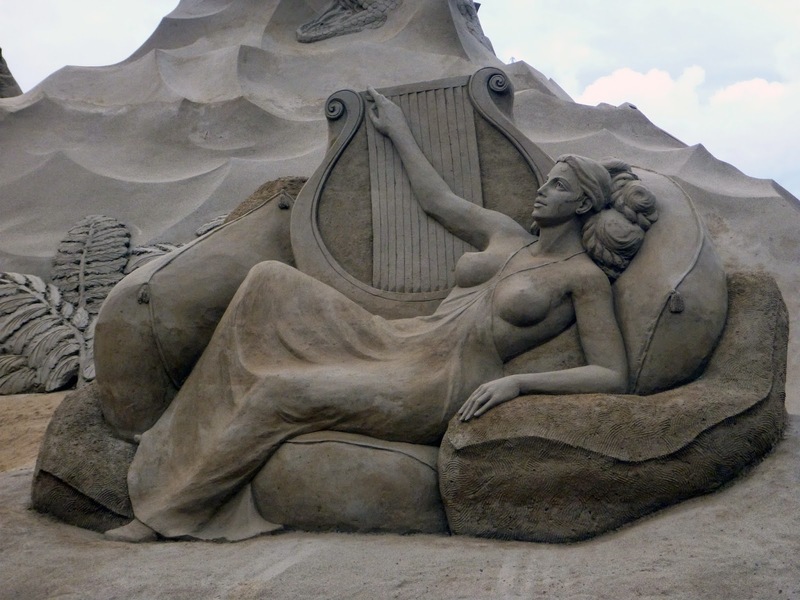 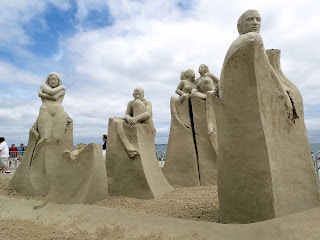 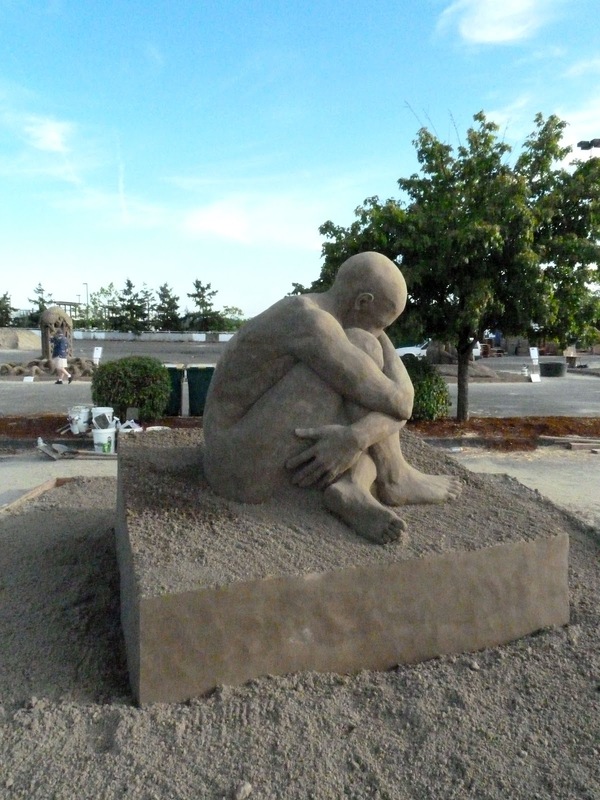 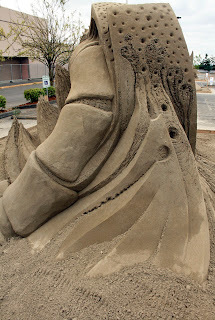 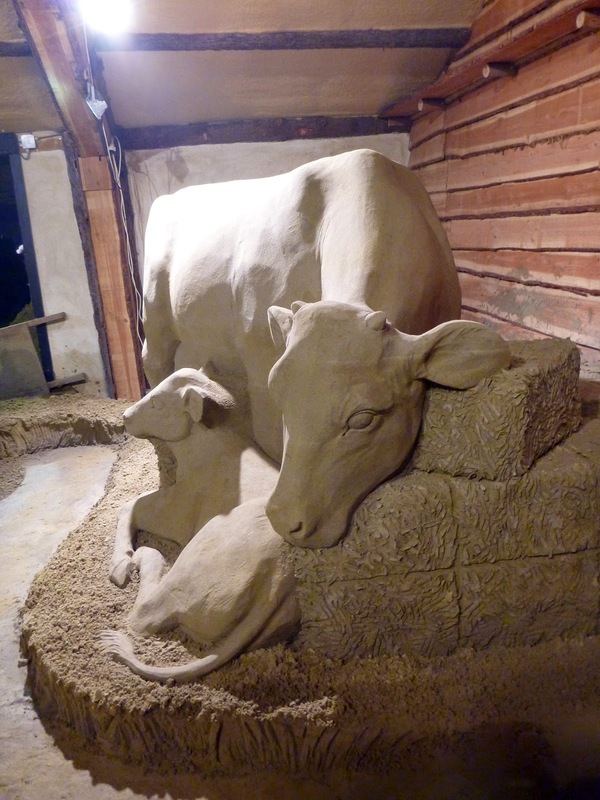 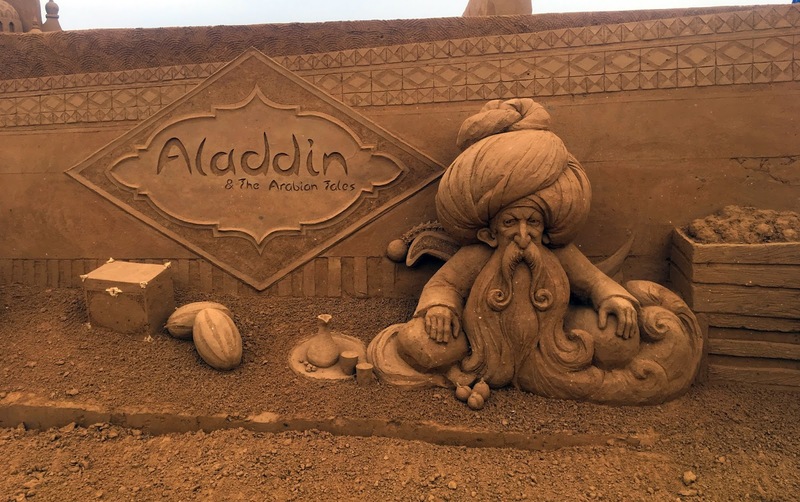 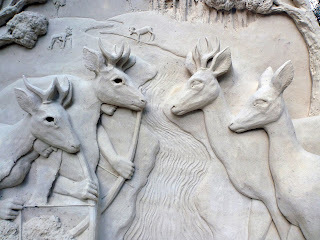 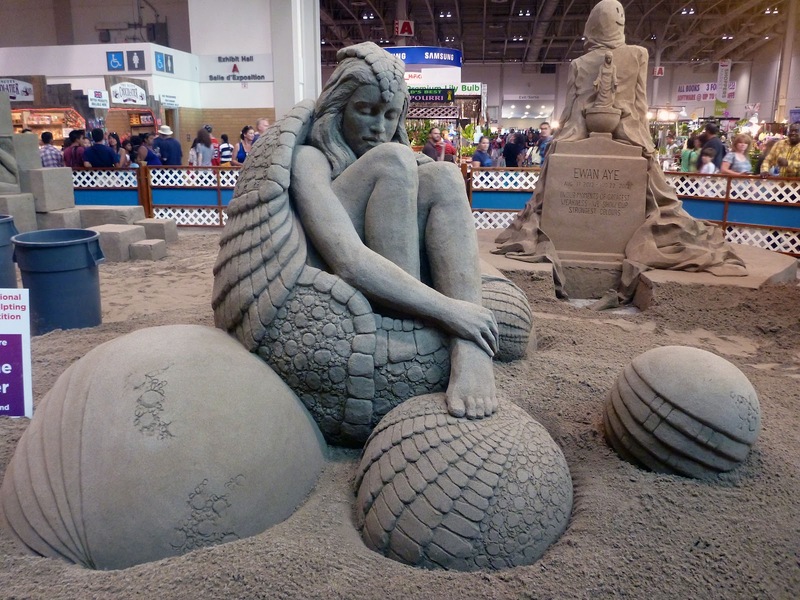 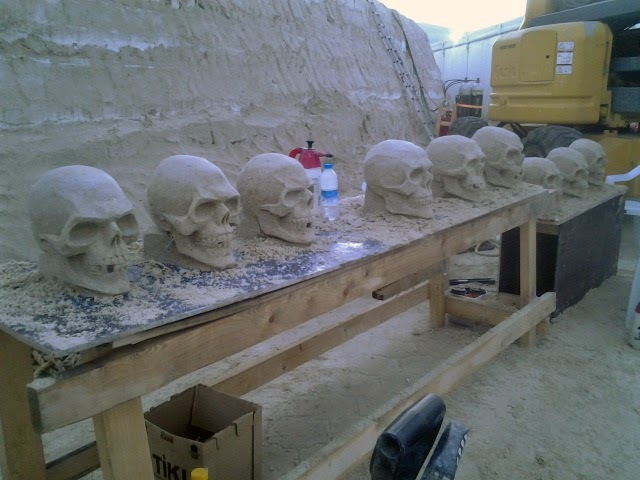 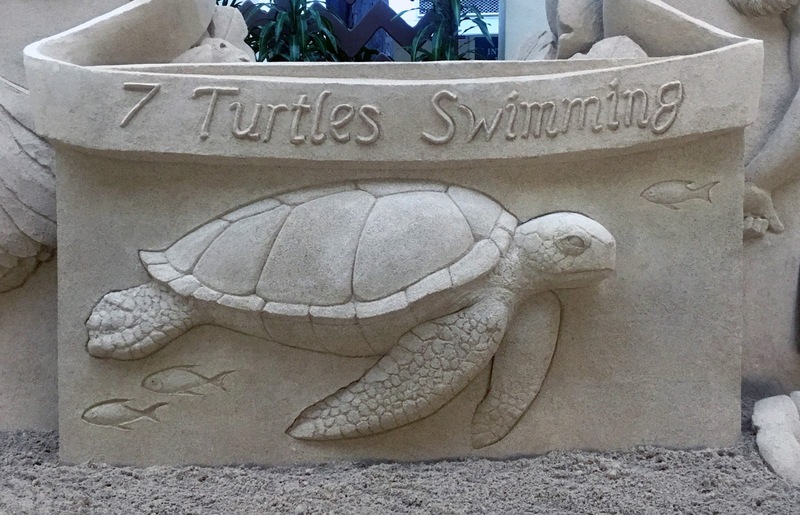 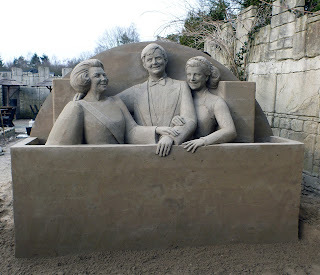 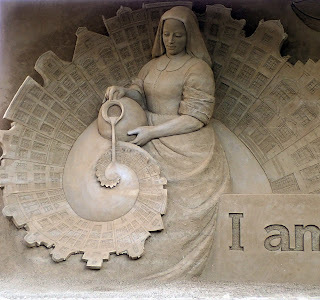 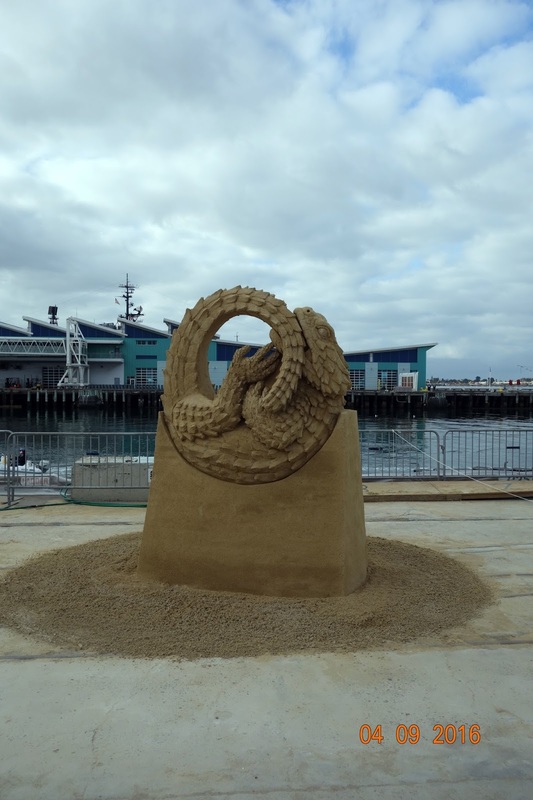 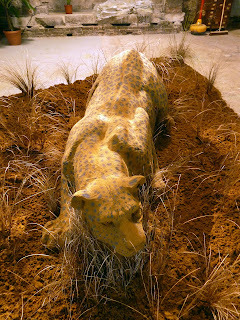 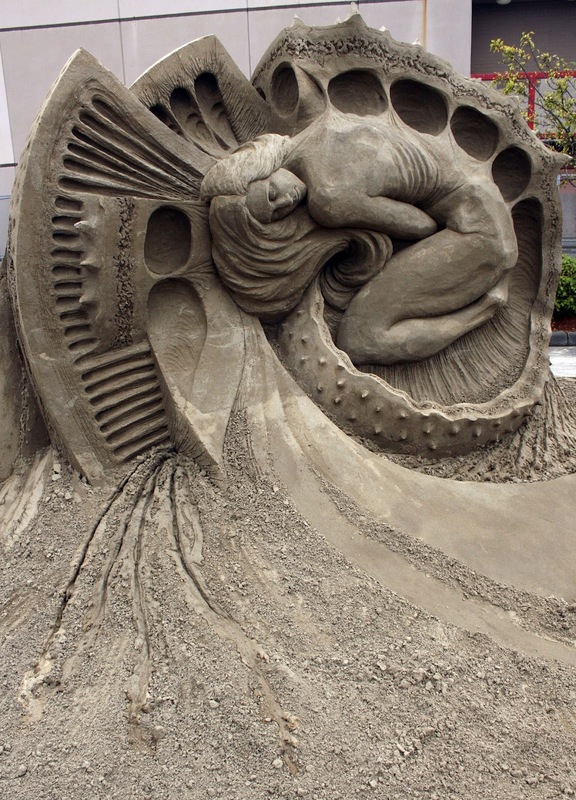 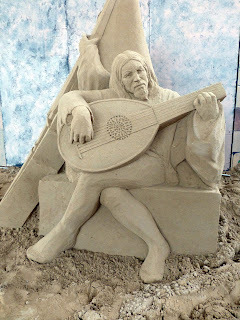 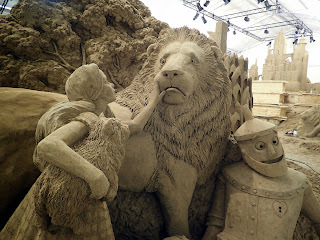 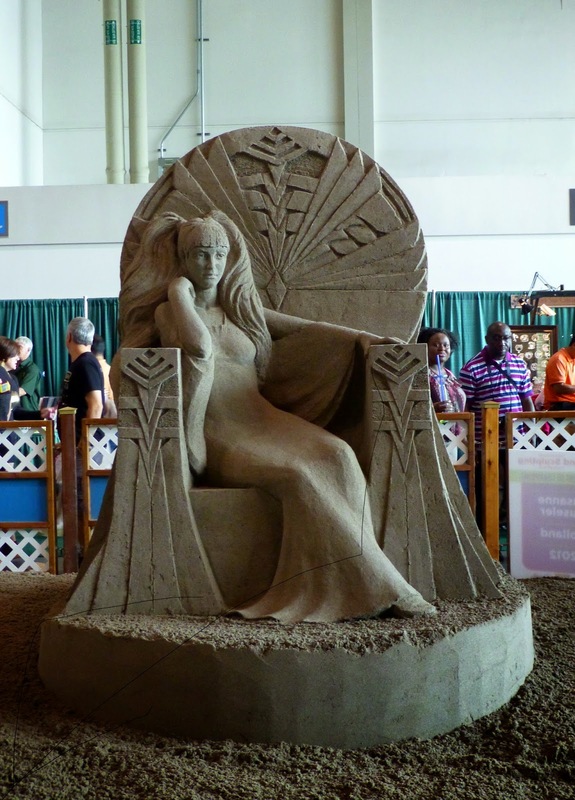 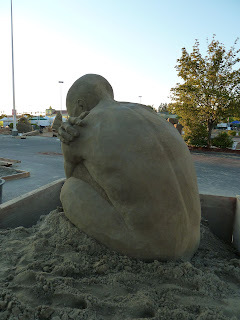 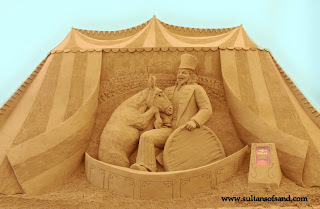 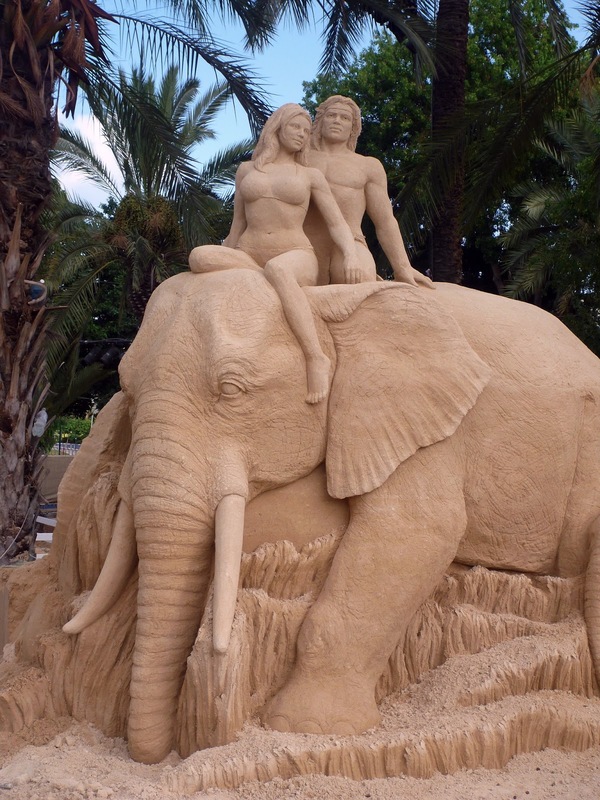 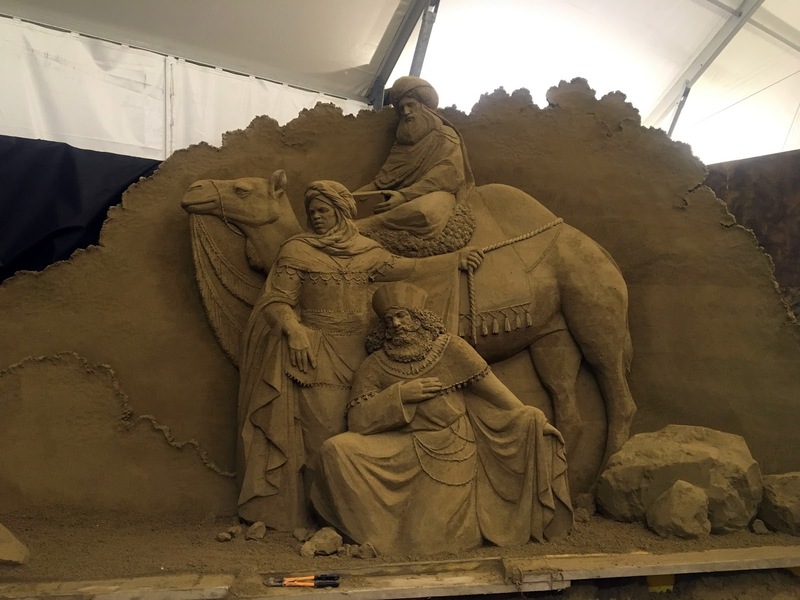 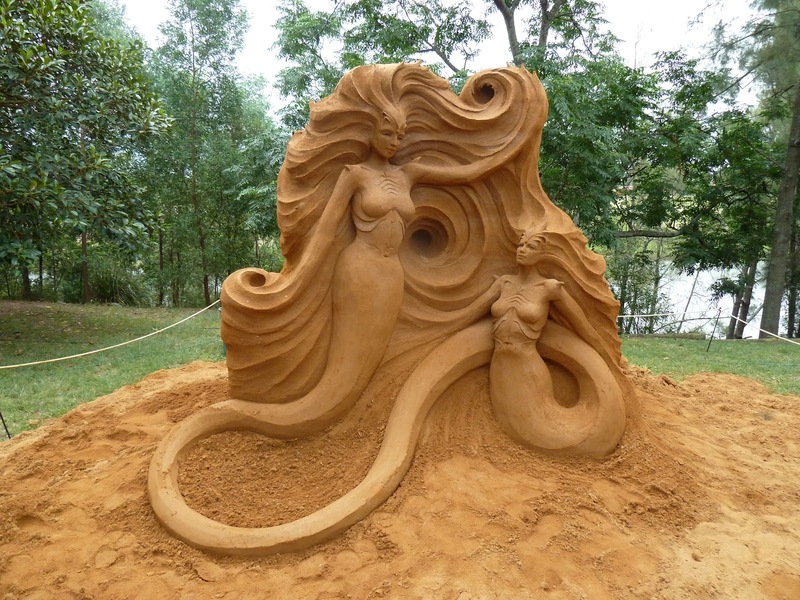 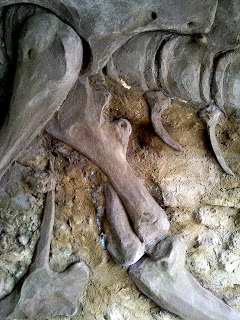 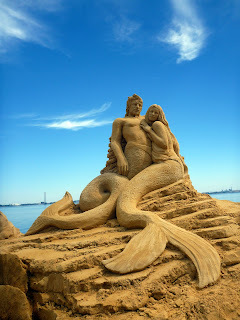 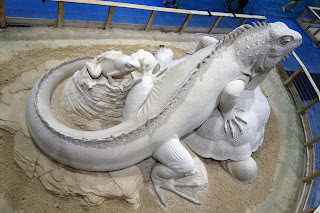 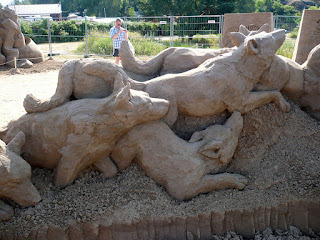 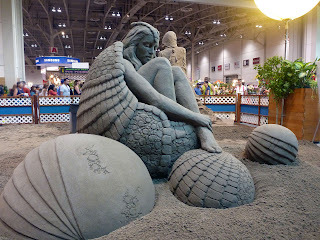 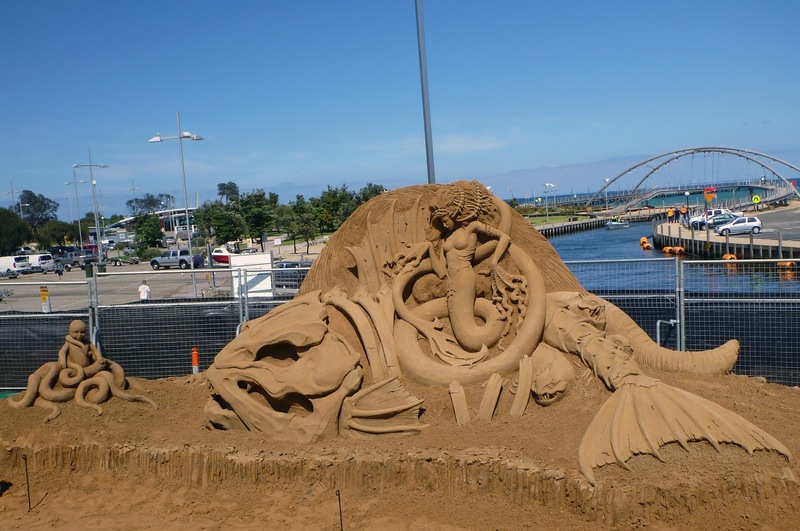 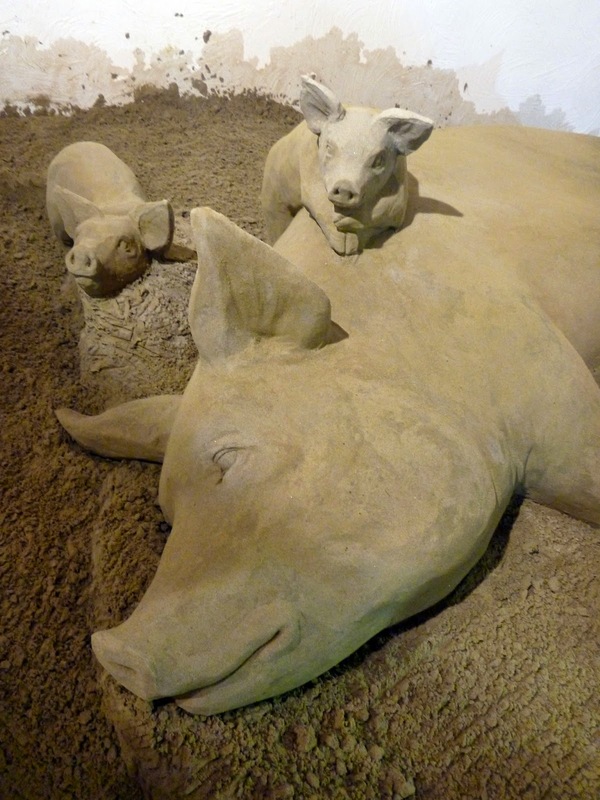 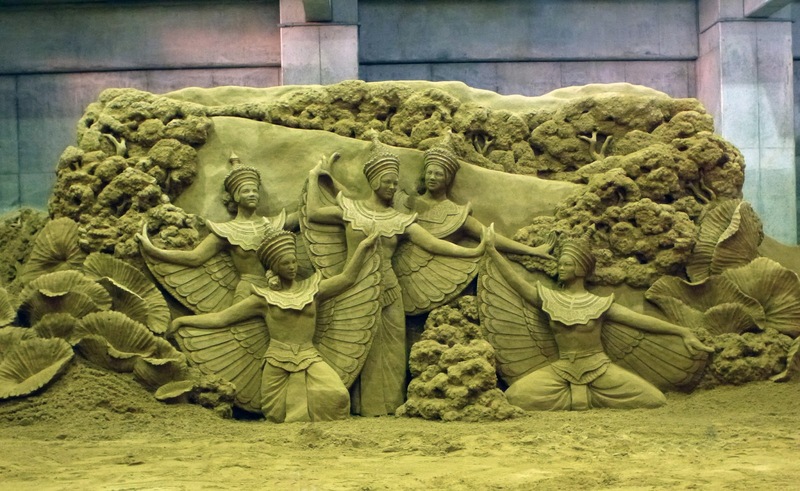 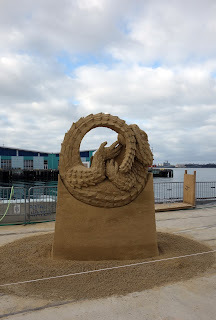 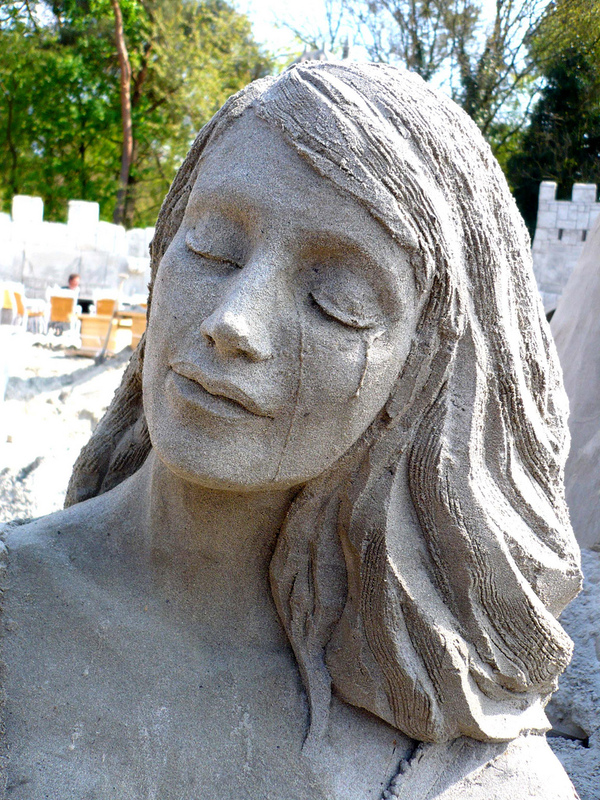 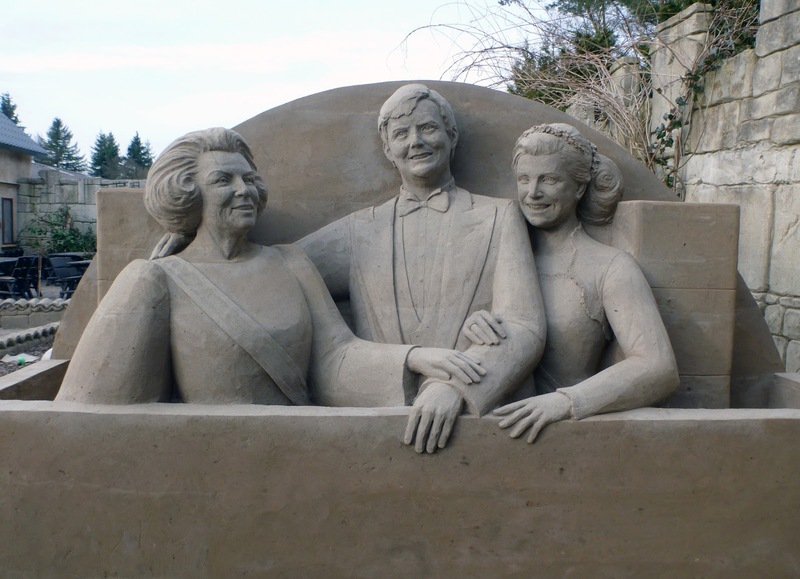 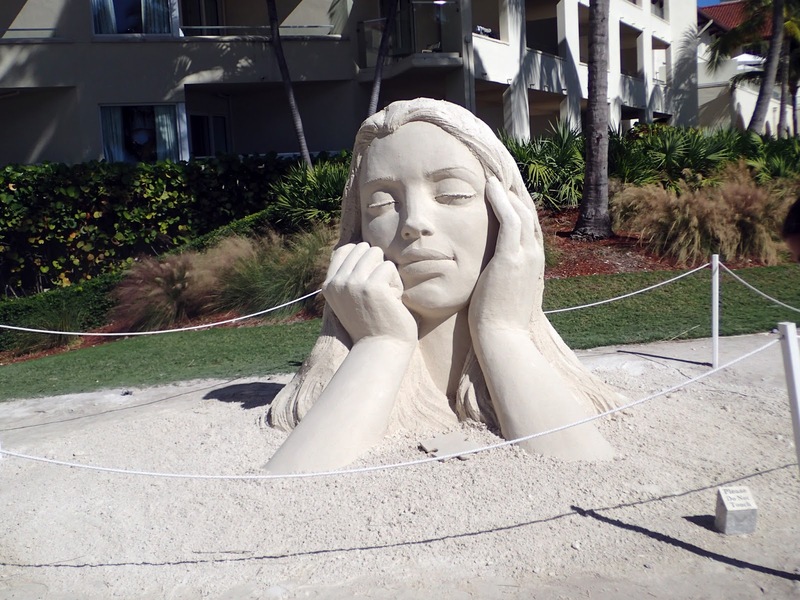 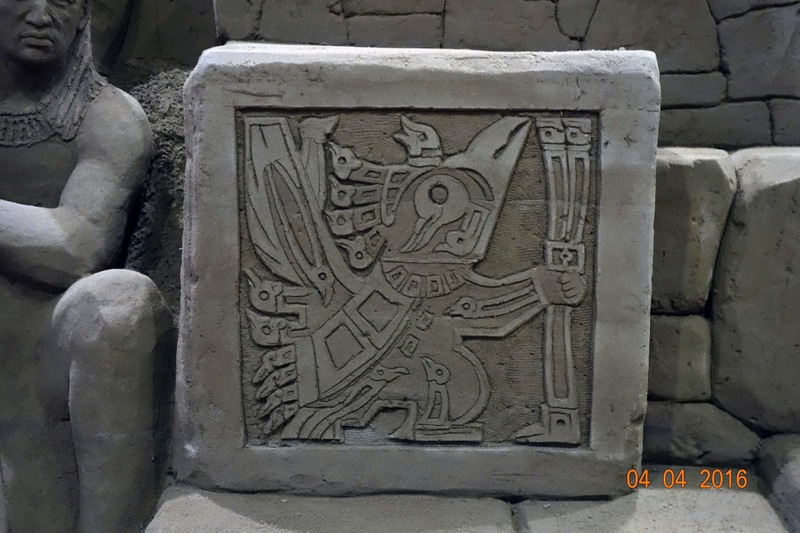 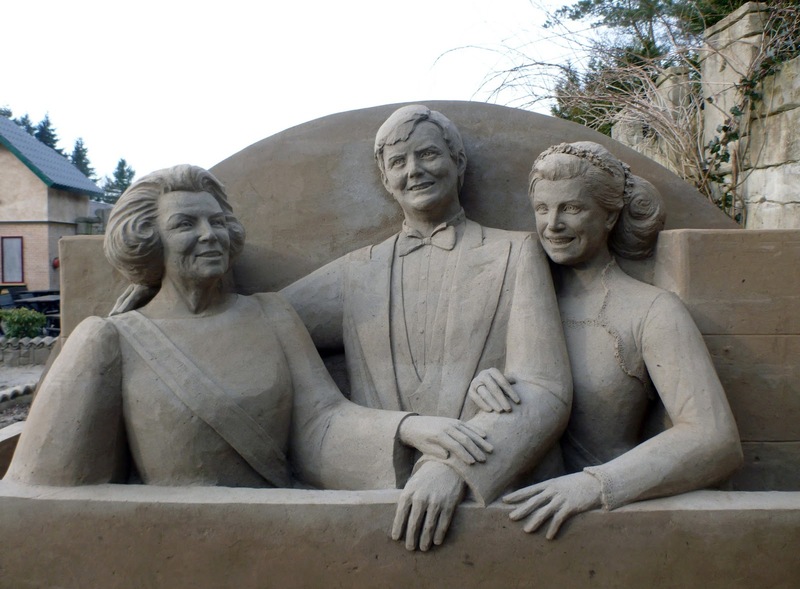 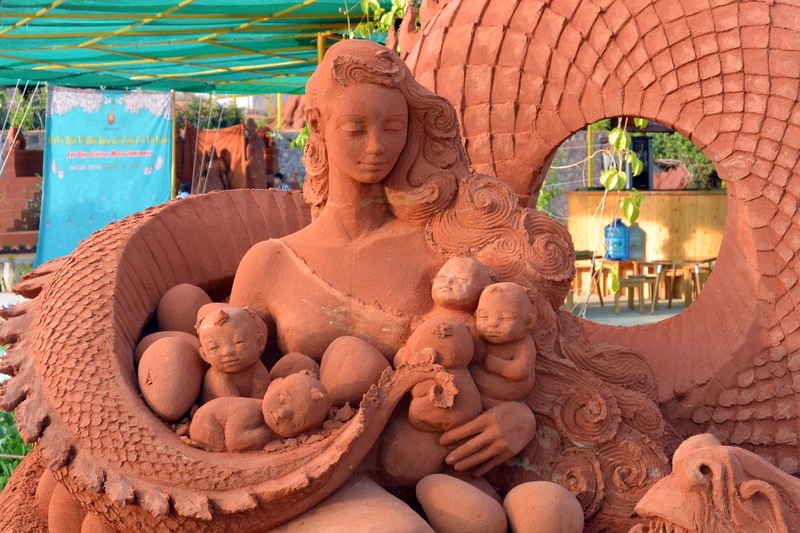 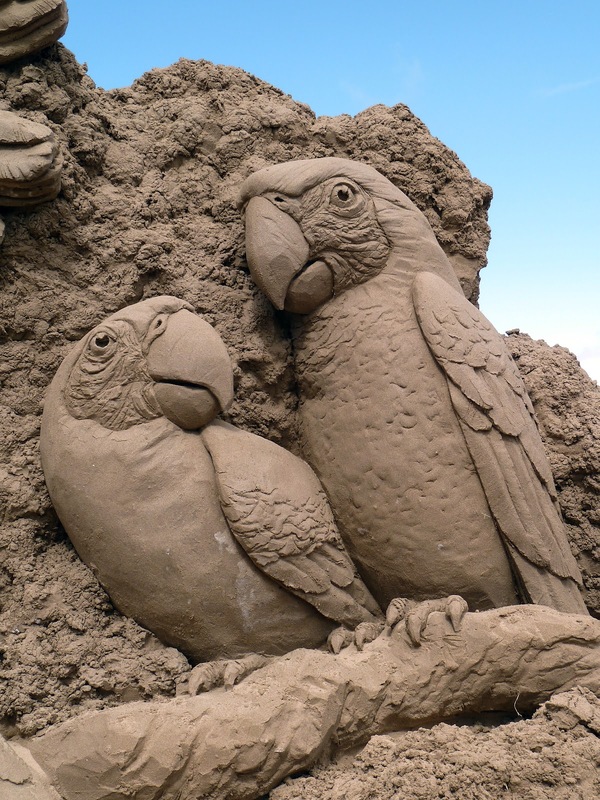 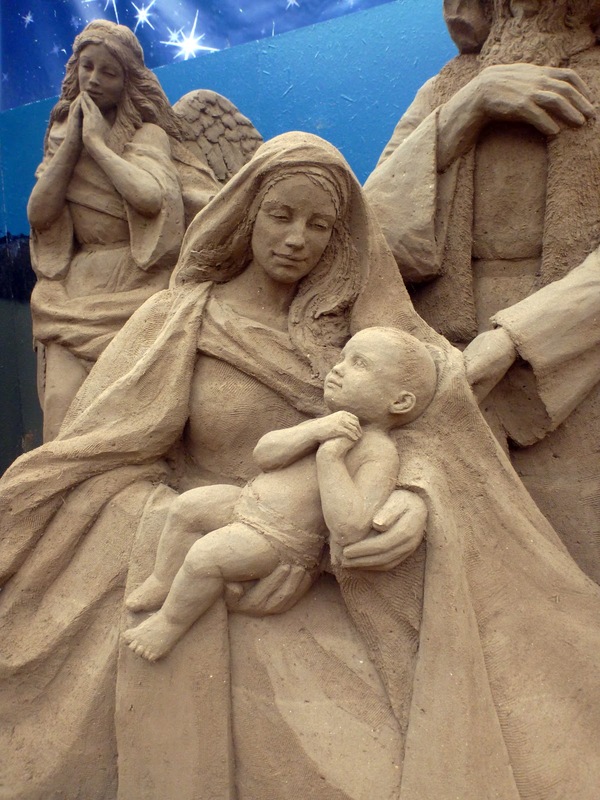 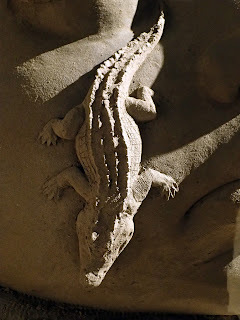 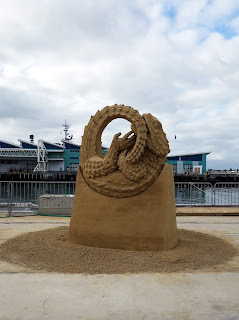 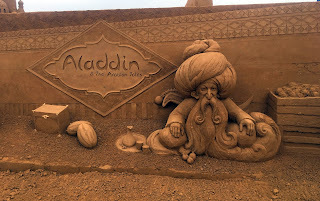 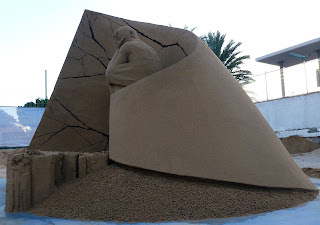 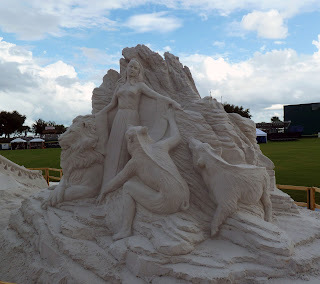 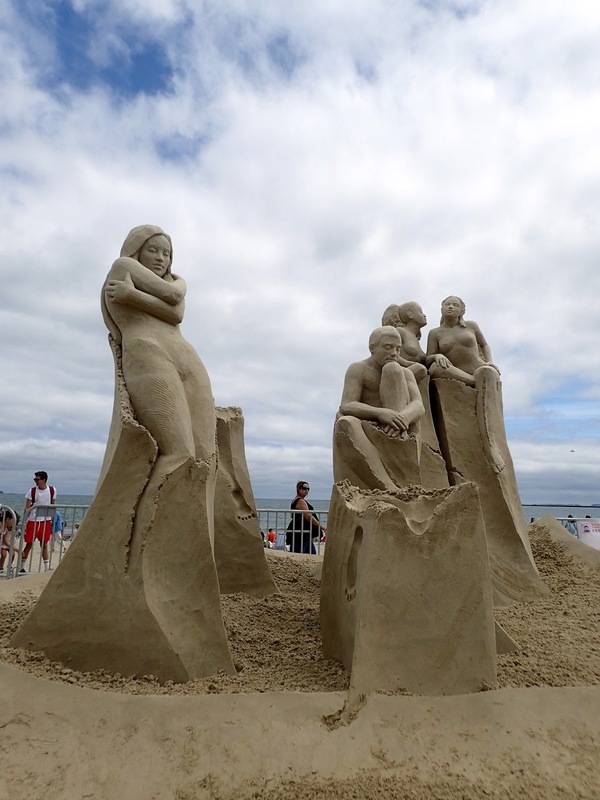 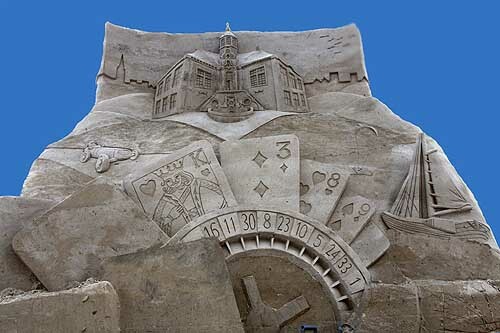 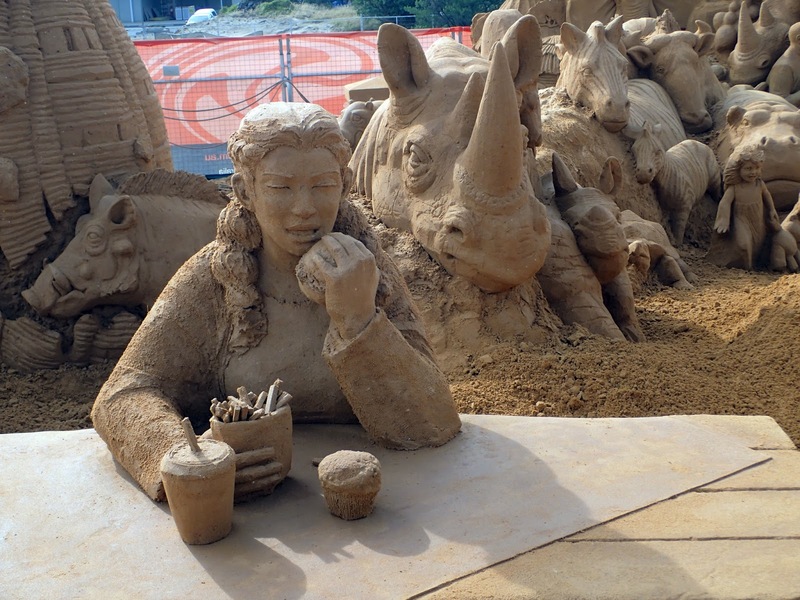 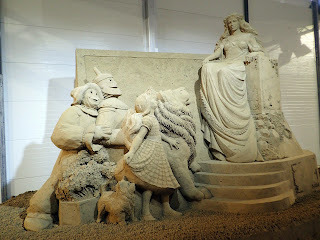 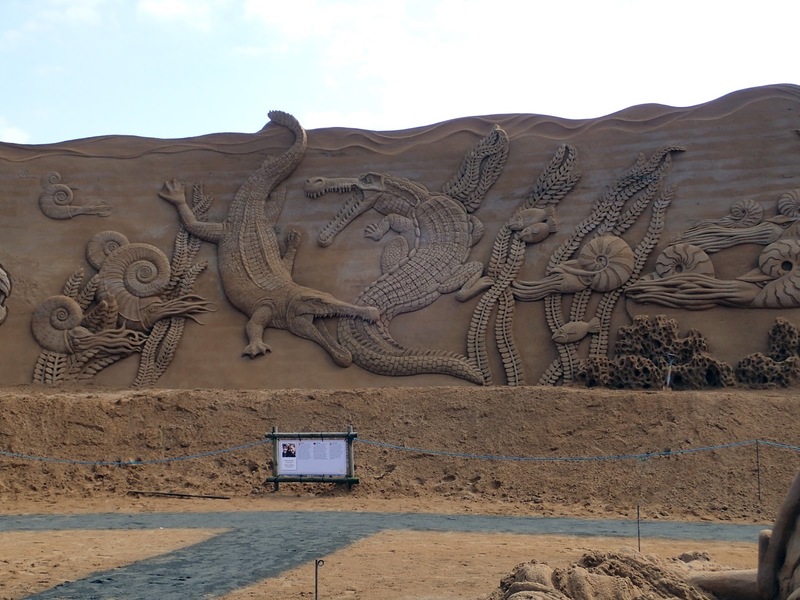 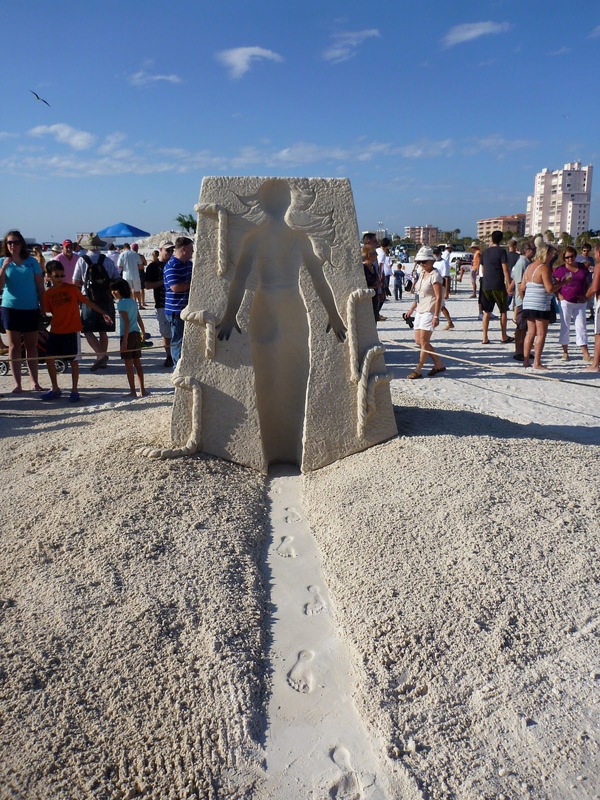 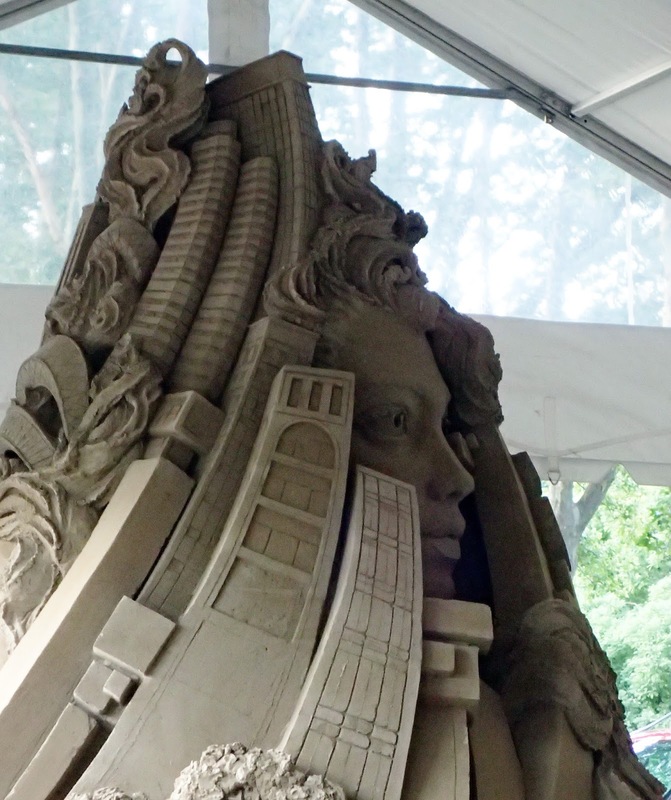 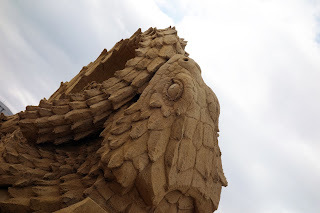 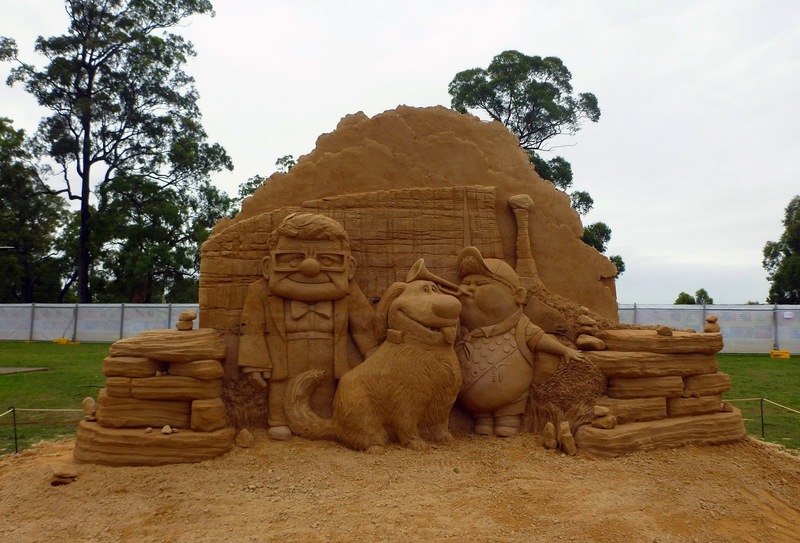 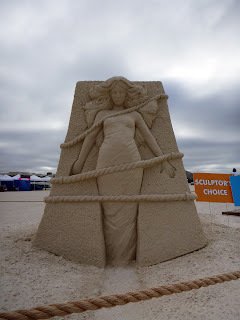 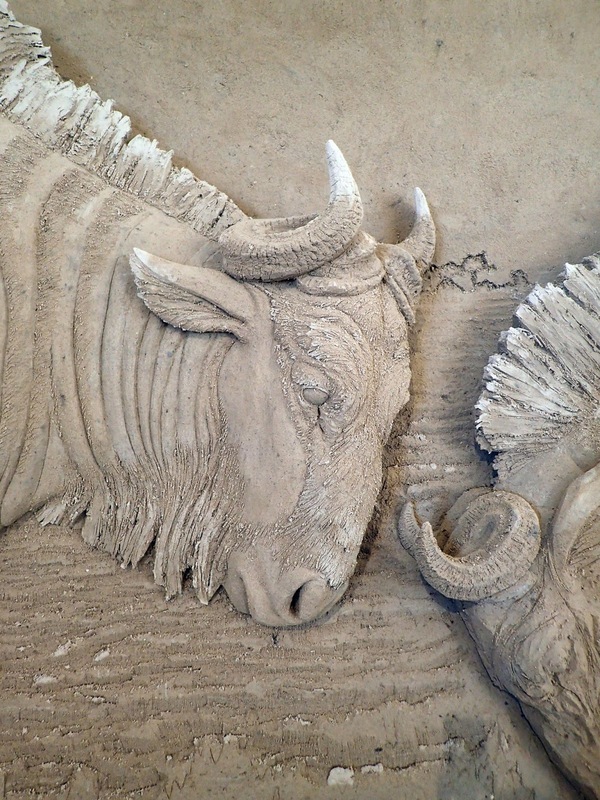 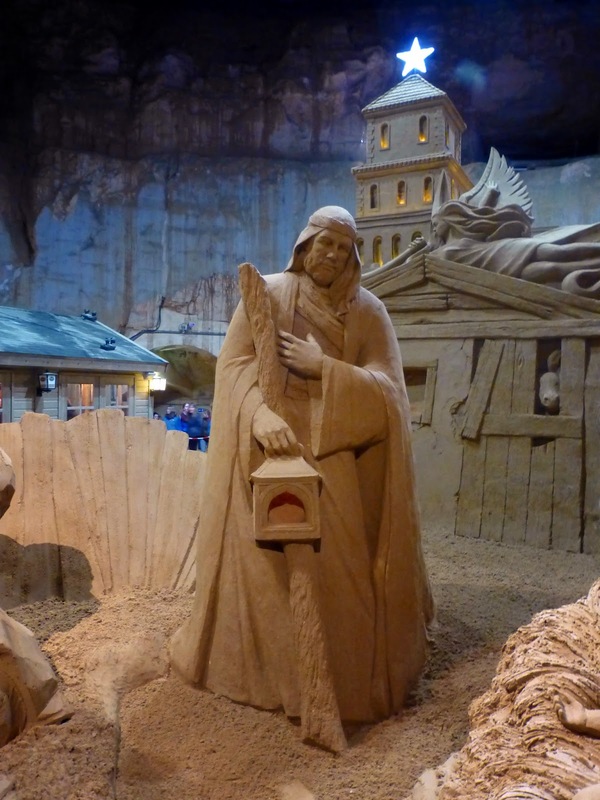 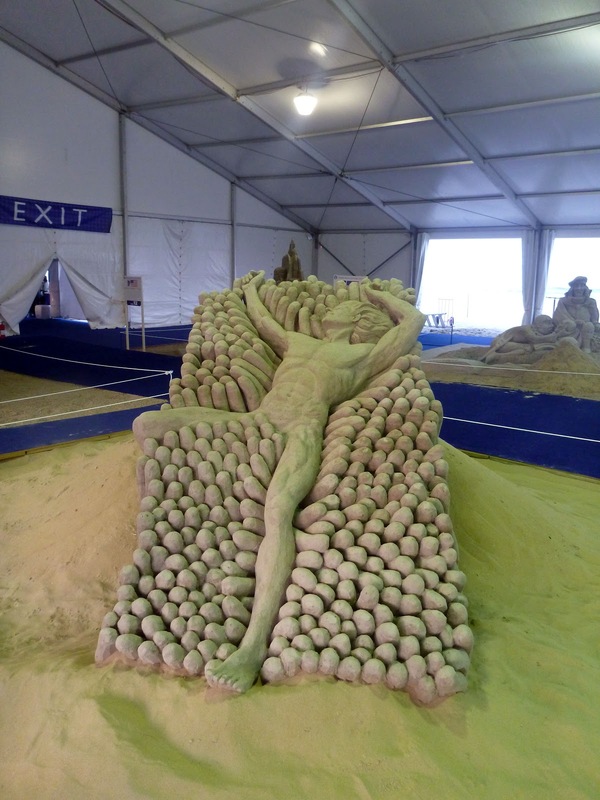 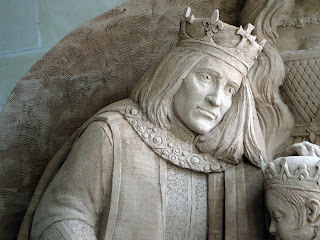 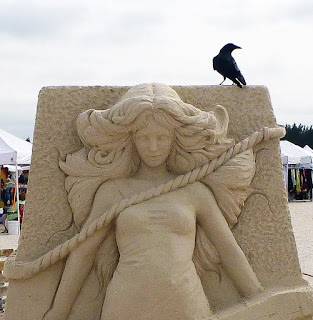 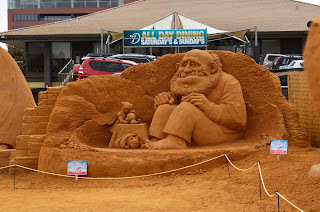 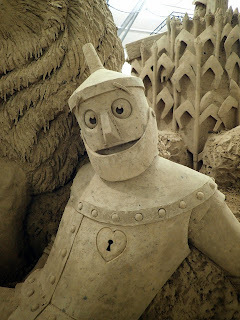 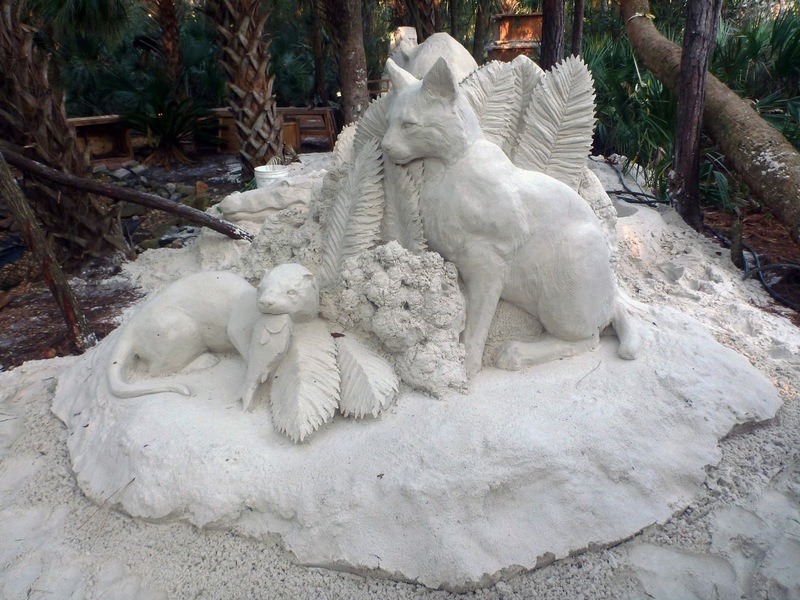 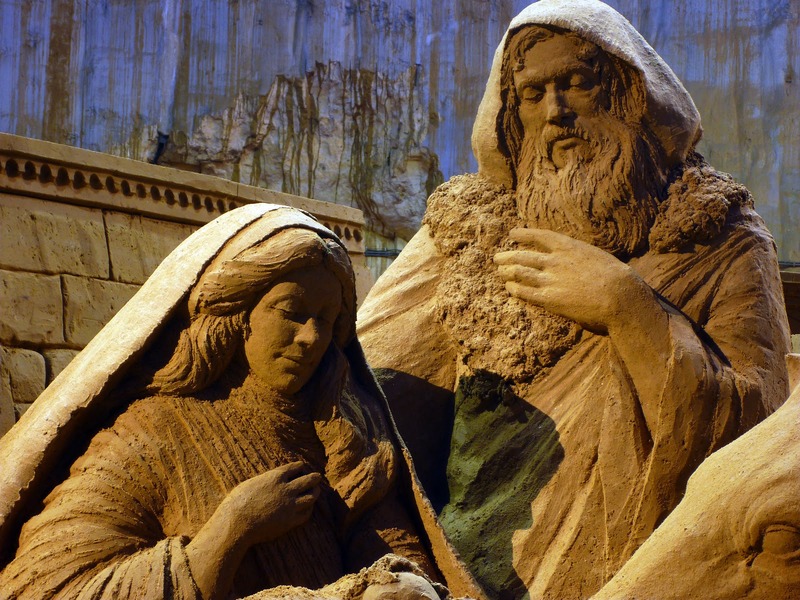 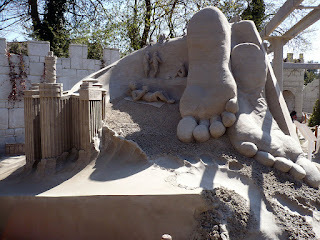 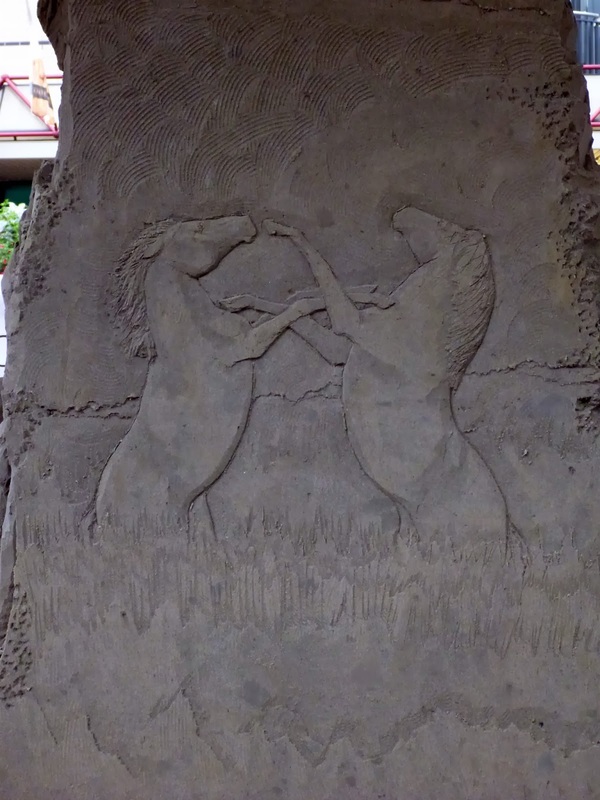 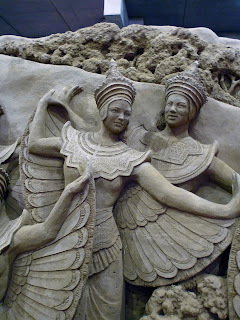 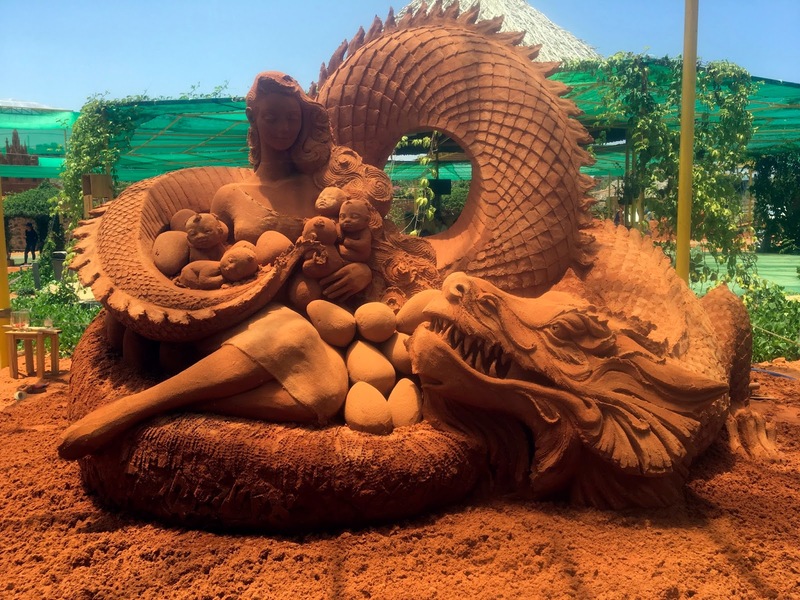 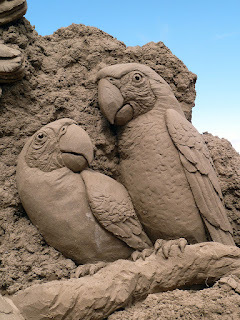 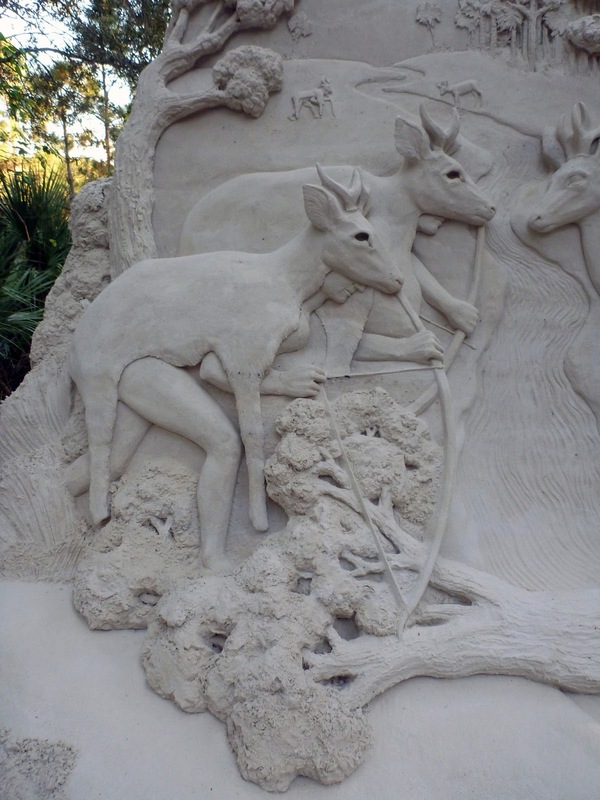 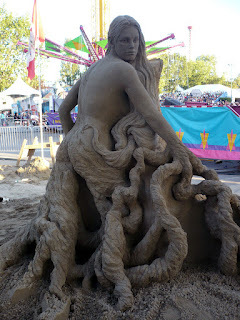 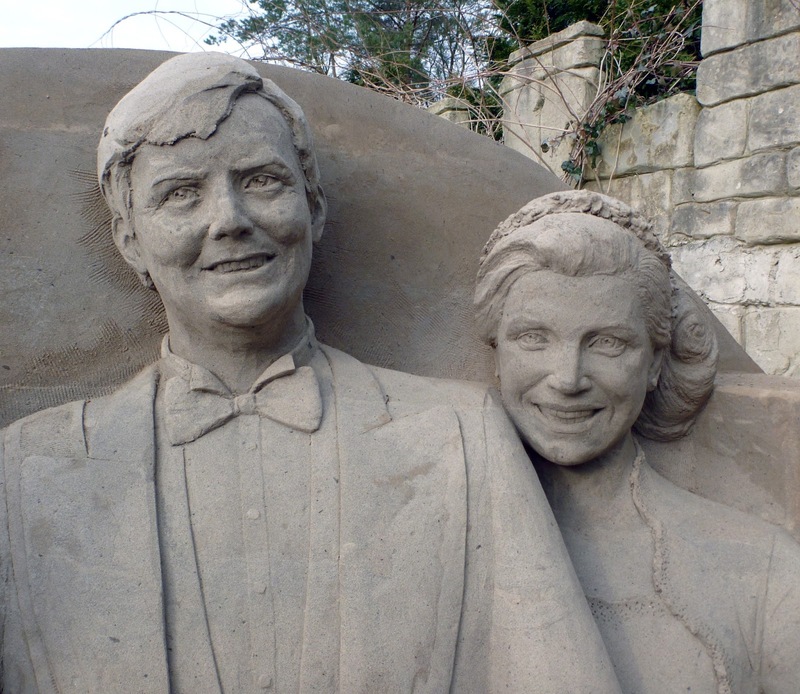 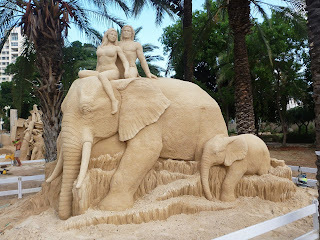 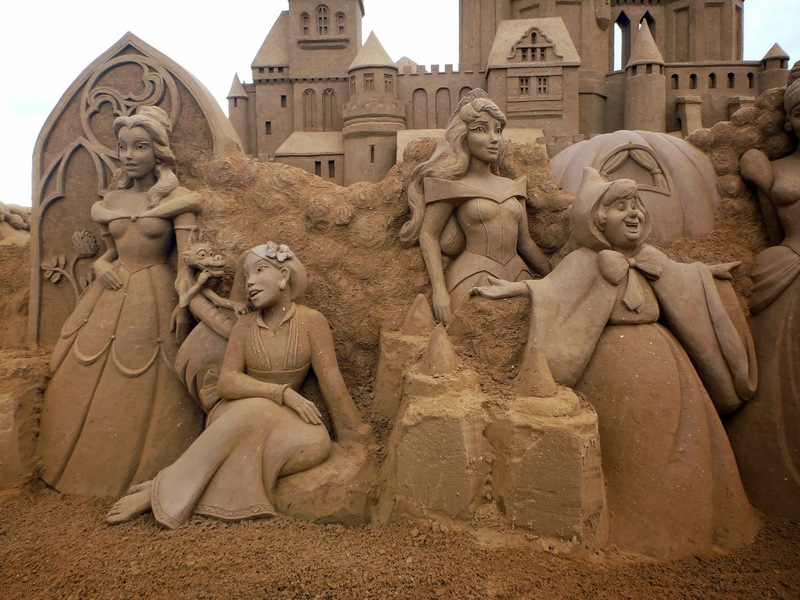 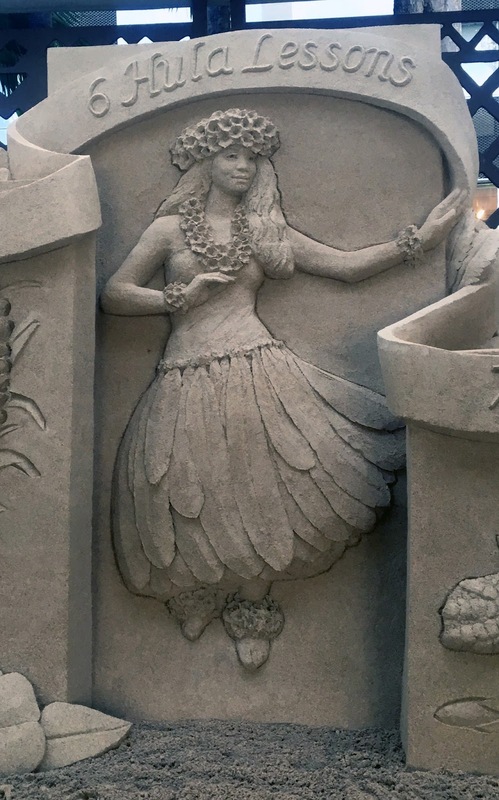 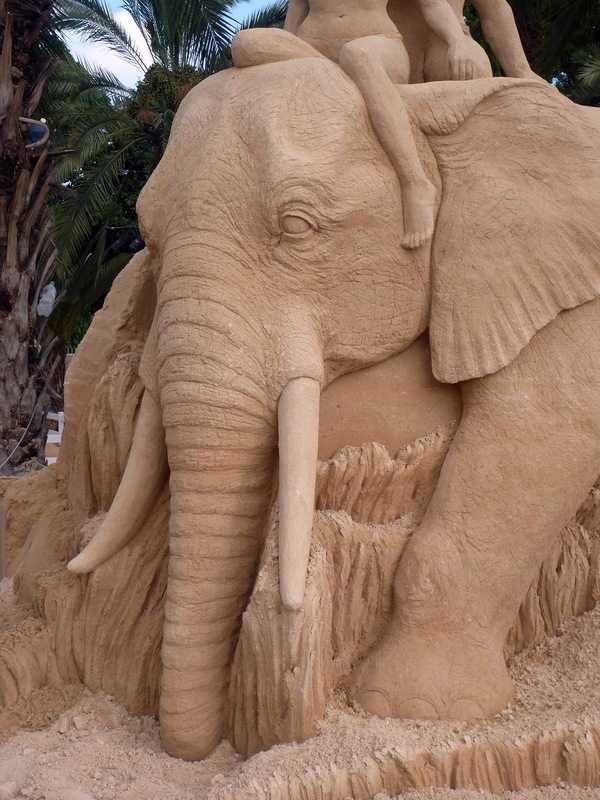 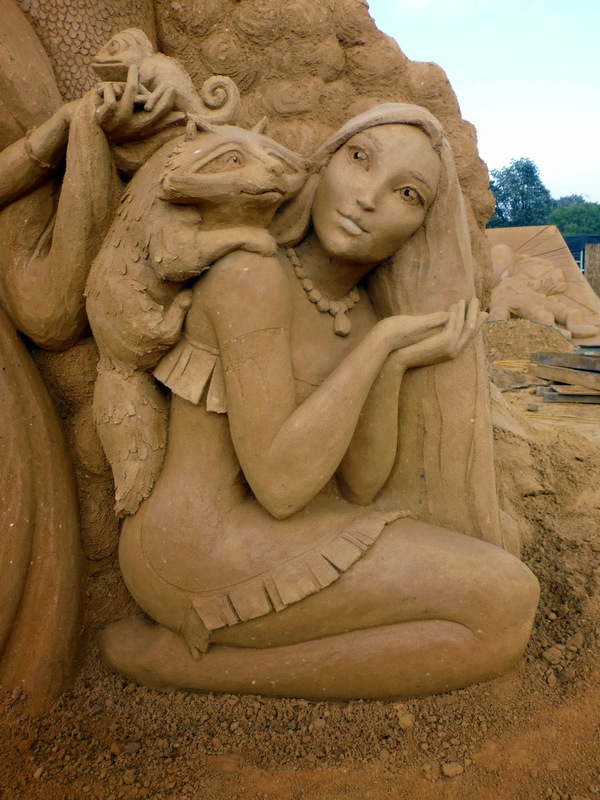 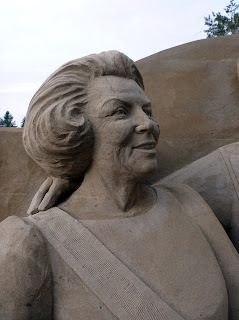 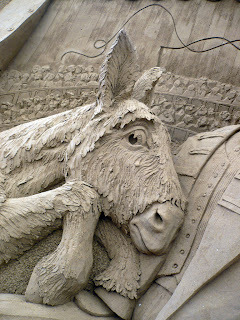 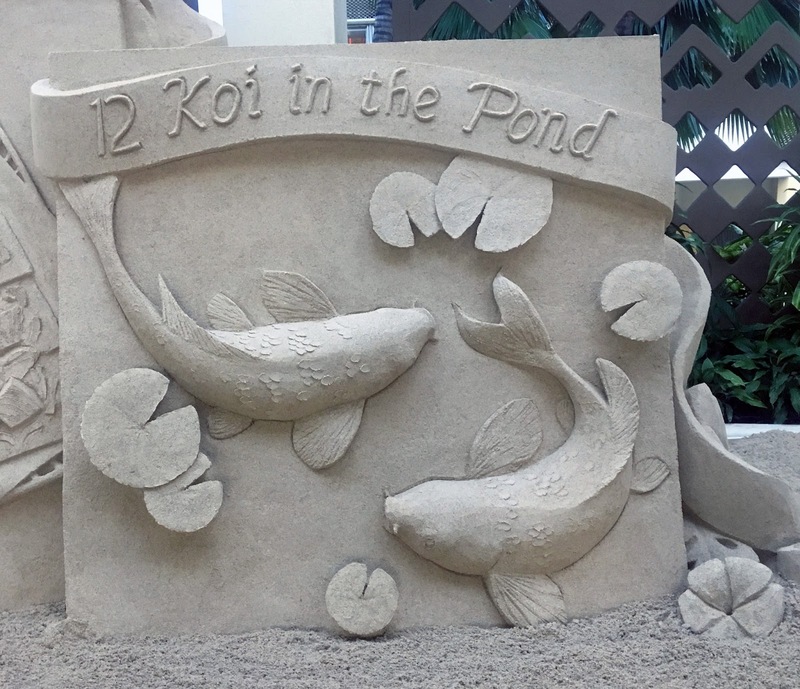 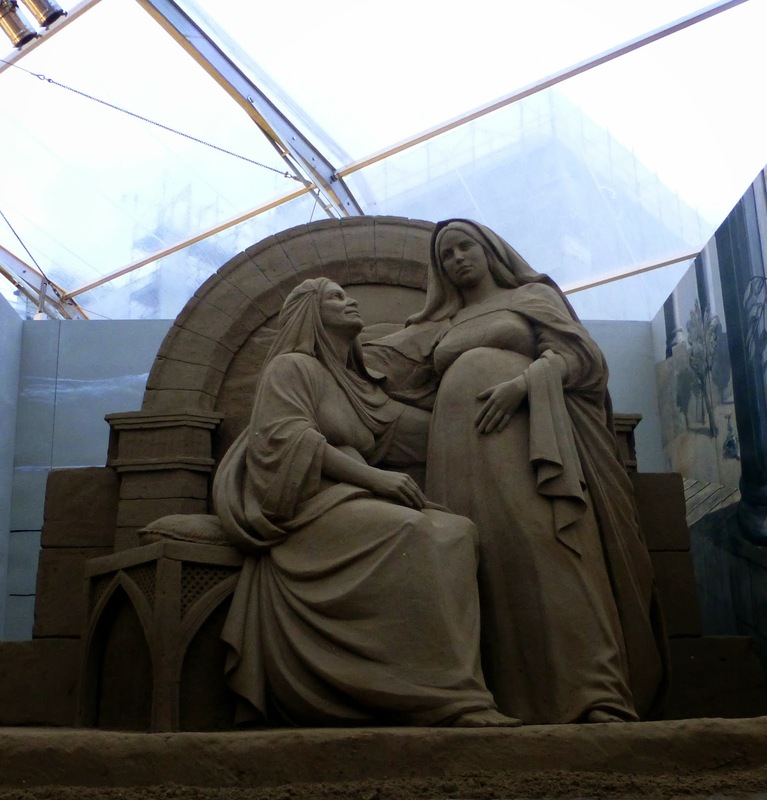 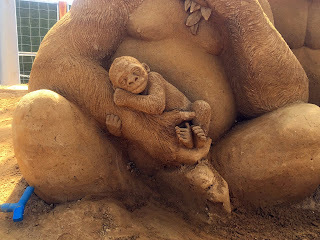 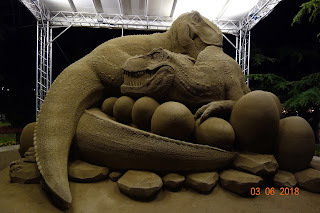 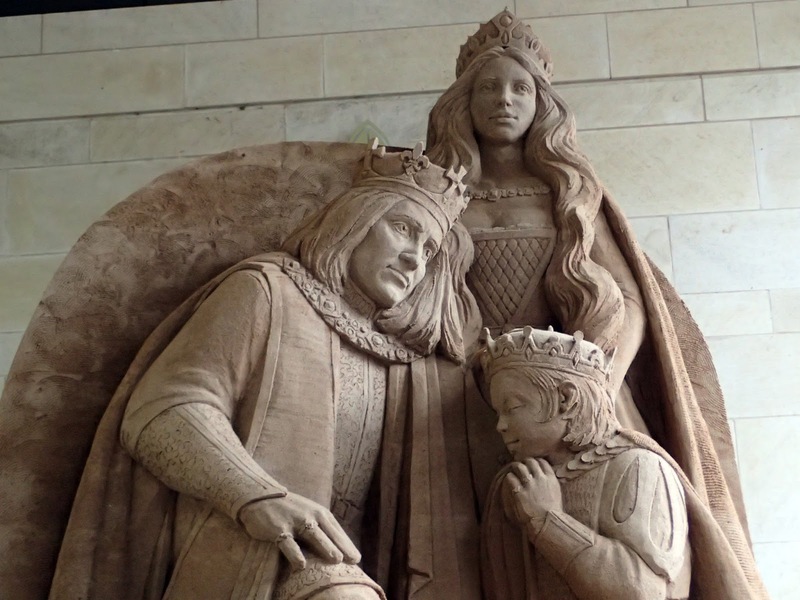 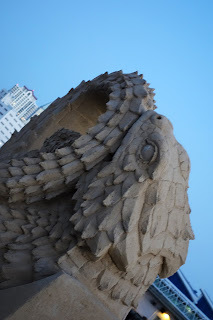 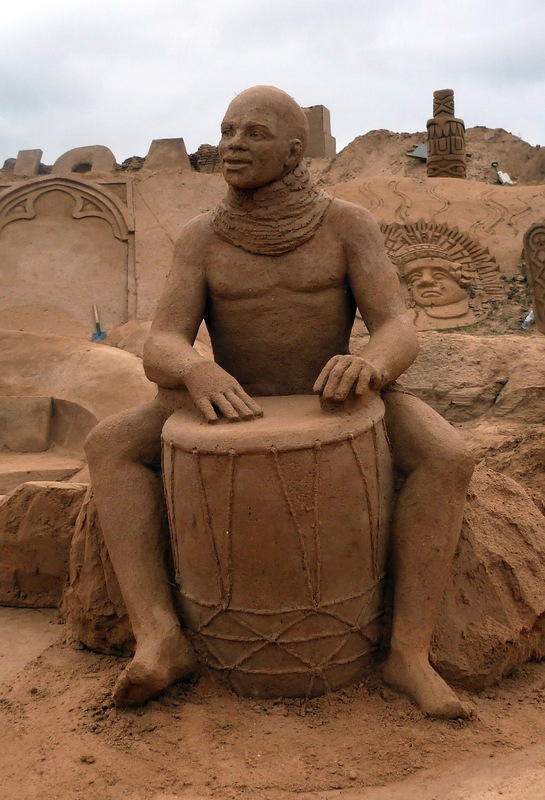 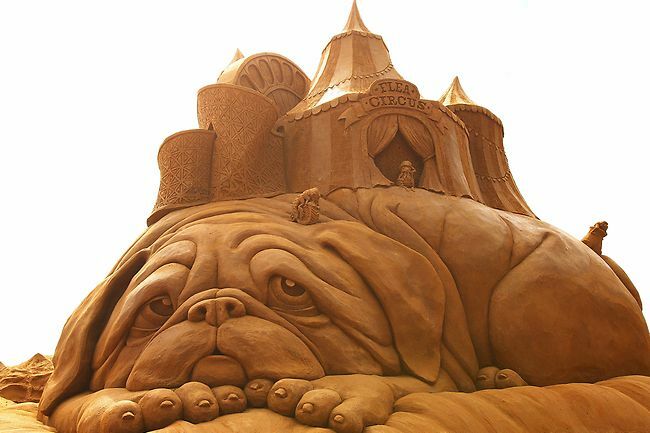 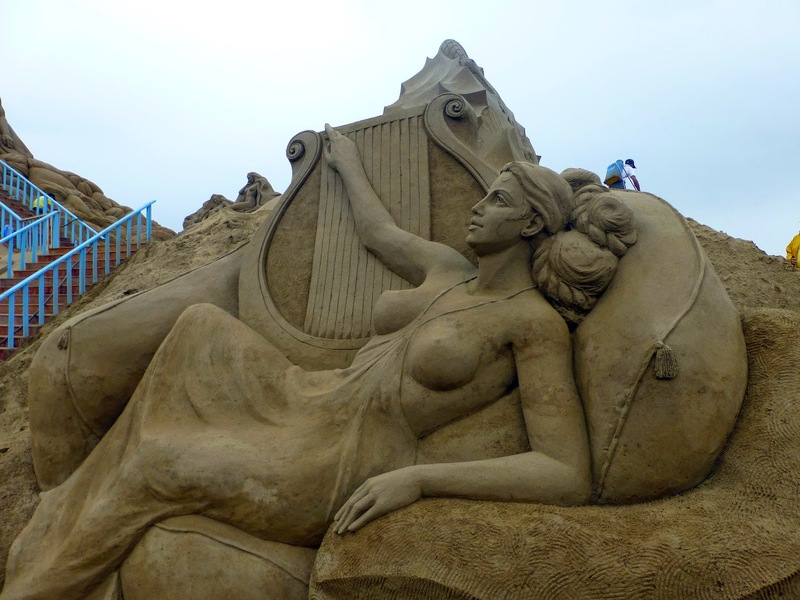 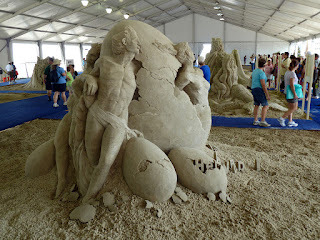 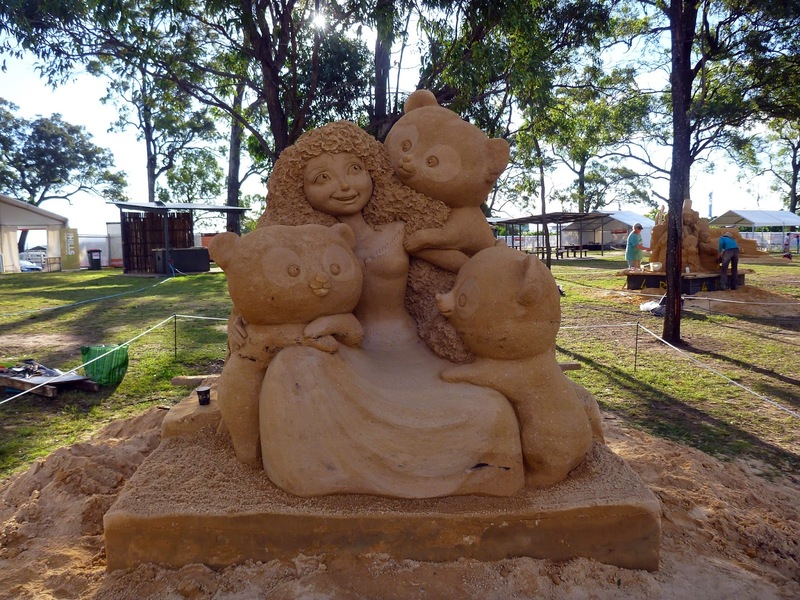 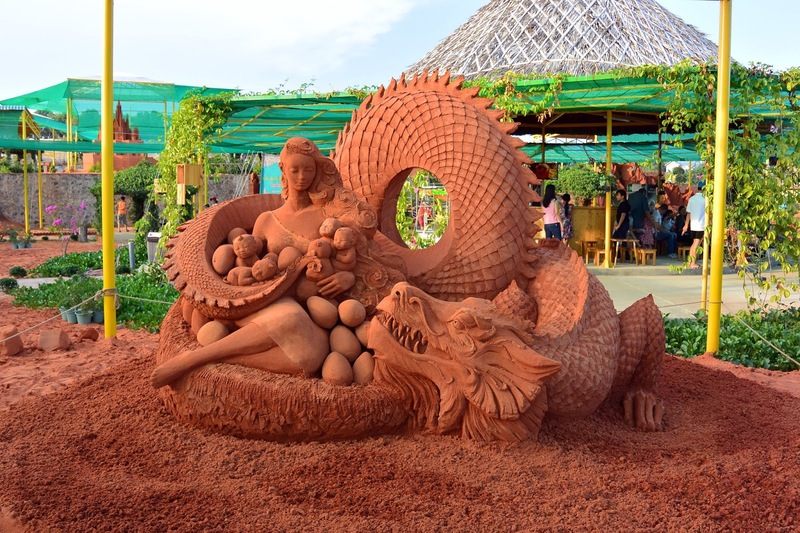 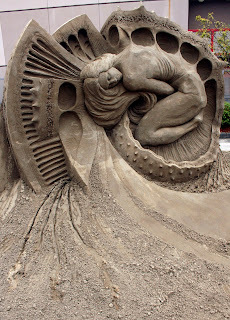 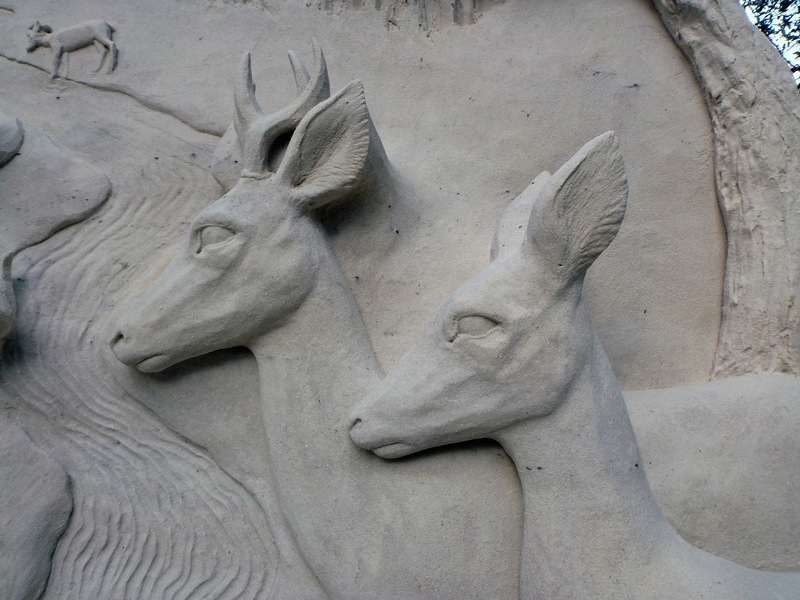 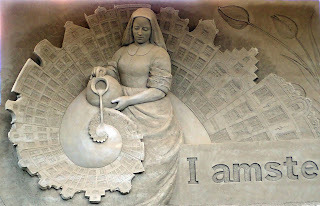 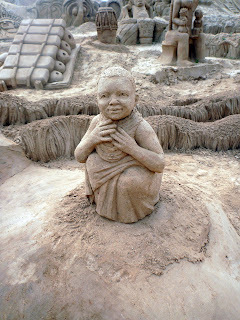 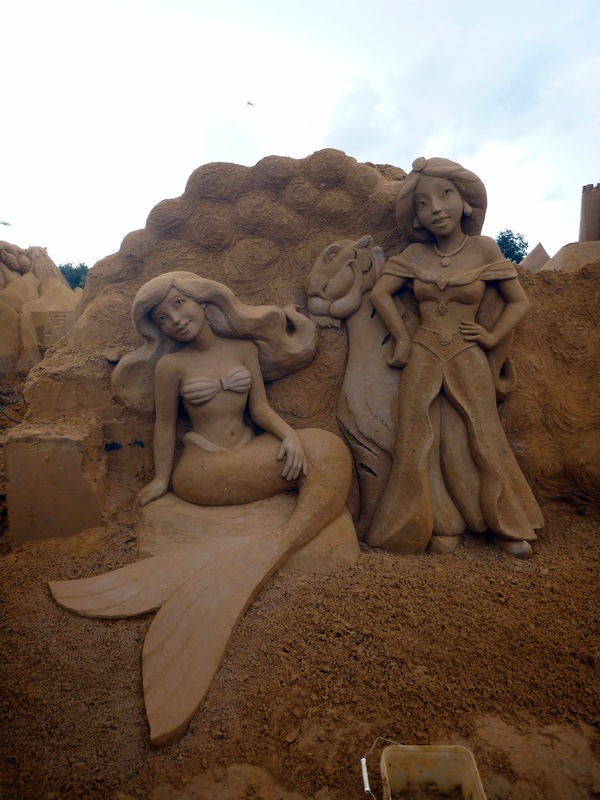 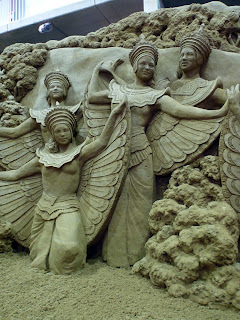 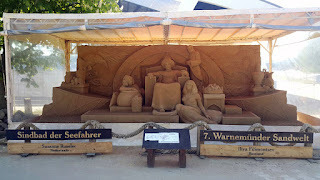 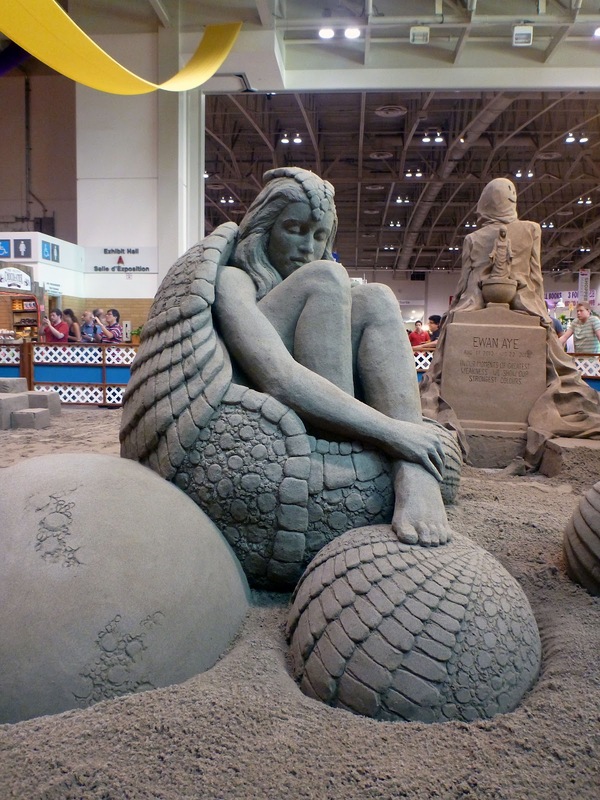 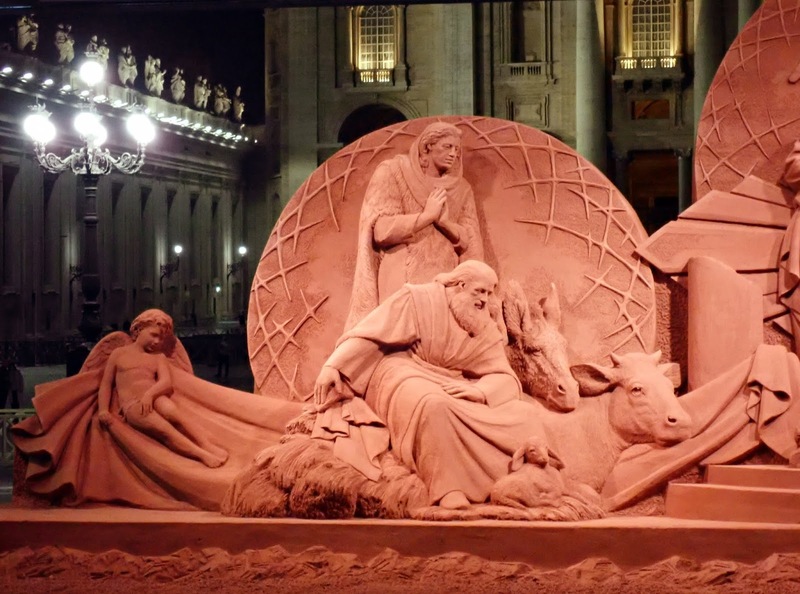 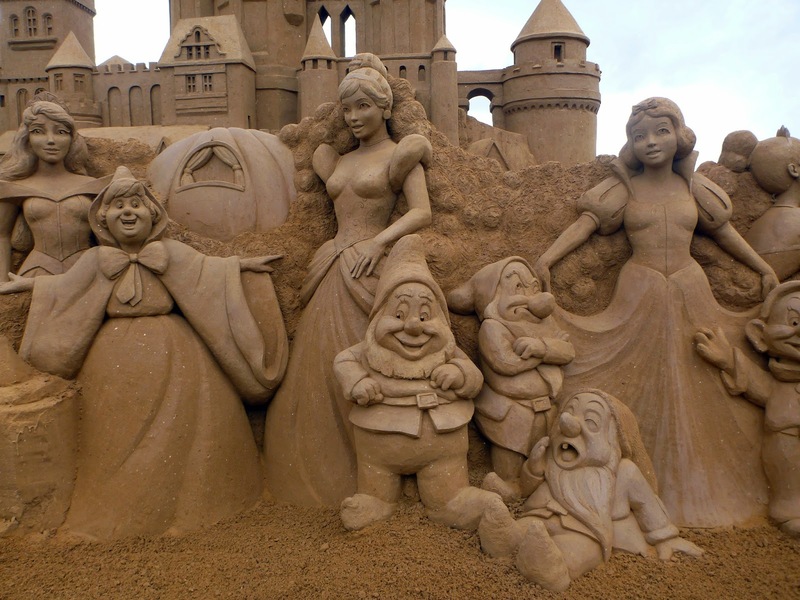 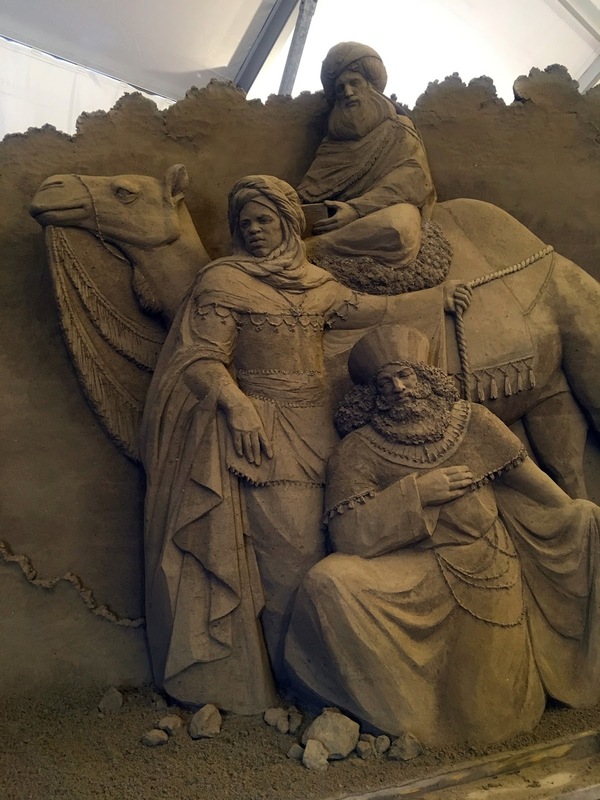 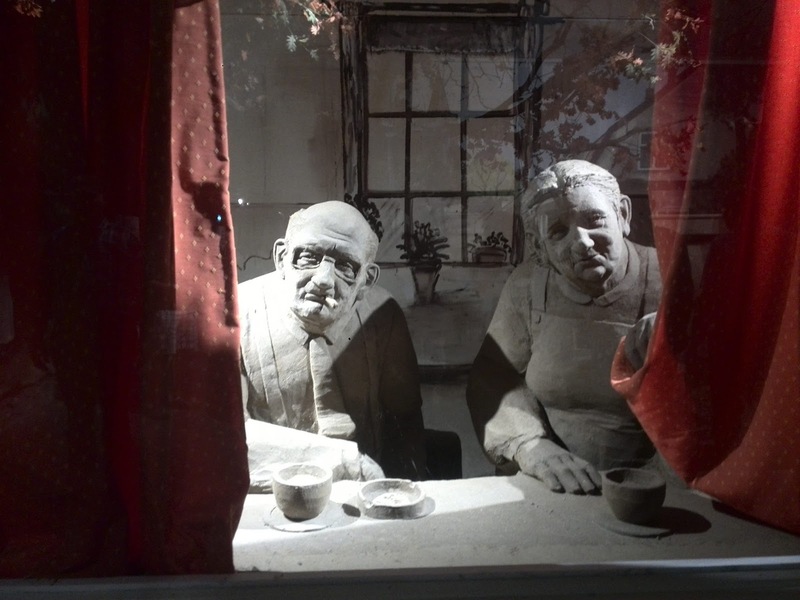 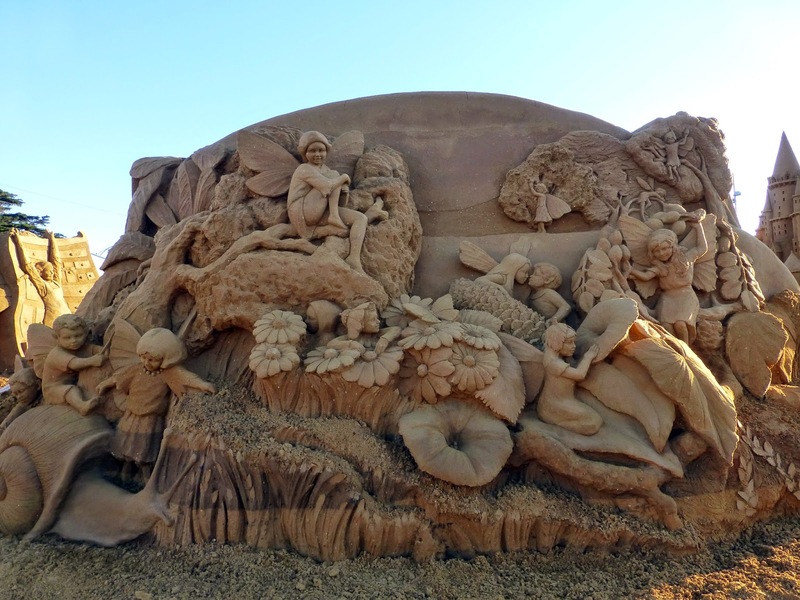 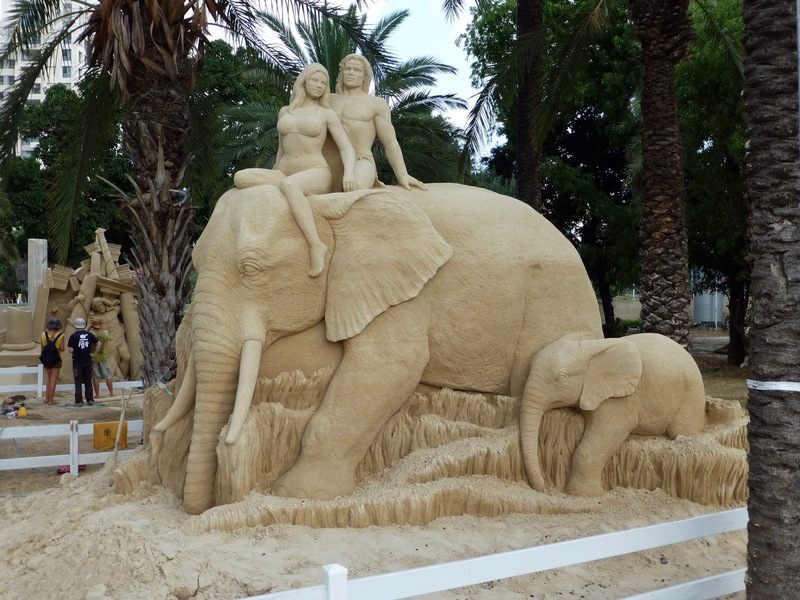 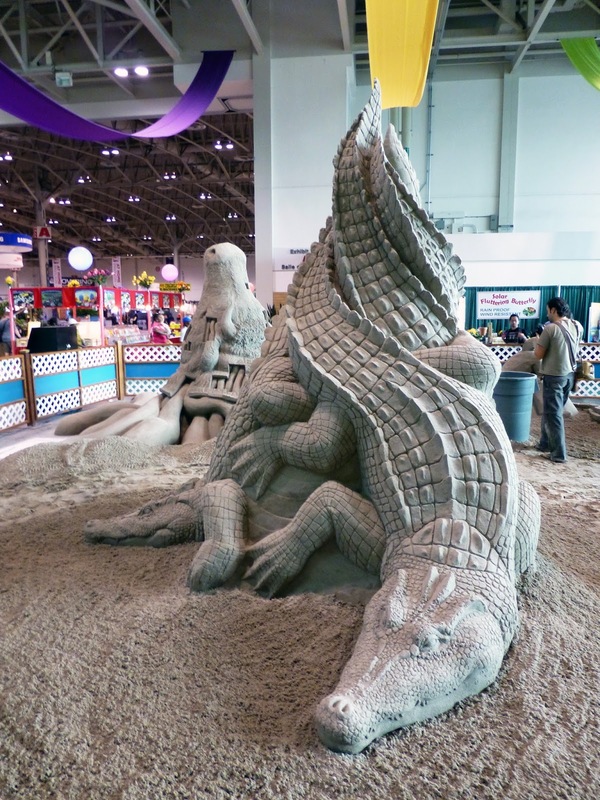 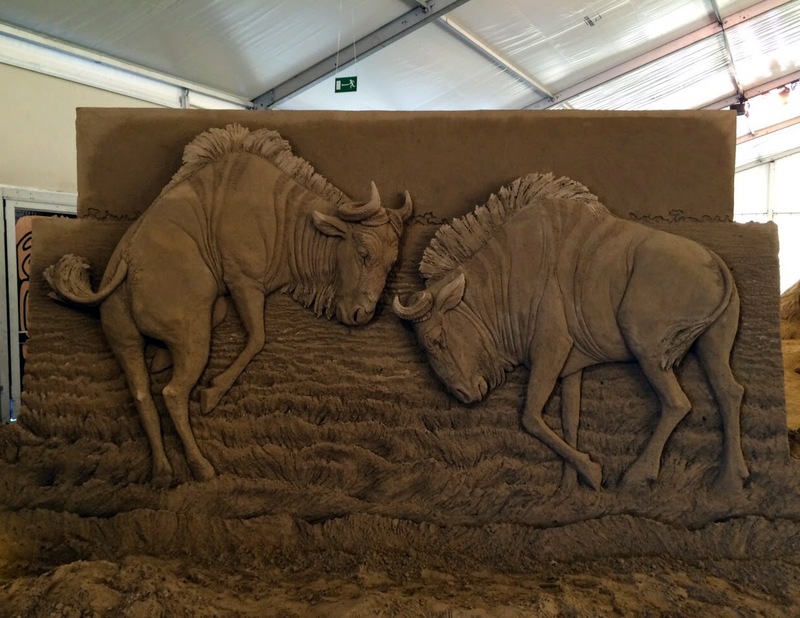 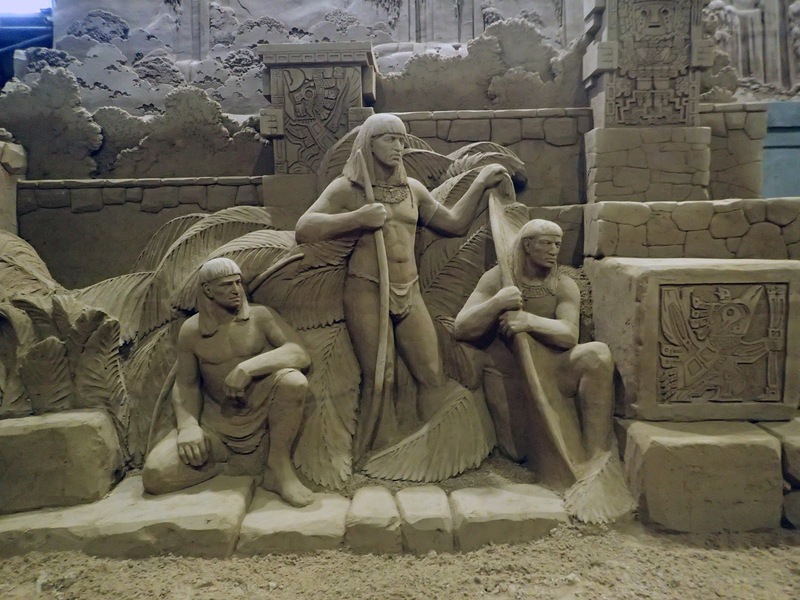 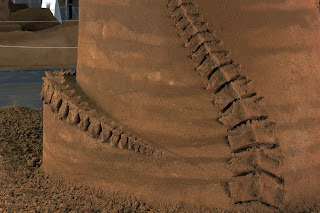 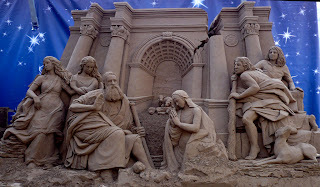 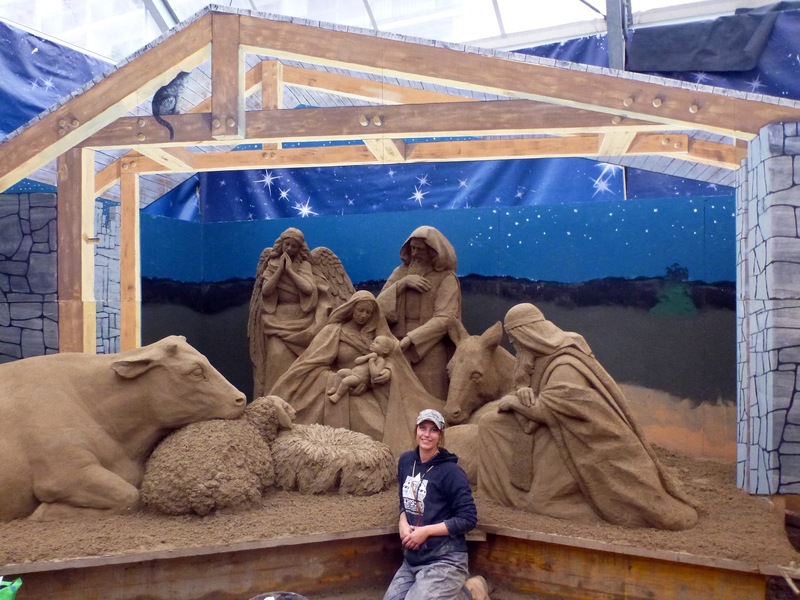 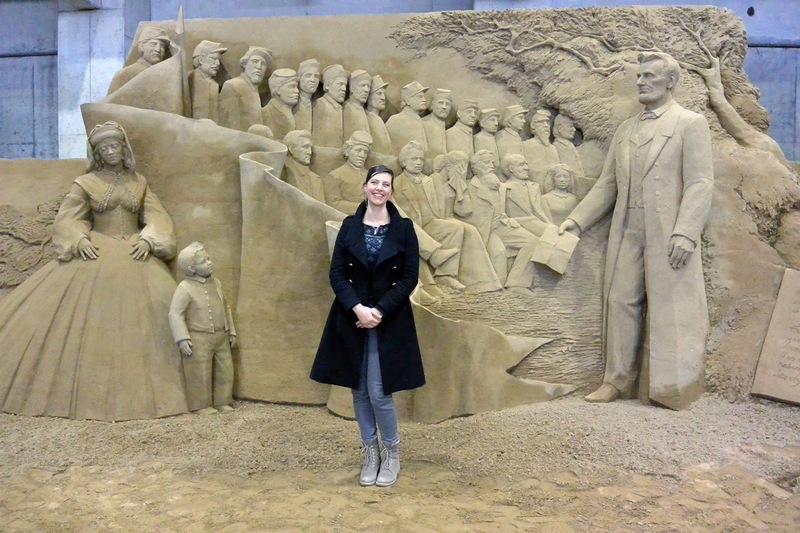 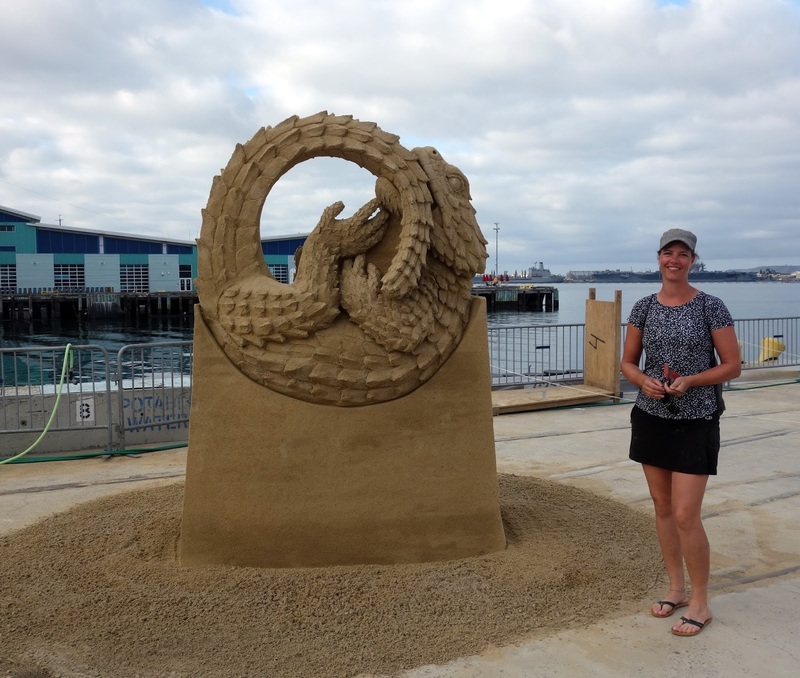 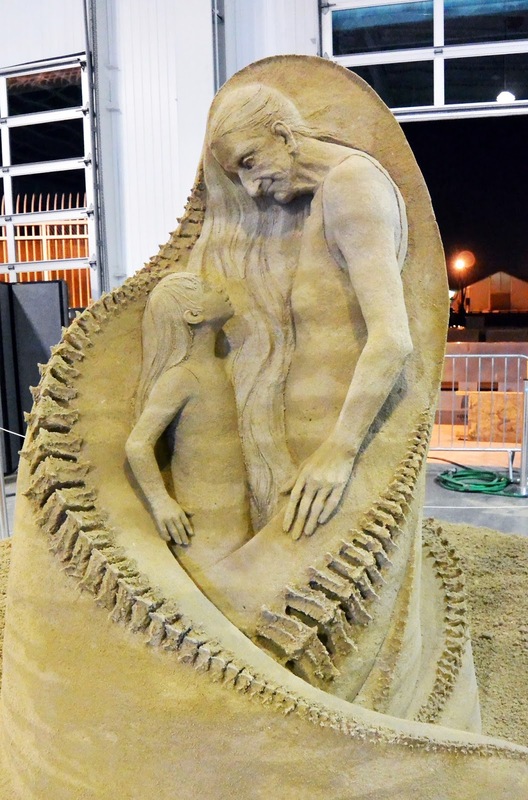 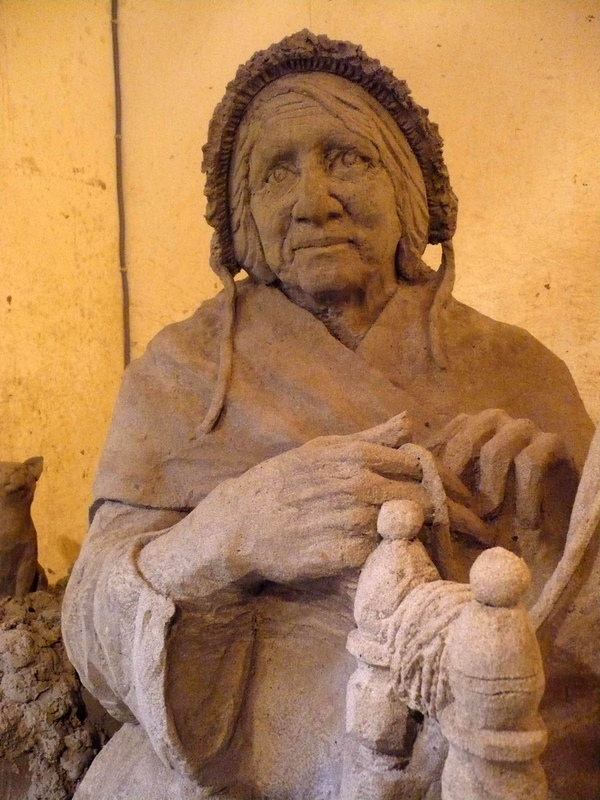 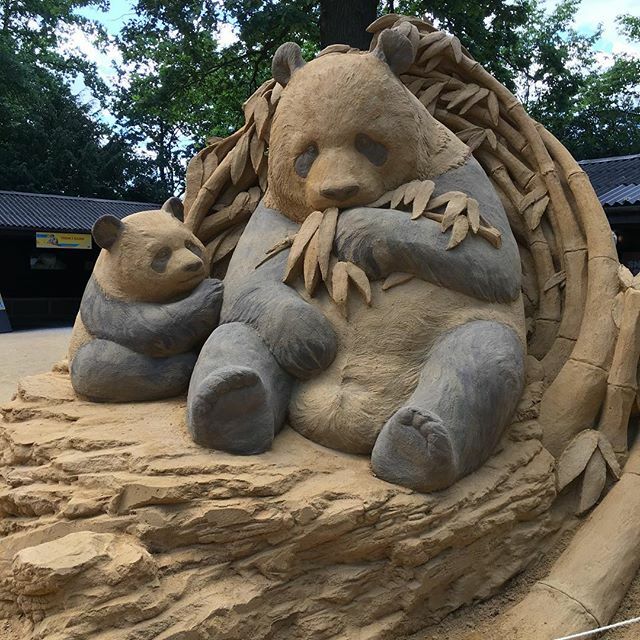 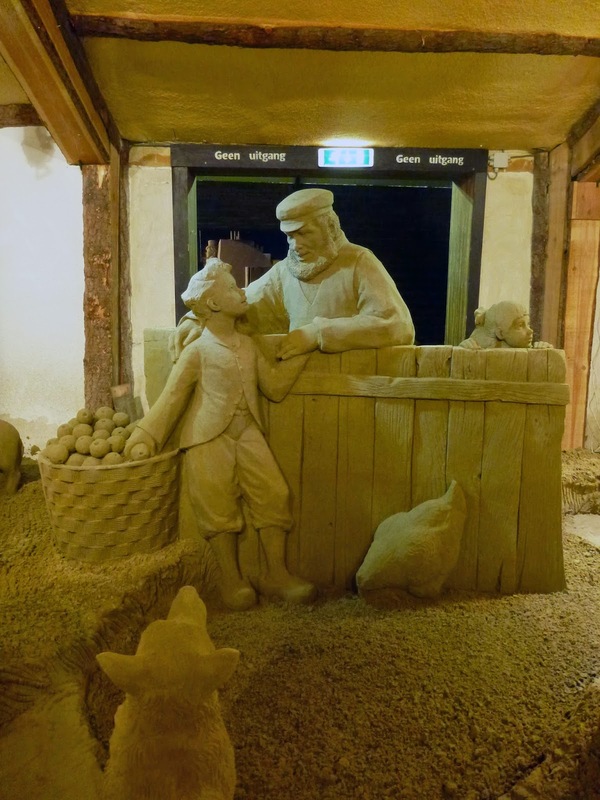 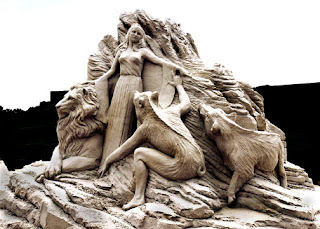 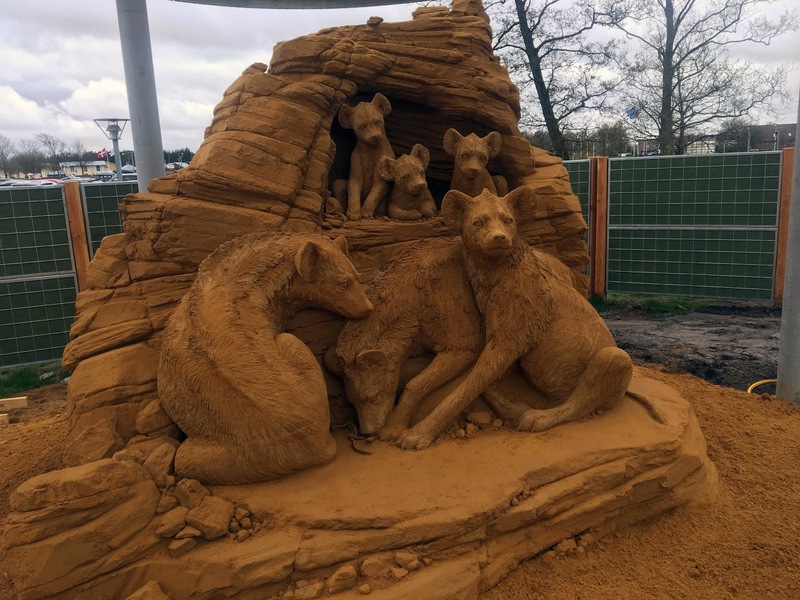 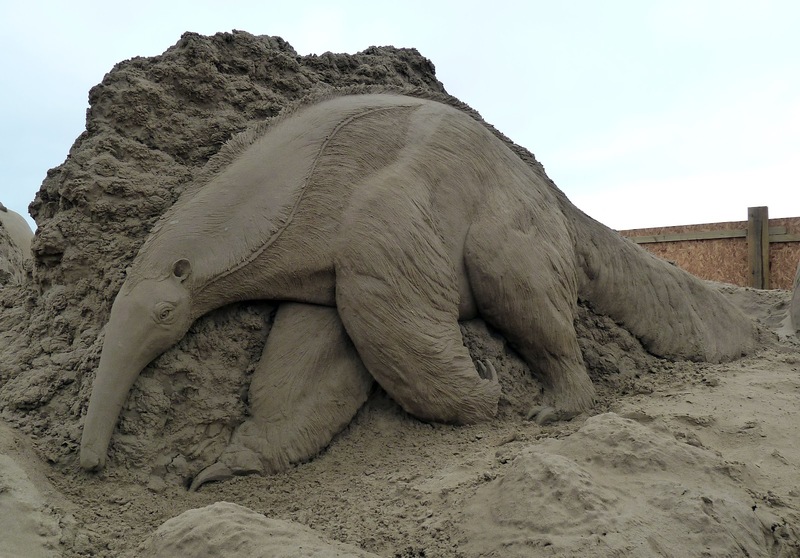 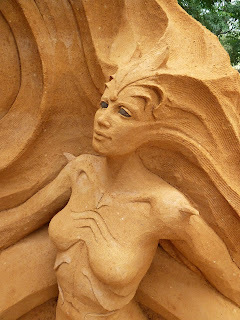 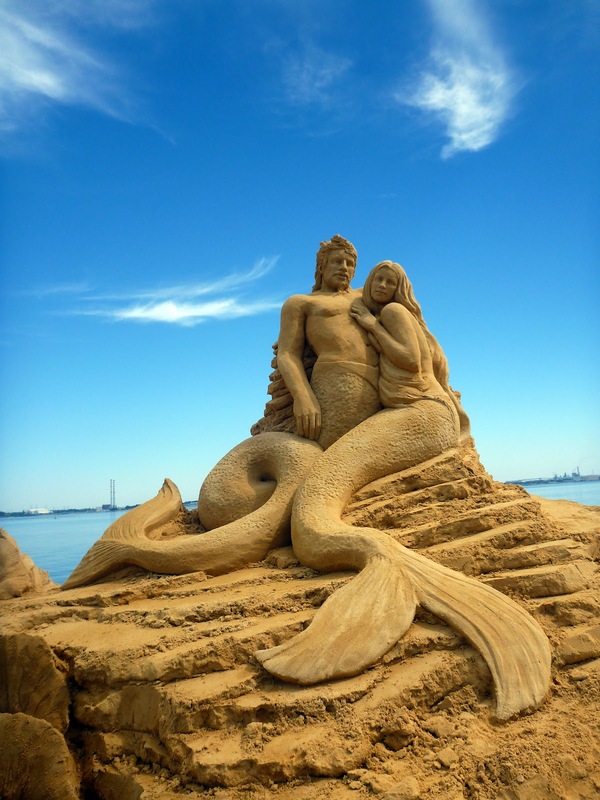 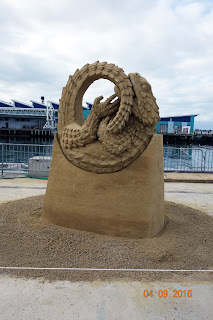 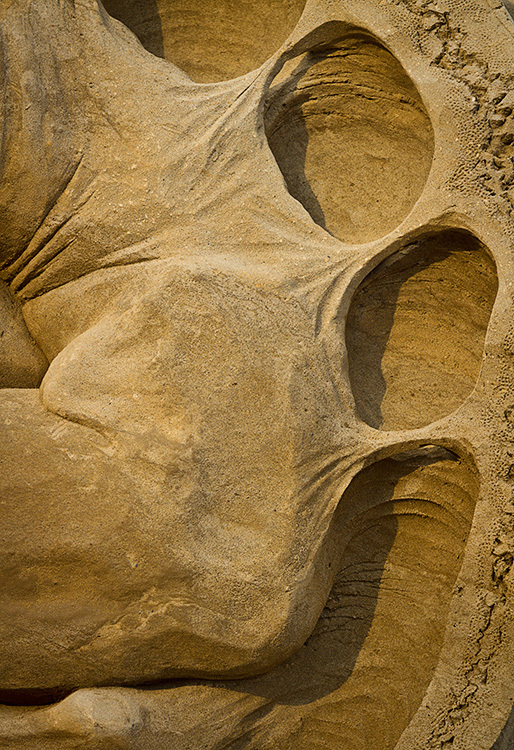 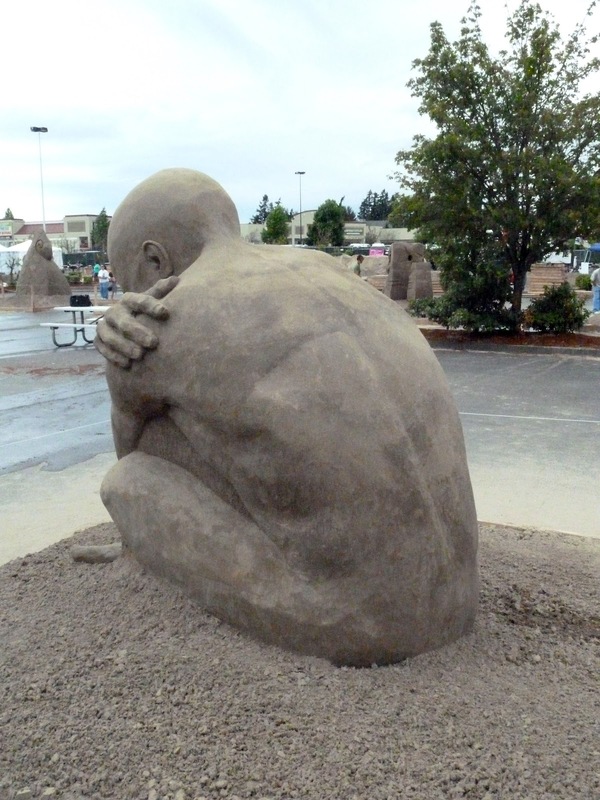 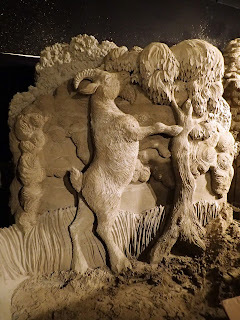 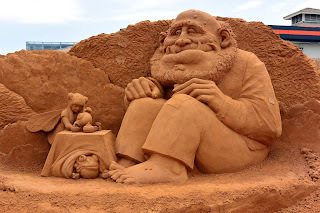 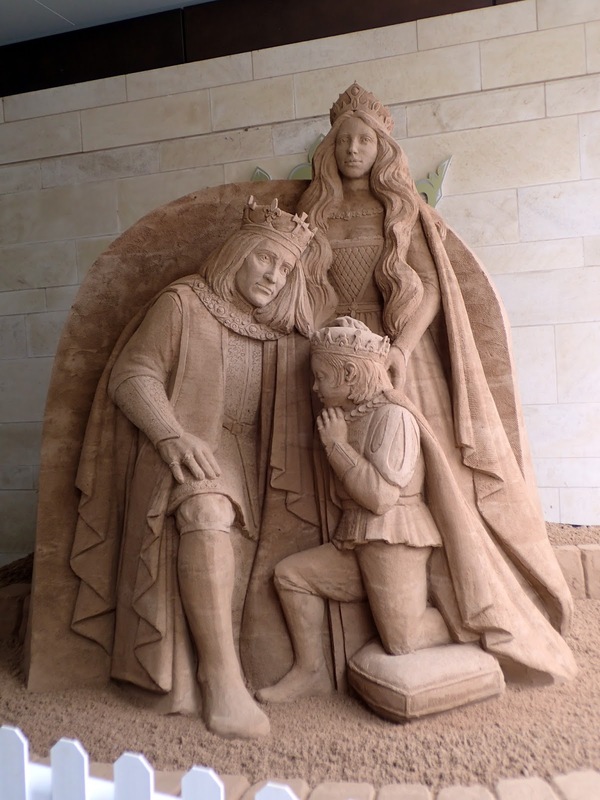 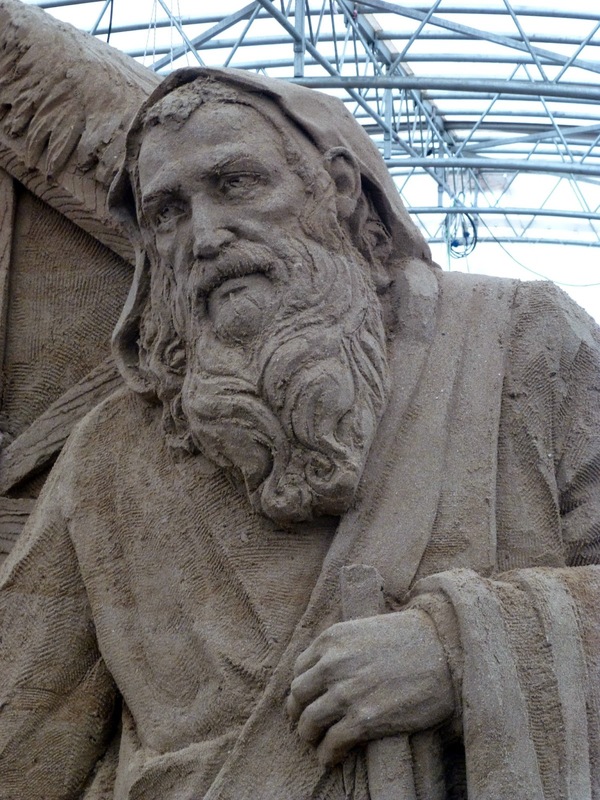 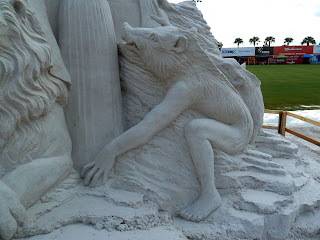 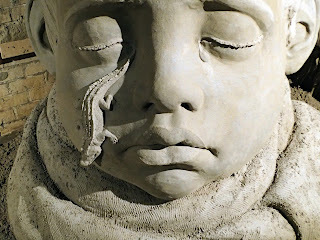 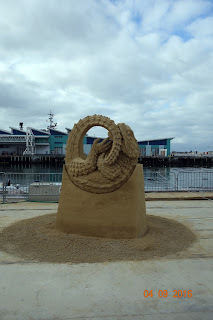 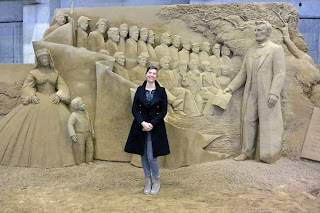 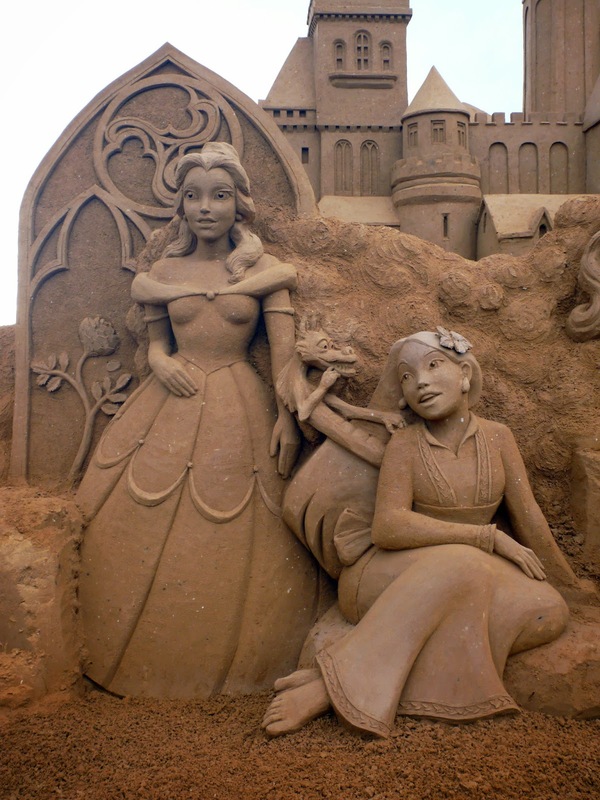 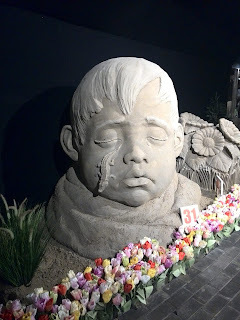 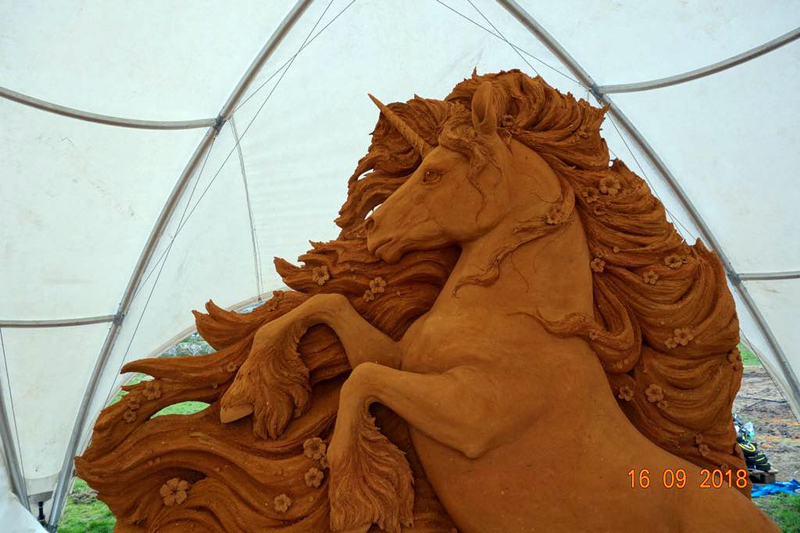 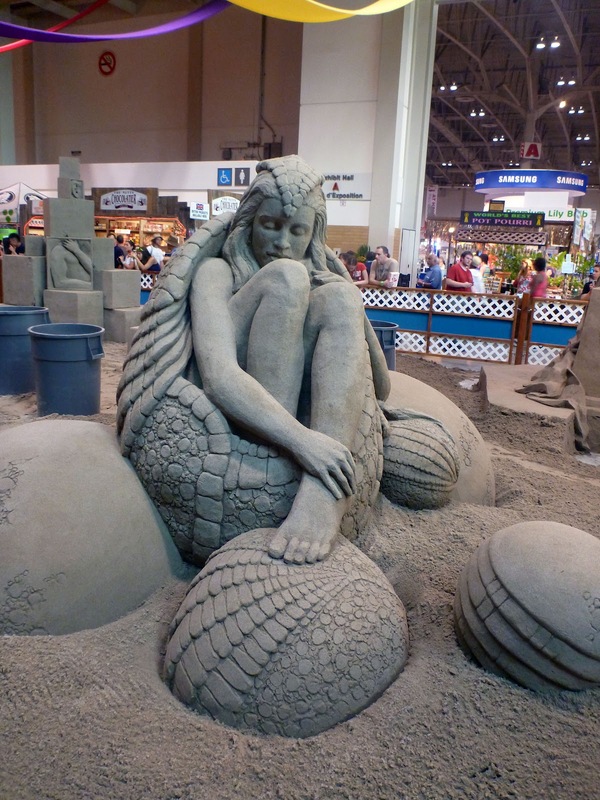 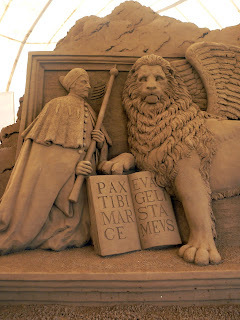 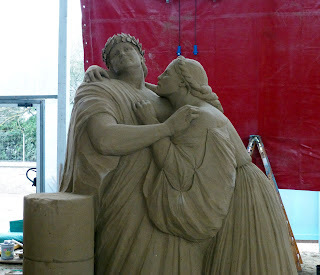 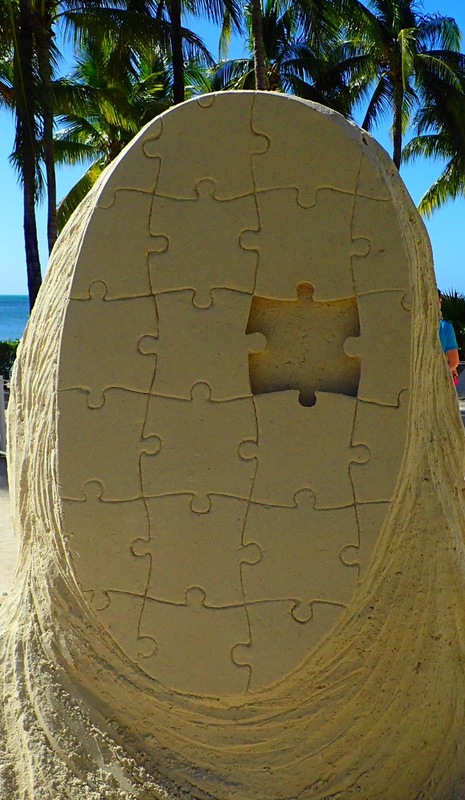 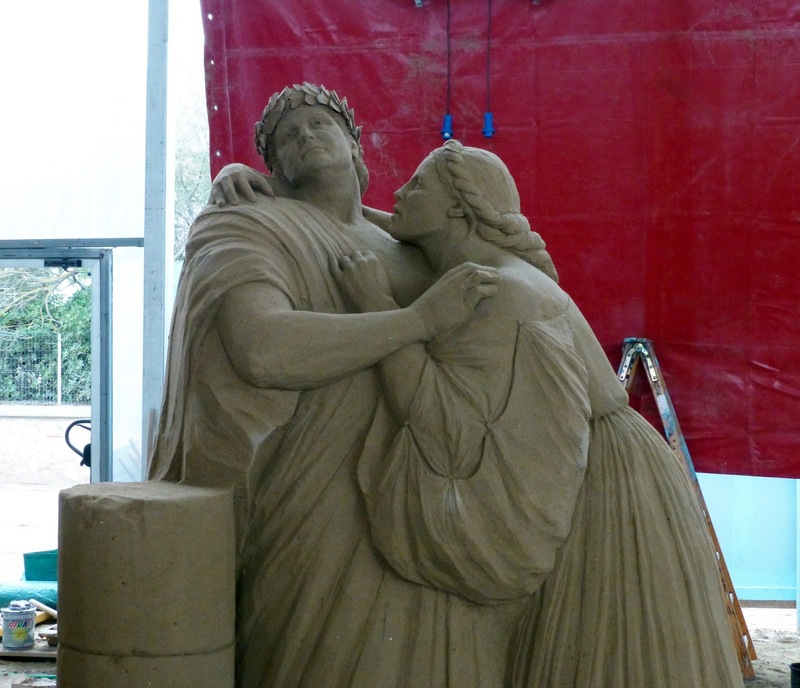 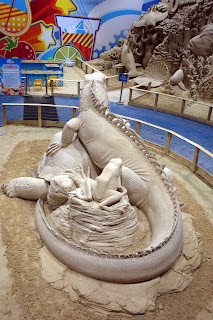 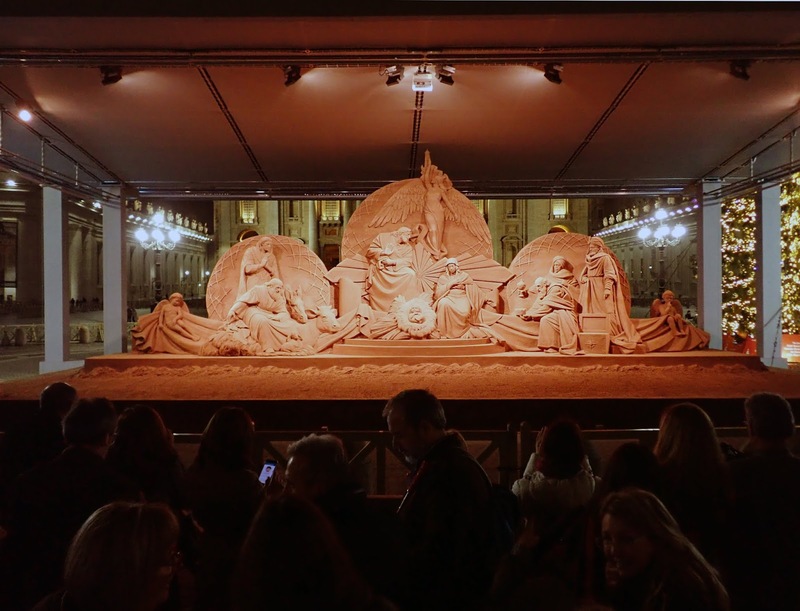 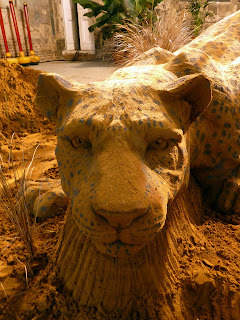 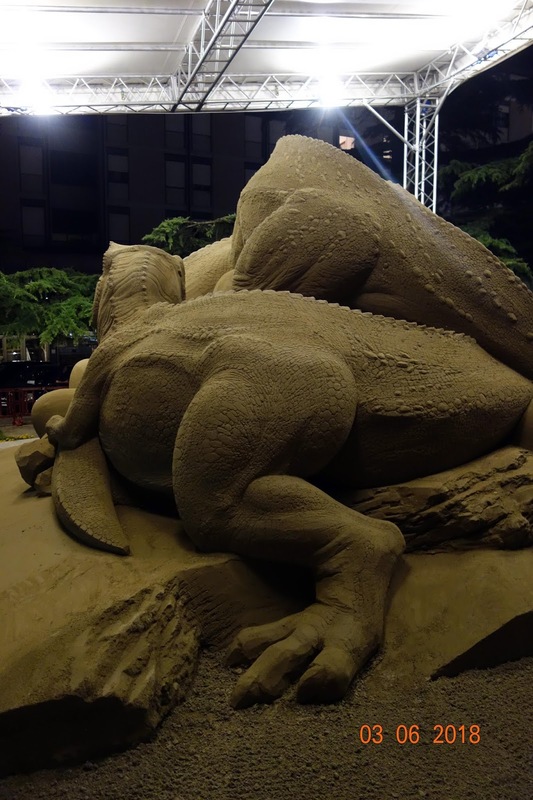 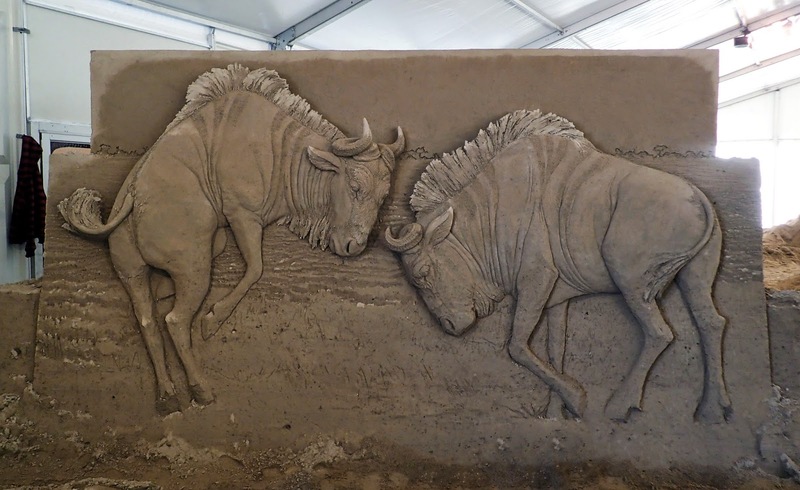 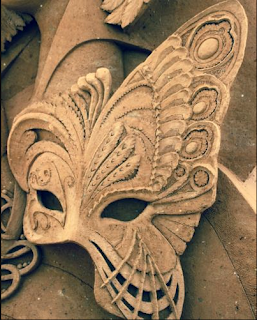 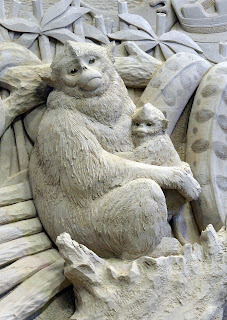 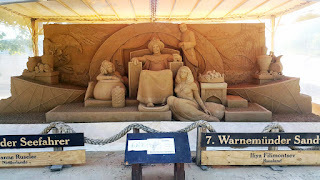 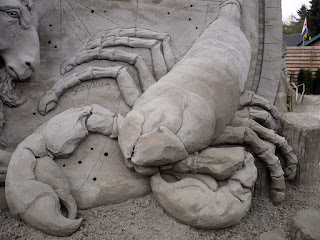 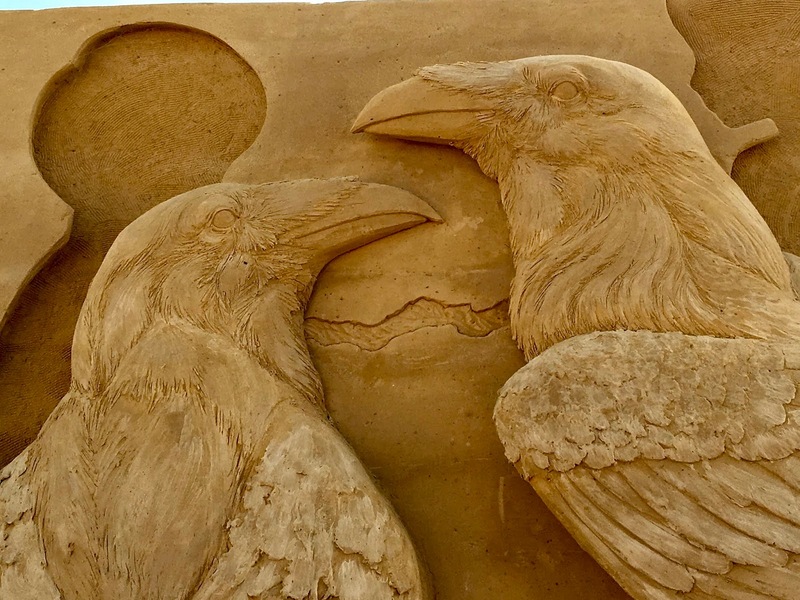 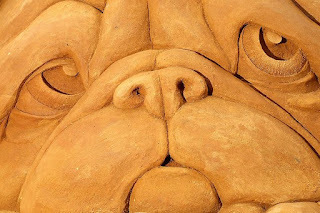 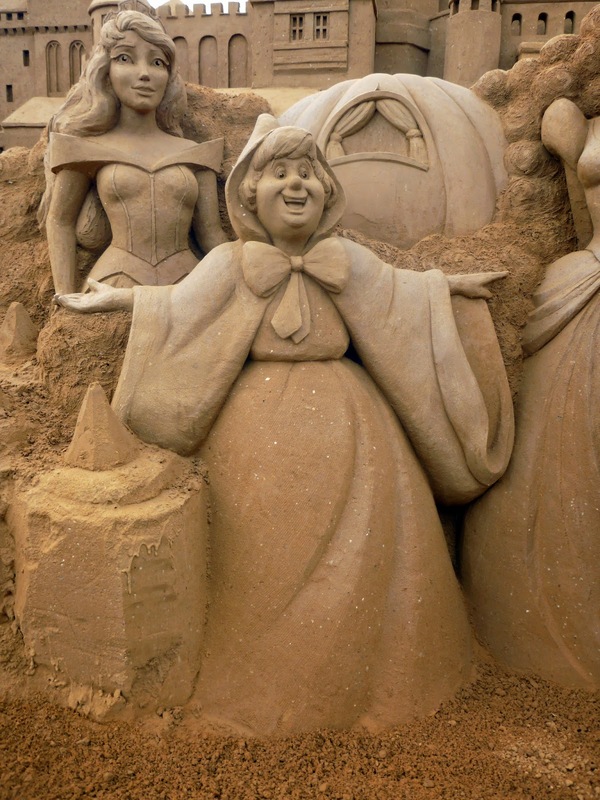 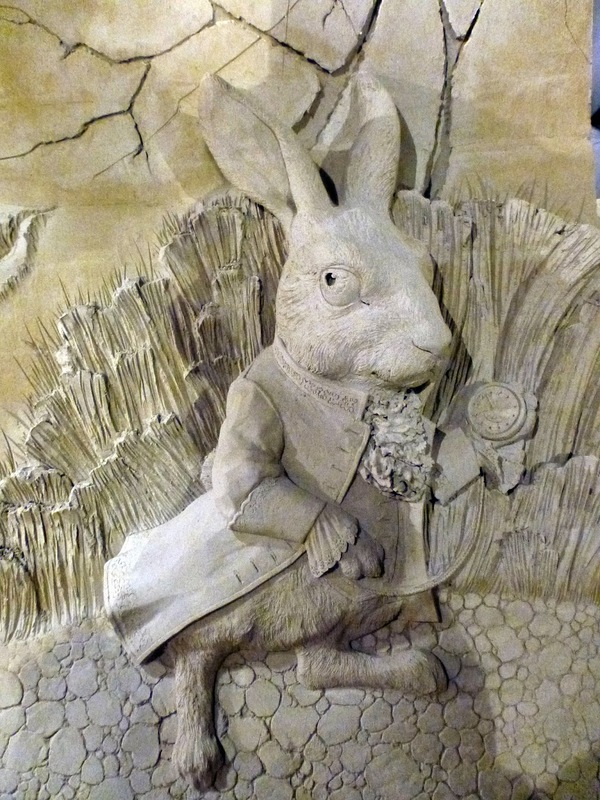 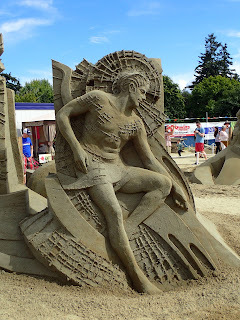 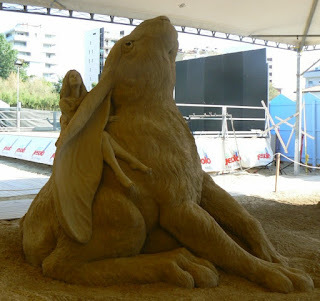 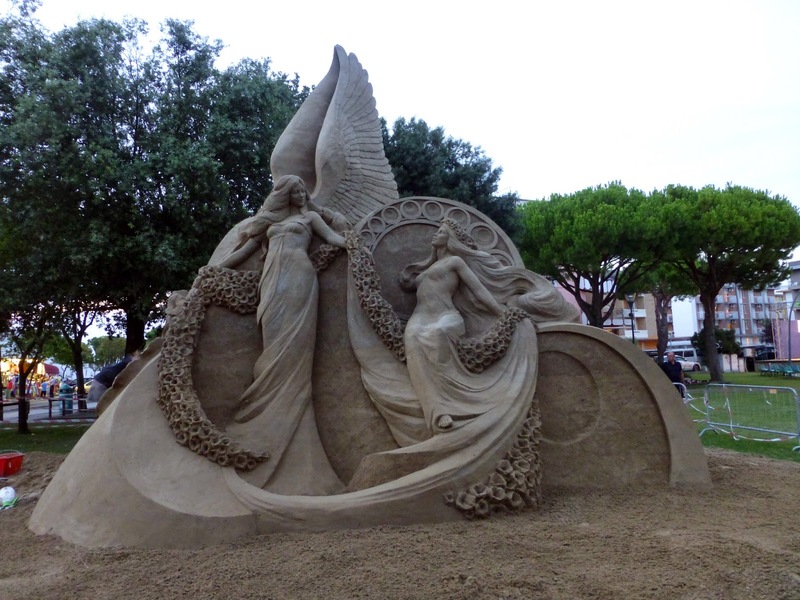 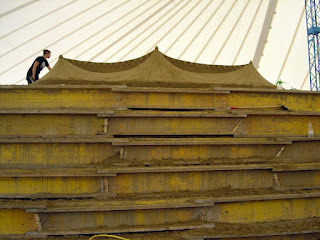 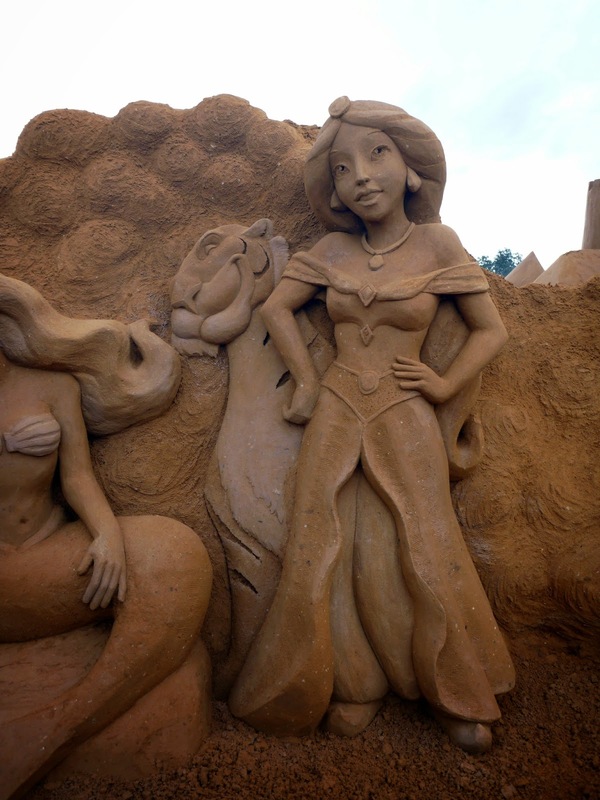 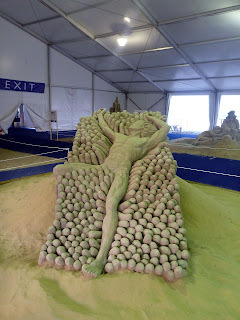 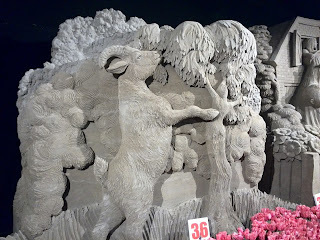 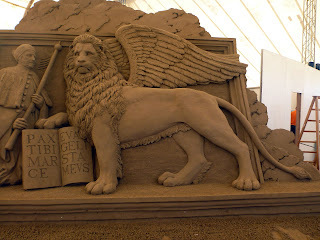 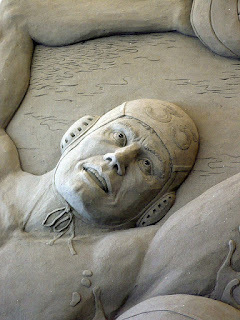 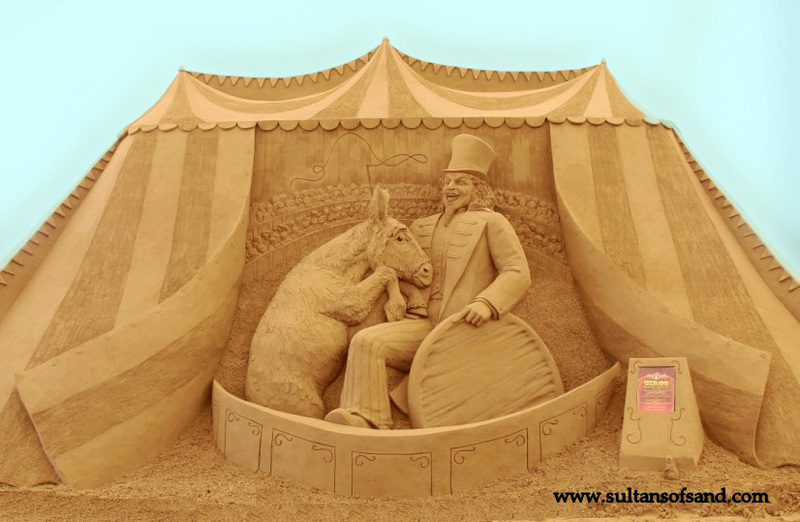 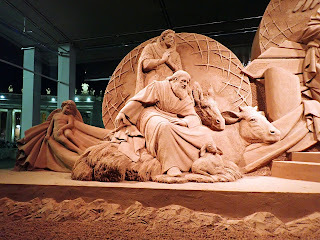 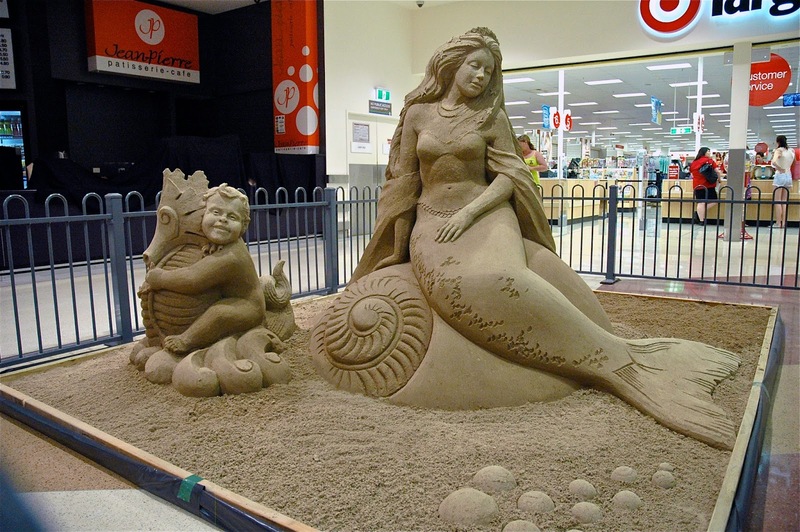 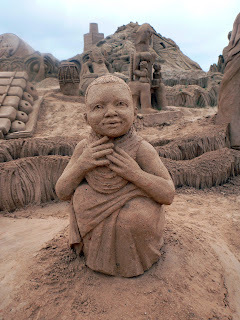 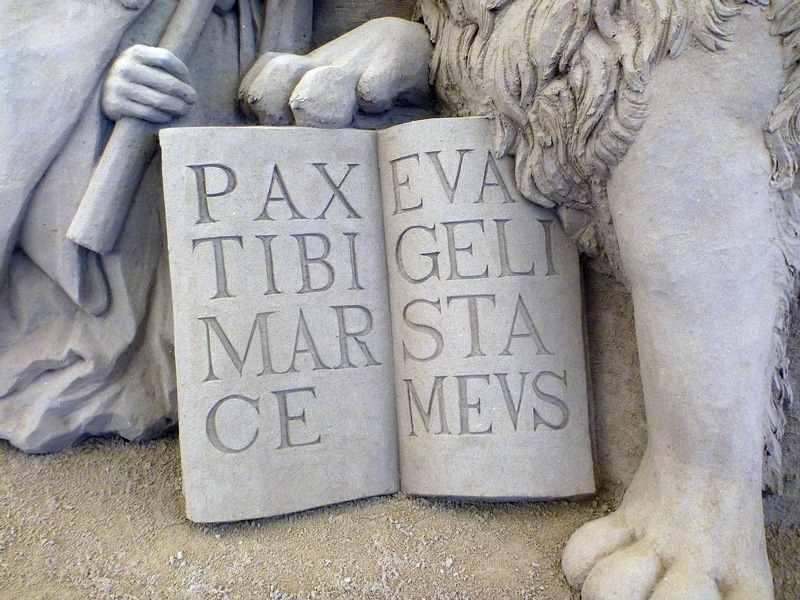 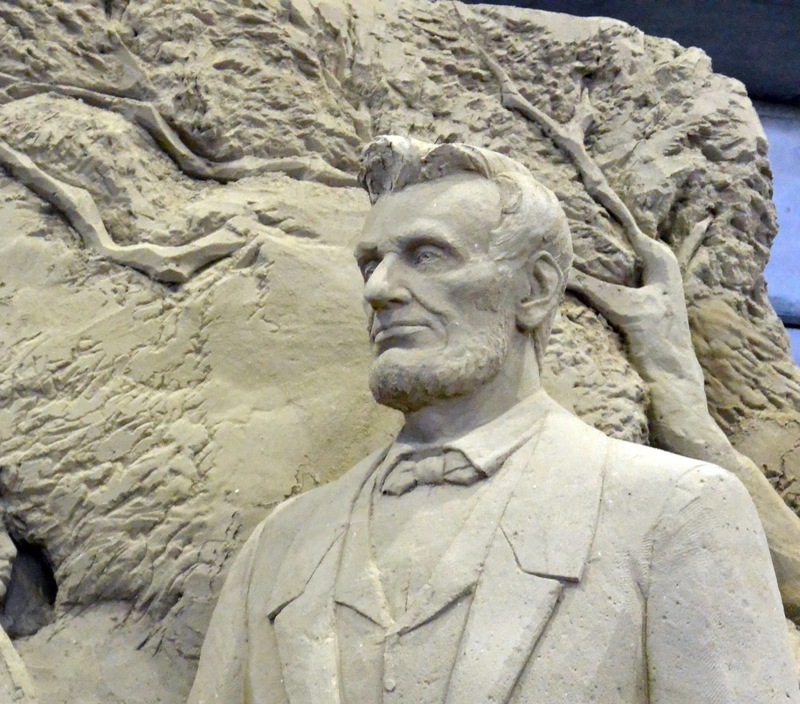 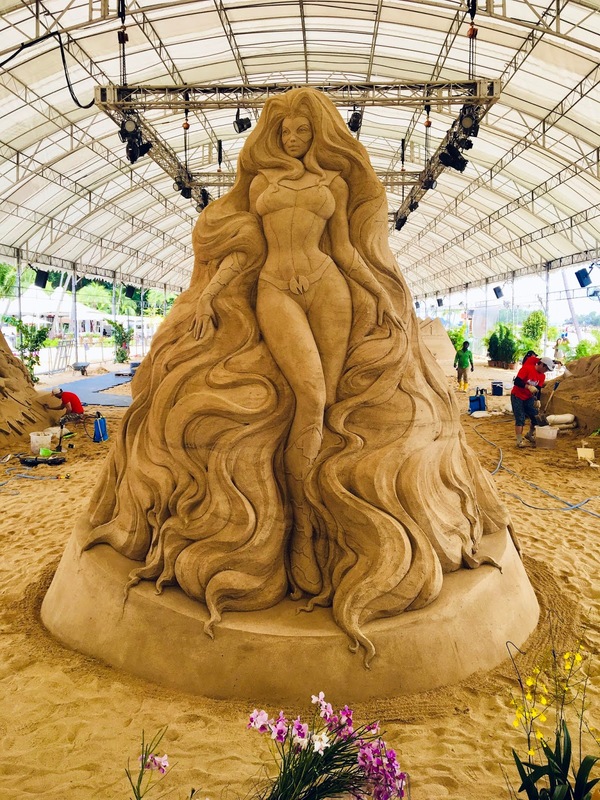 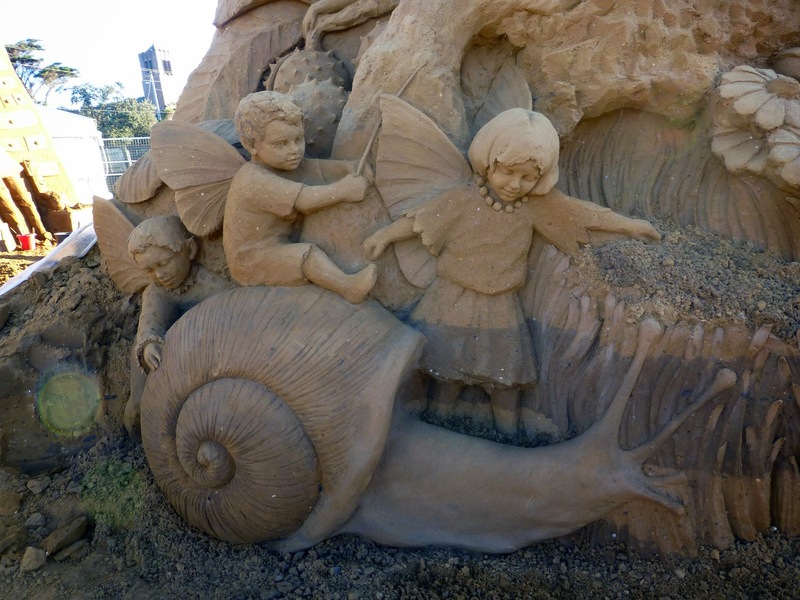 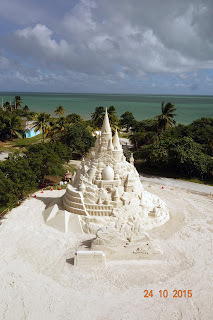 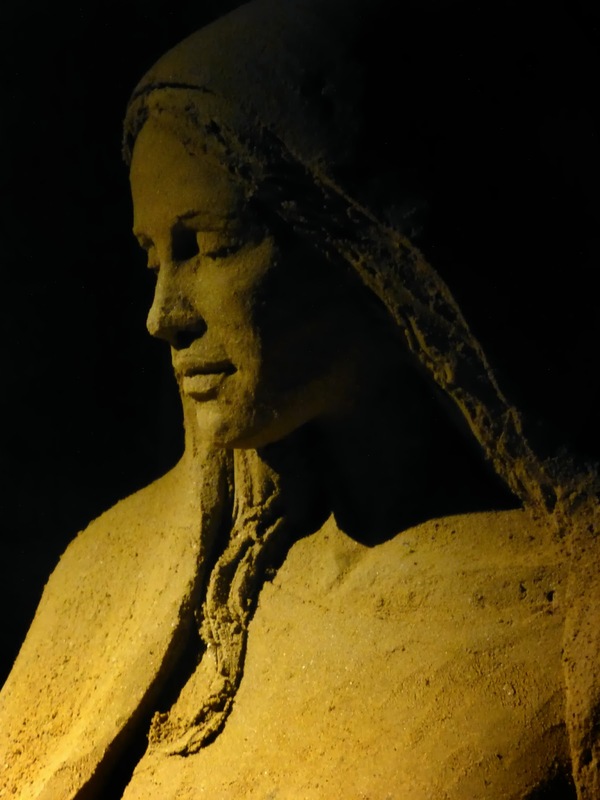 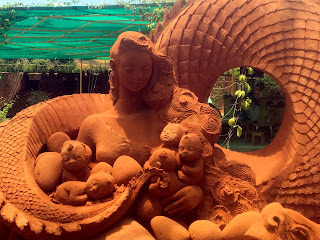 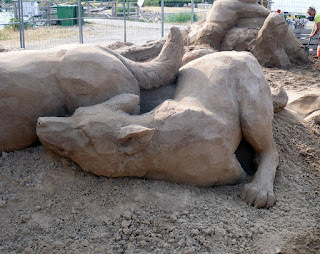 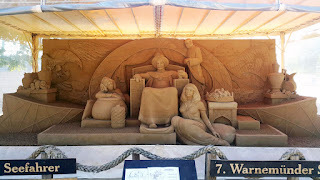 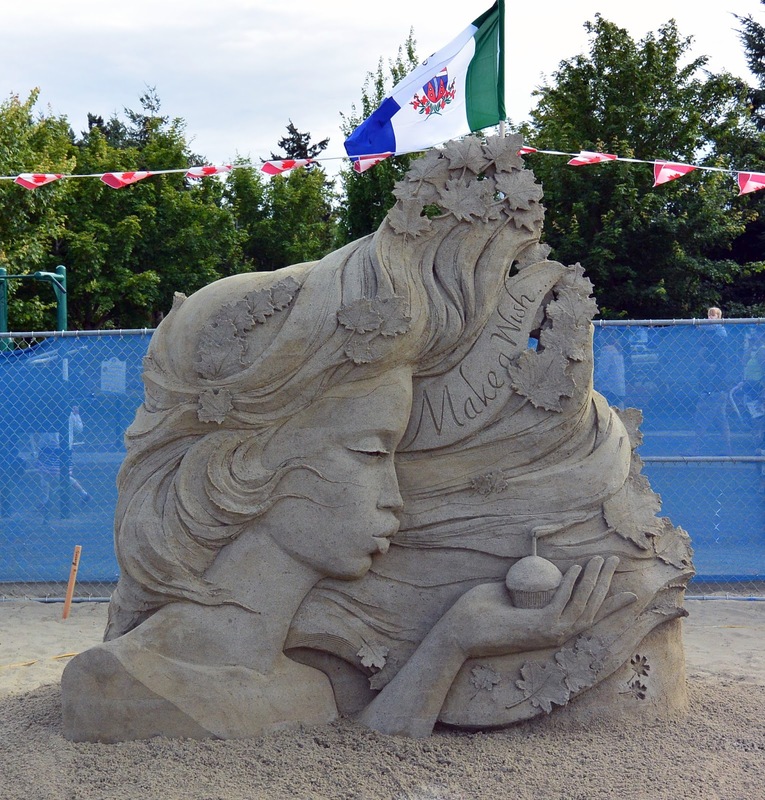 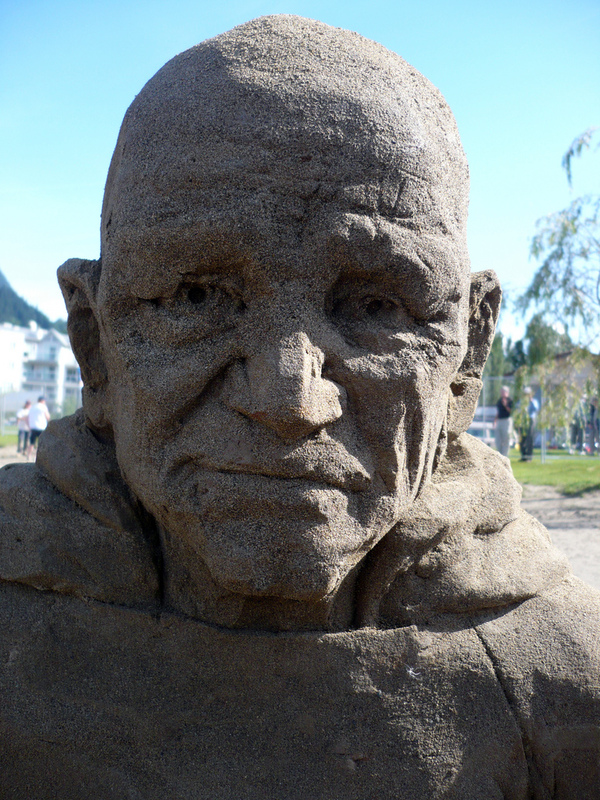 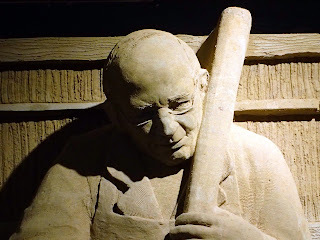 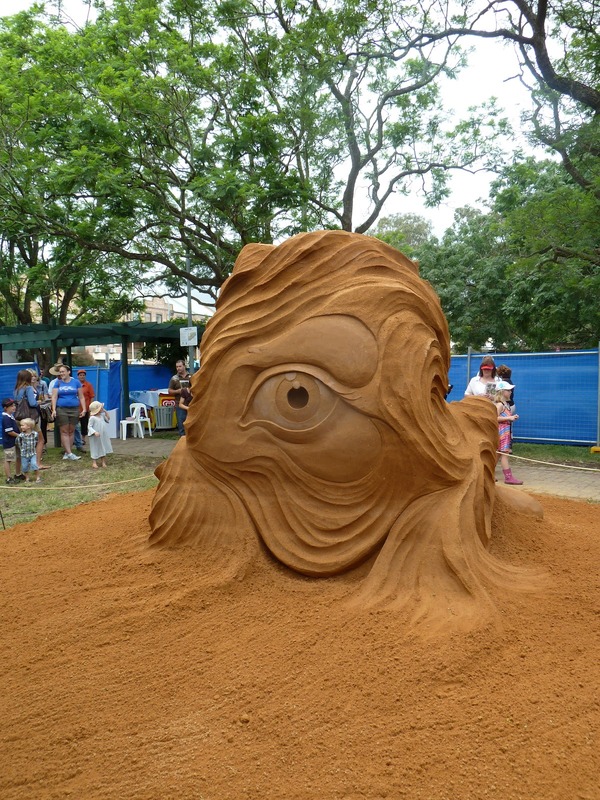 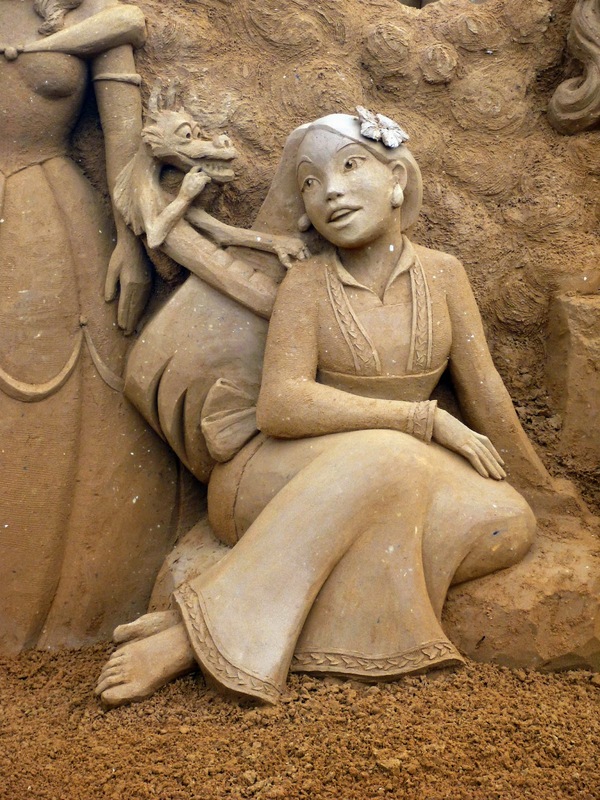 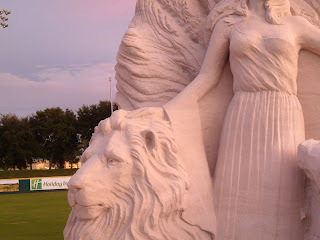 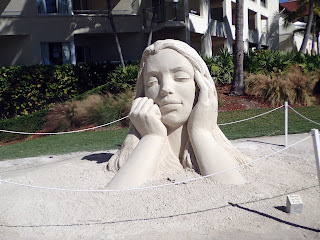 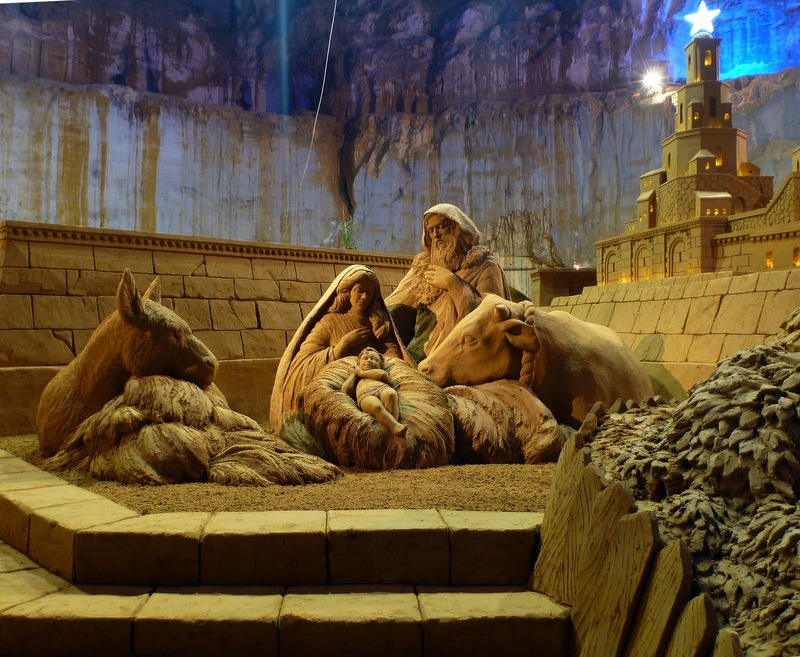 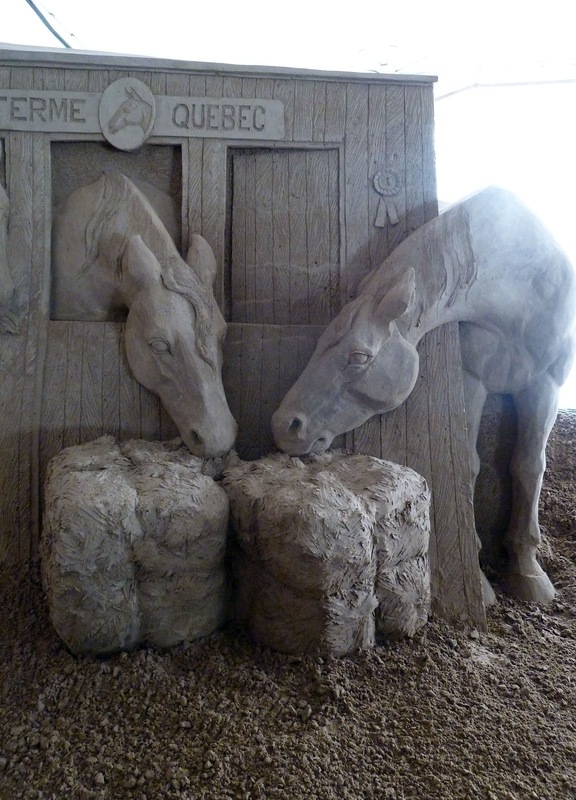 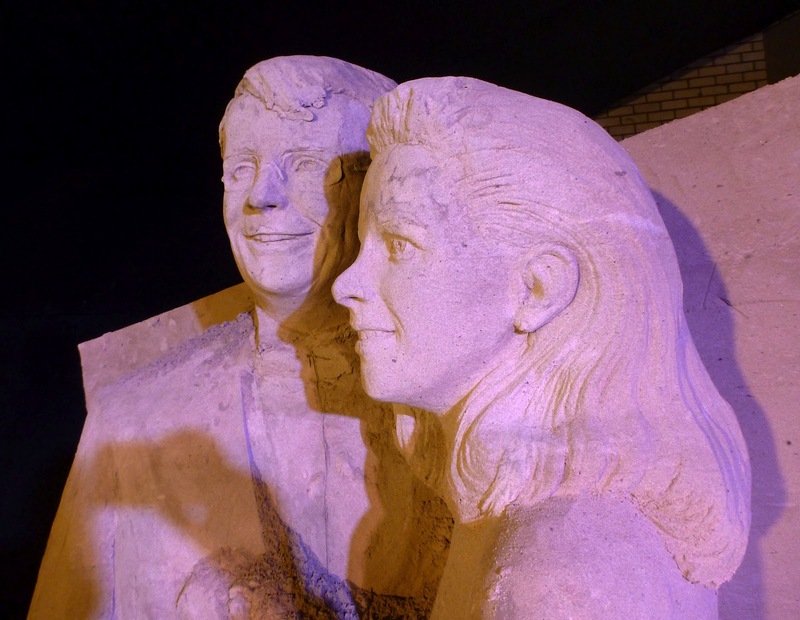 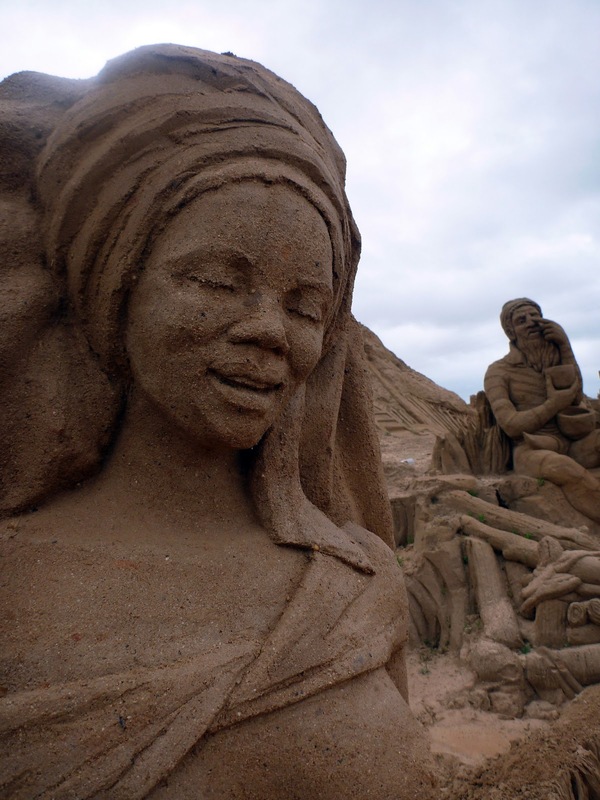 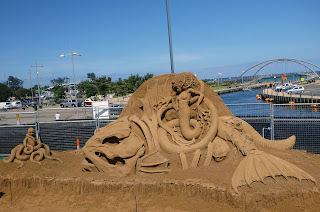 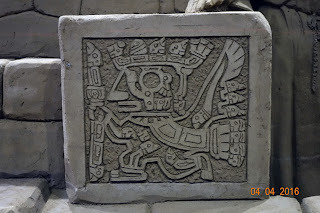 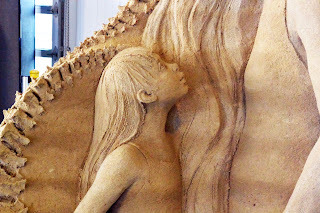 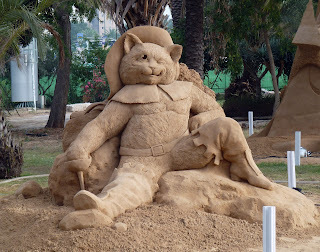 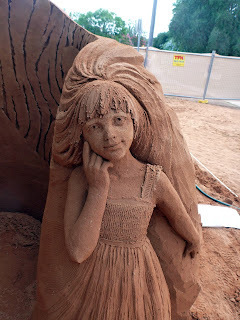 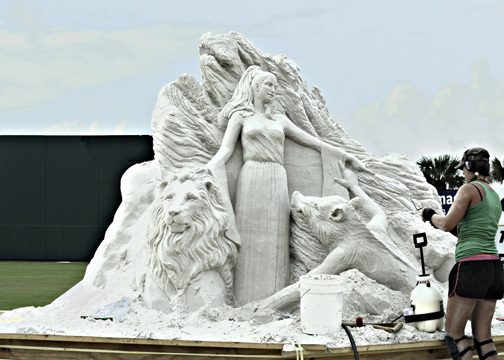 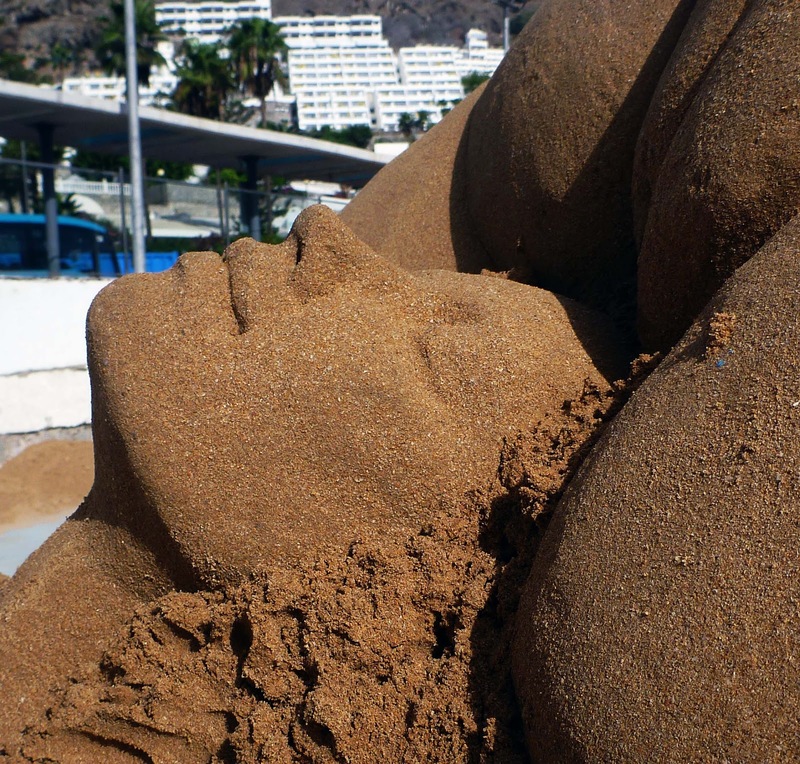 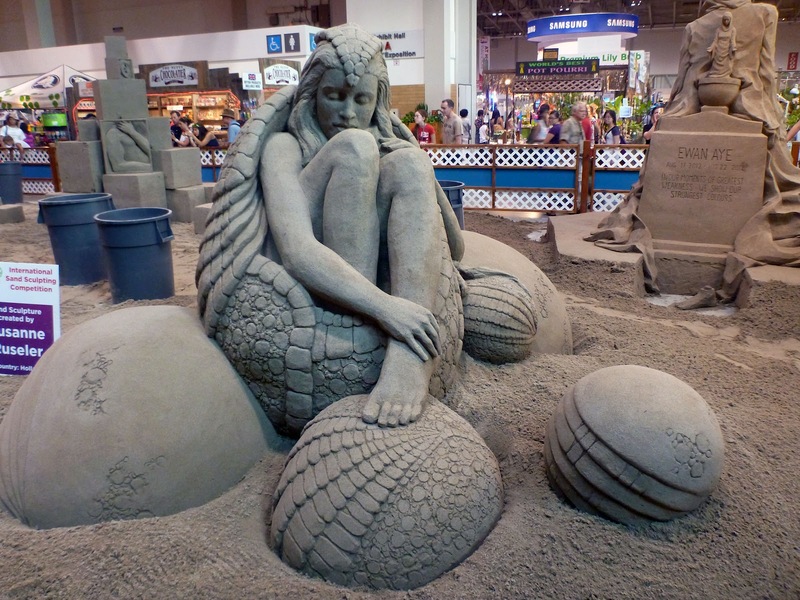 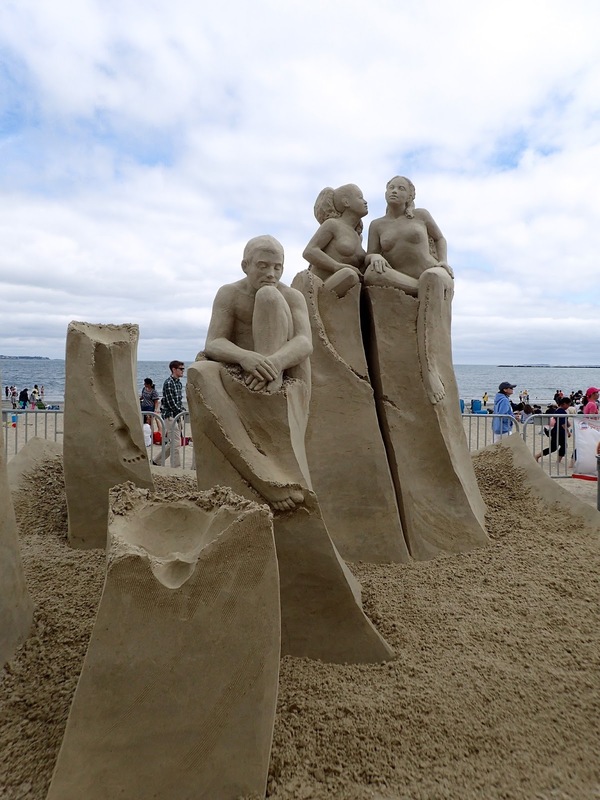 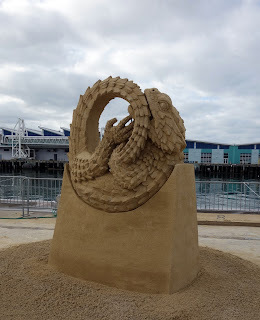 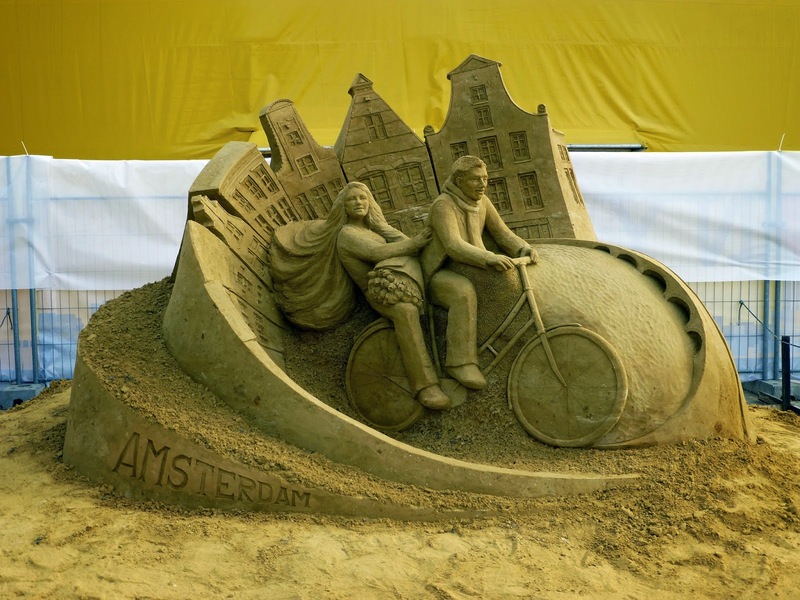 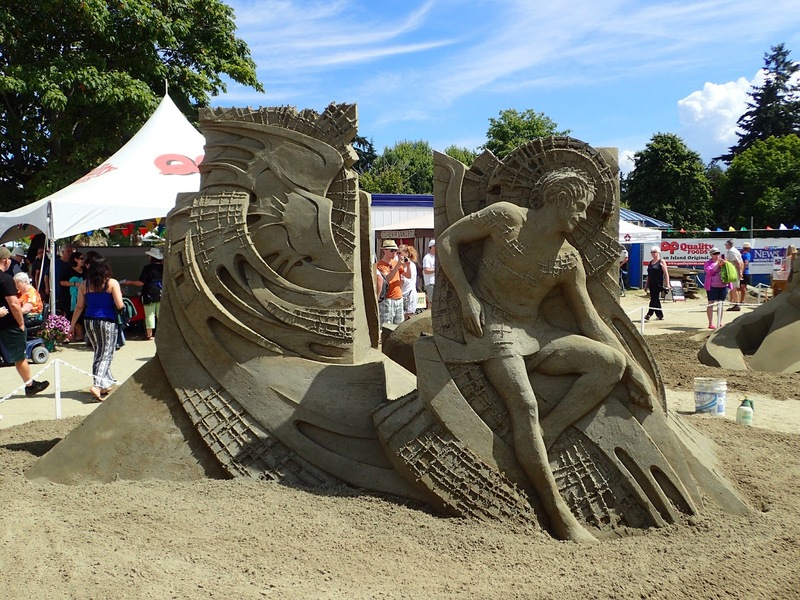 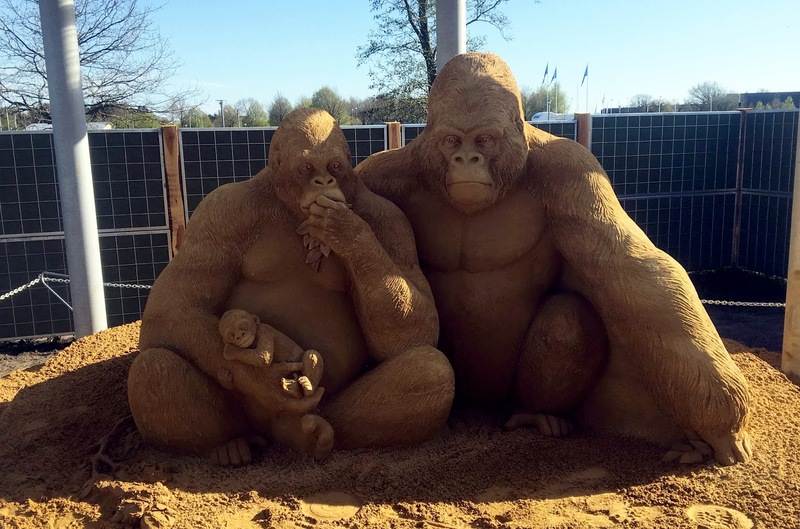 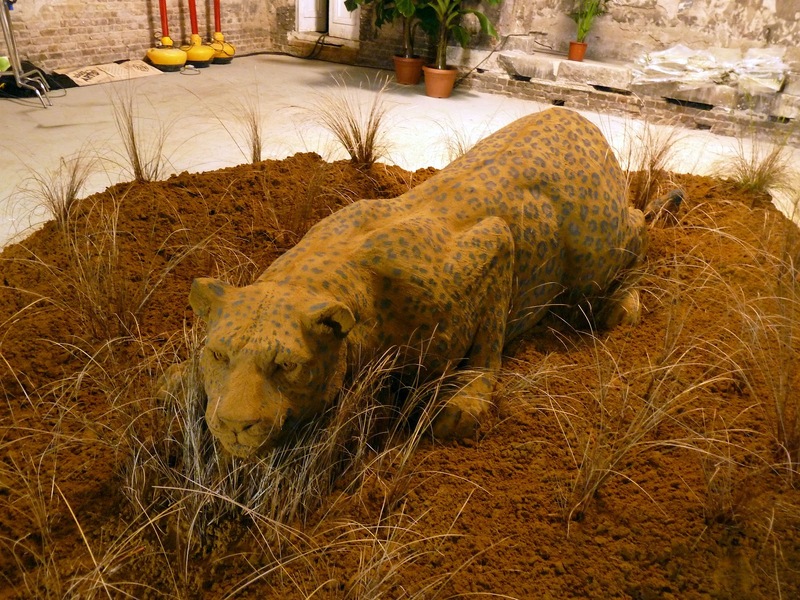 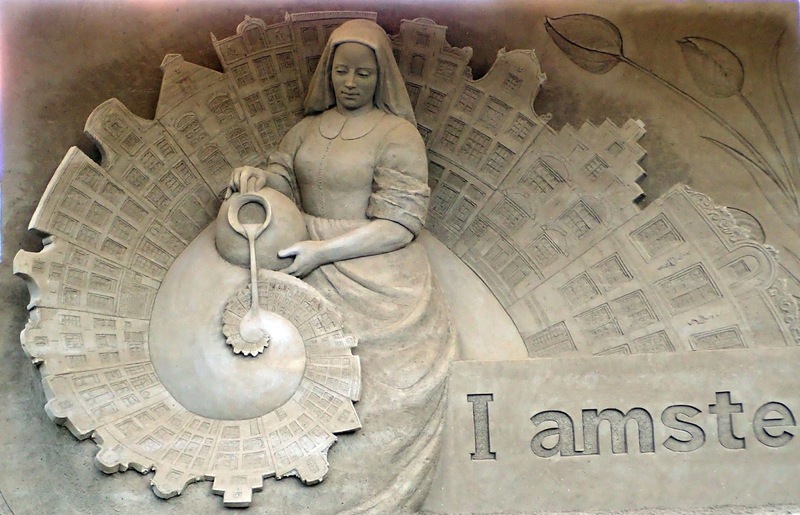 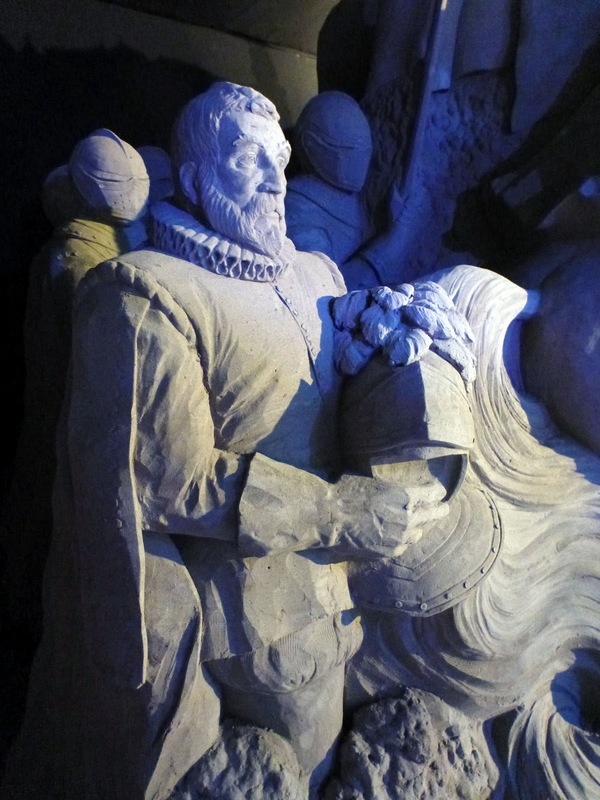 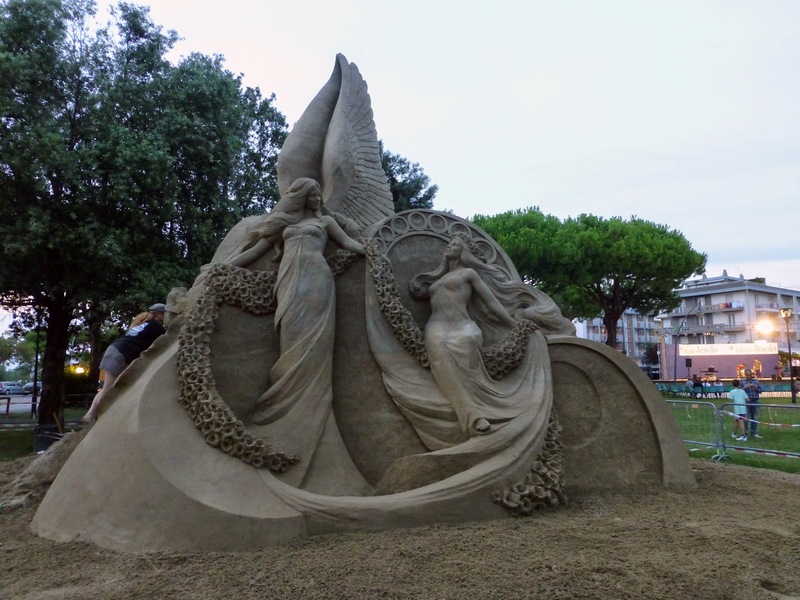 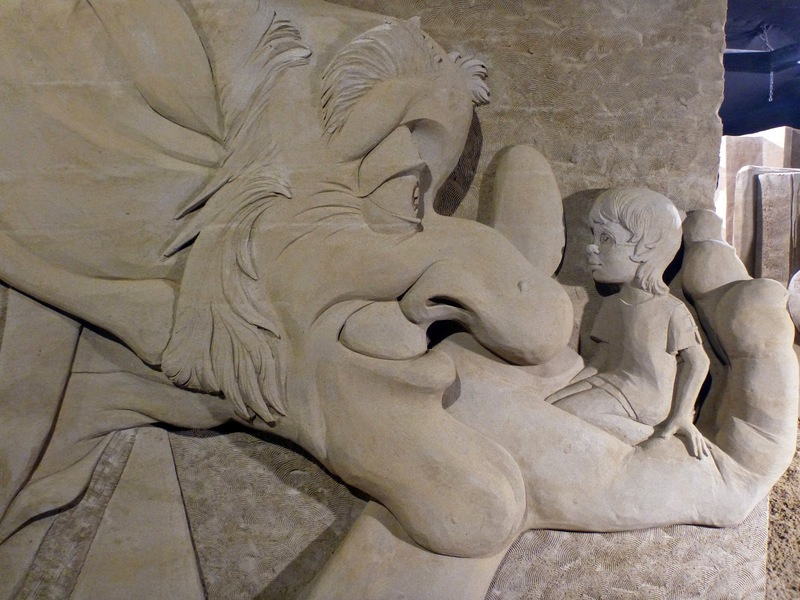 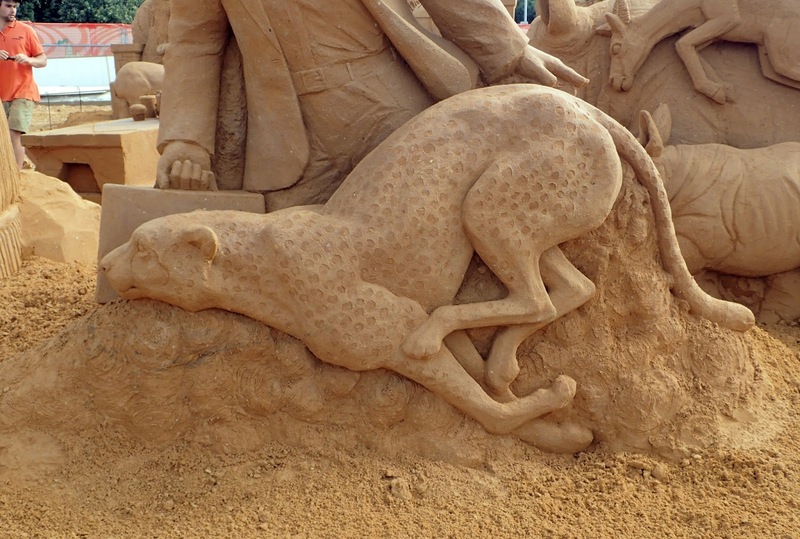 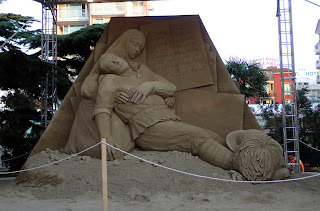 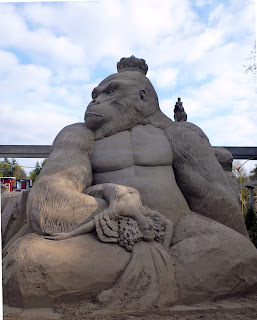 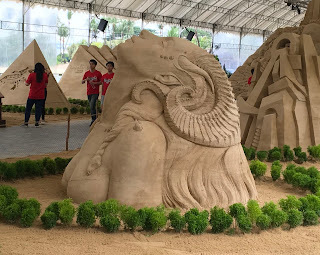 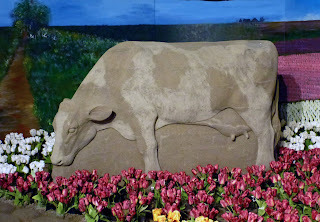 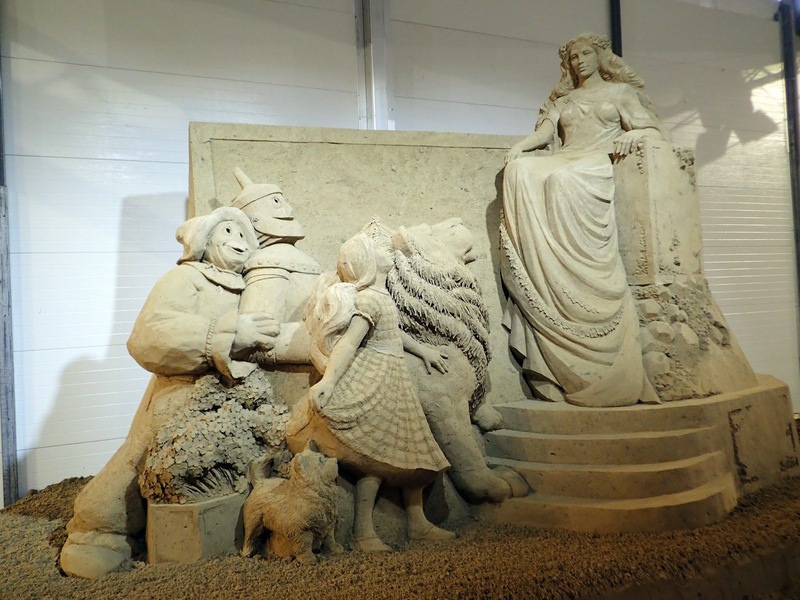 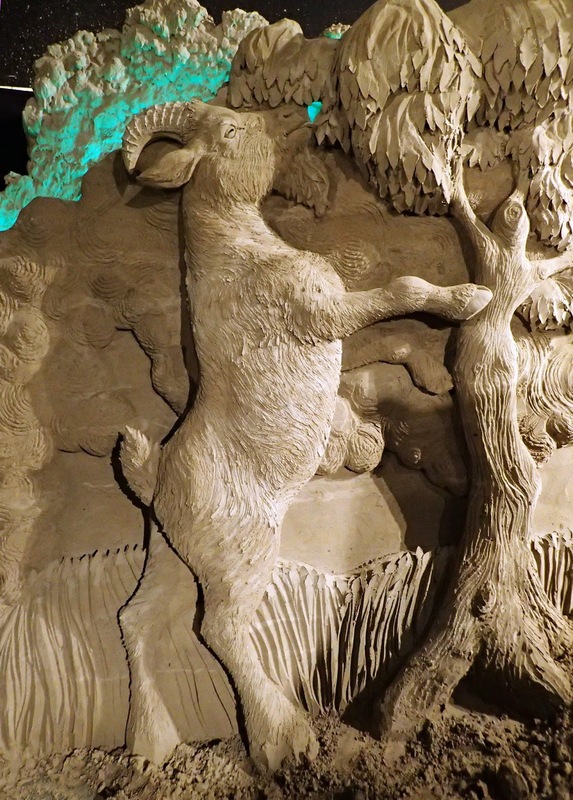 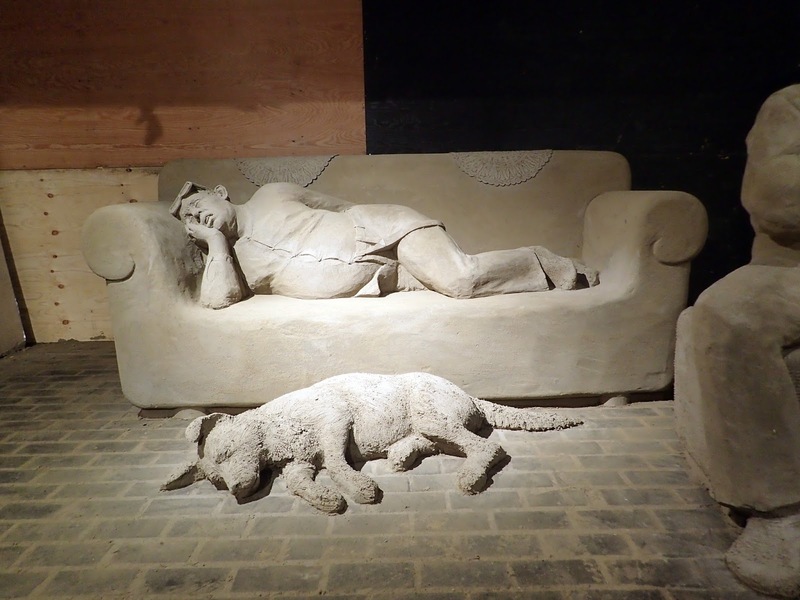 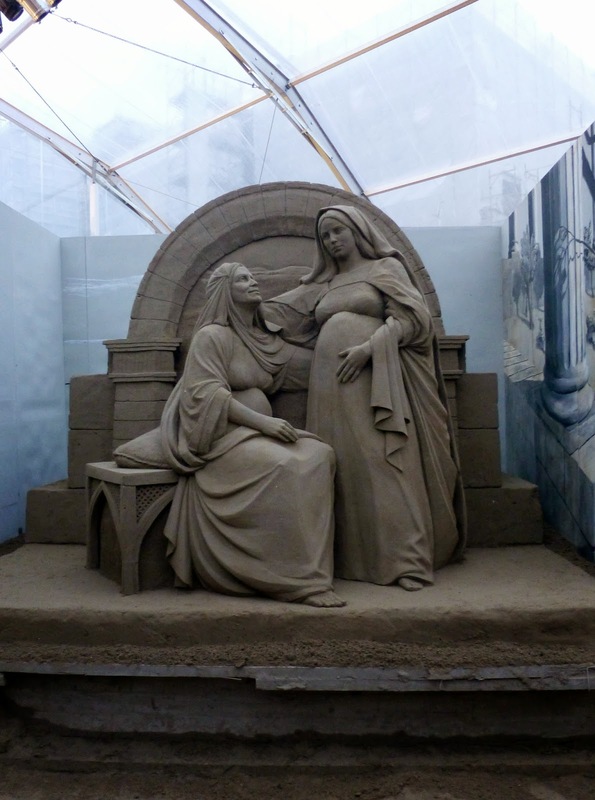 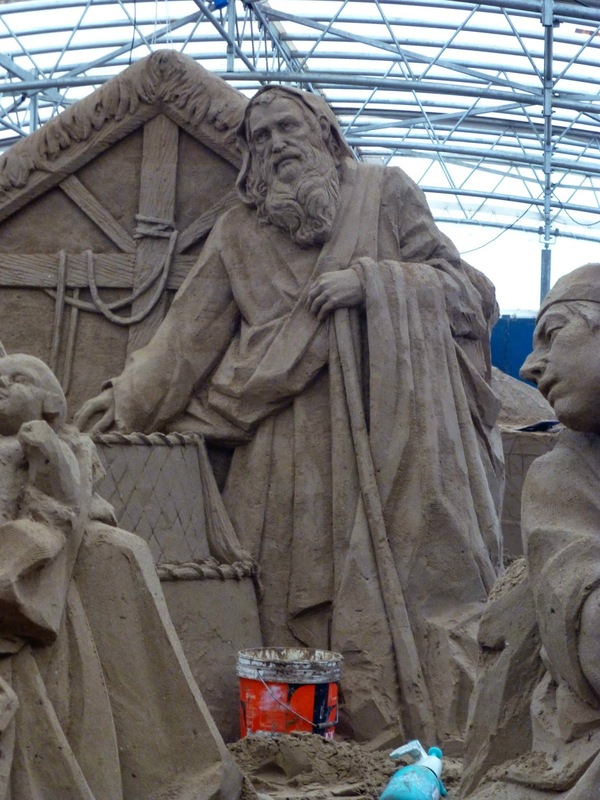 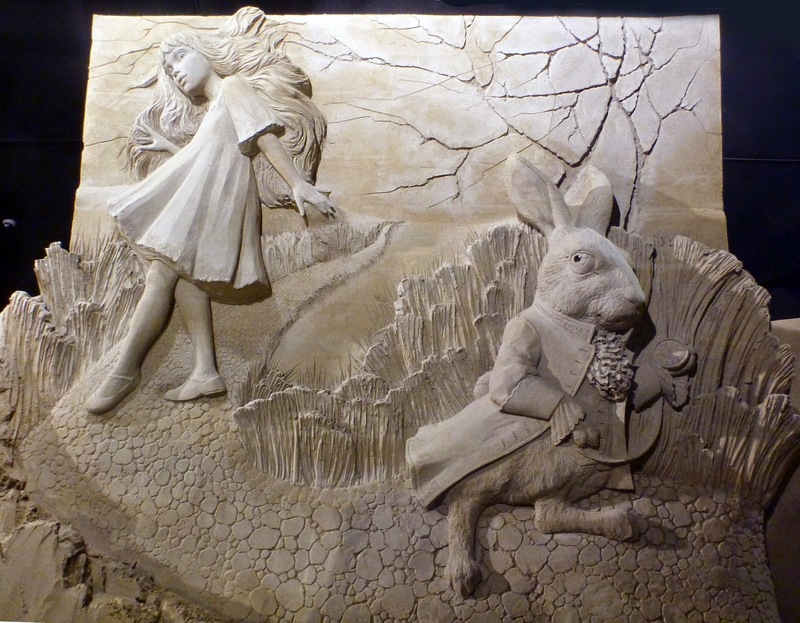 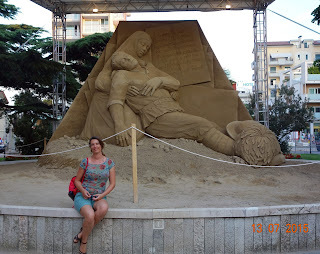 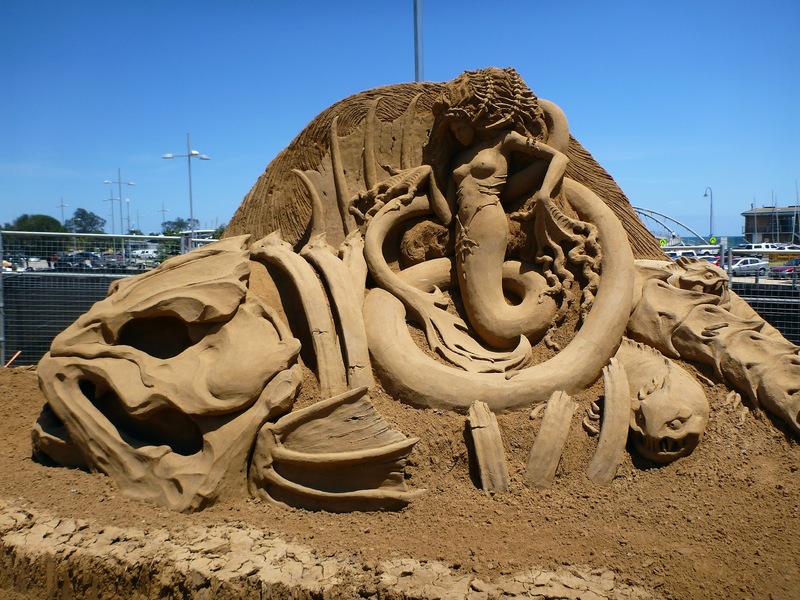 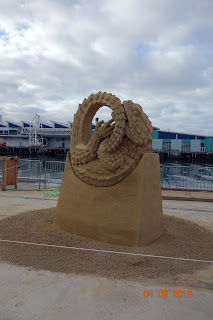 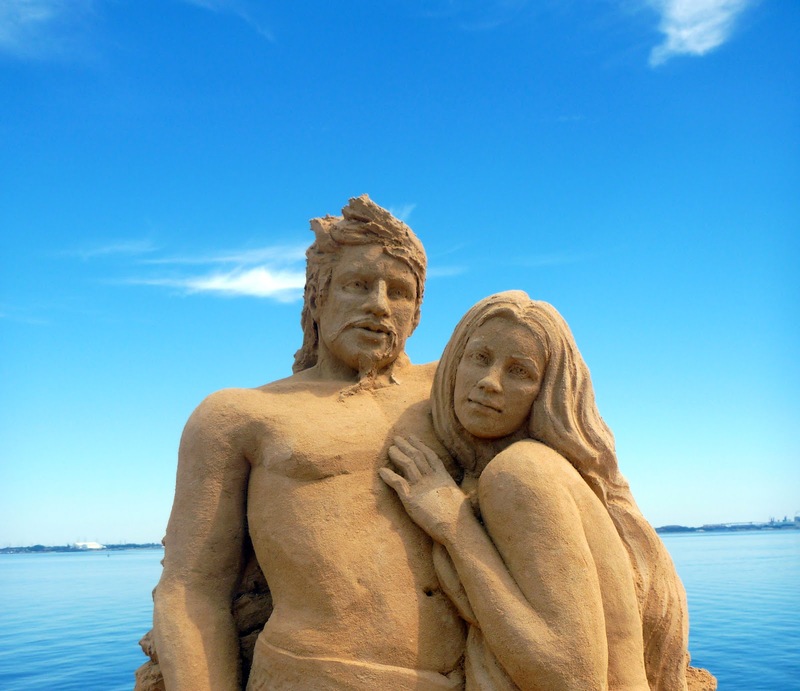 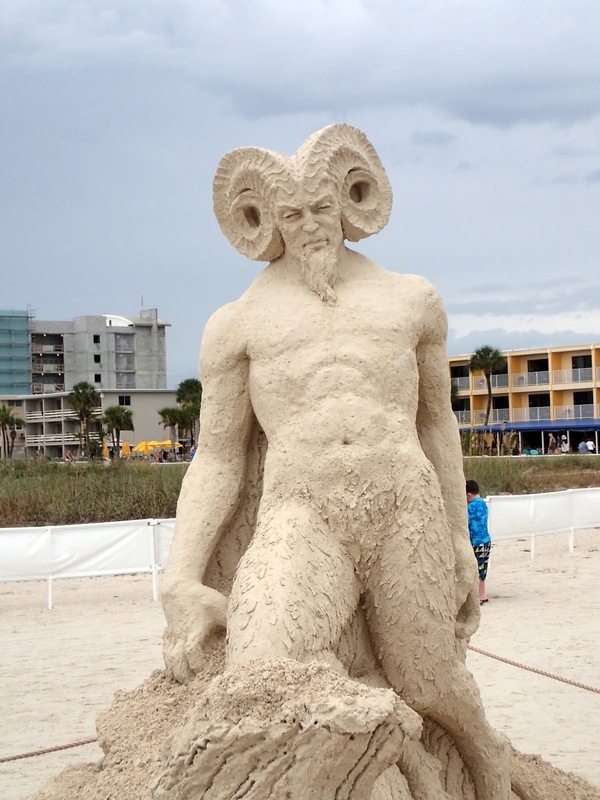 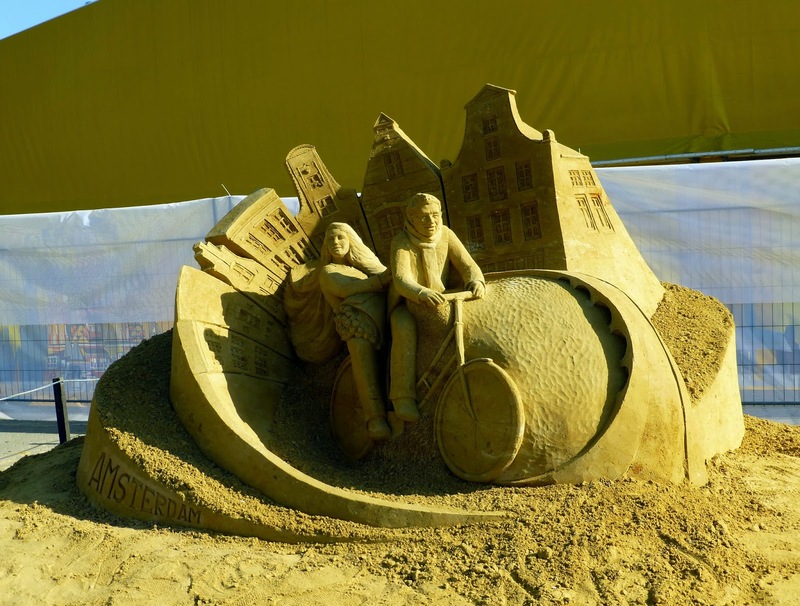 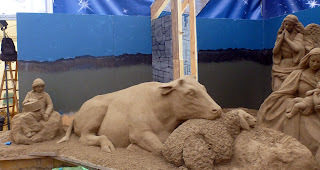 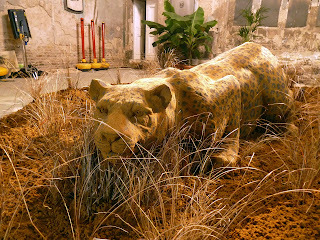 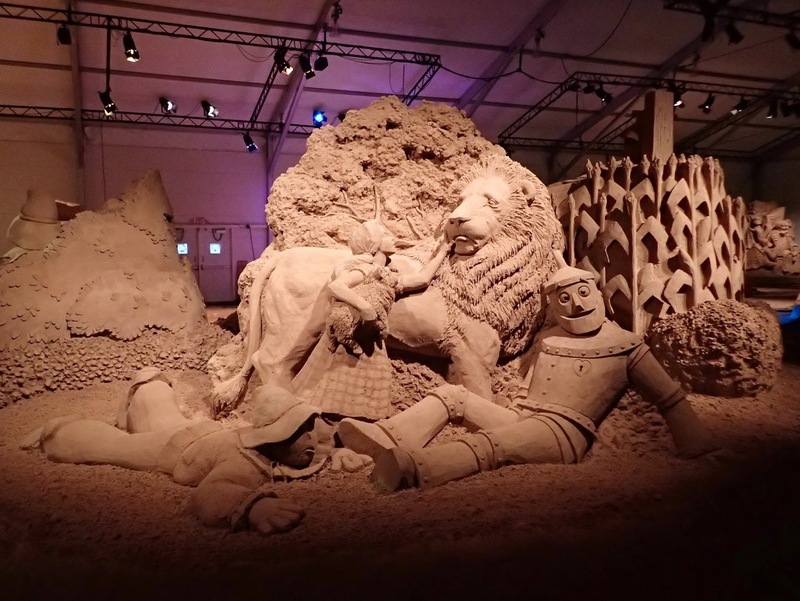 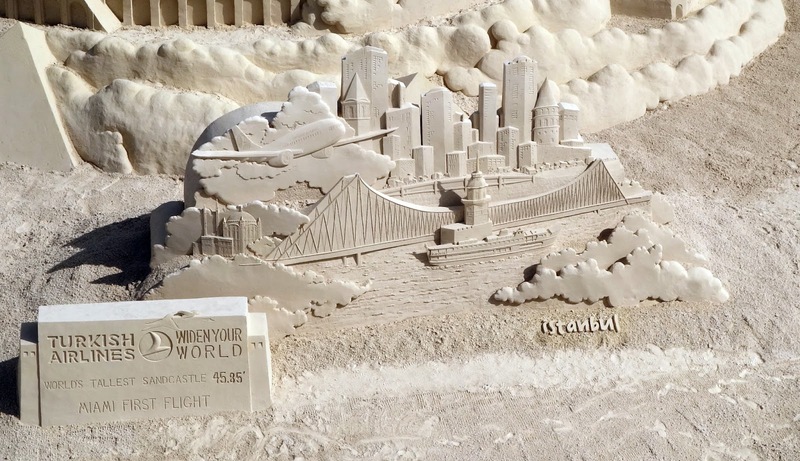 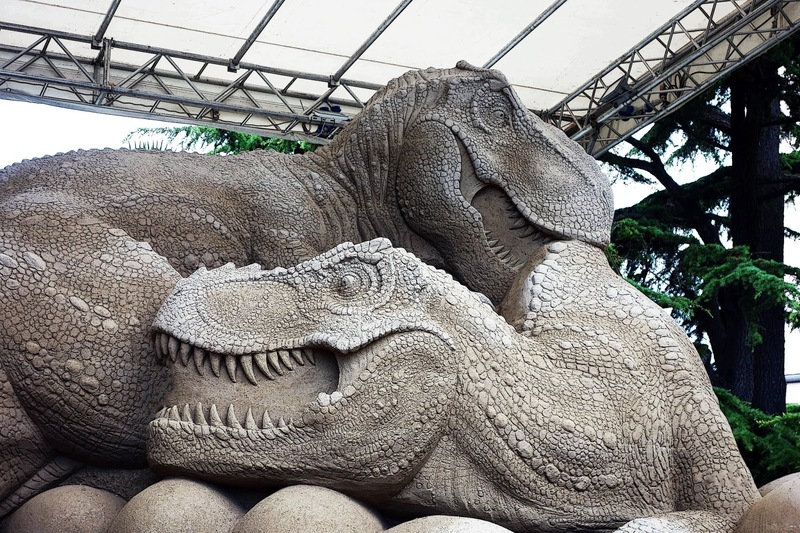 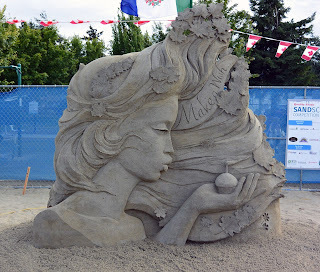 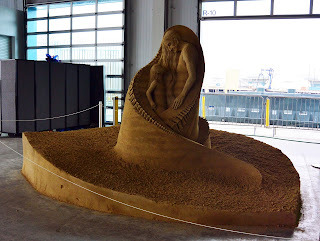 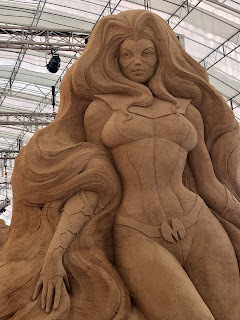 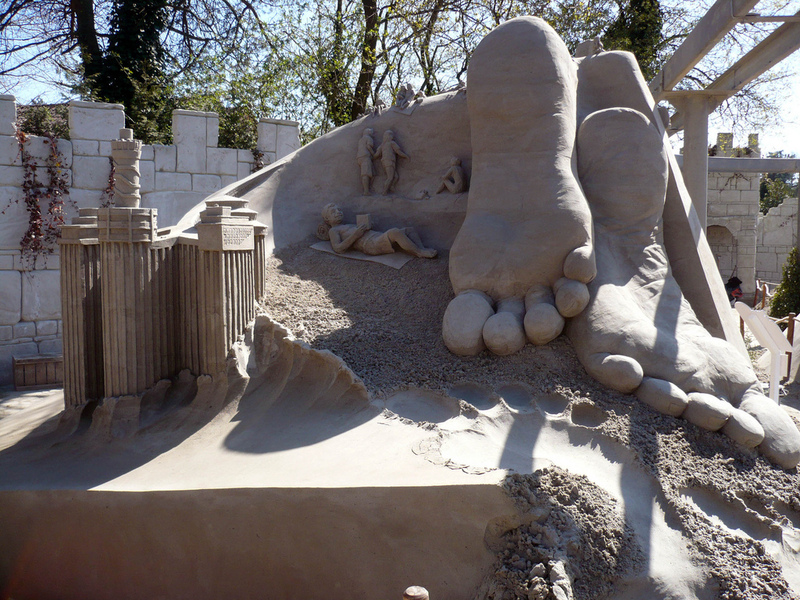 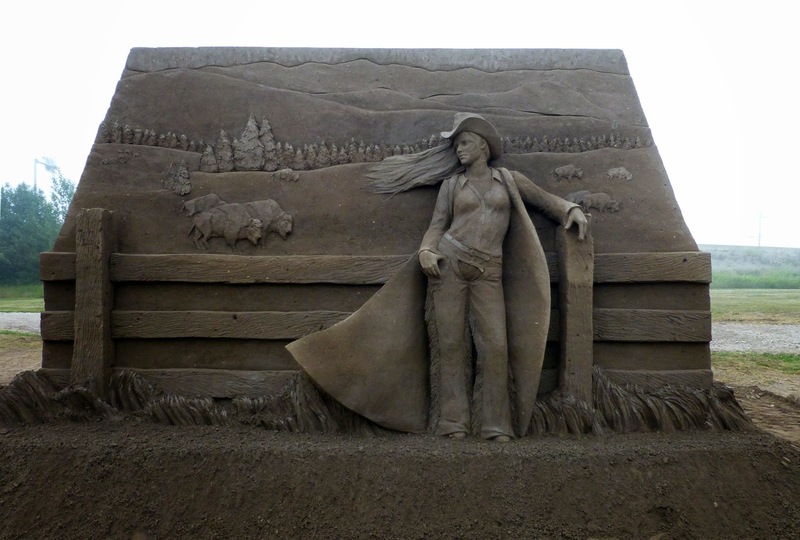 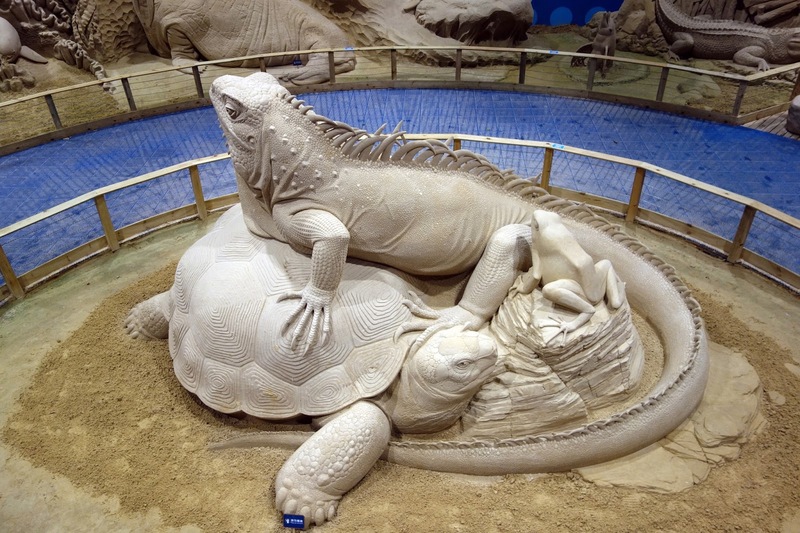 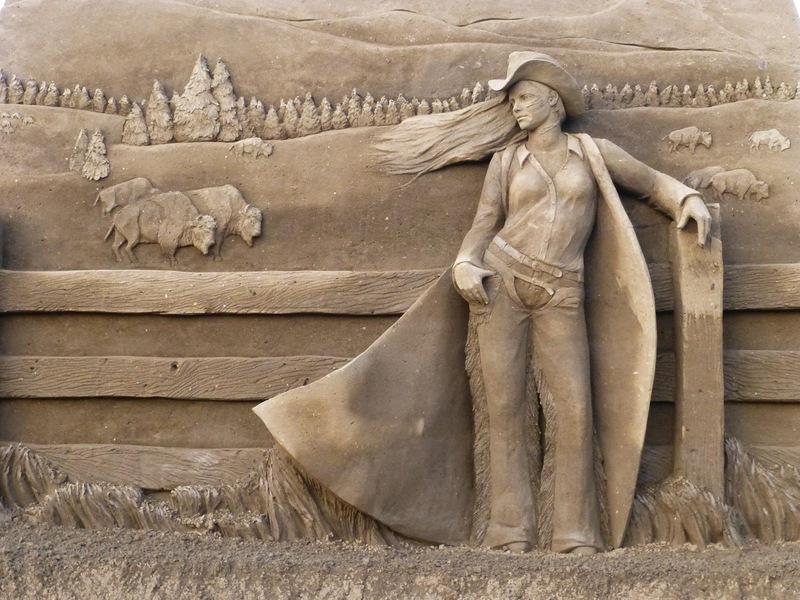 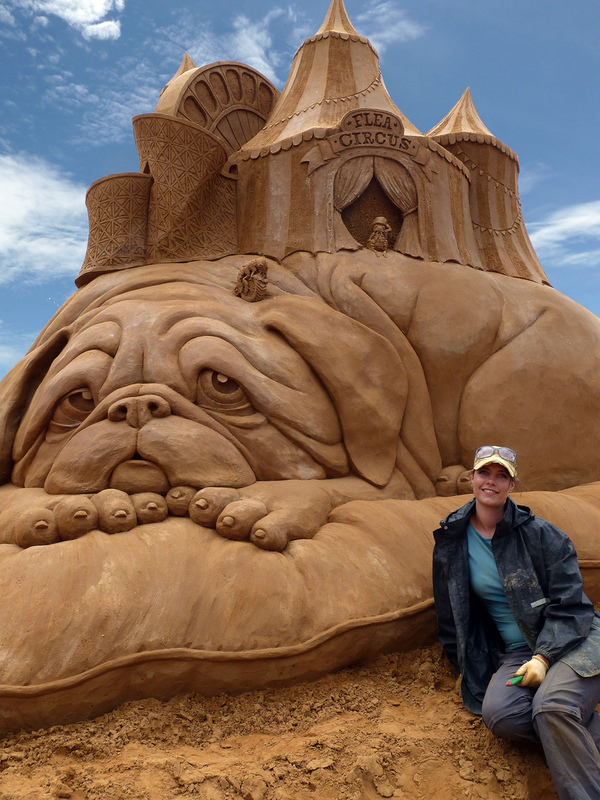 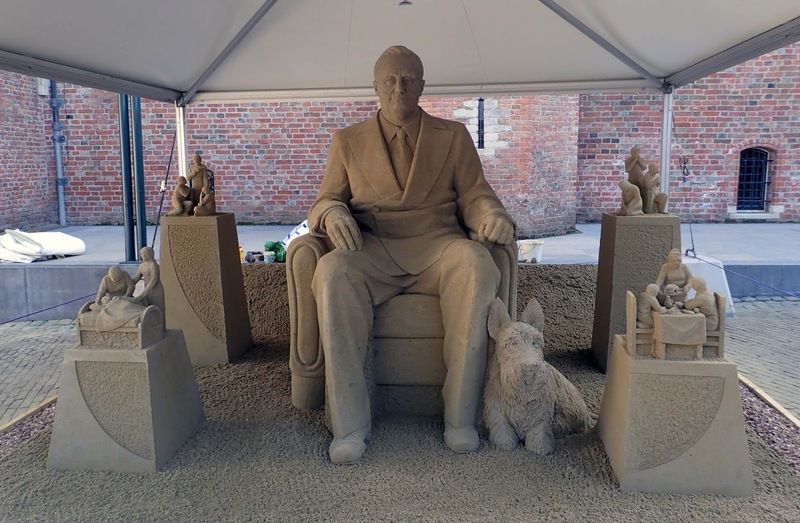 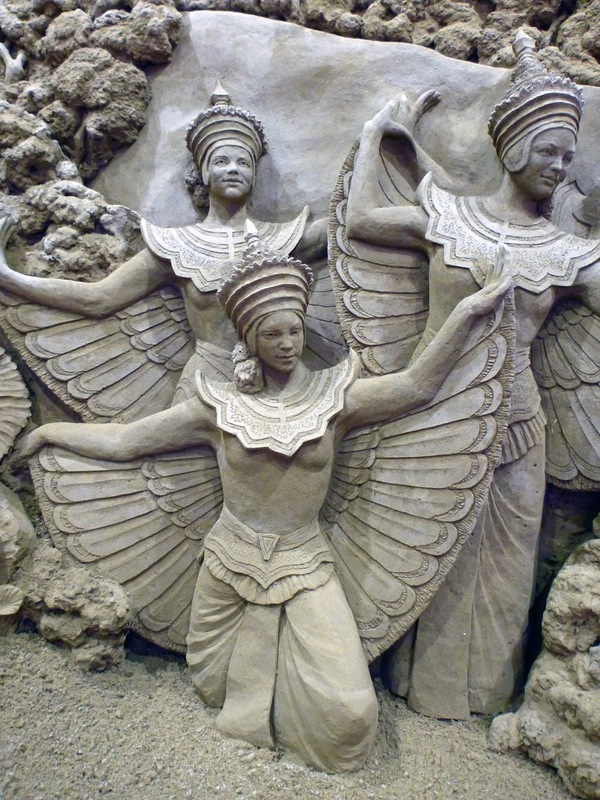 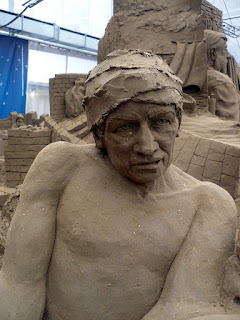 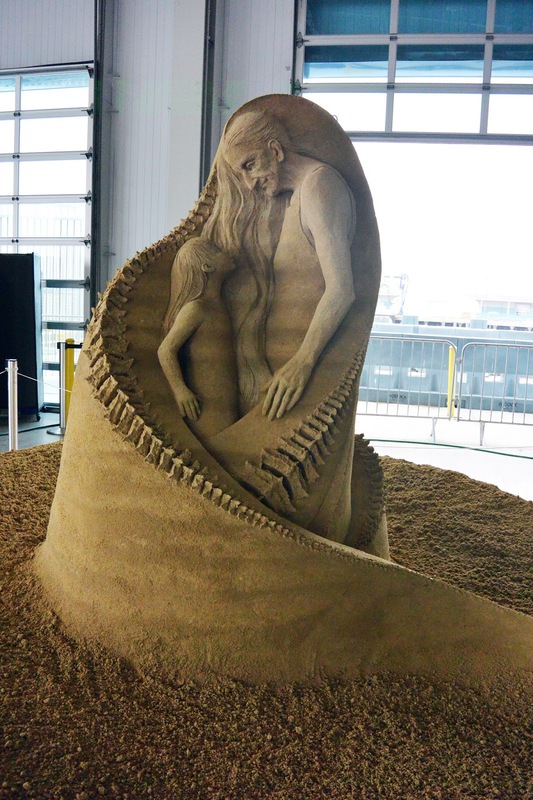 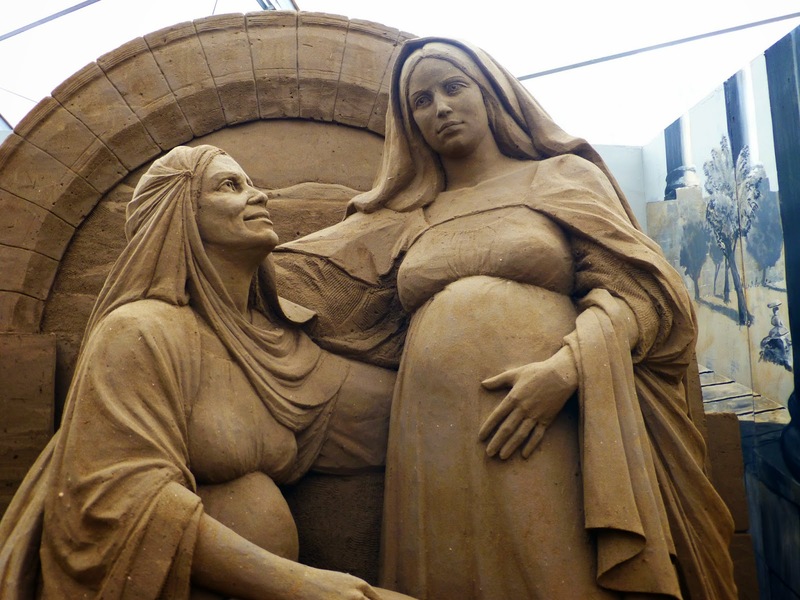 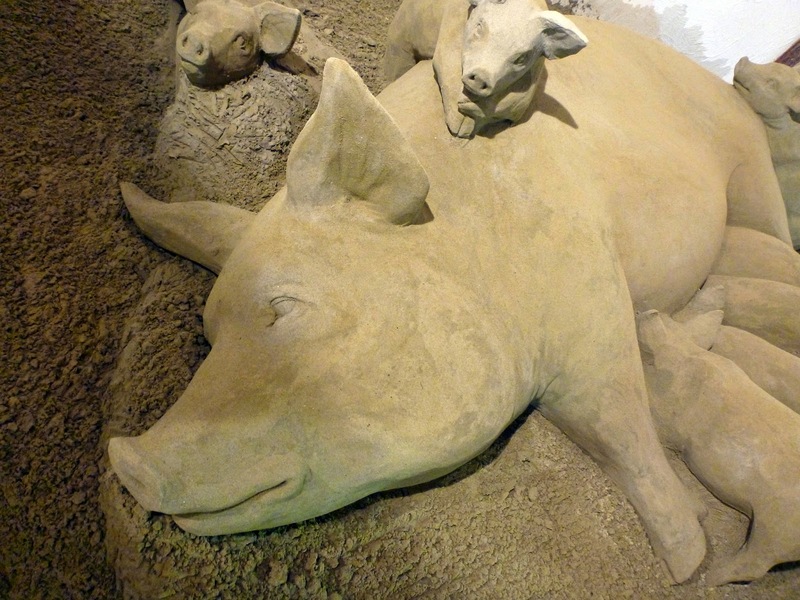 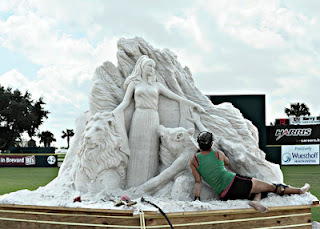 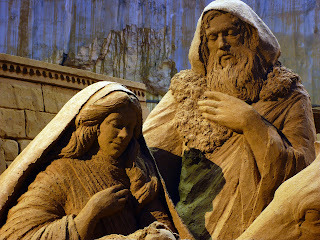 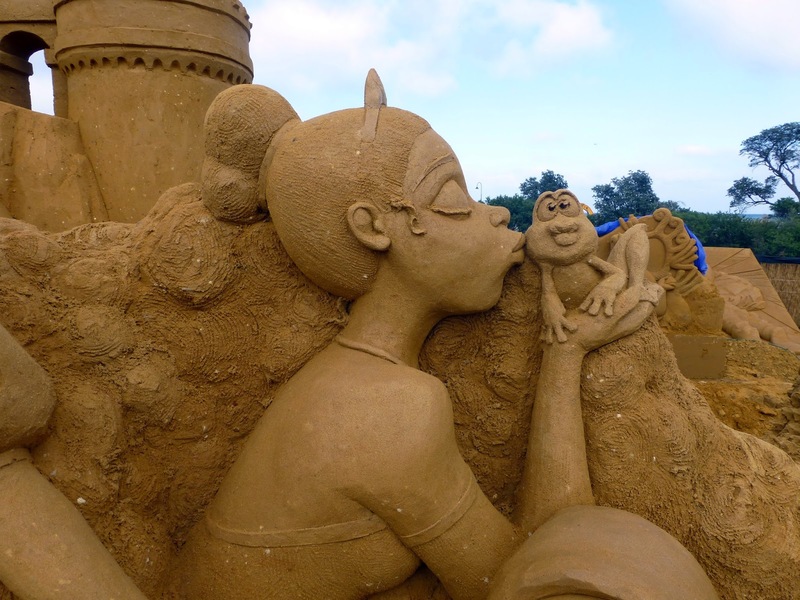 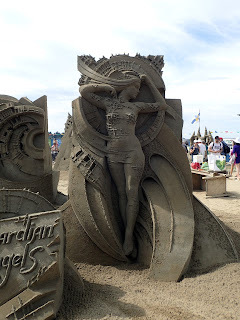 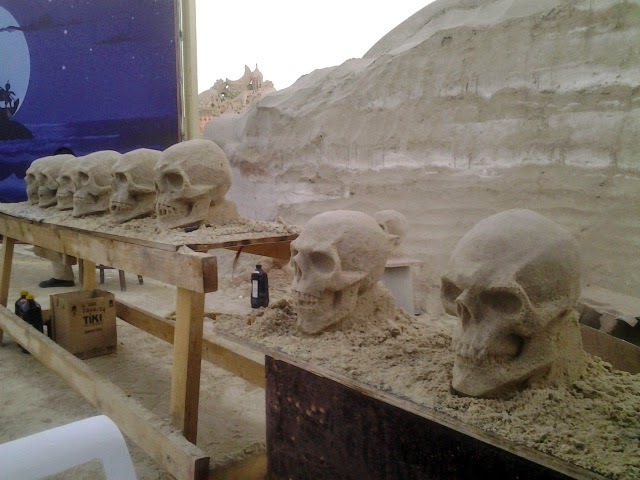 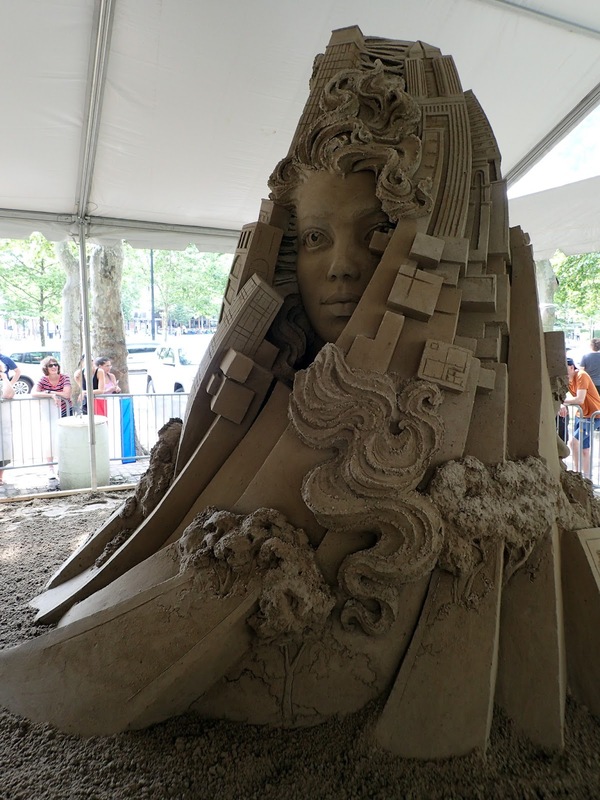 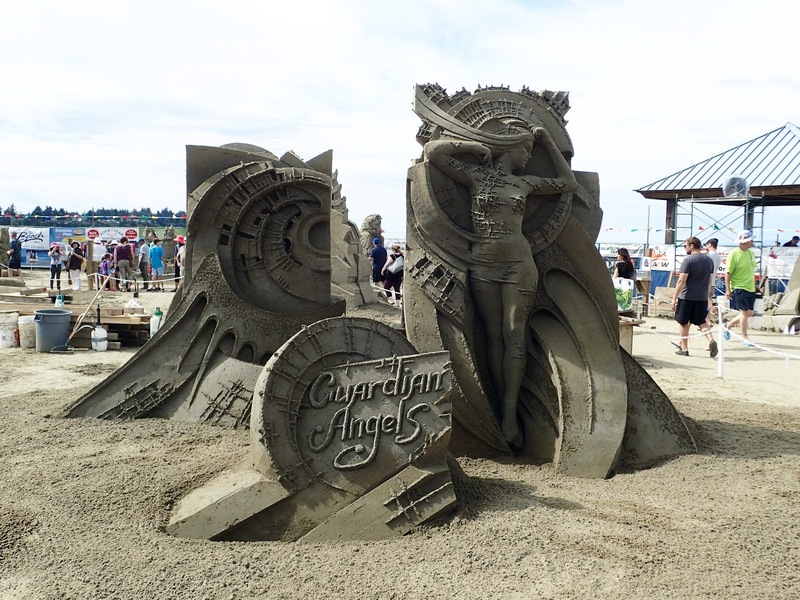 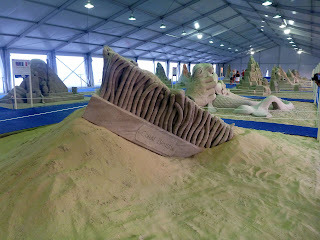 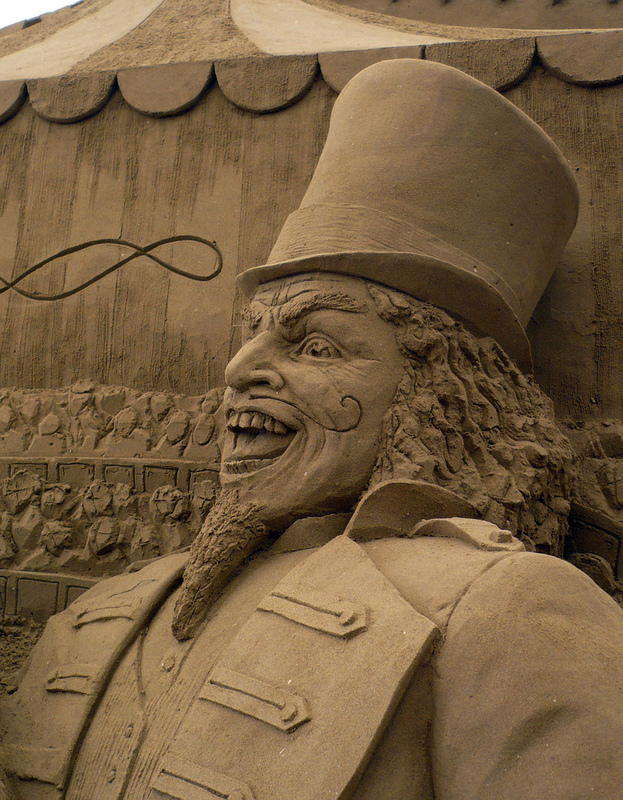 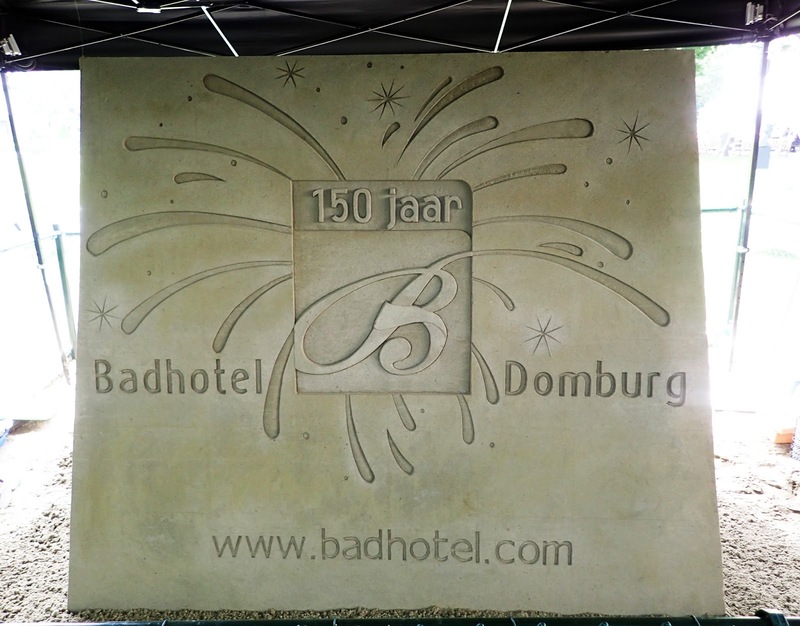 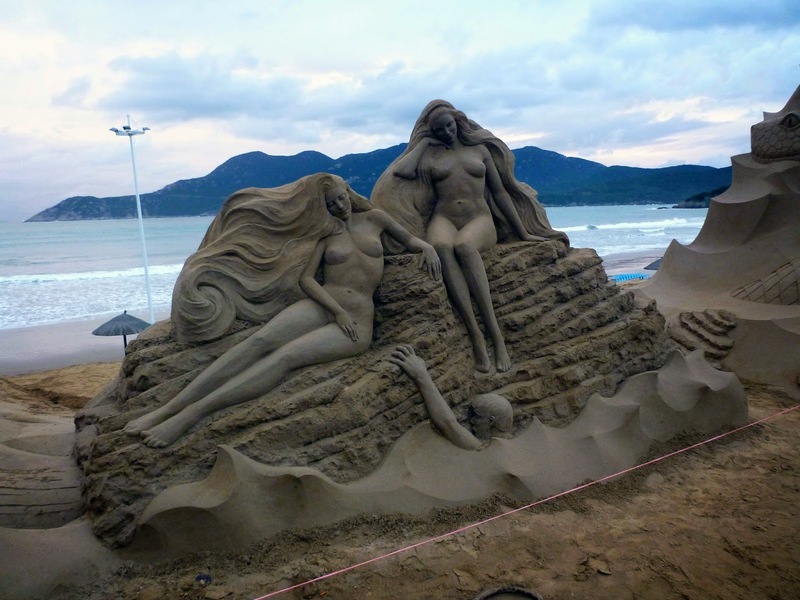 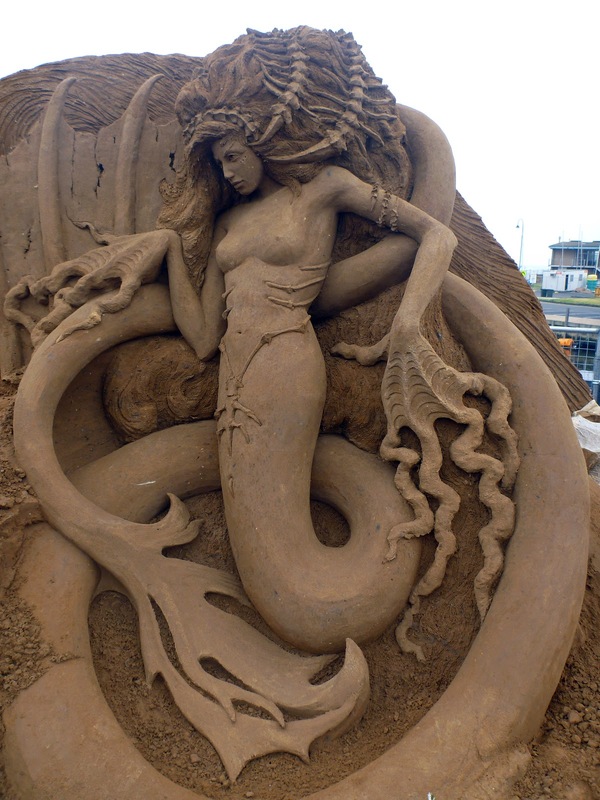 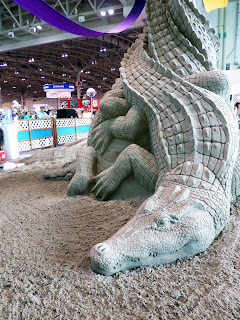 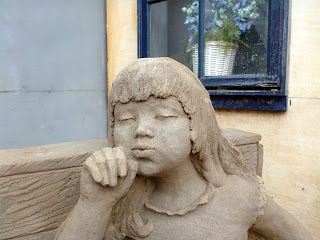 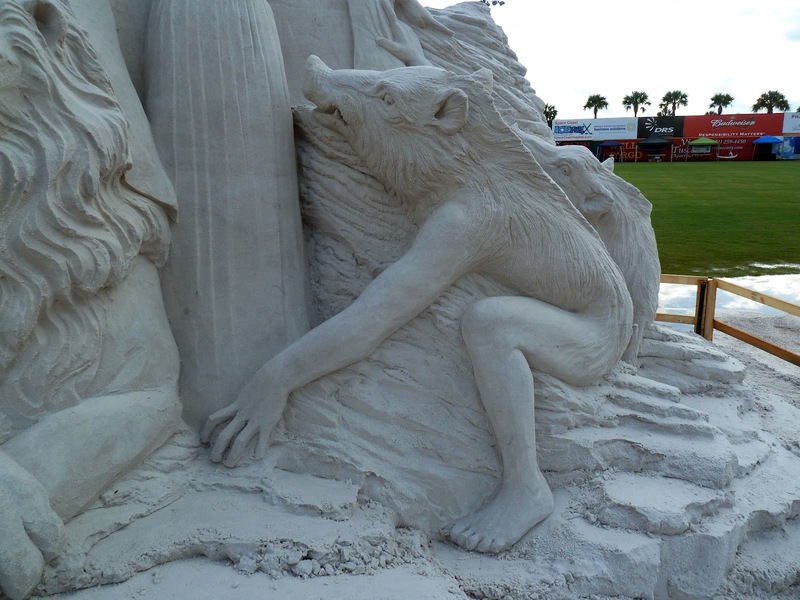 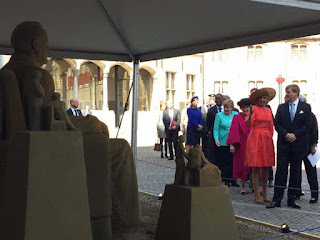 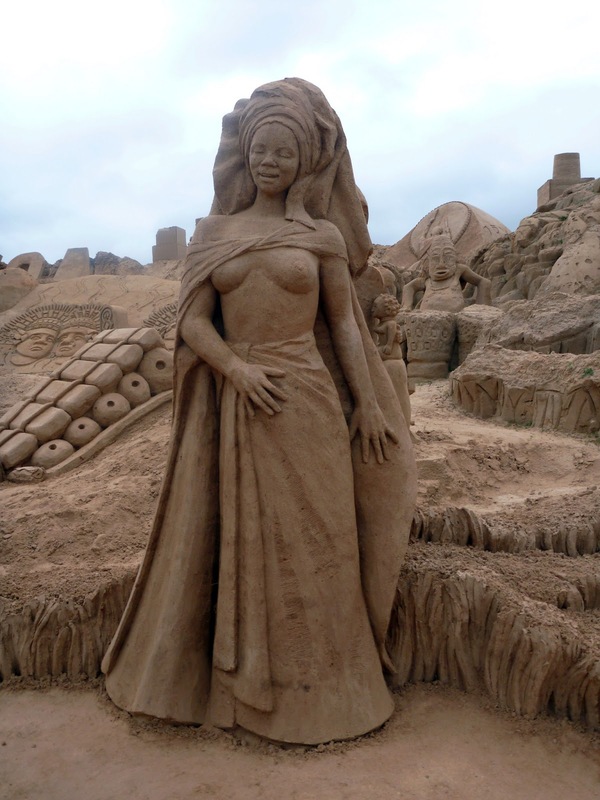 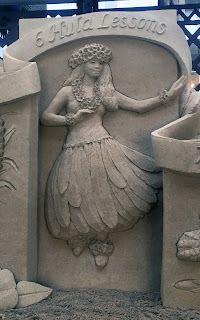 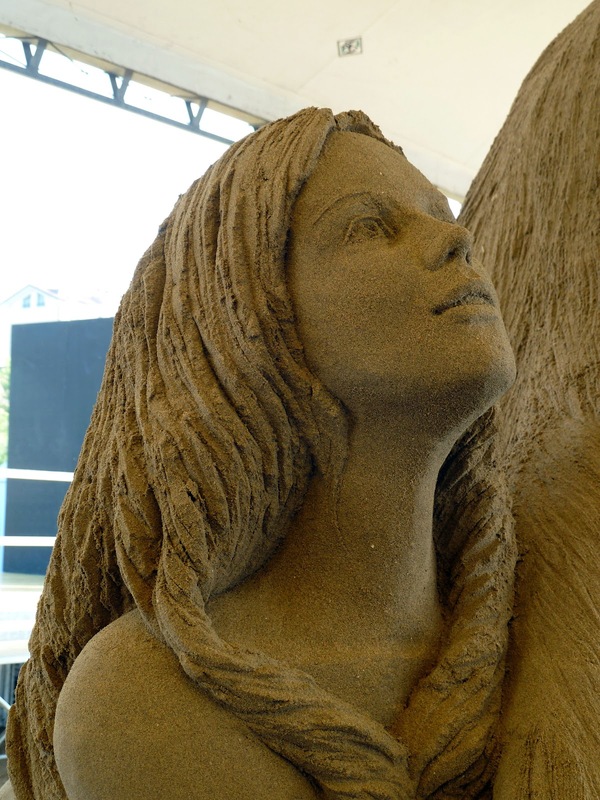 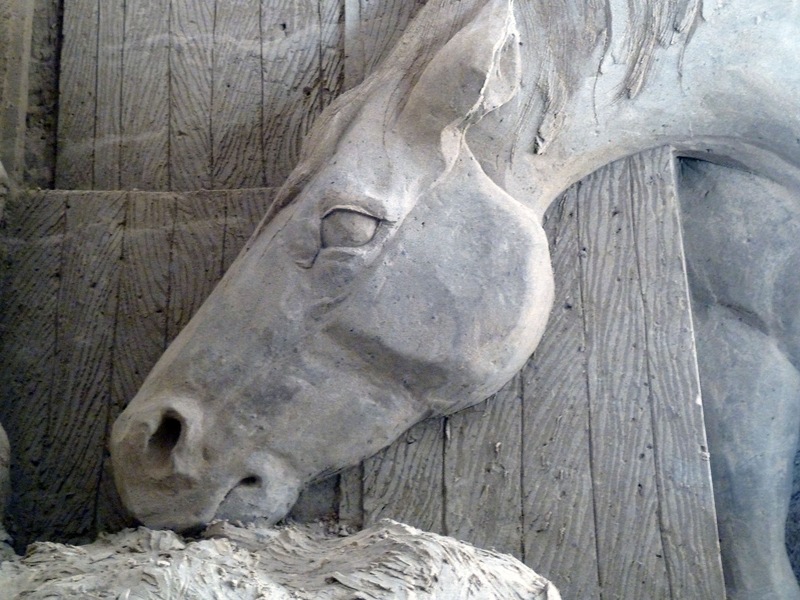 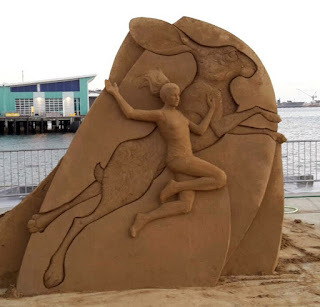 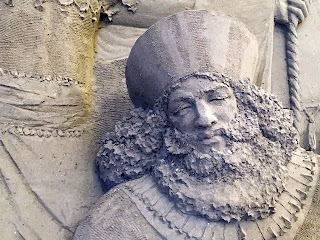 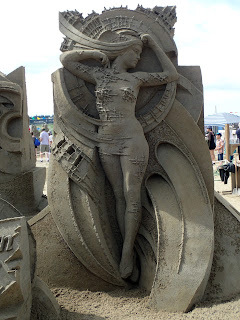 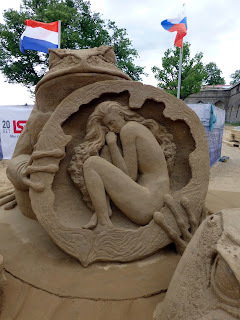 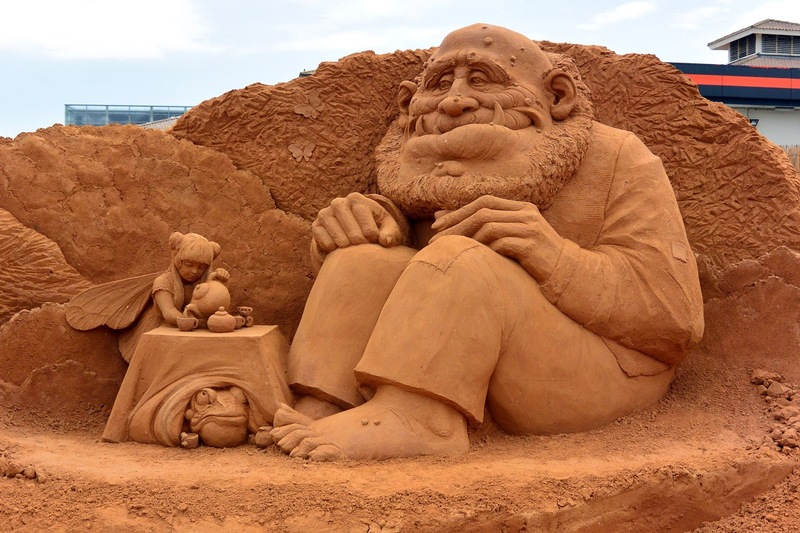 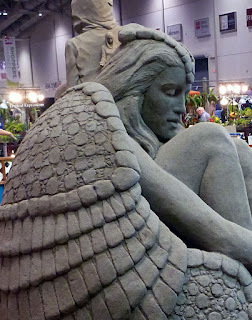 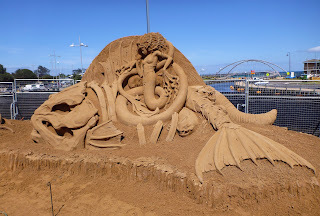 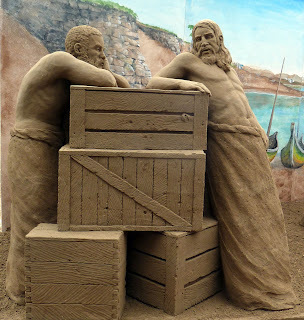 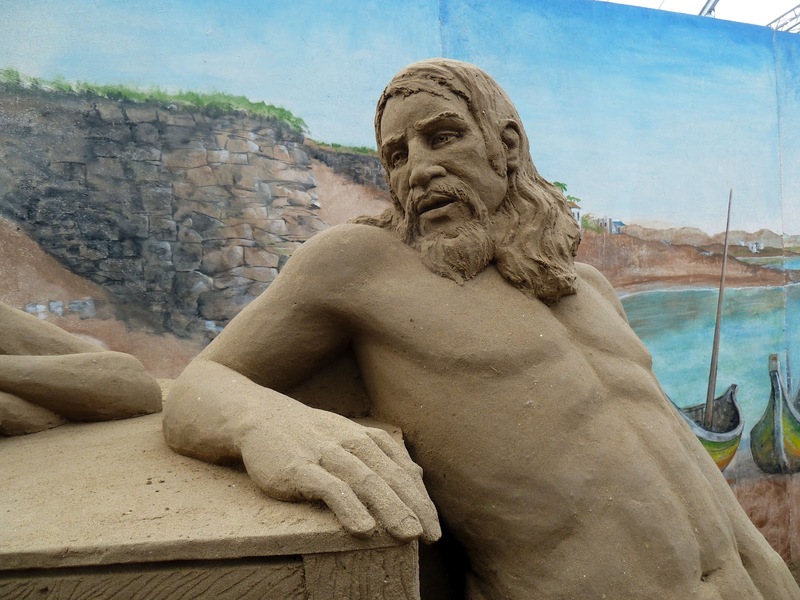 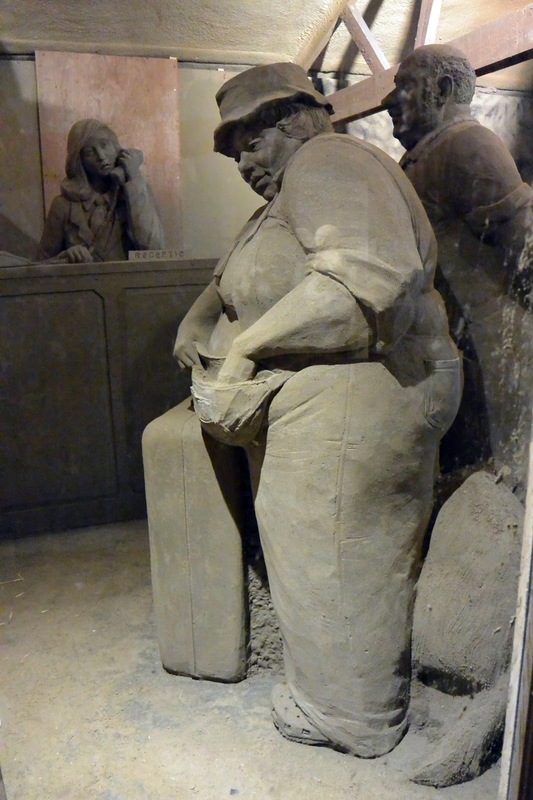 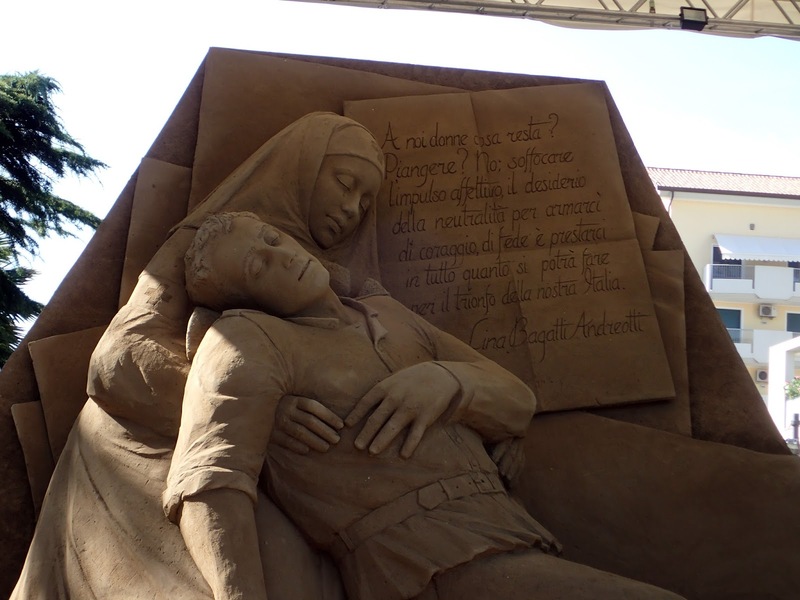 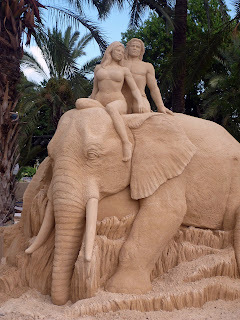 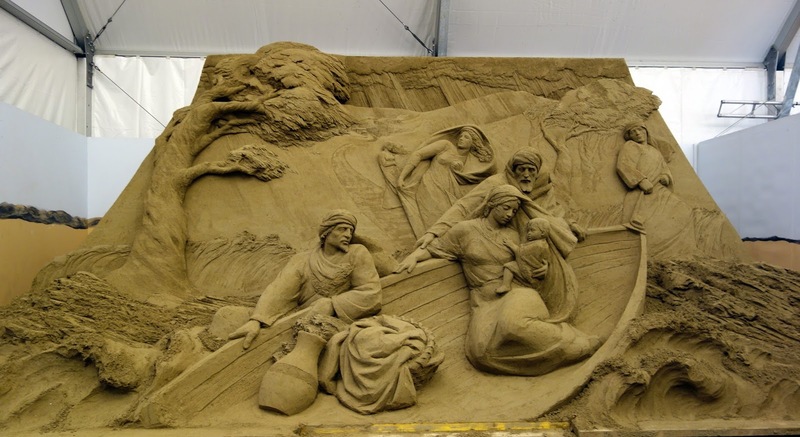 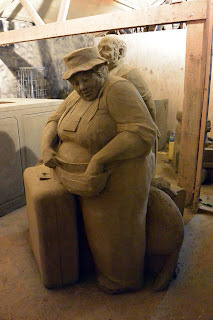 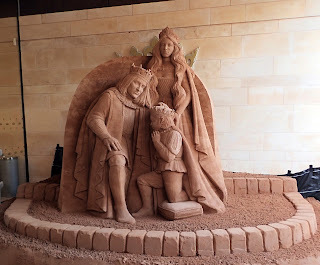 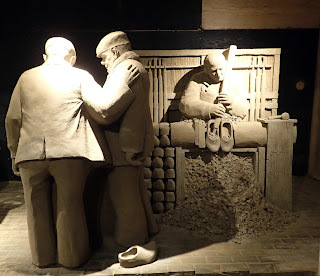 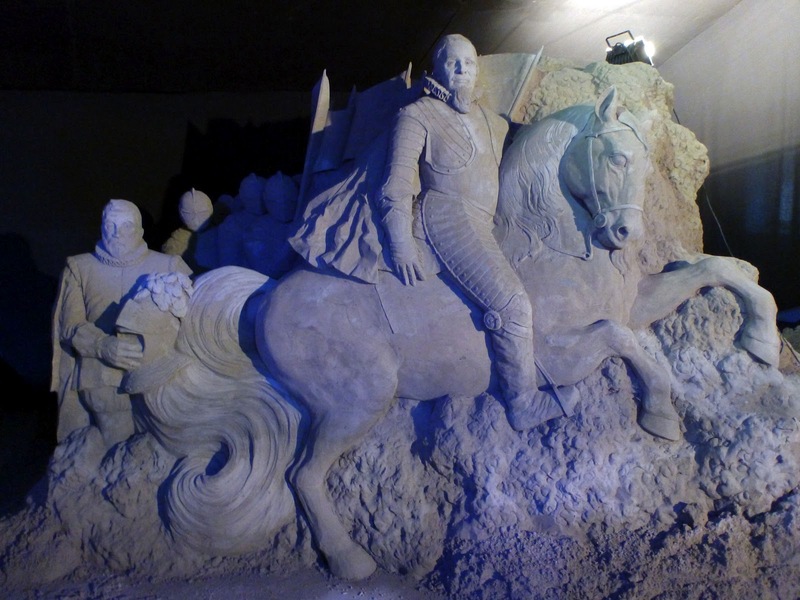 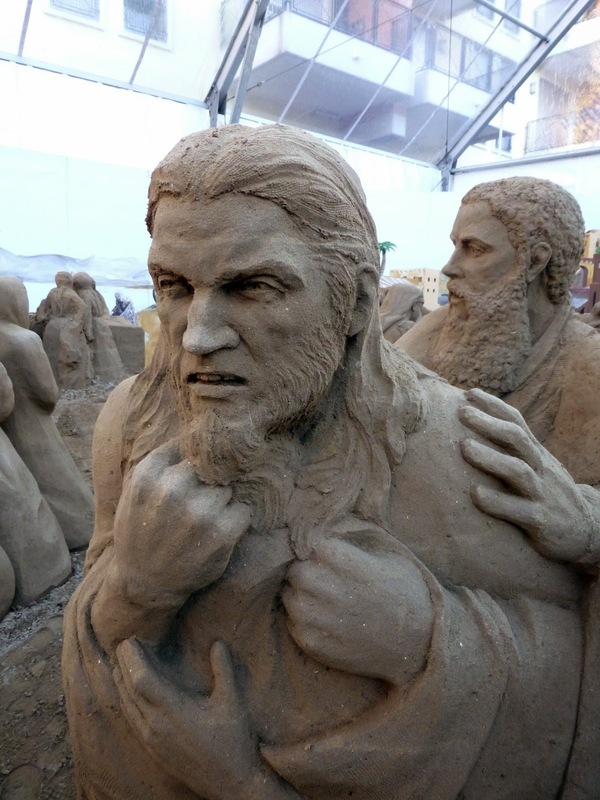 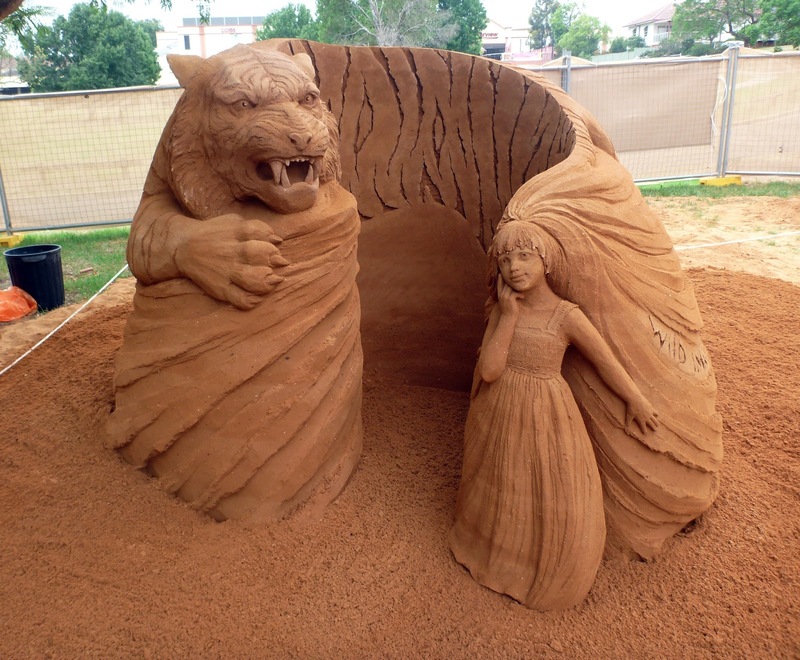 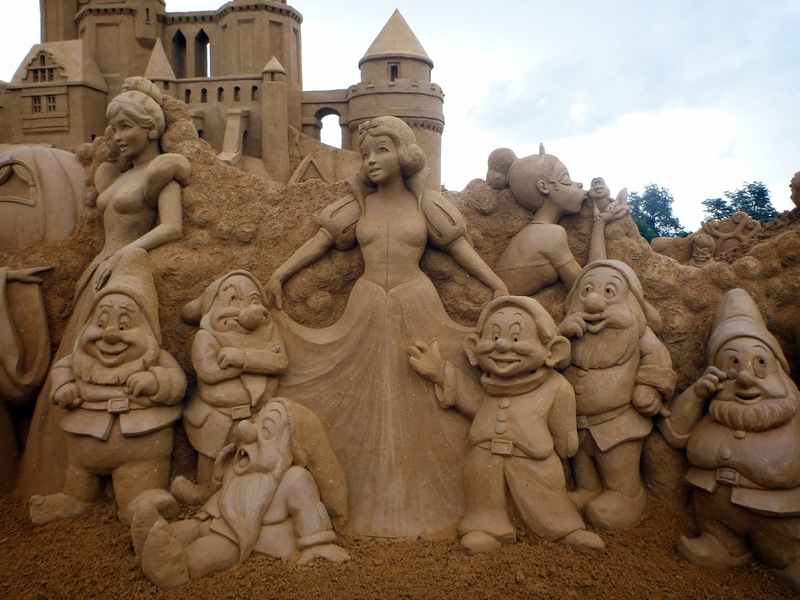 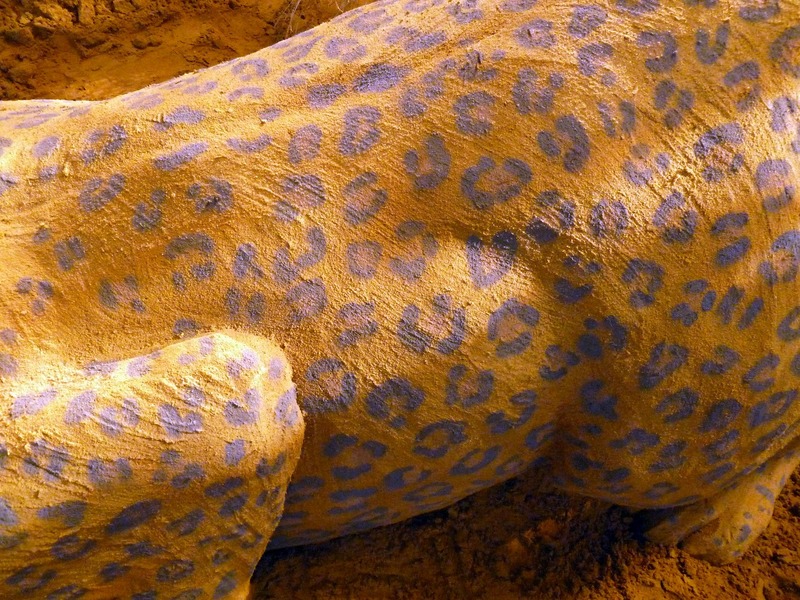 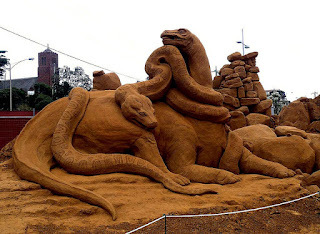 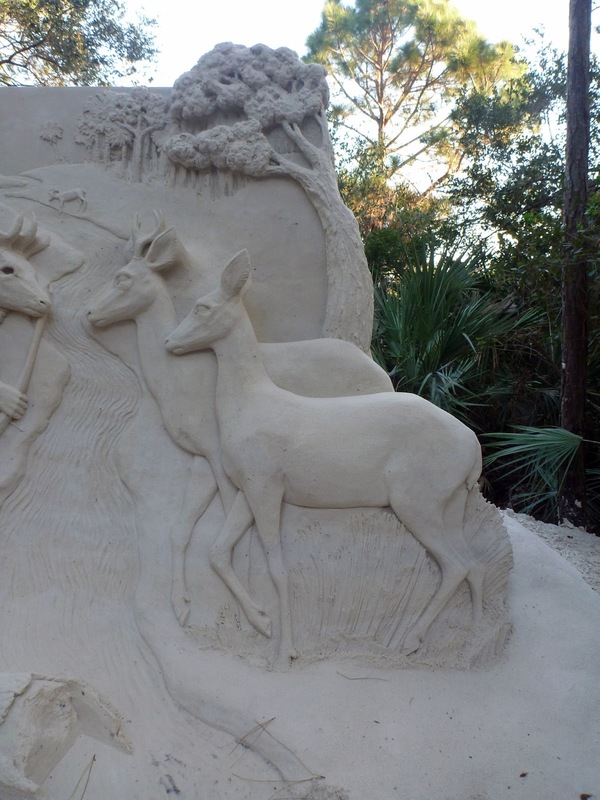 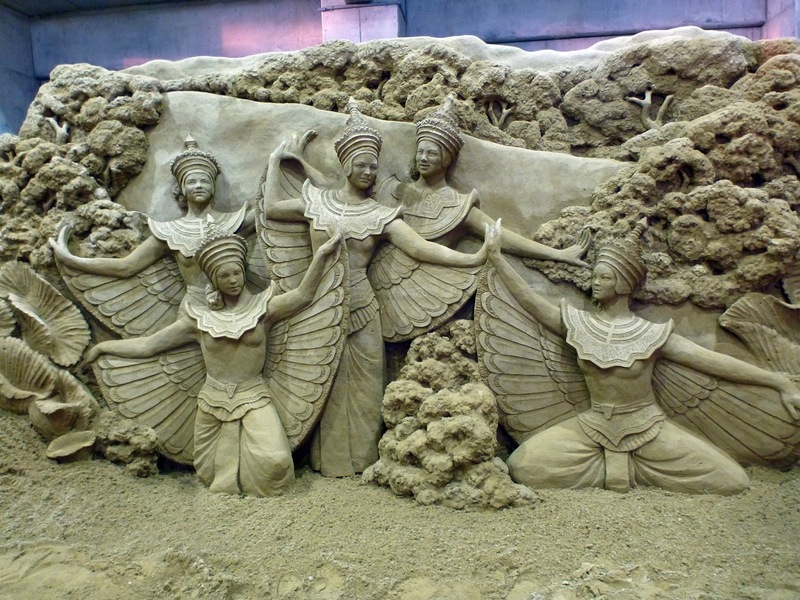 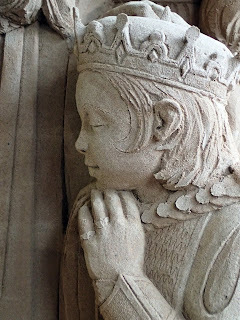 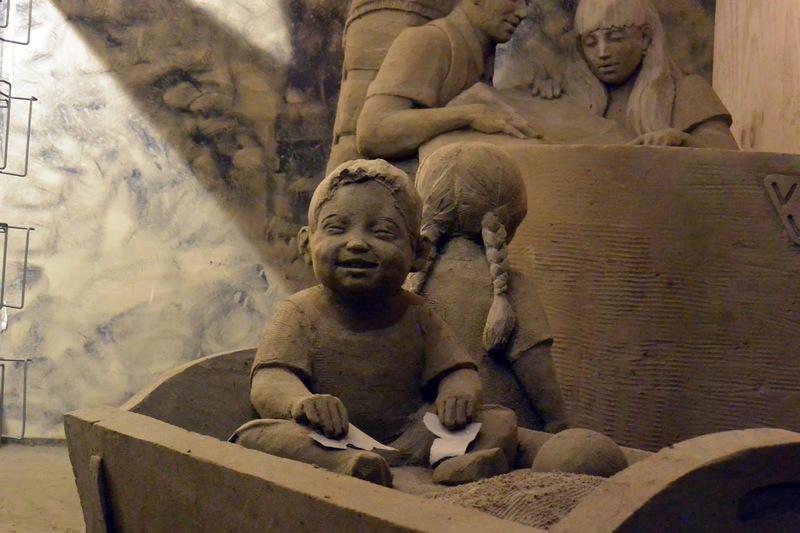 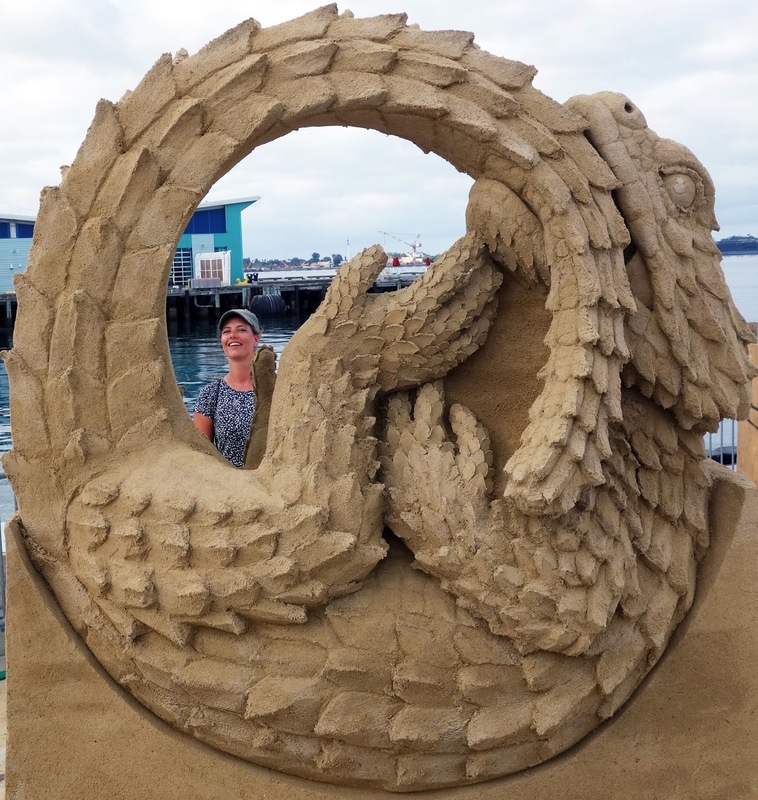 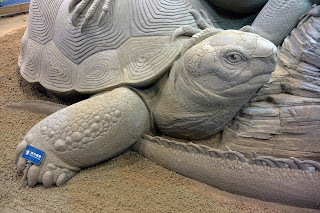 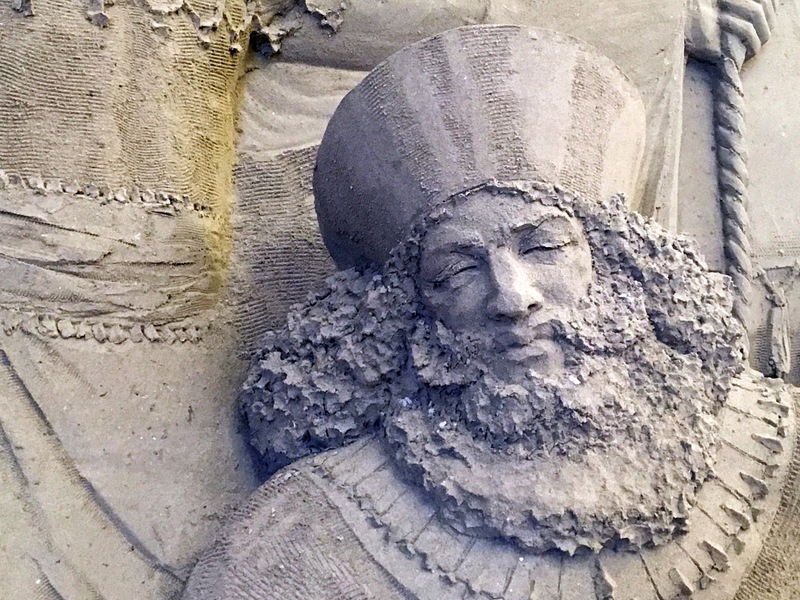 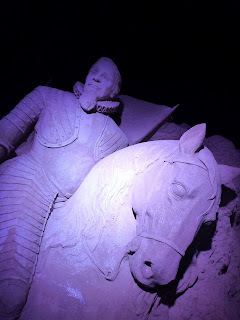 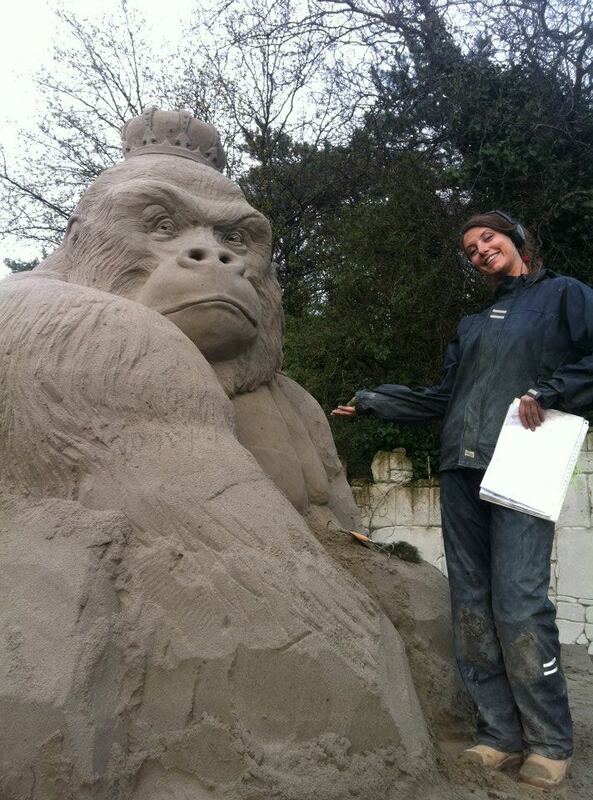 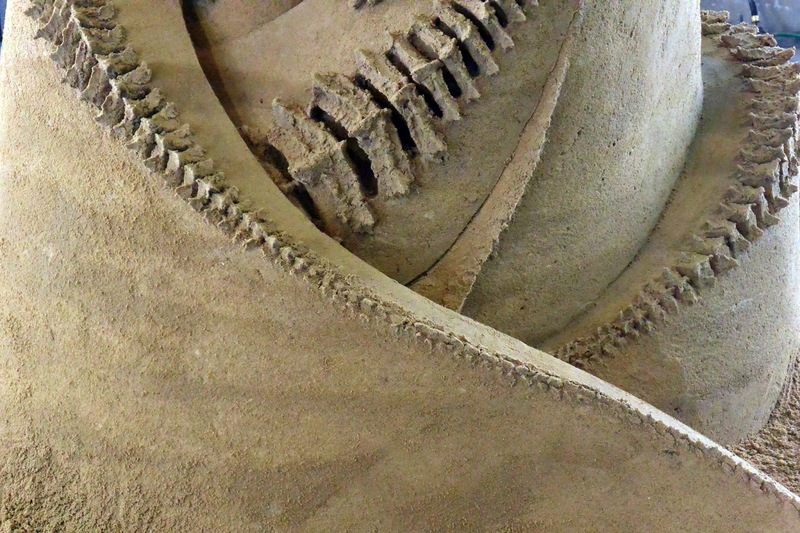 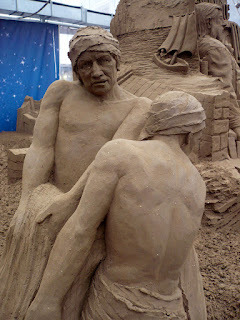 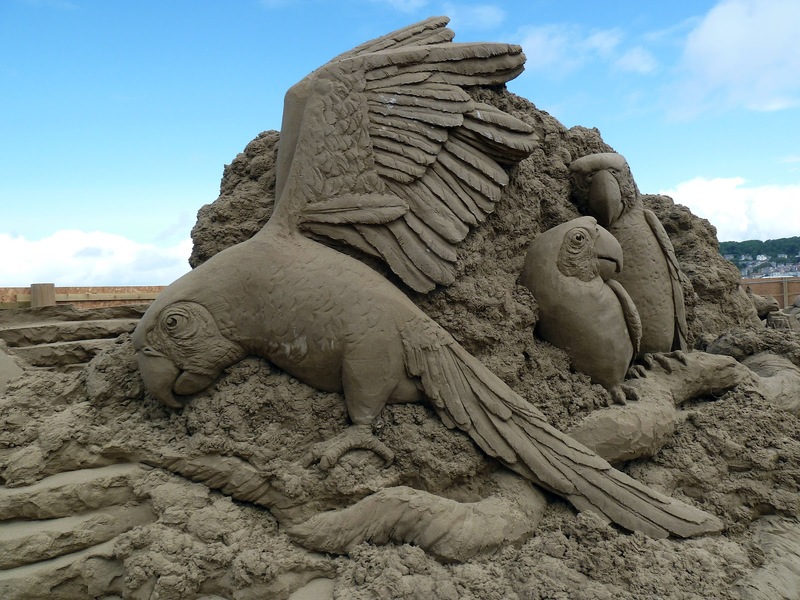 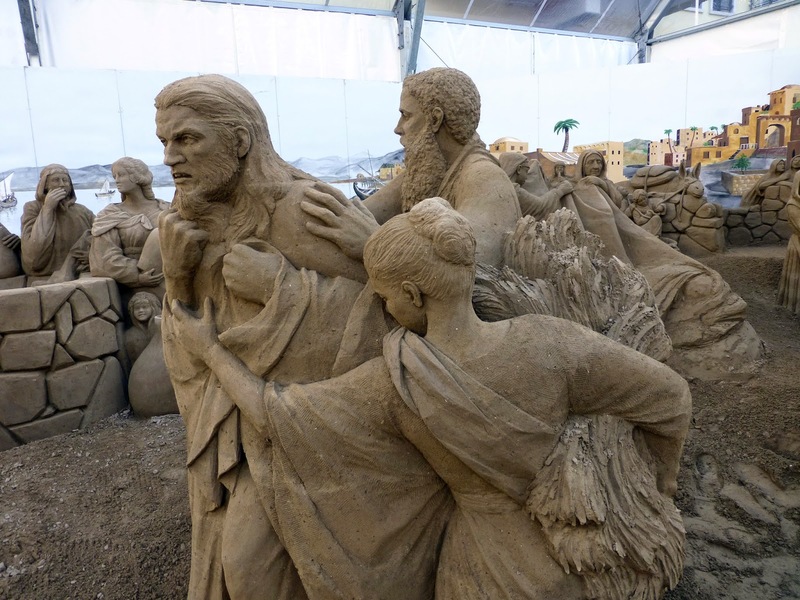 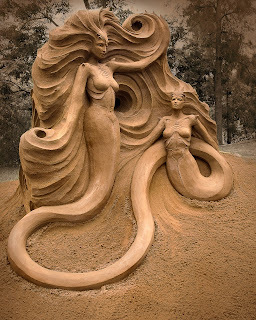 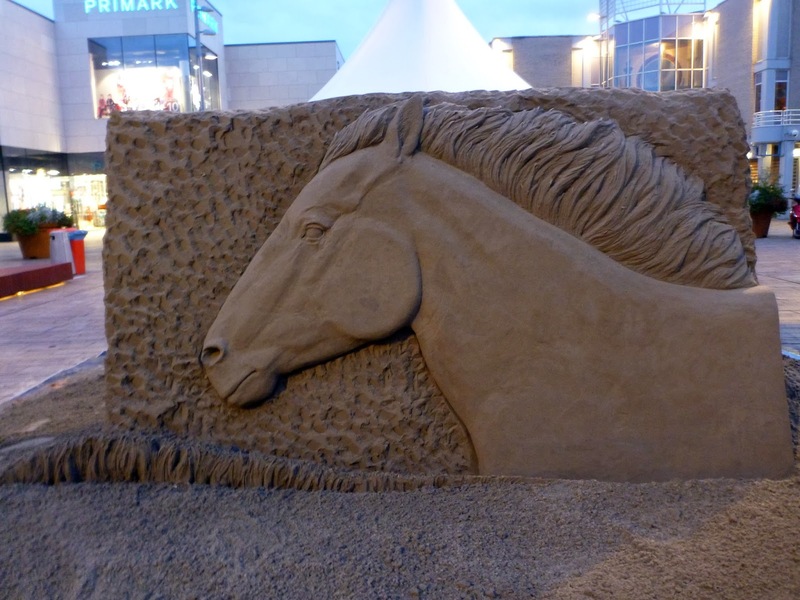 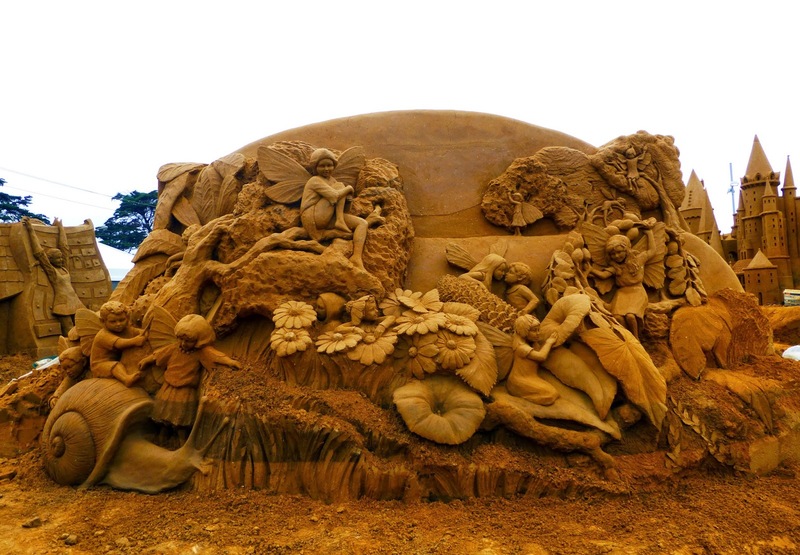 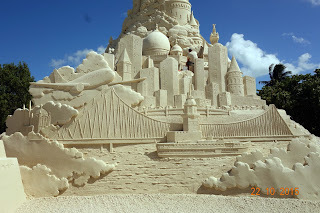 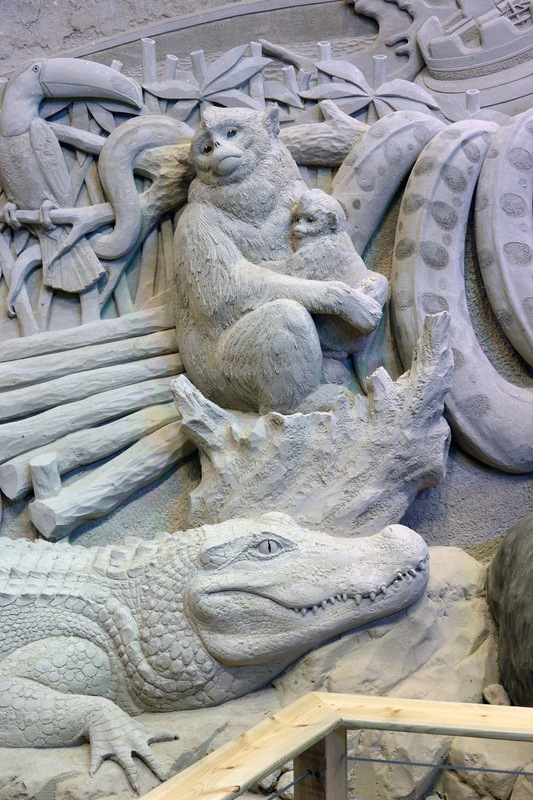 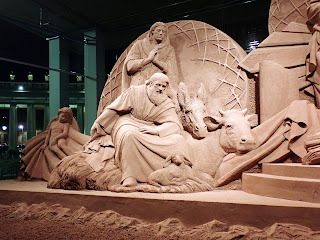 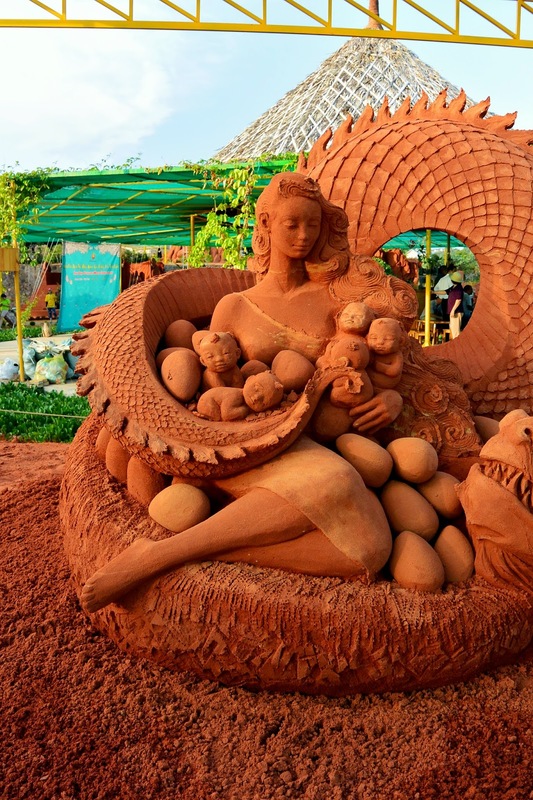 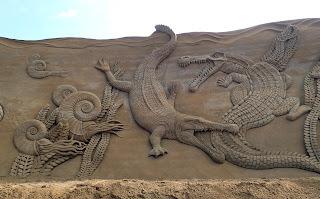 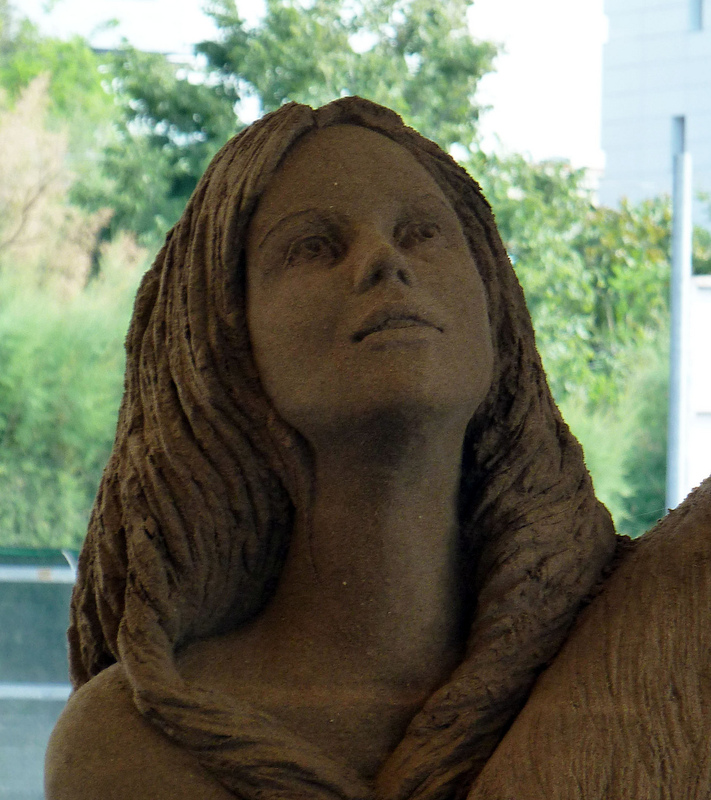 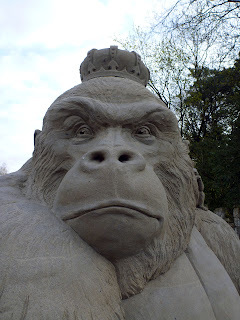 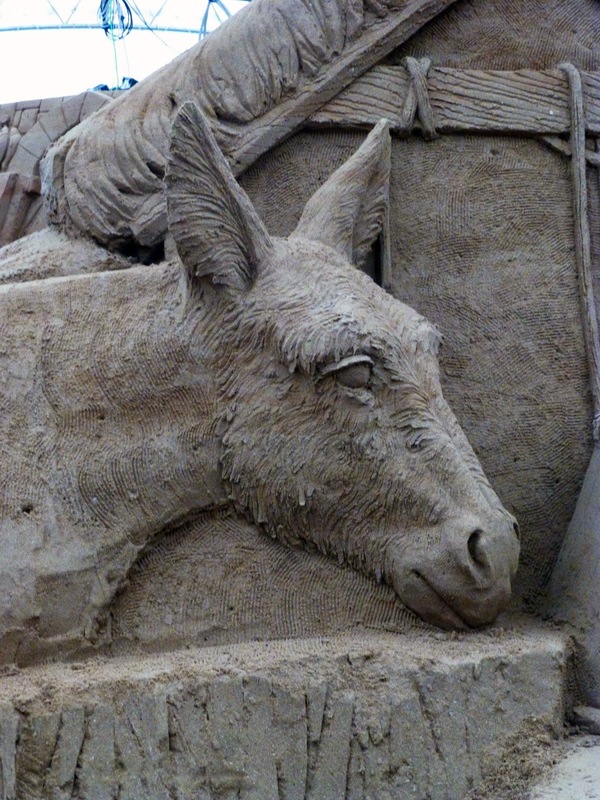 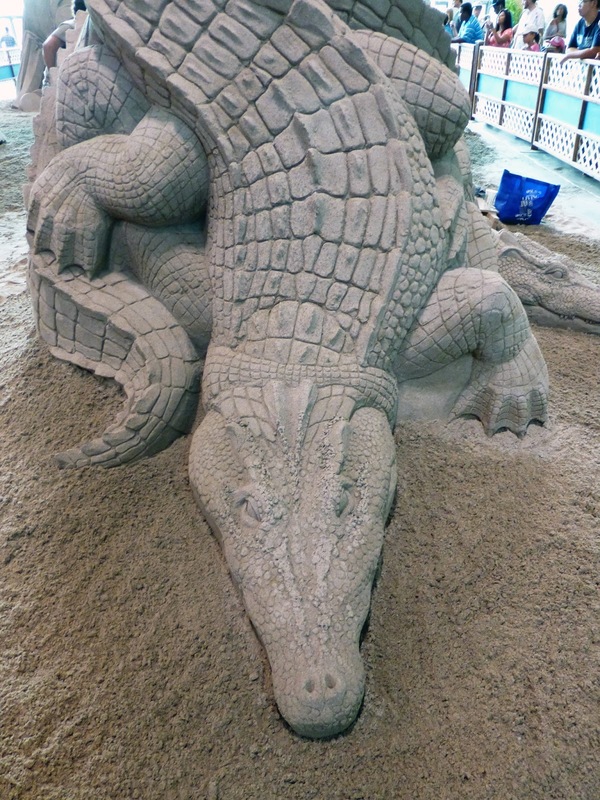 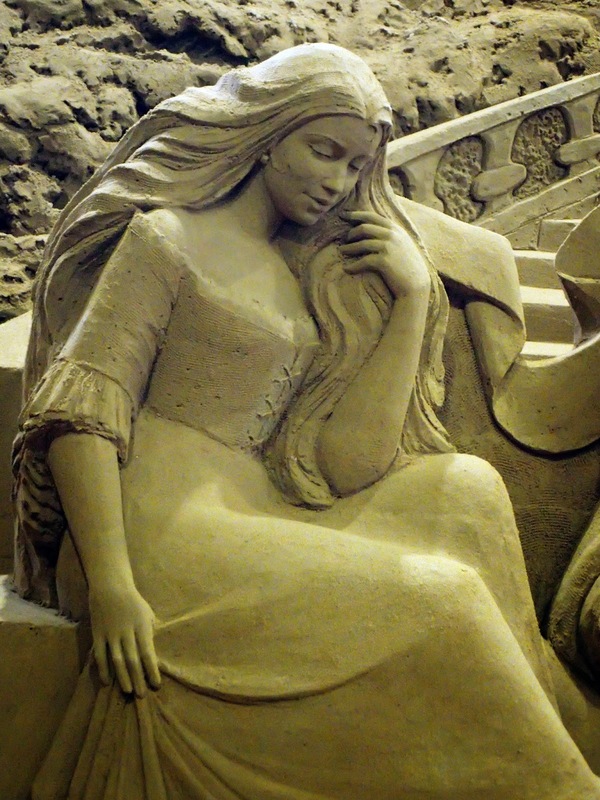 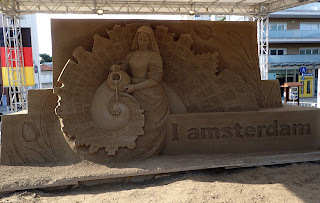 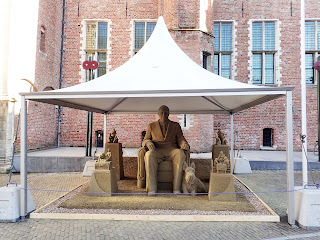 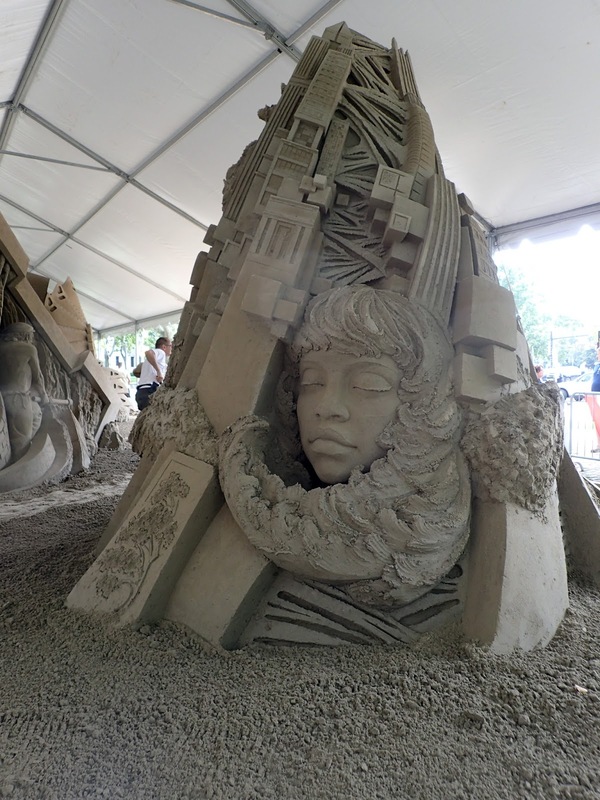 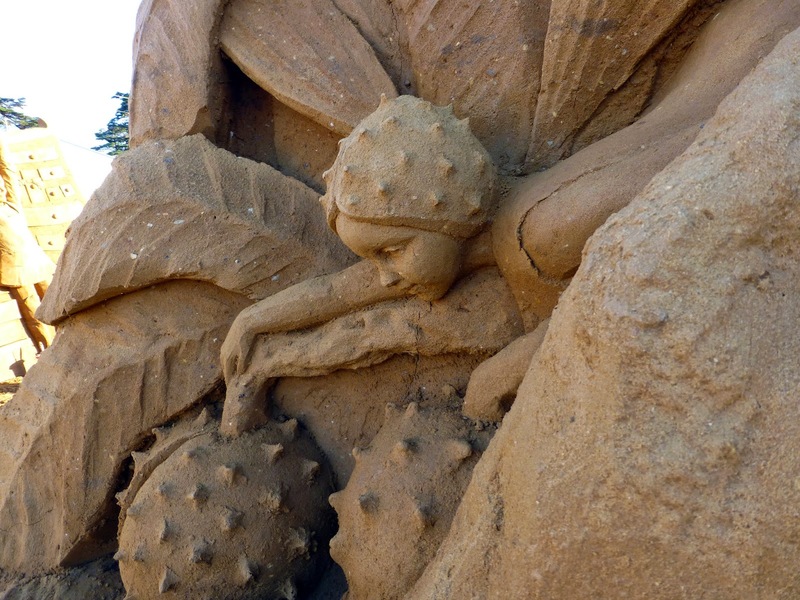 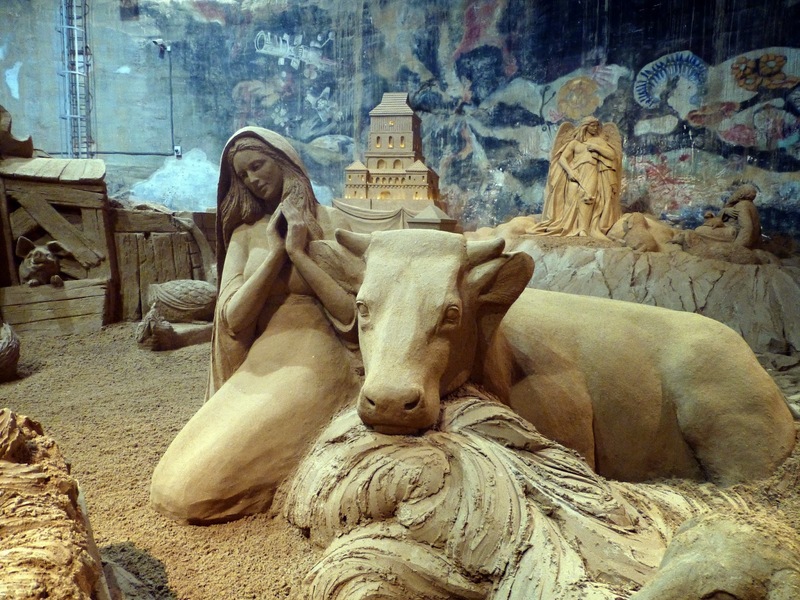 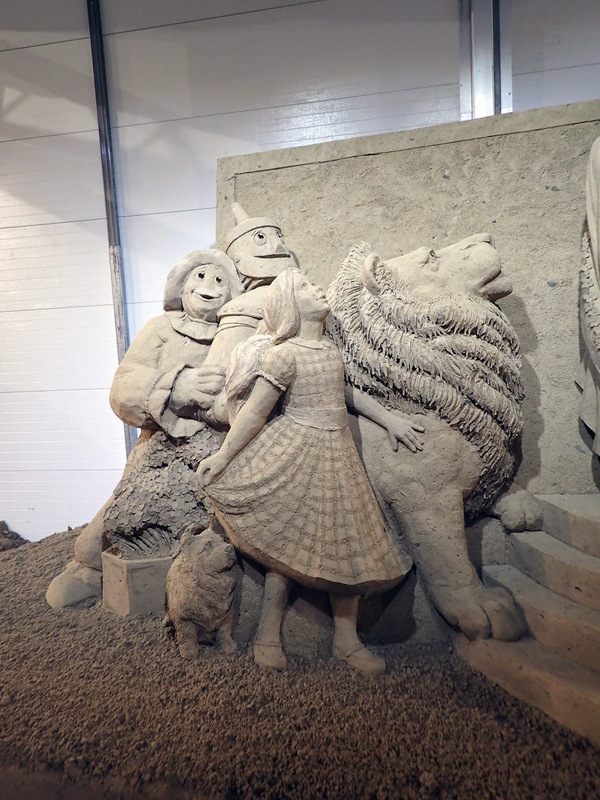 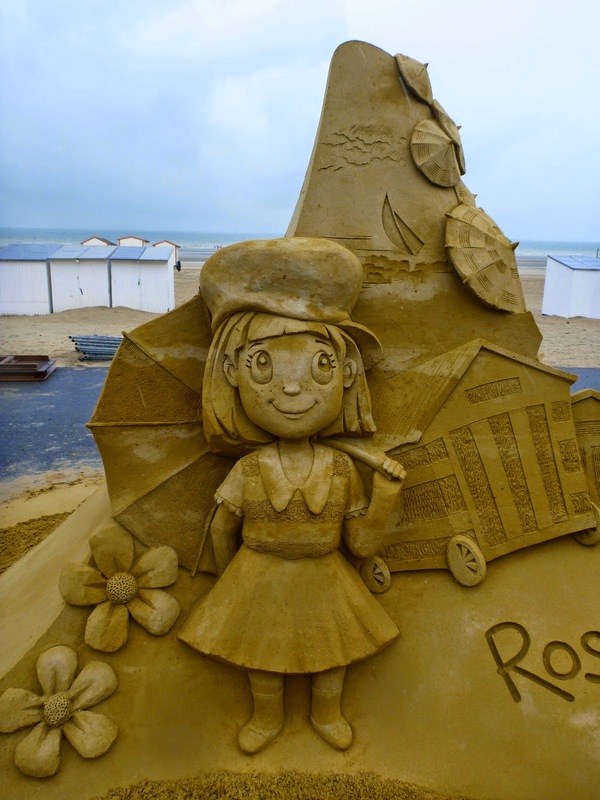 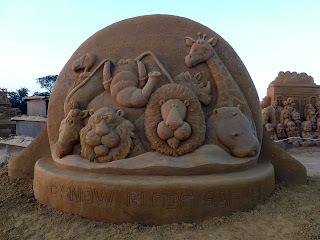 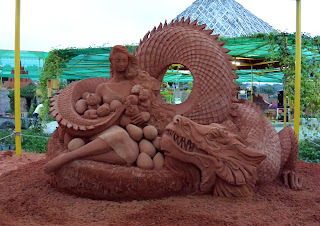 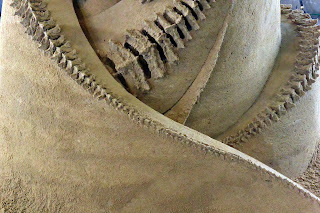 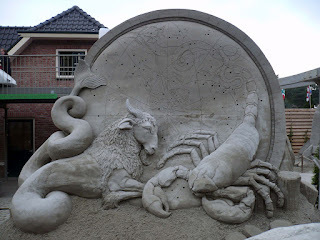 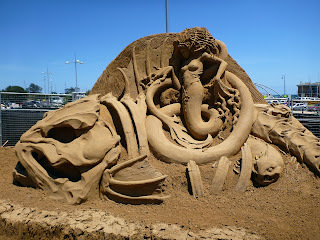 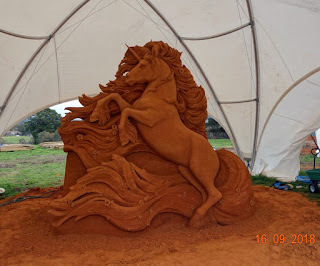 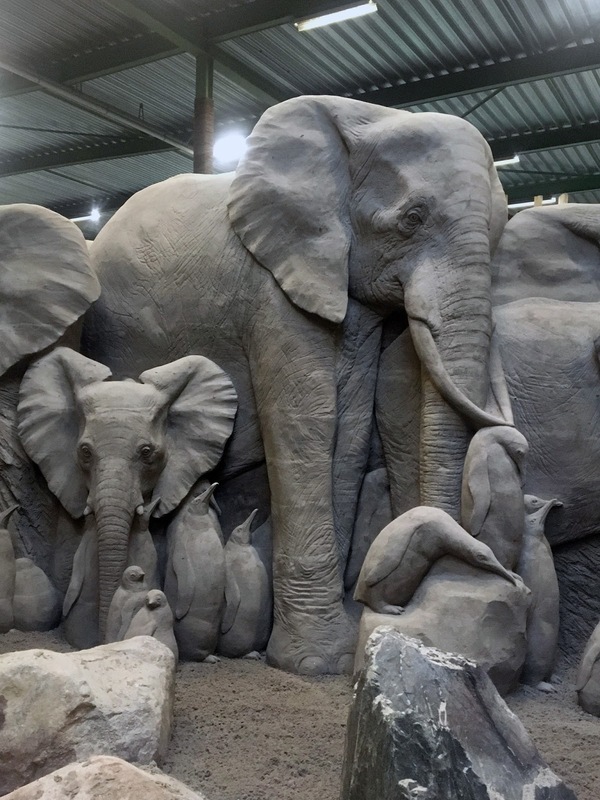 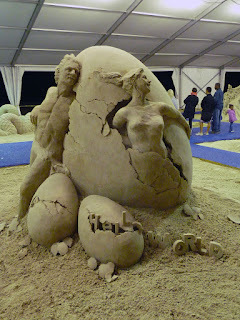 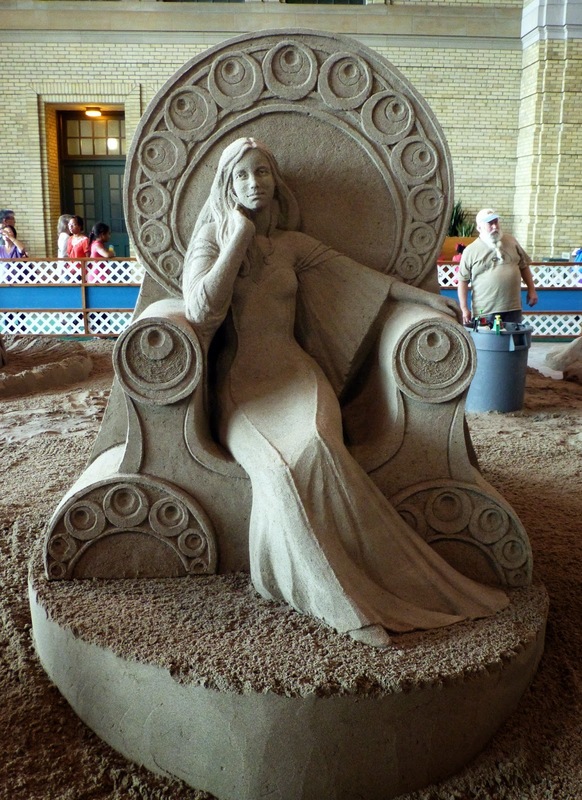 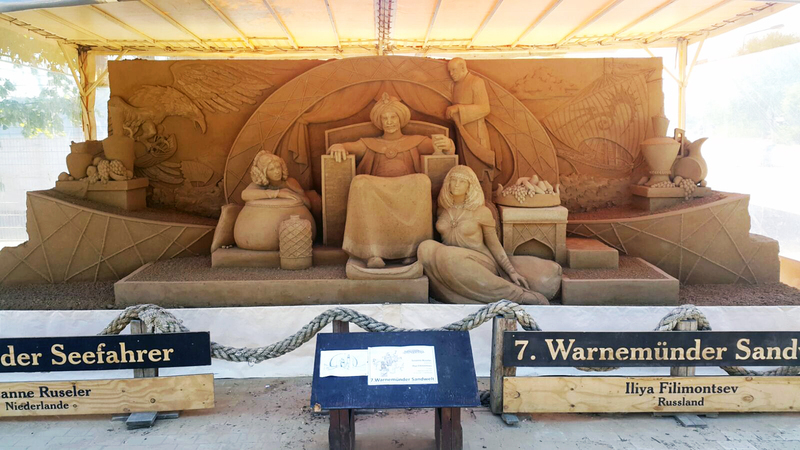 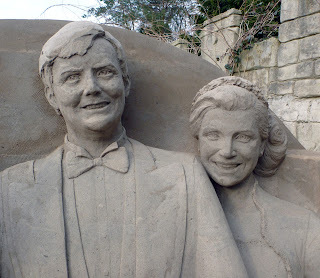 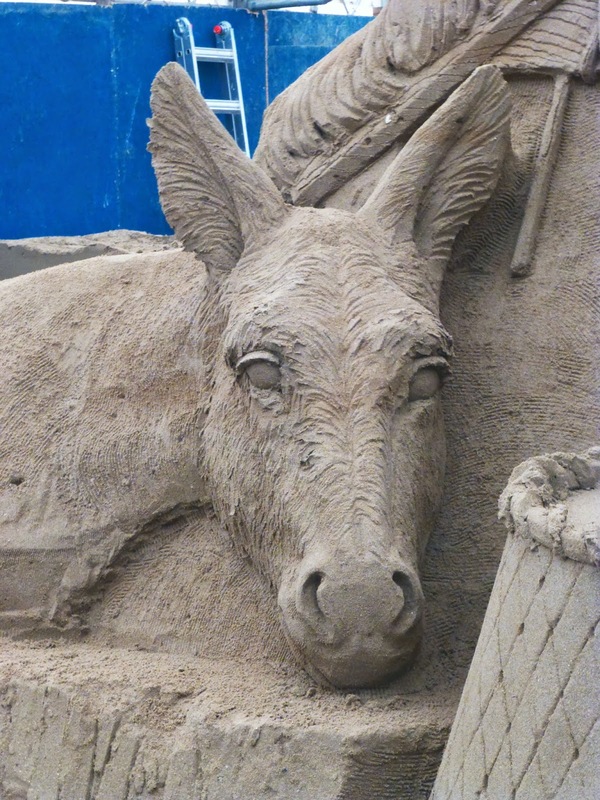 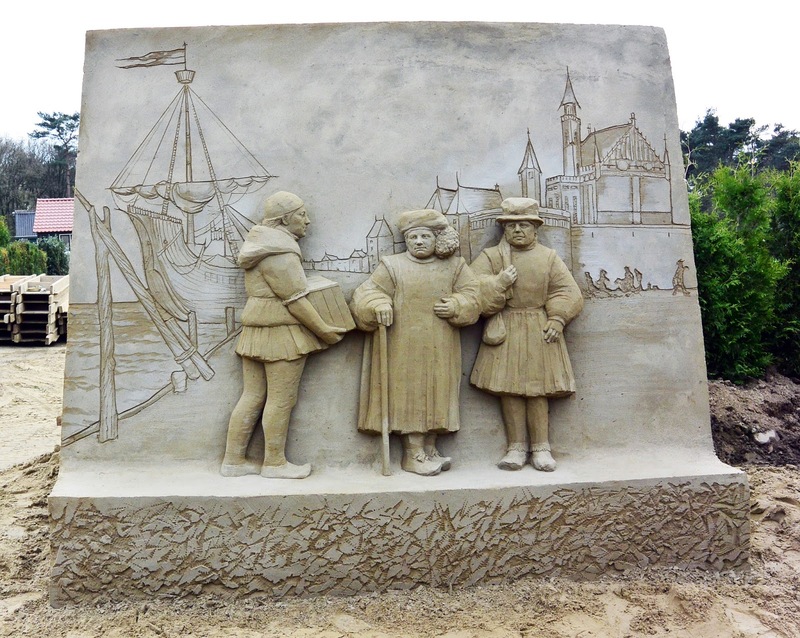 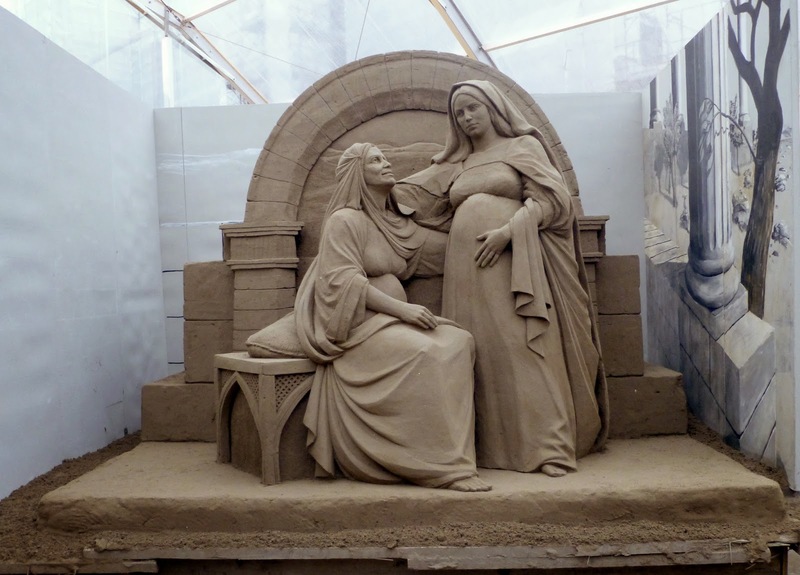 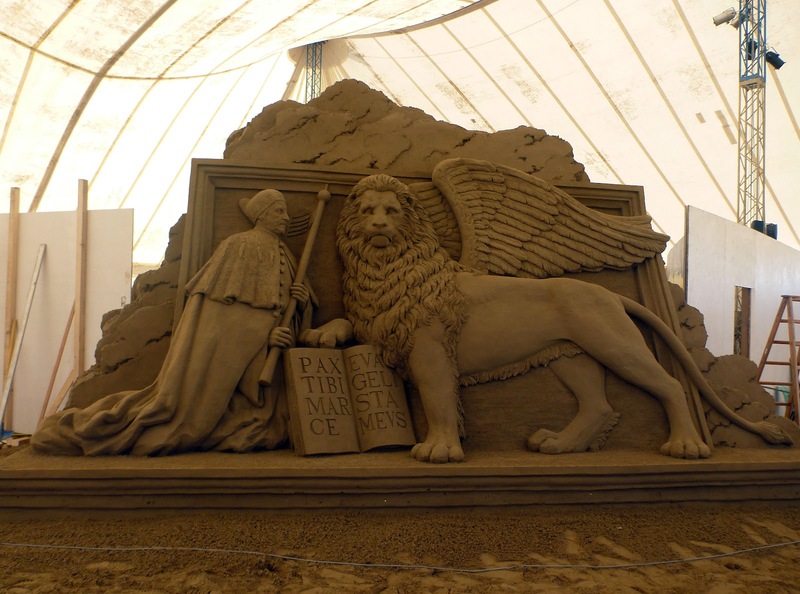 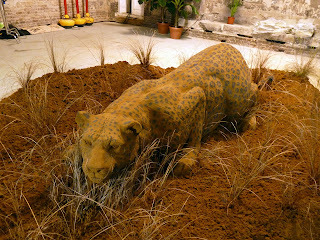 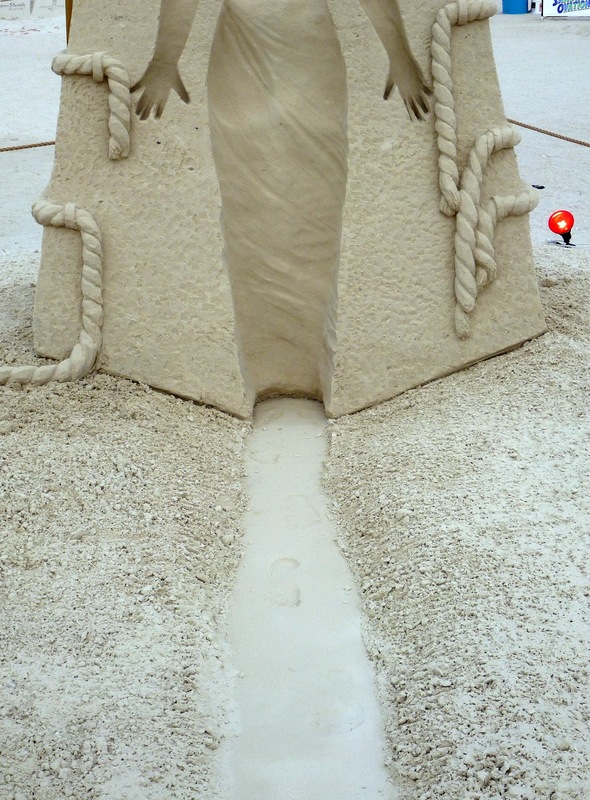 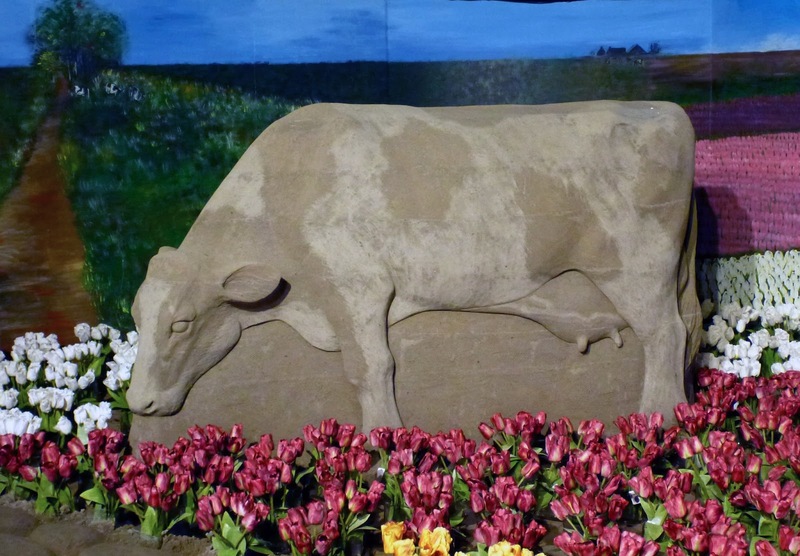 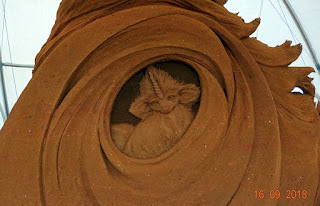 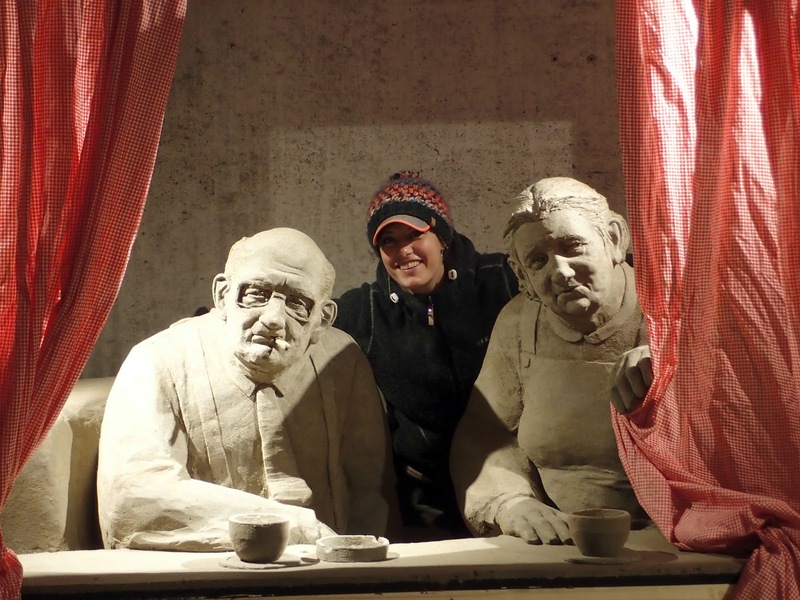 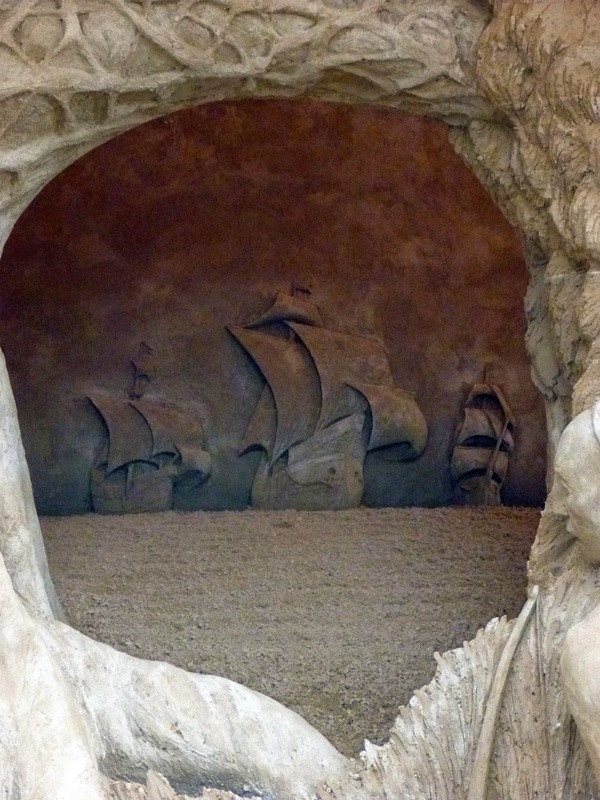 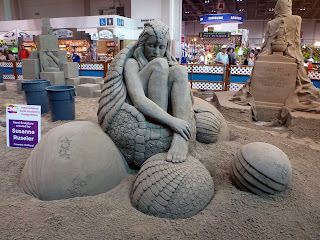 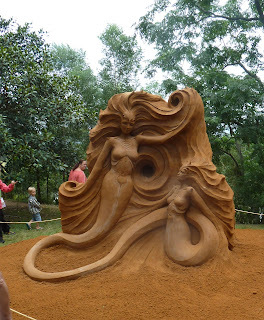 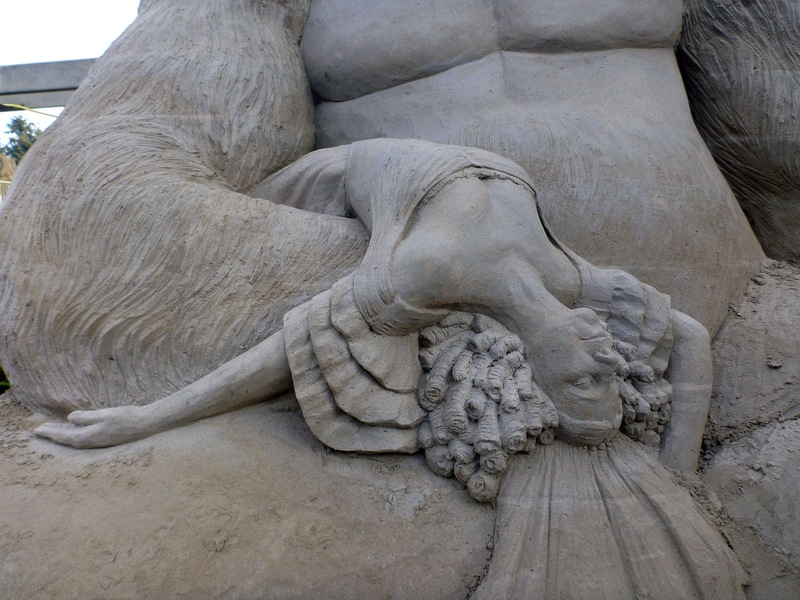 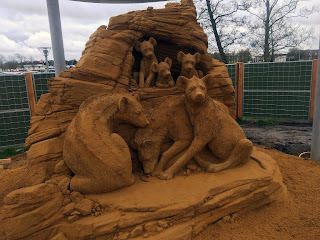 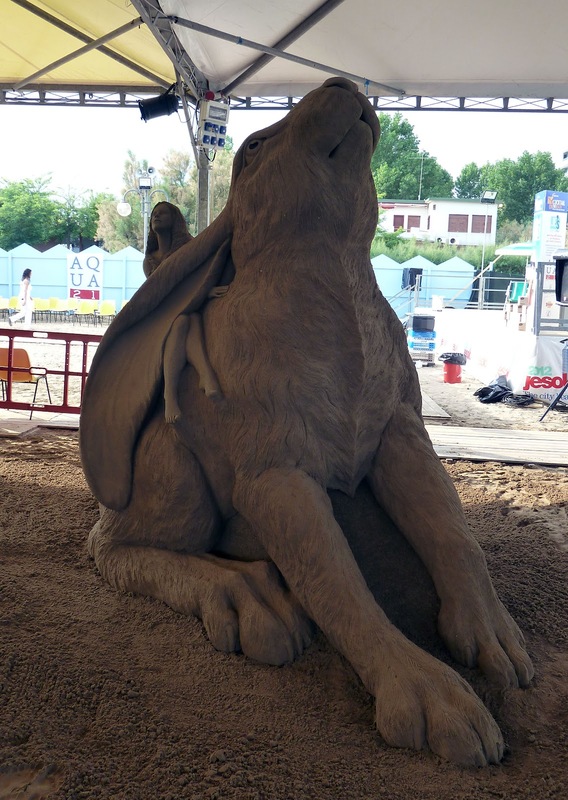 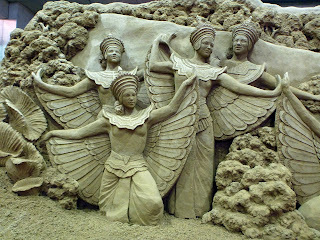 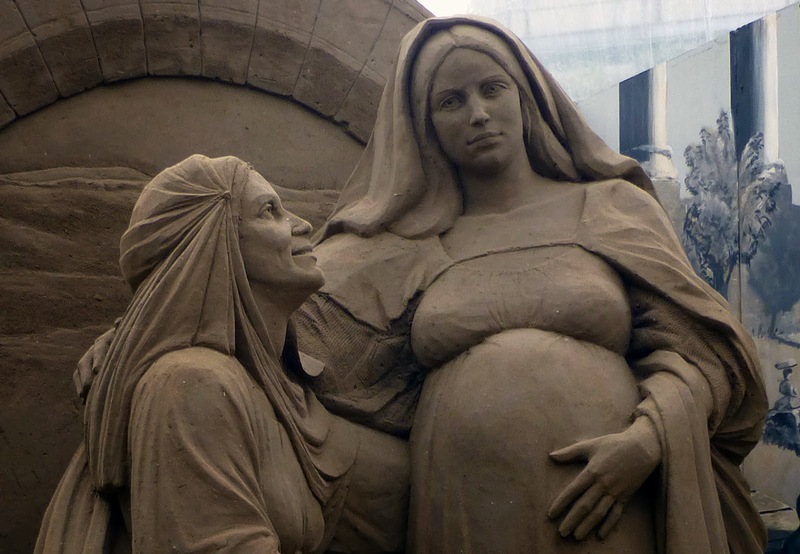 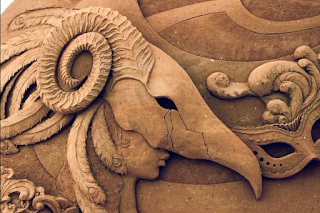 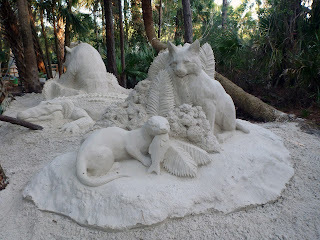 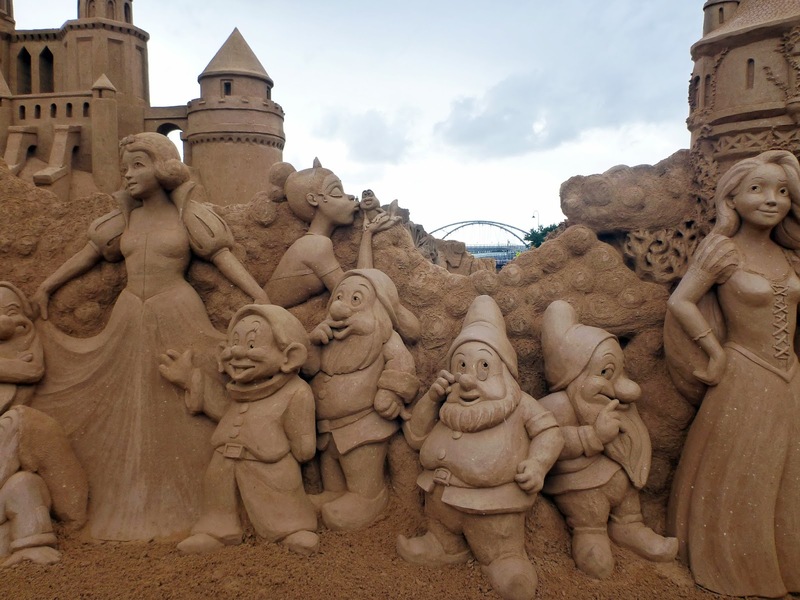 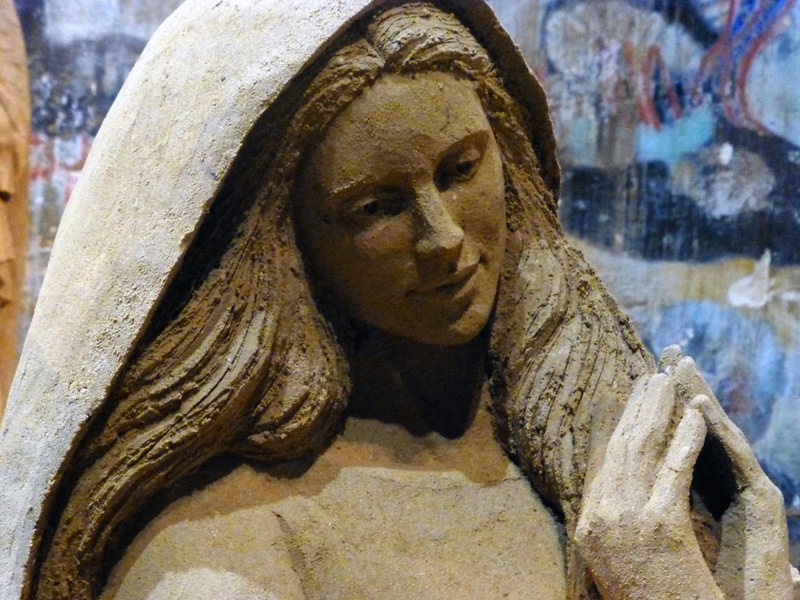 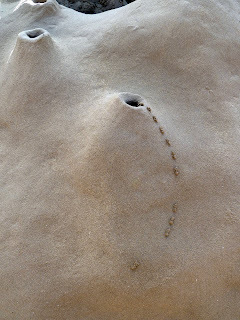 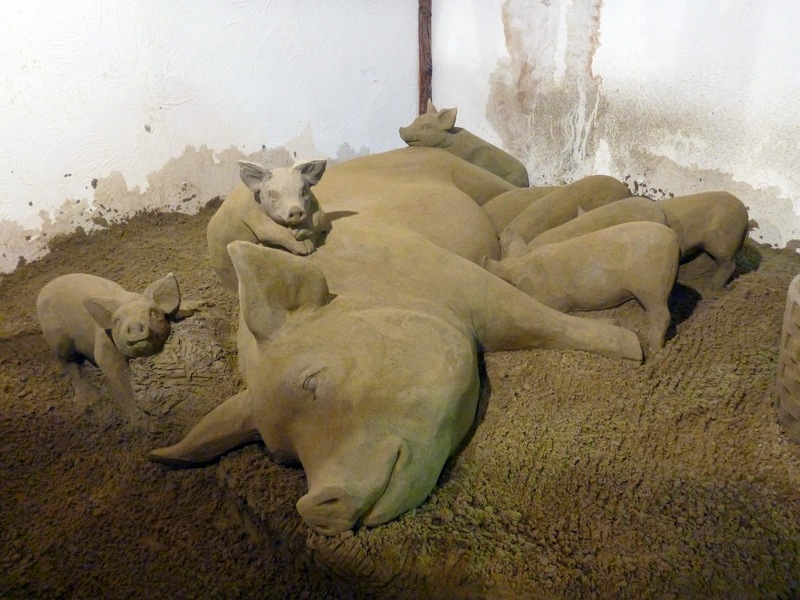 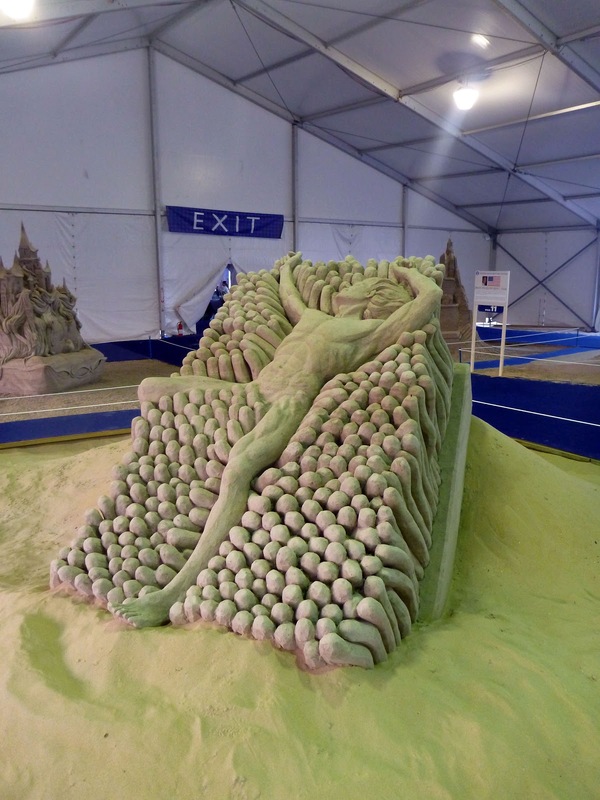 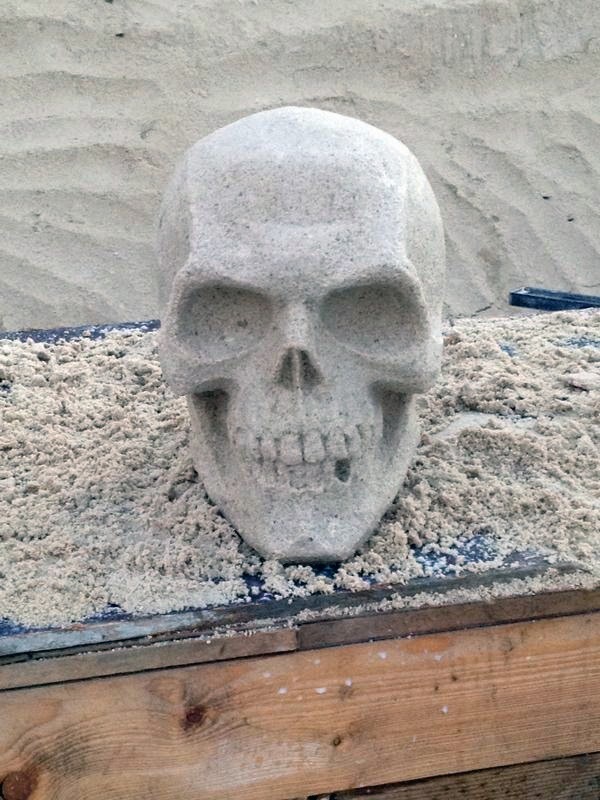 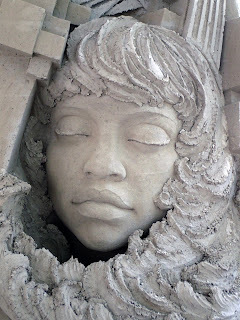 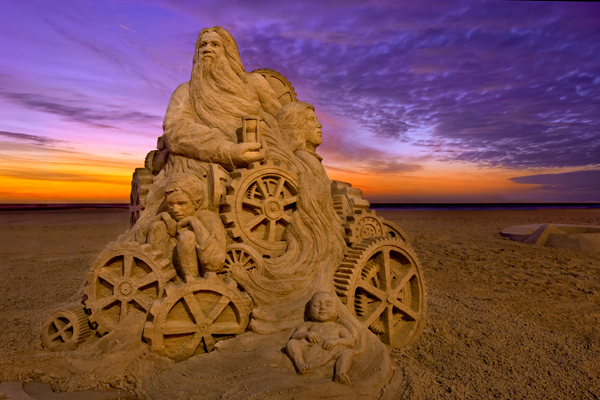 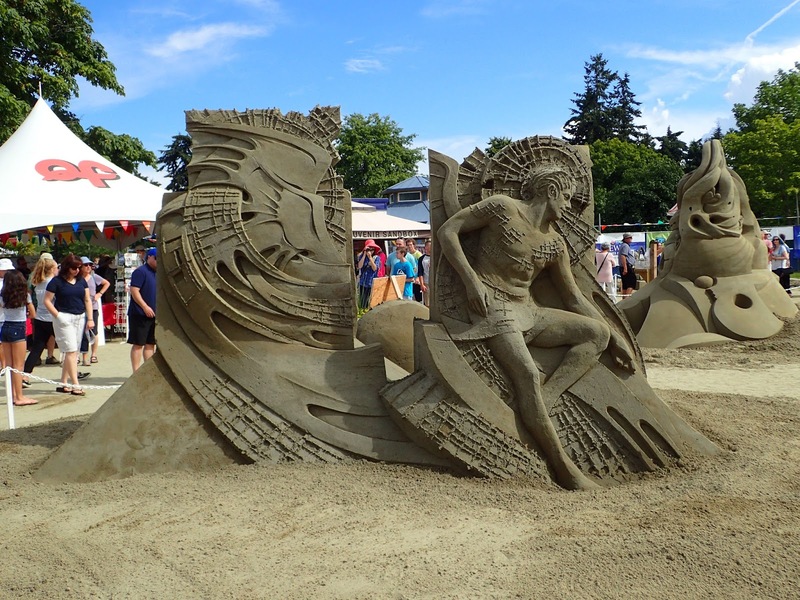 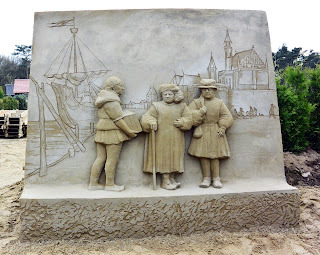 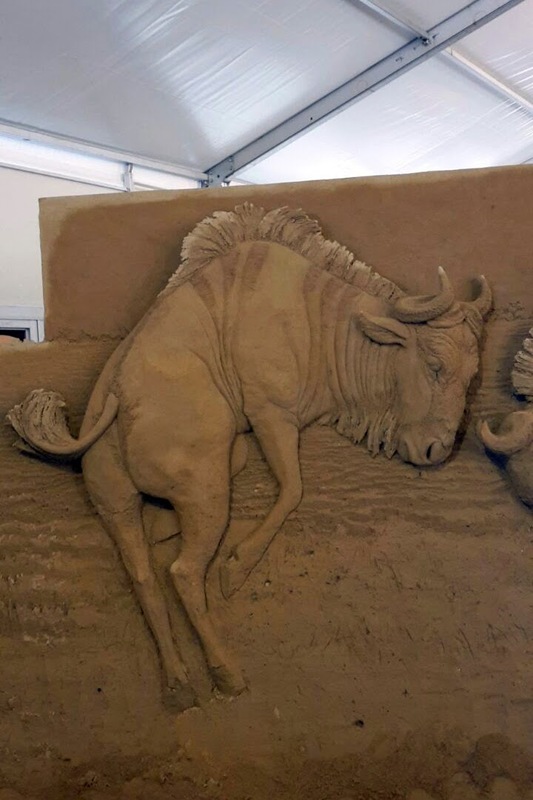 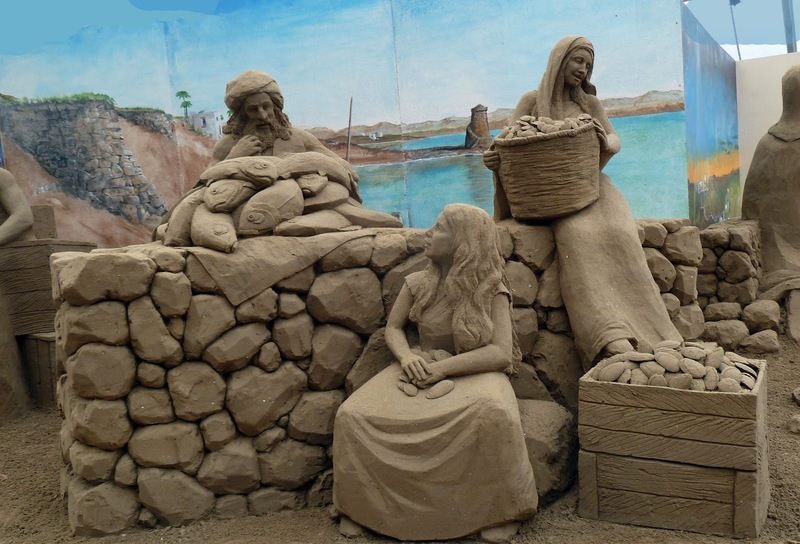 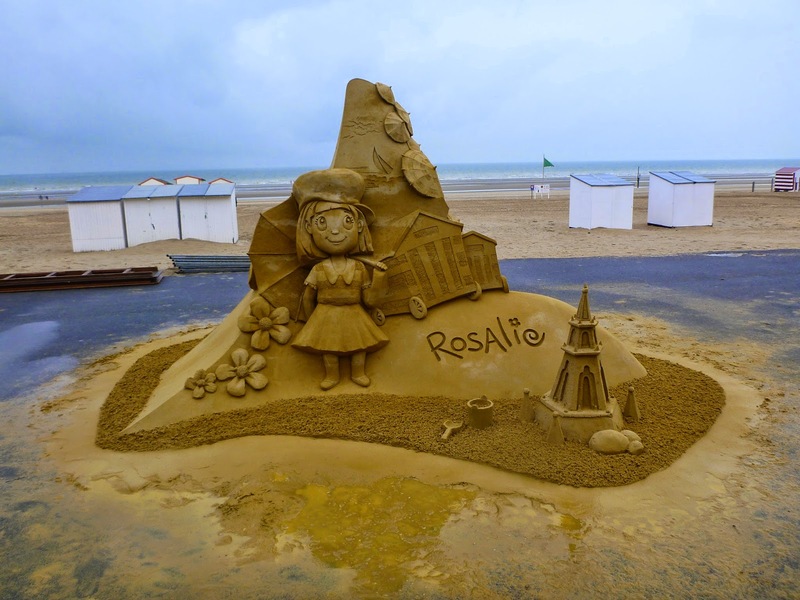 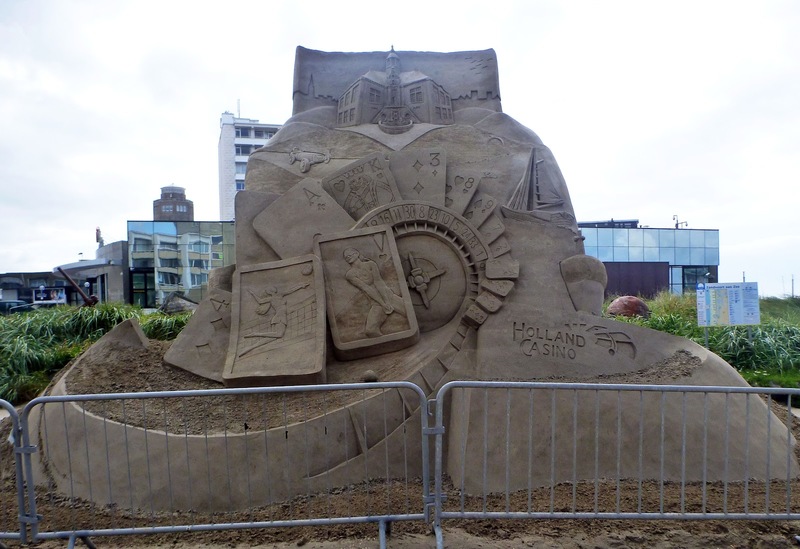 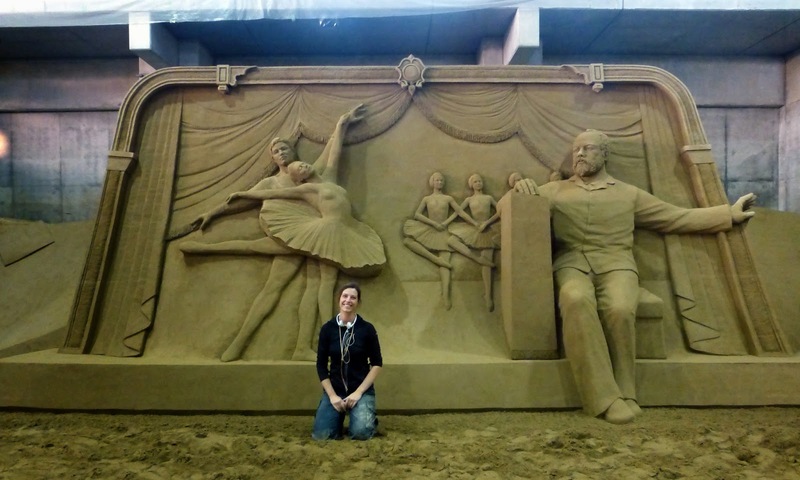 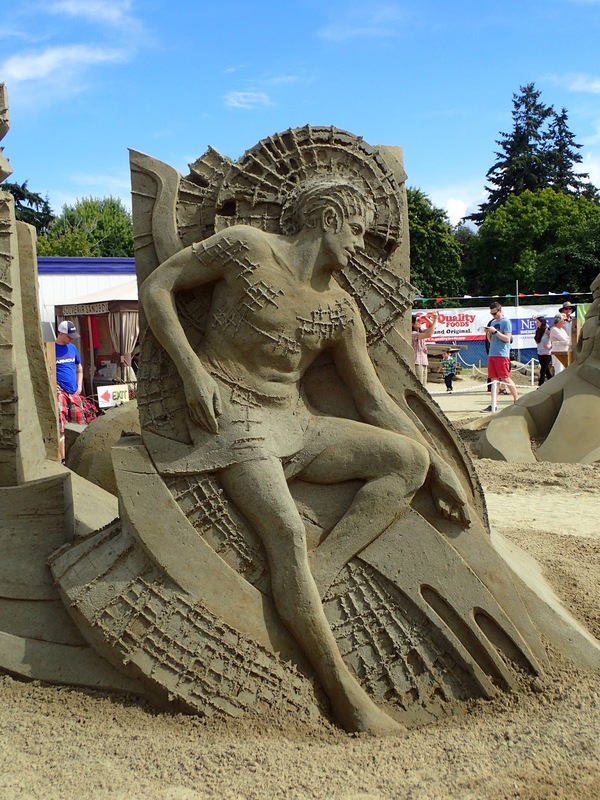 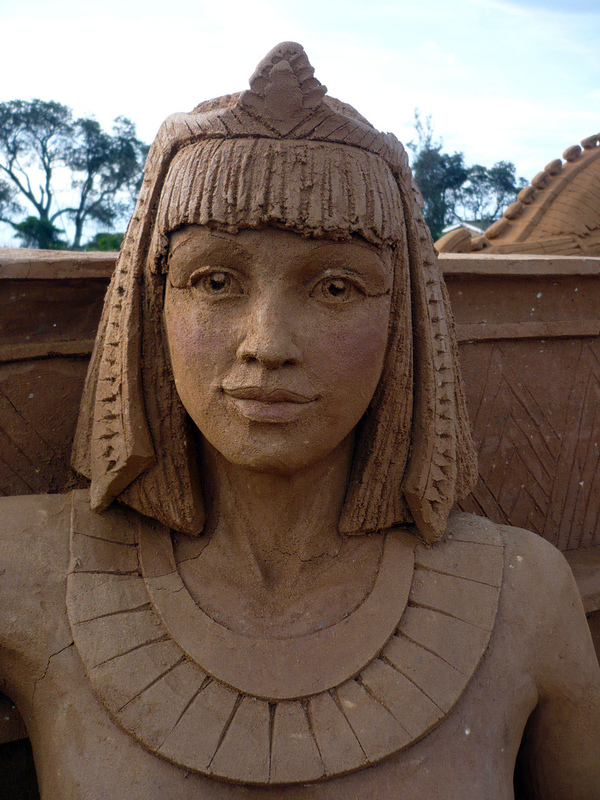 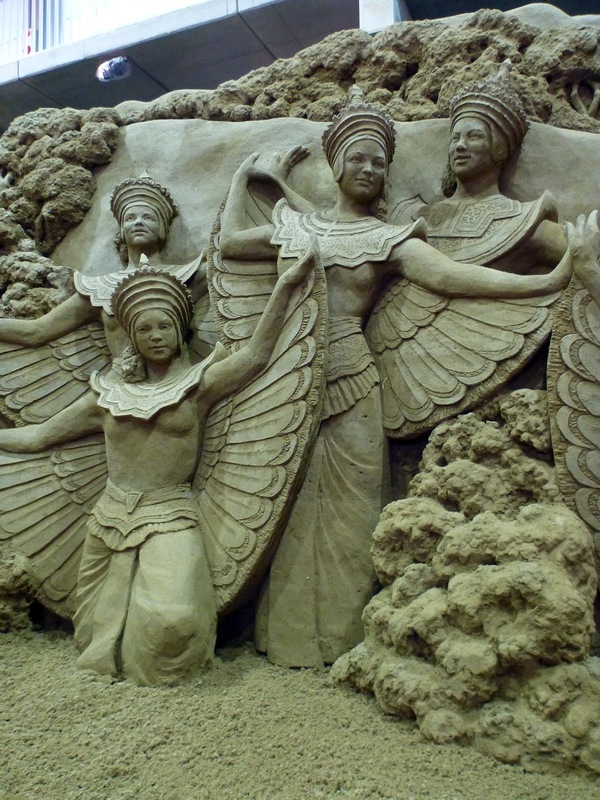 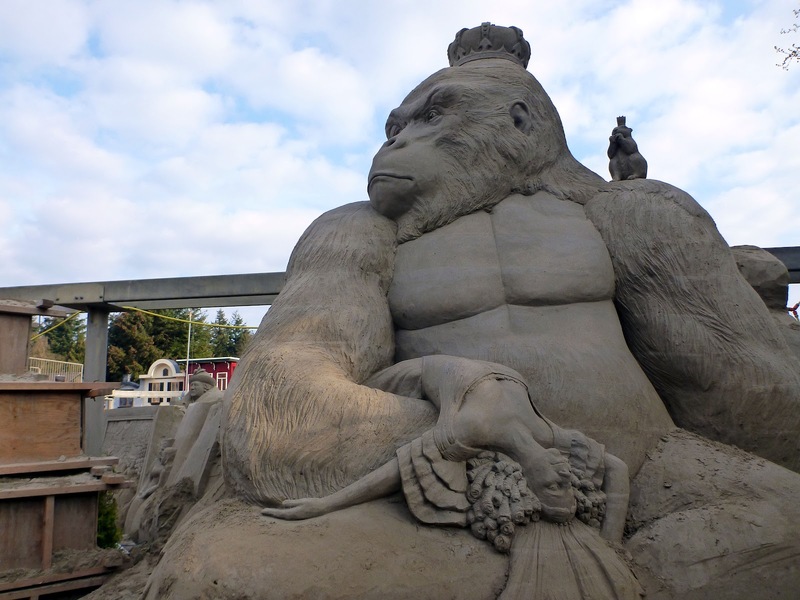 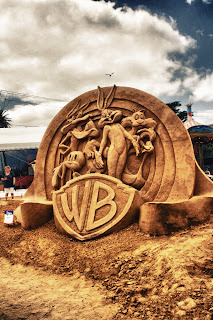 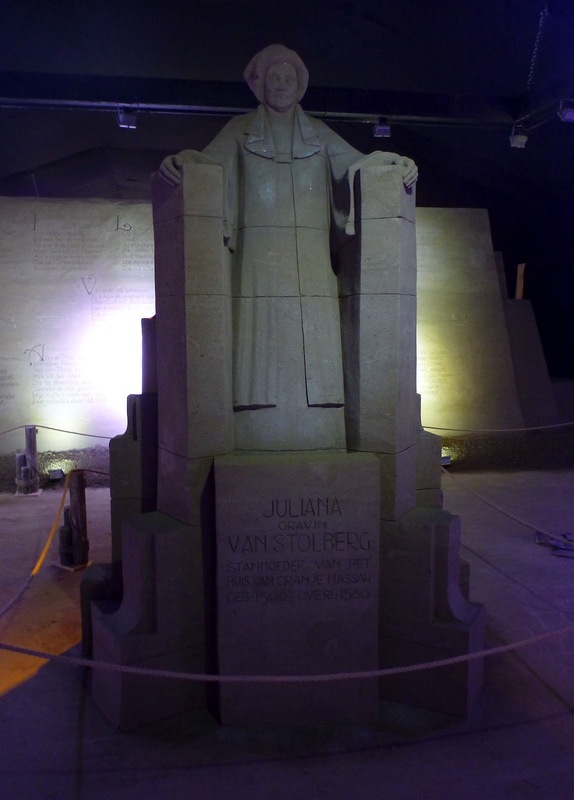 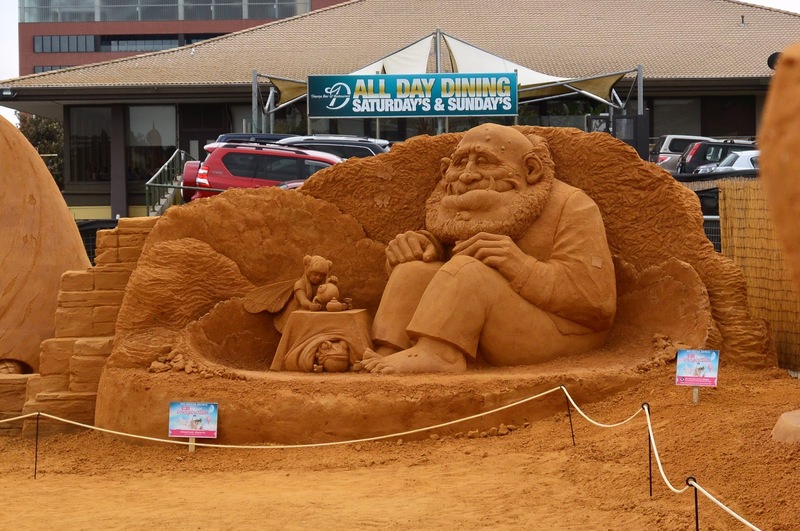 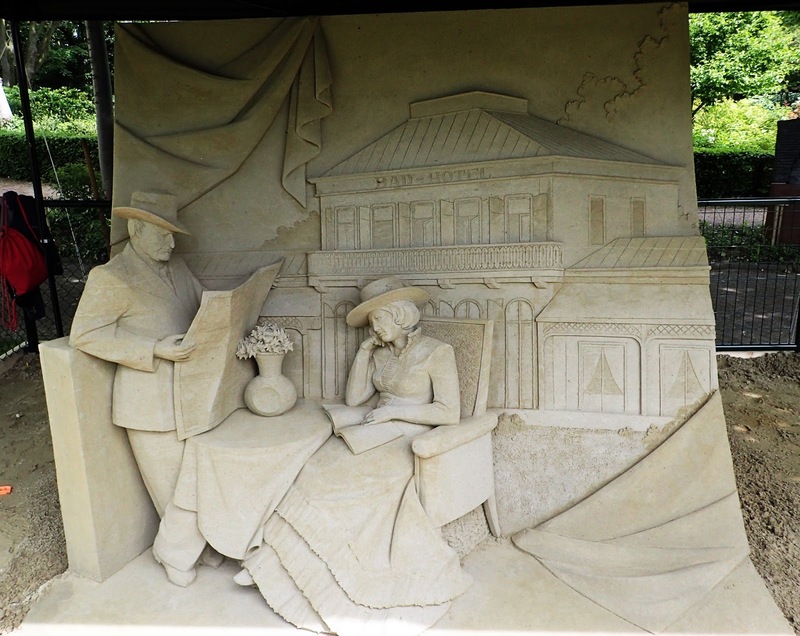 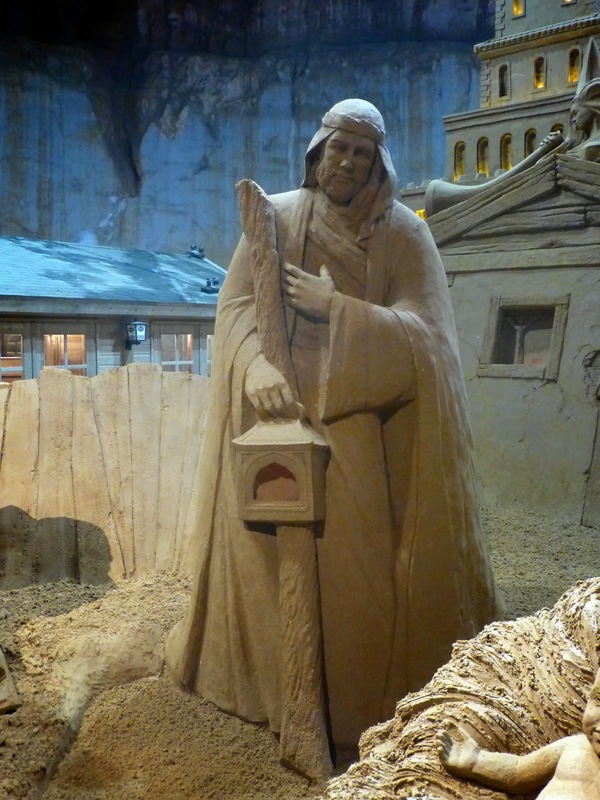 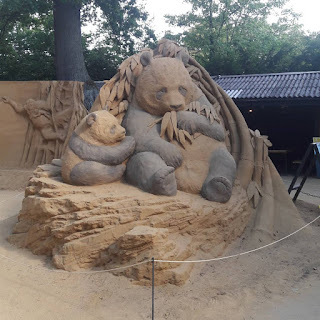 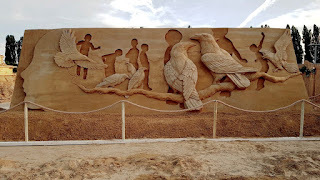 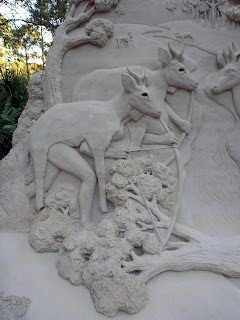 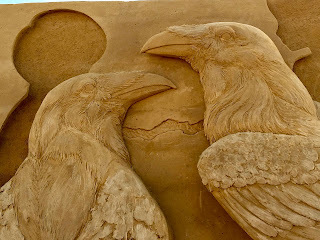 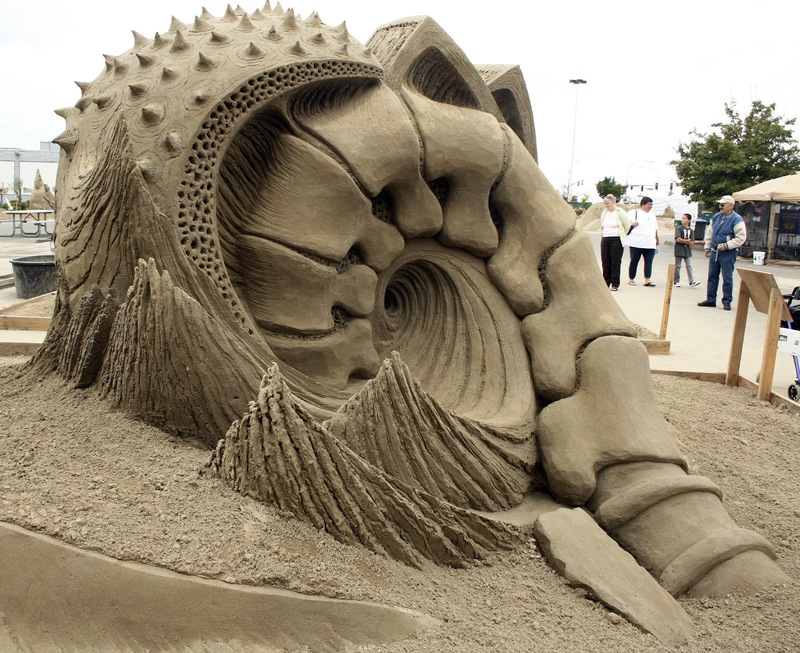 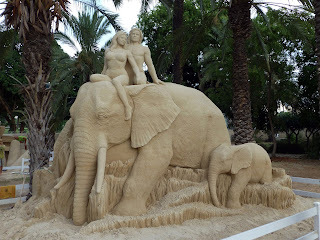 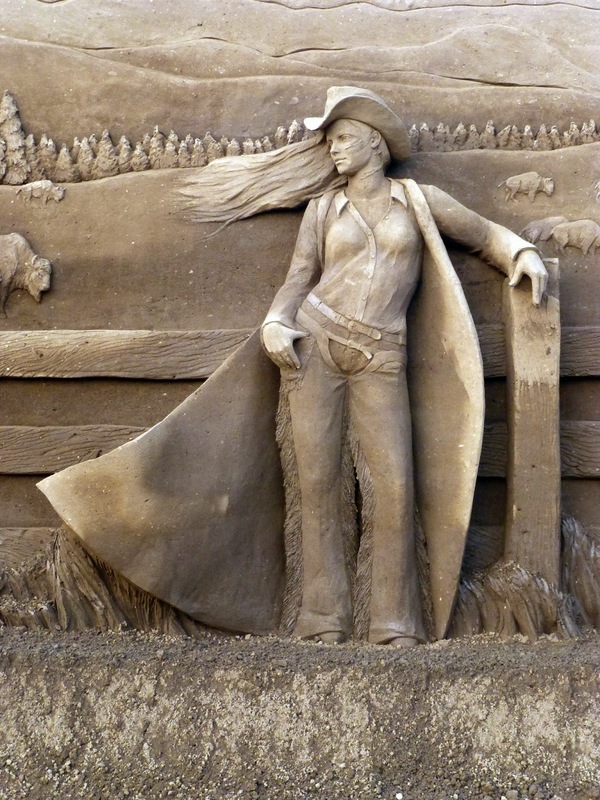 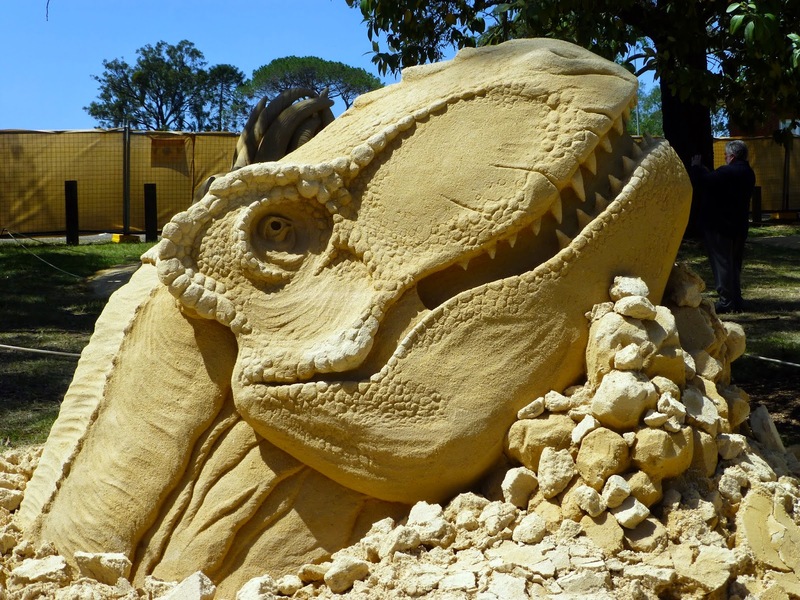 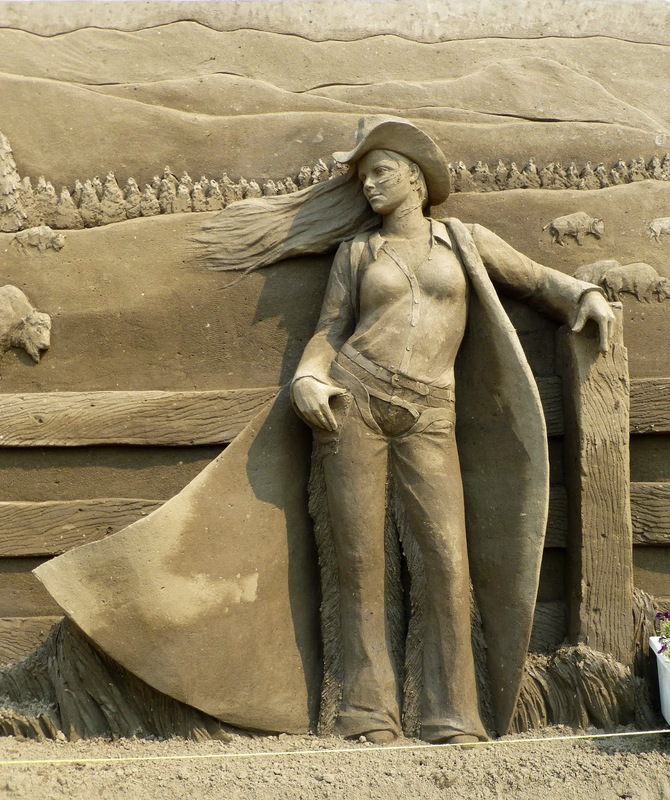 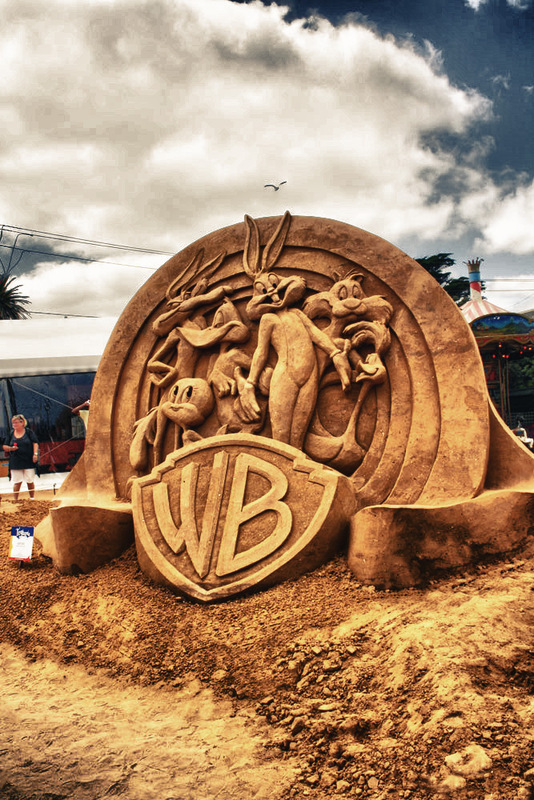 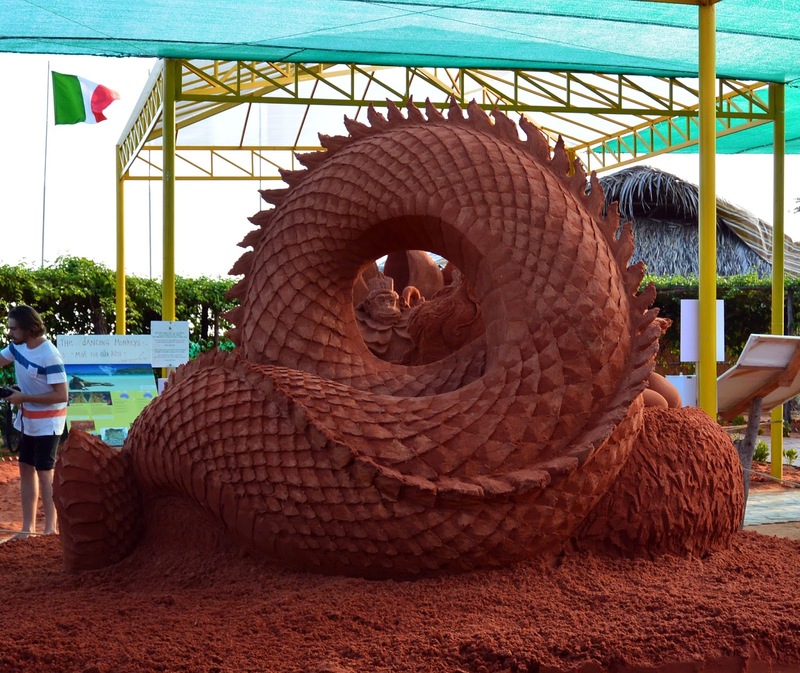 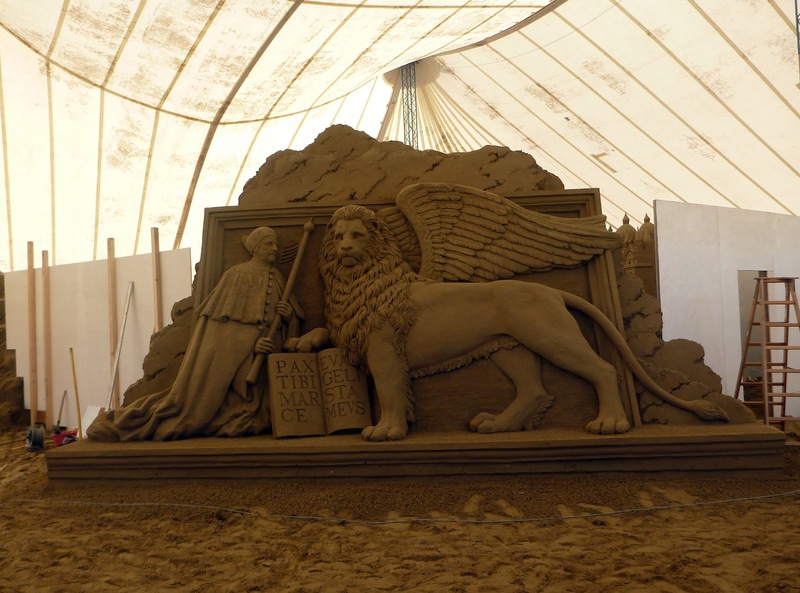 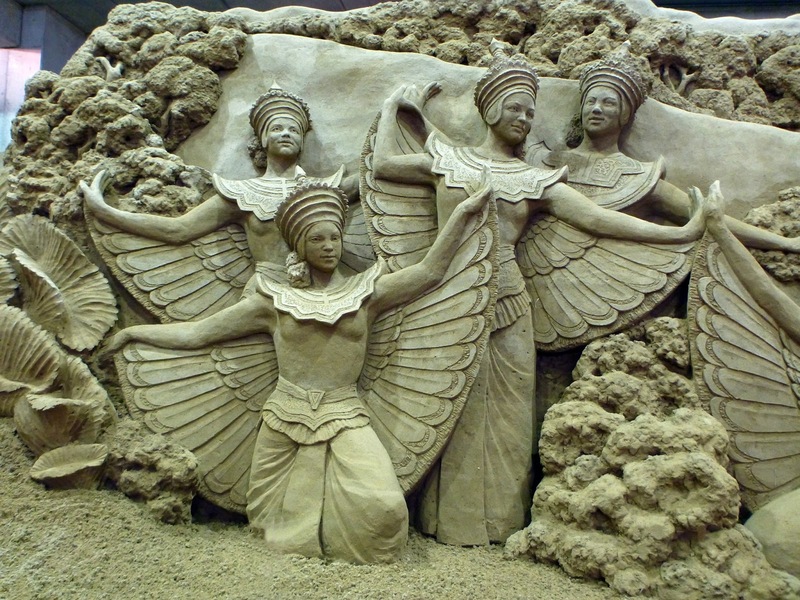 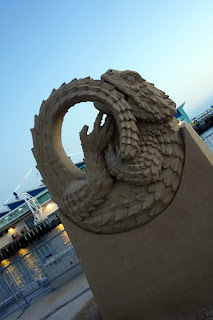 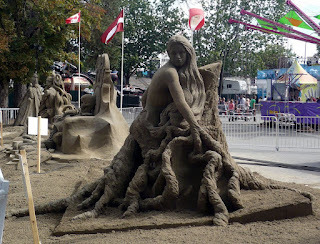 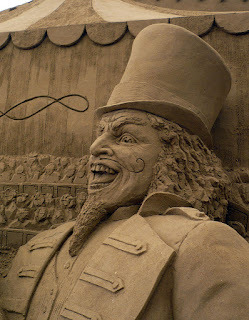 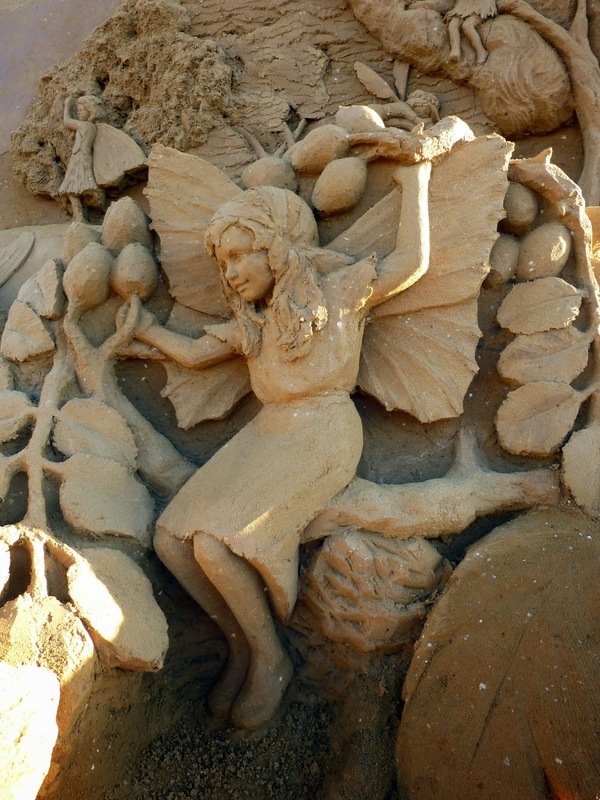 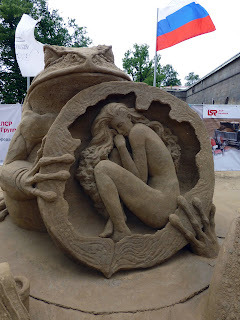 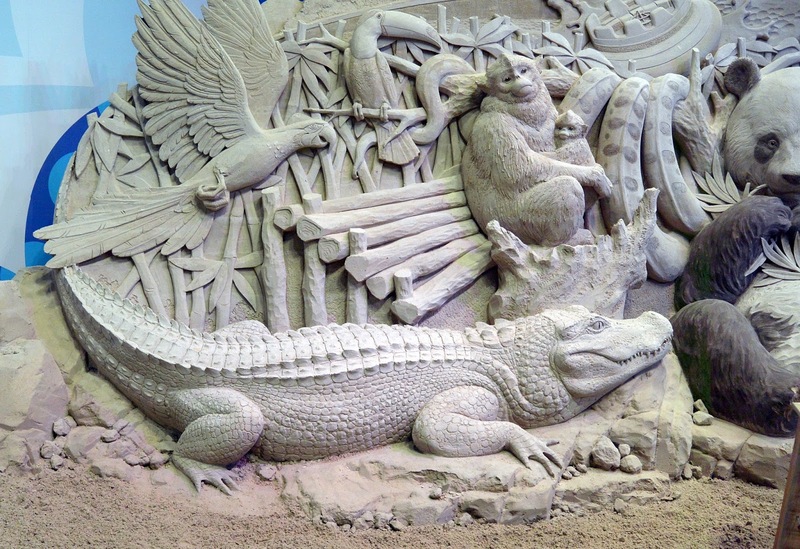 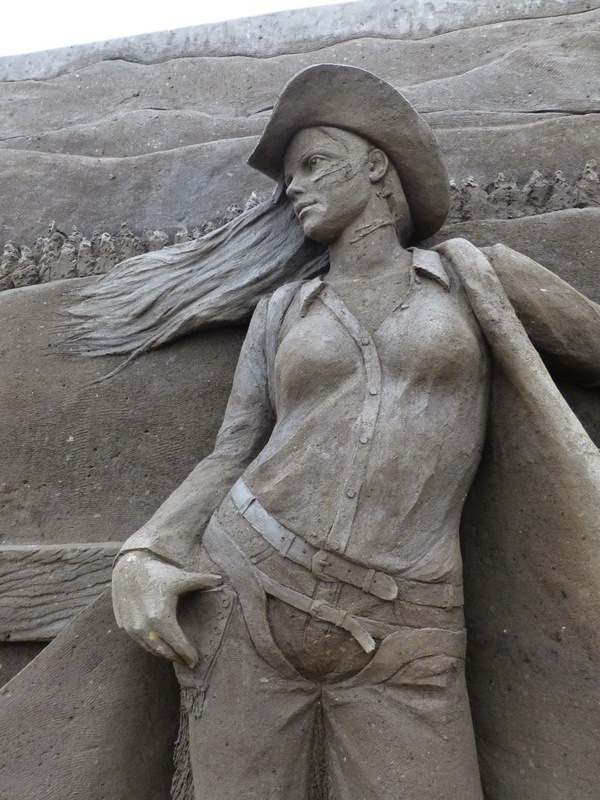 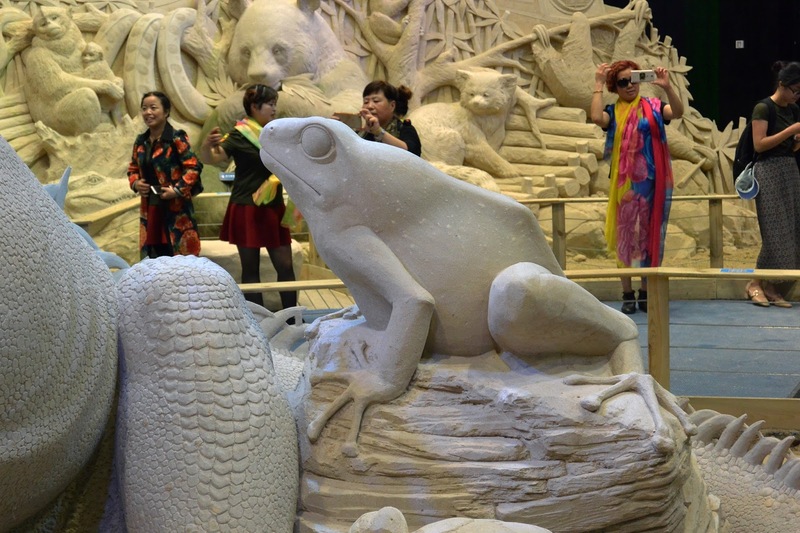 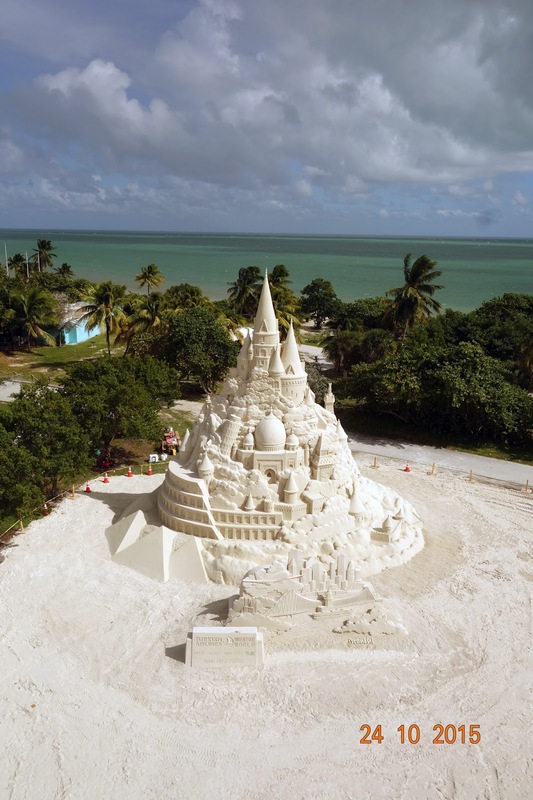 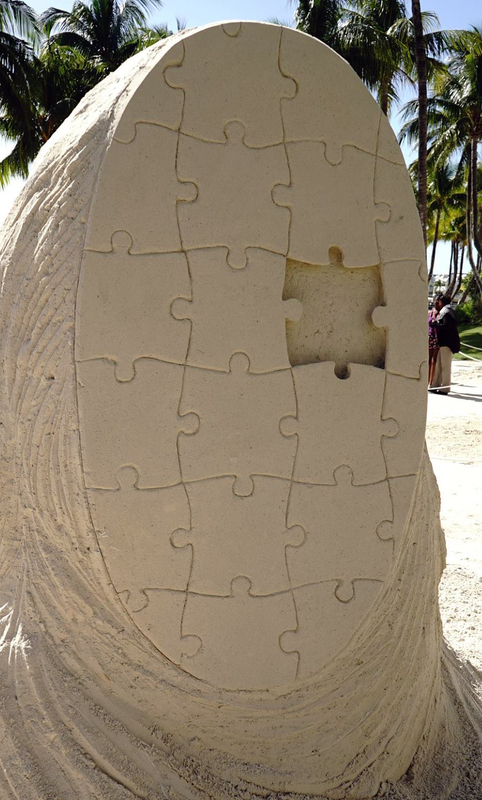 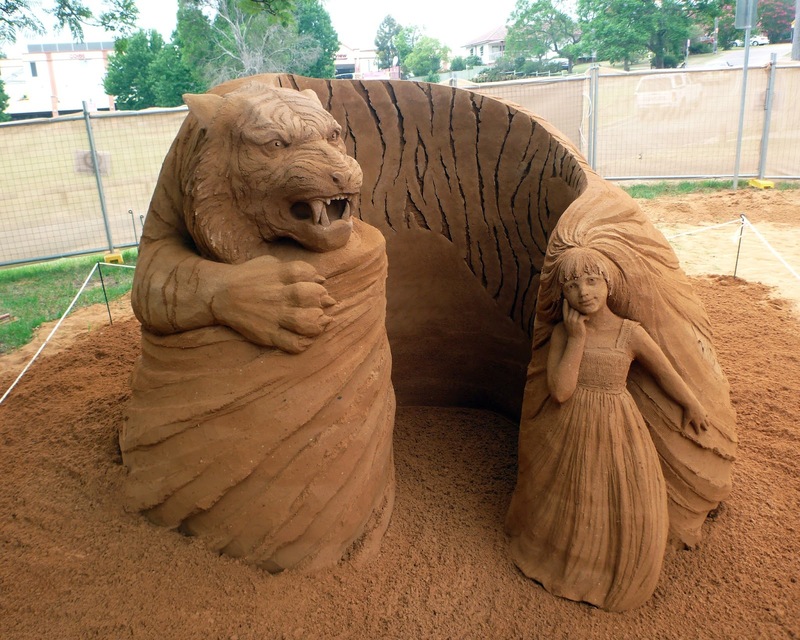 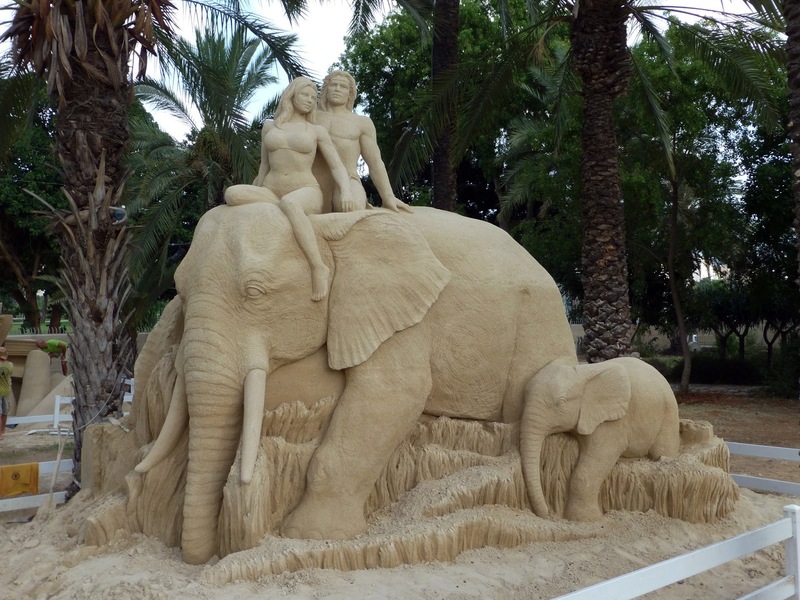 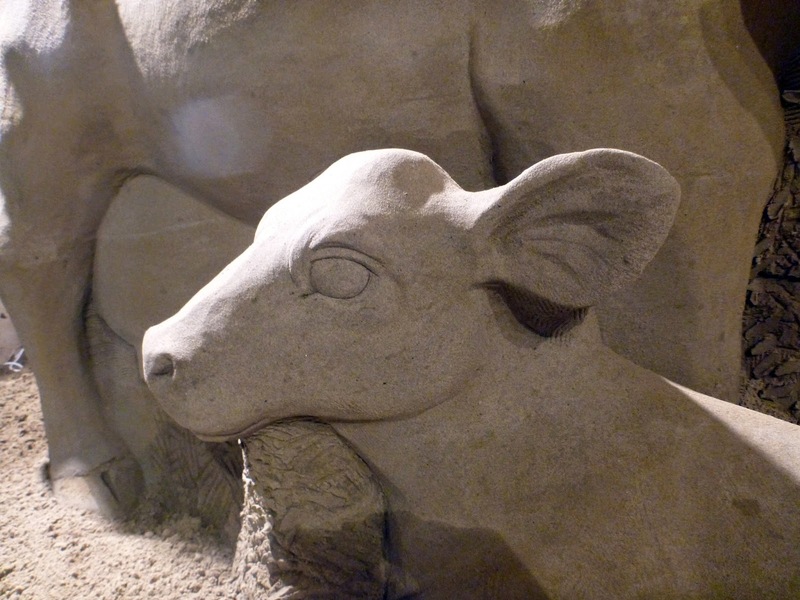 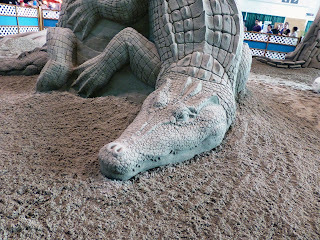 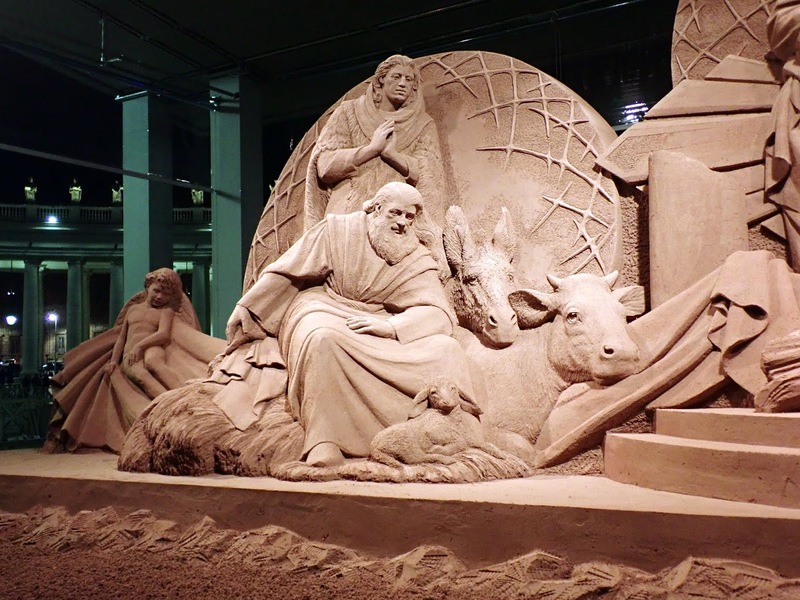 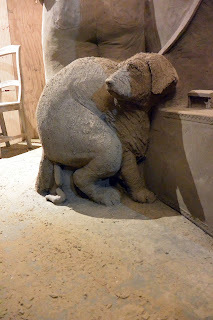 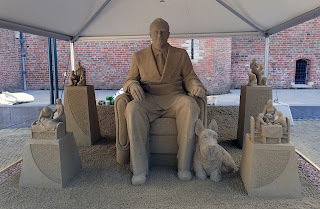 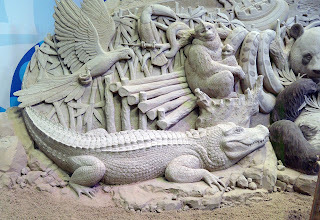 I started sand sculpting in 2003, while I was studying biology and living in Utrecht. 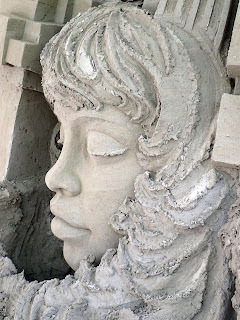 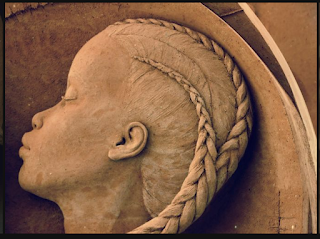 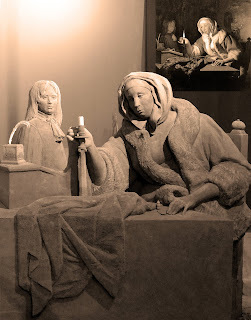 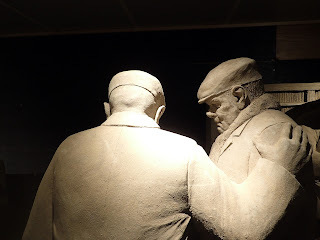 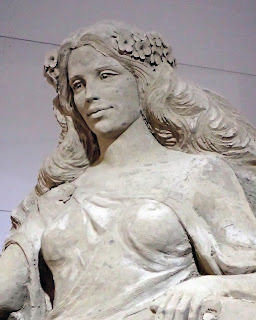 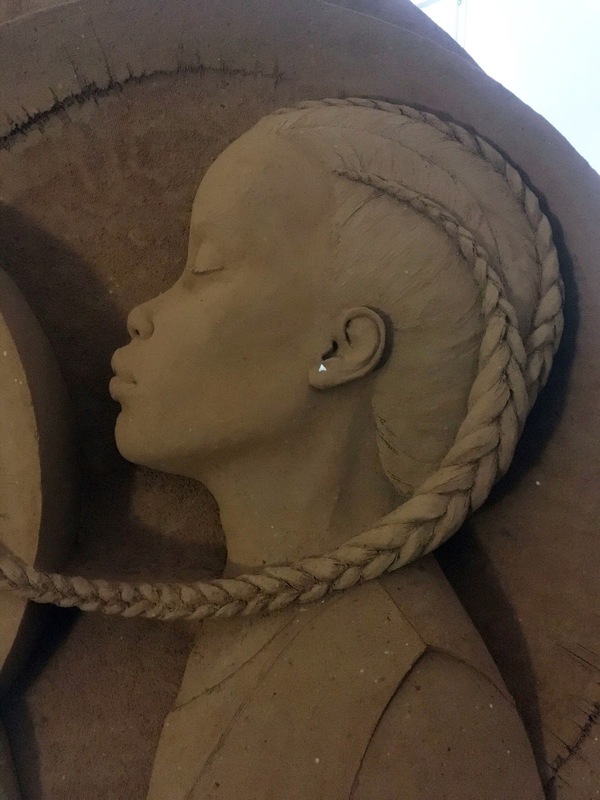 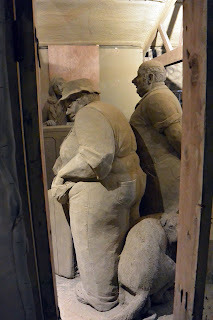 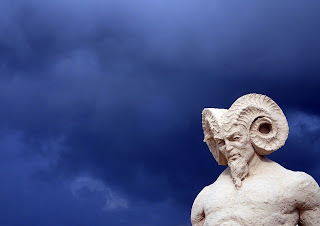 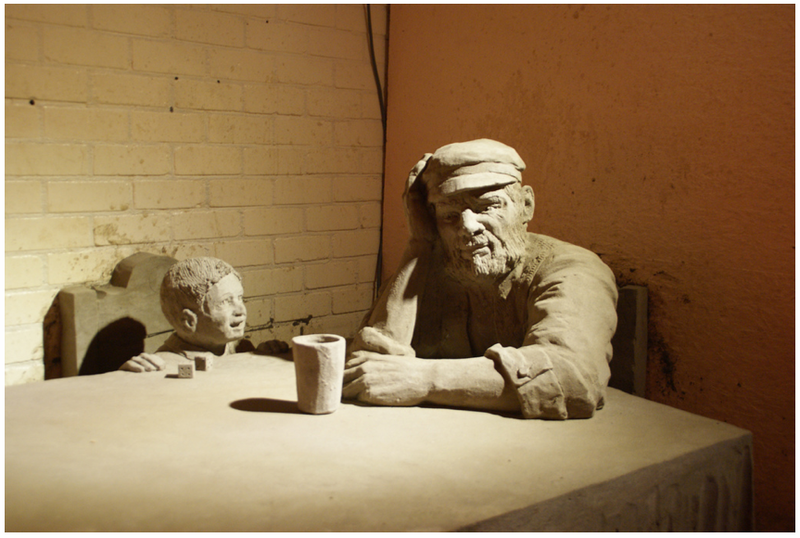 I discovered that I love creating sculptures and started sculpting more and more. 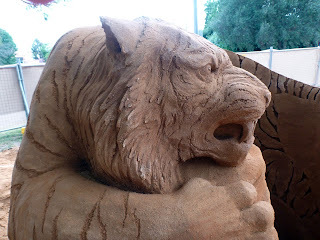 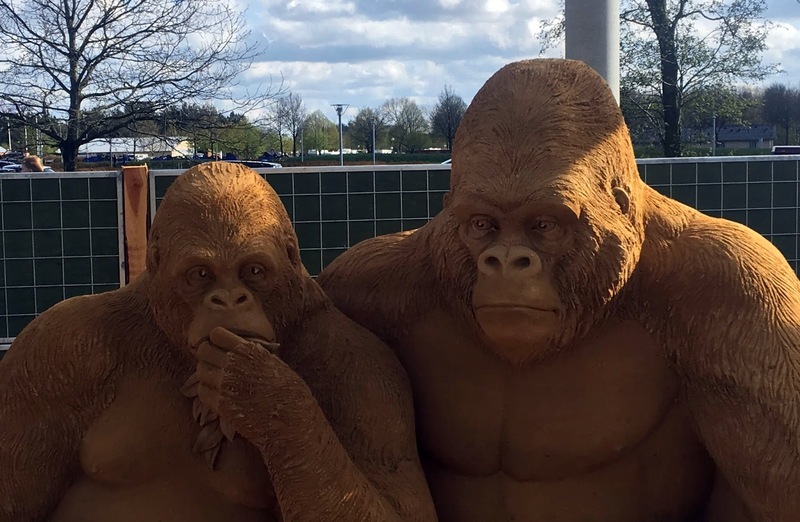 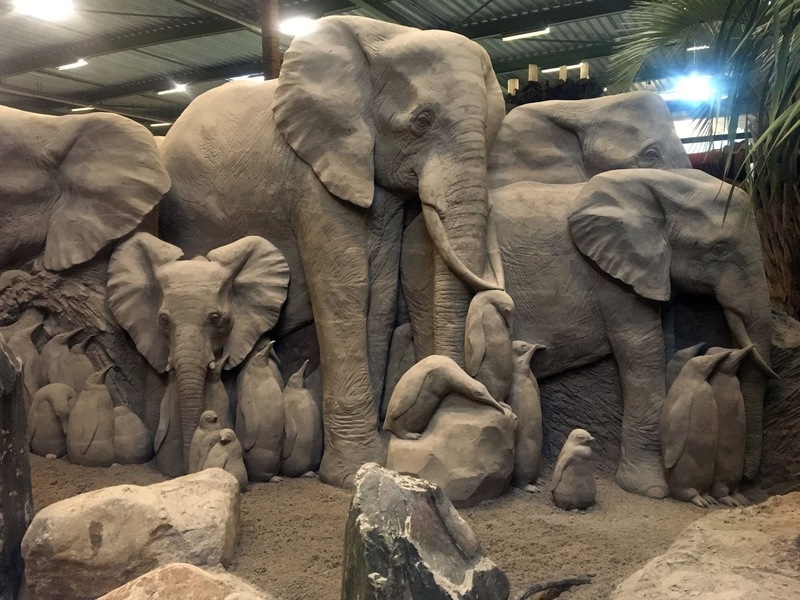 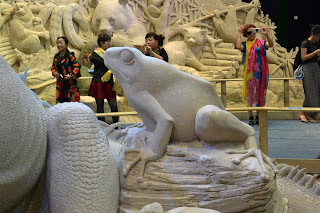 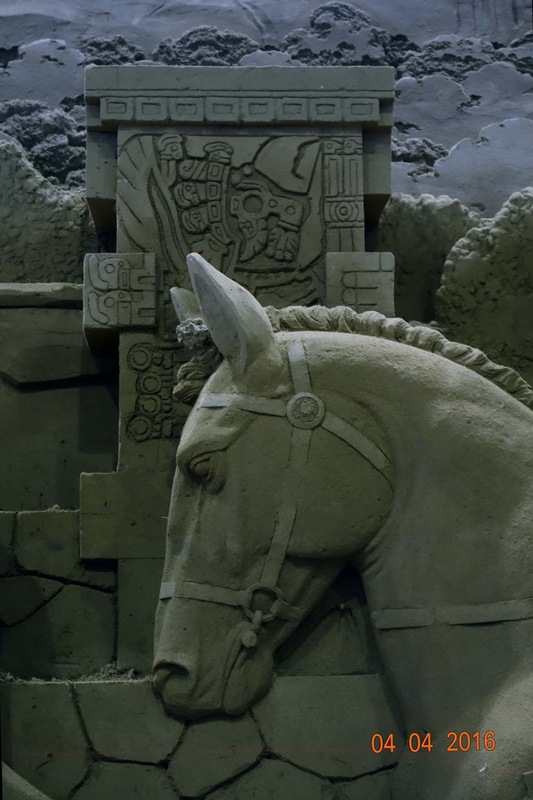 After receiving my masters degree in animal behavior and ecology, I started my own sculpture company also working with other materials such as snow, ice, foam and concrete. 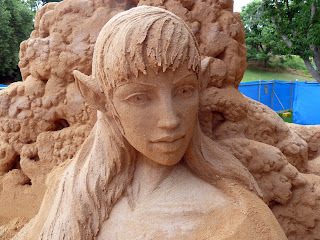 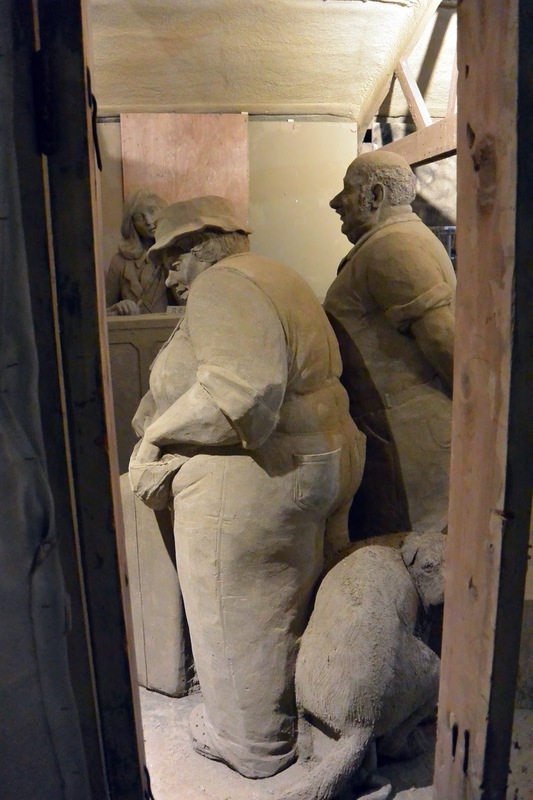 and I've been sculpting full time since 2008. 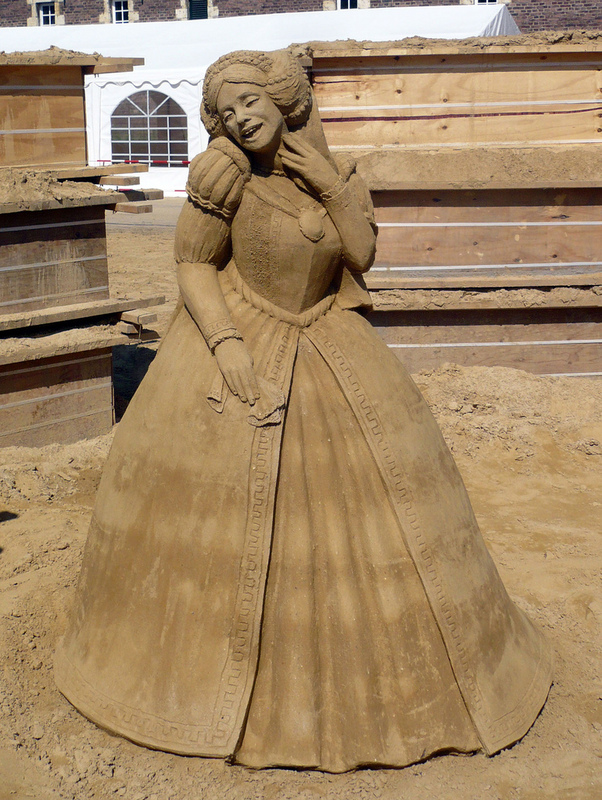 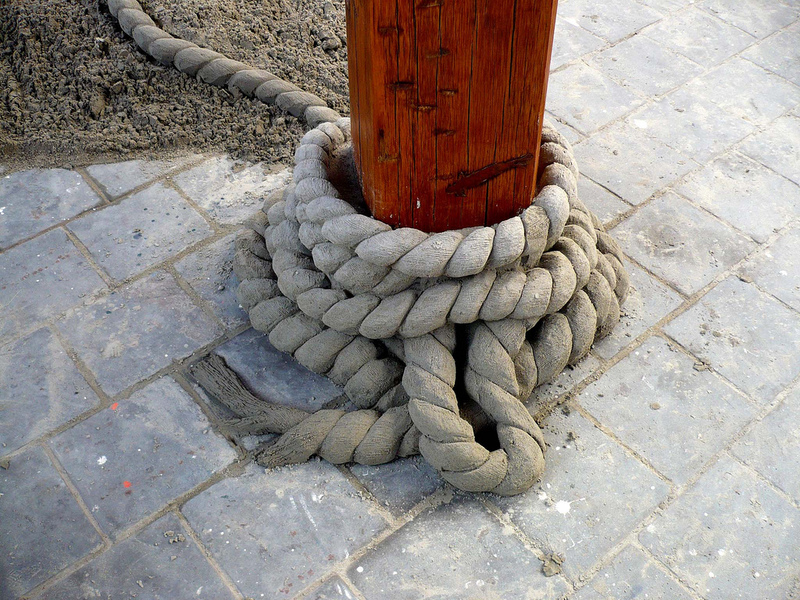 I really enjoy alternating between materials, but I mostly work with sand, my favourite material. 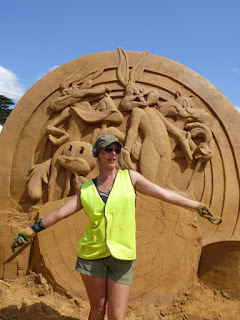 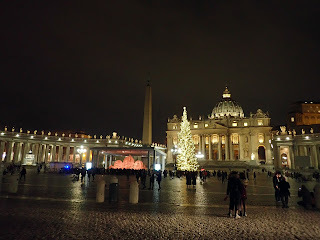 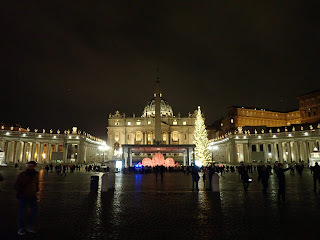 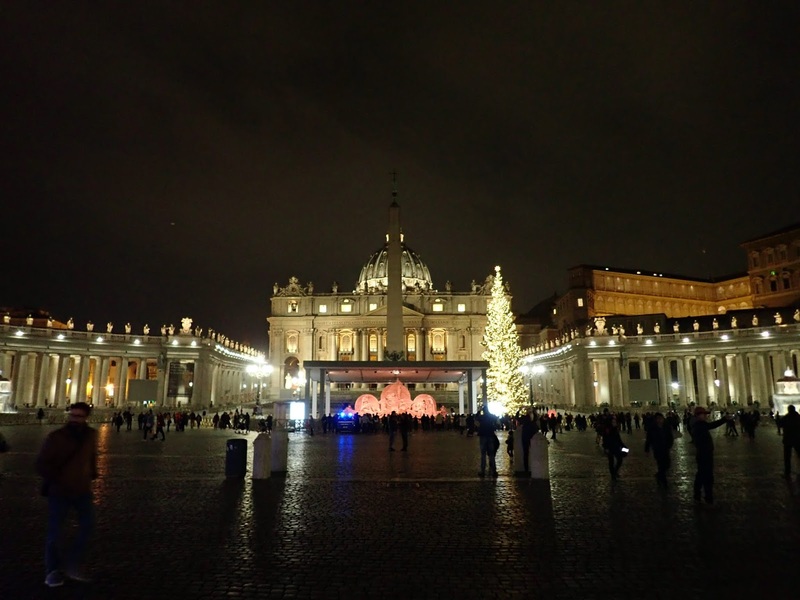 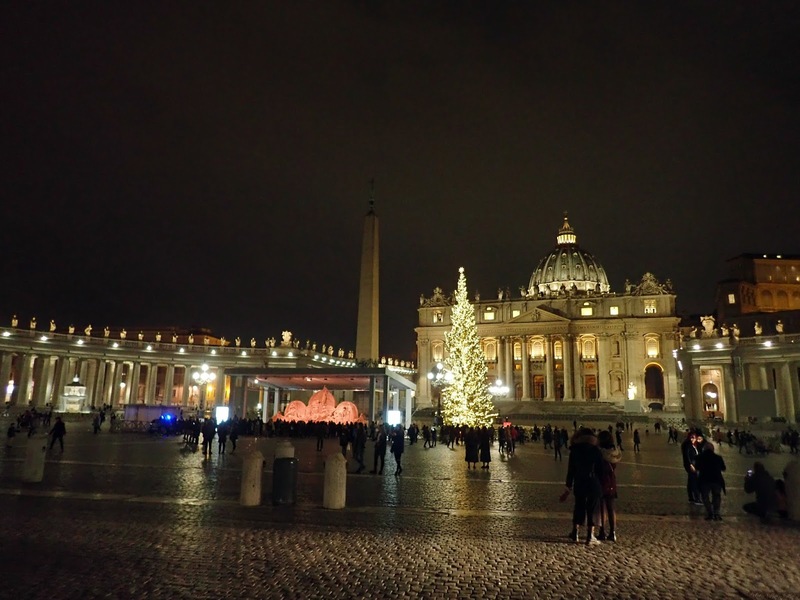 I travel all over the world working on projects, events and competitions. 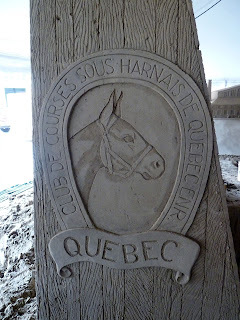 If you have any questions you can email me at: susannemr@hotmail.com.